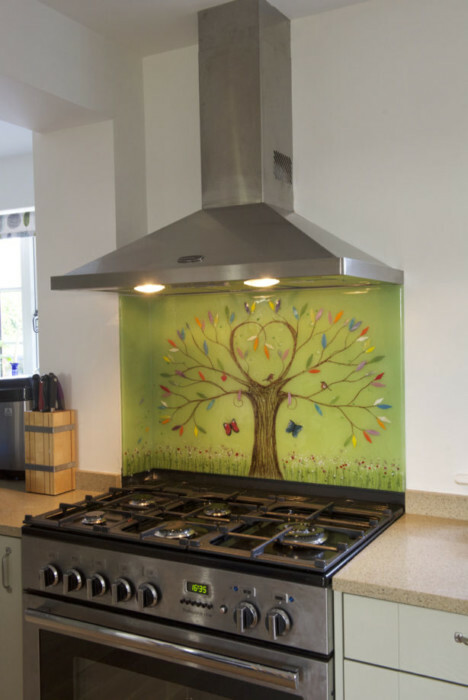 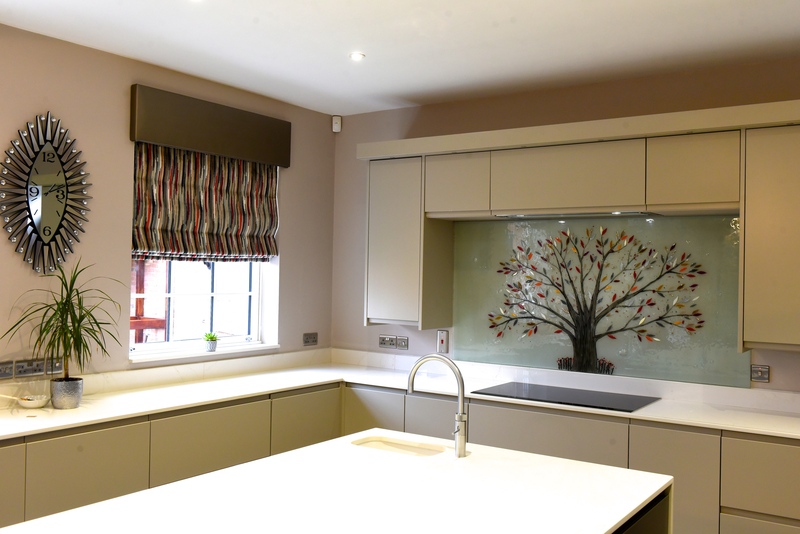 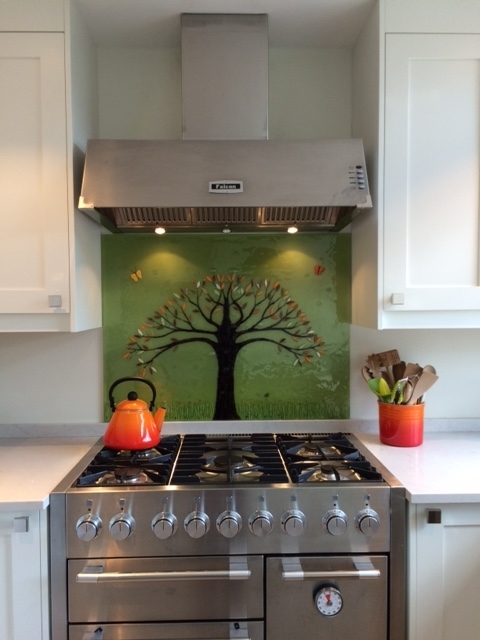 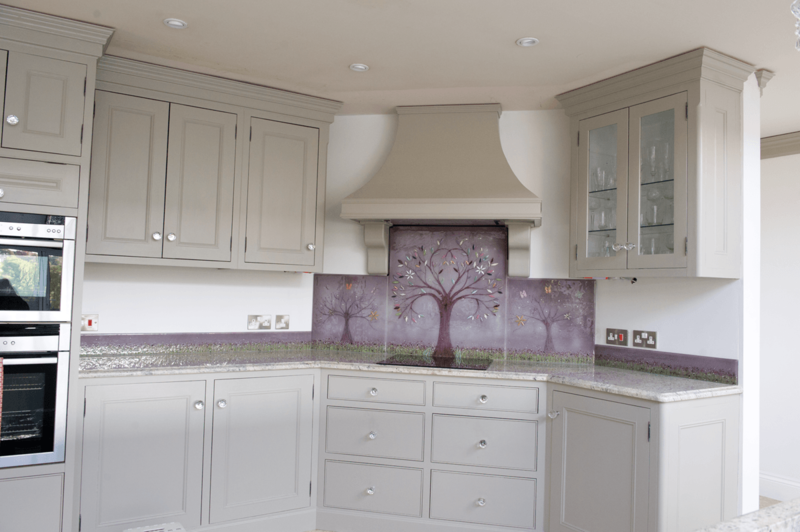 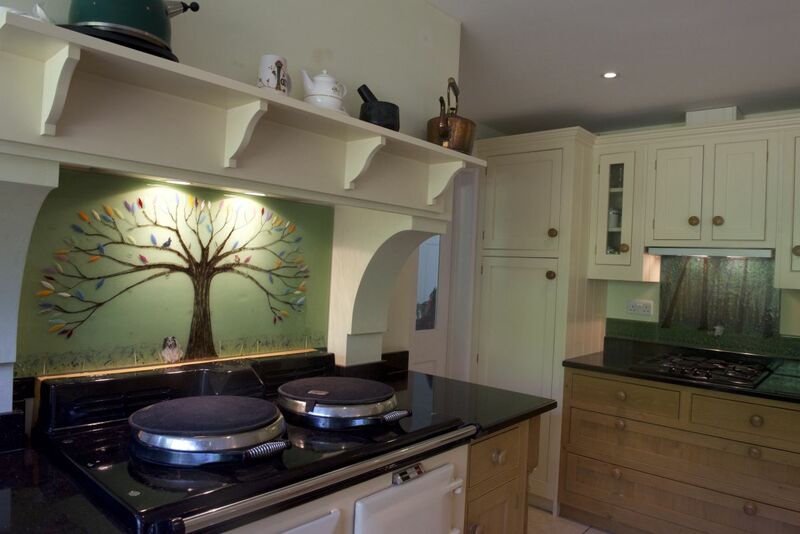 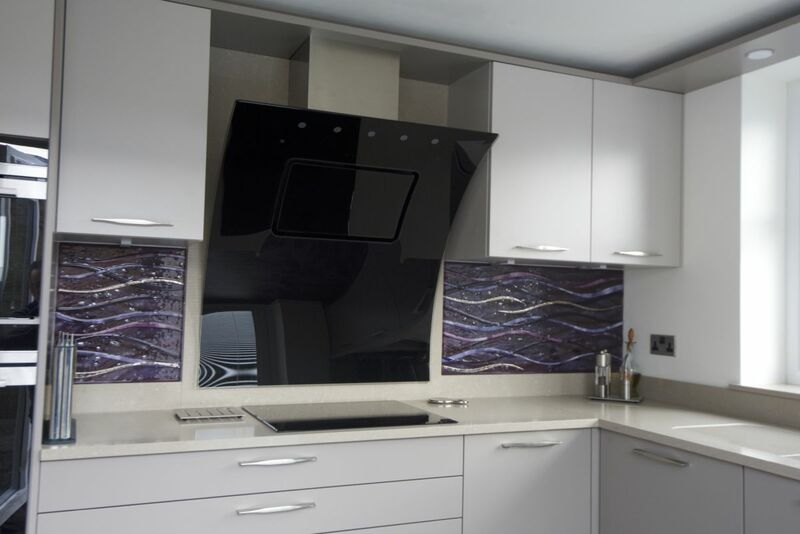 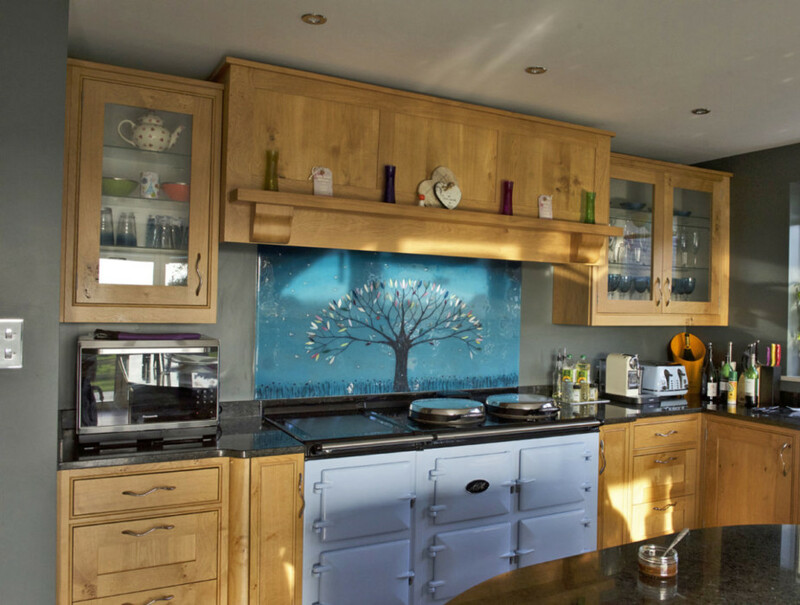 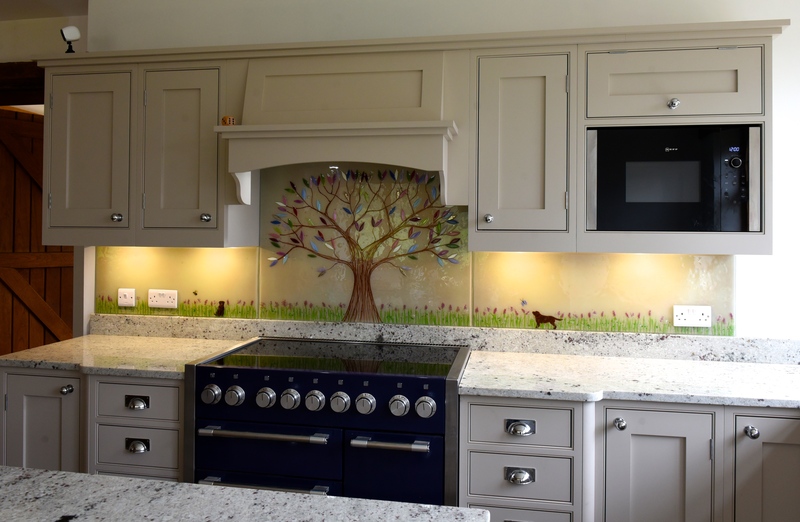 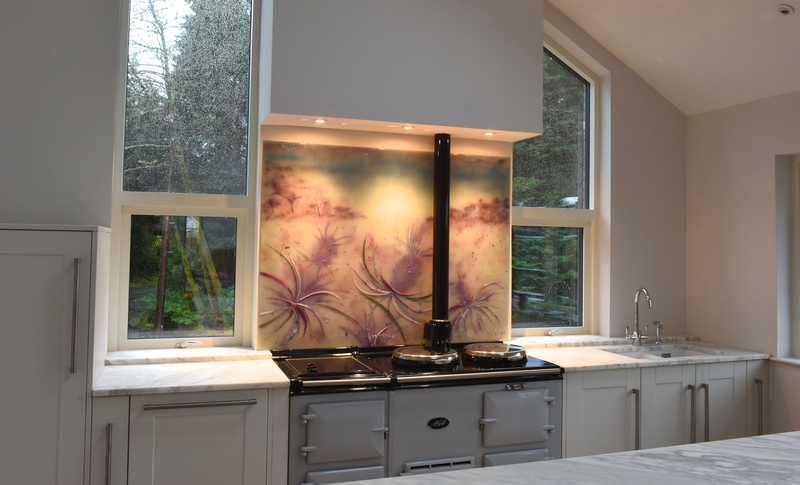 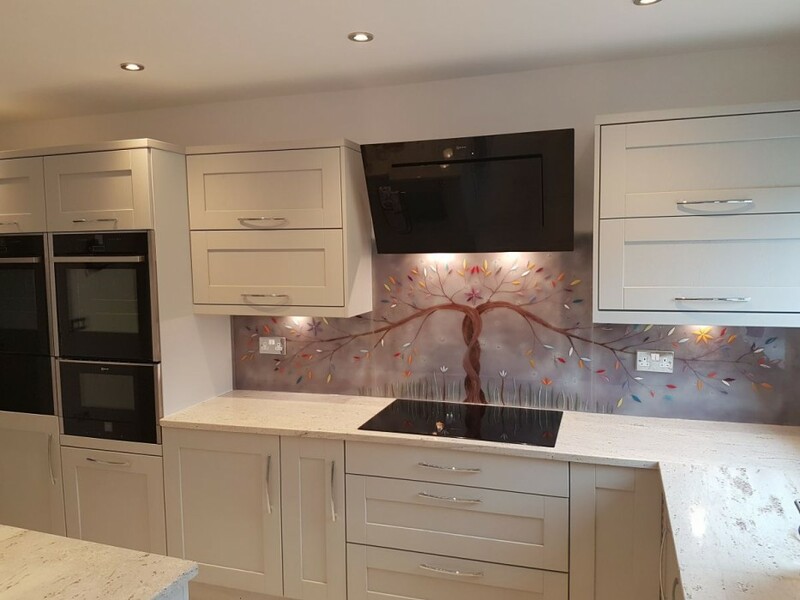 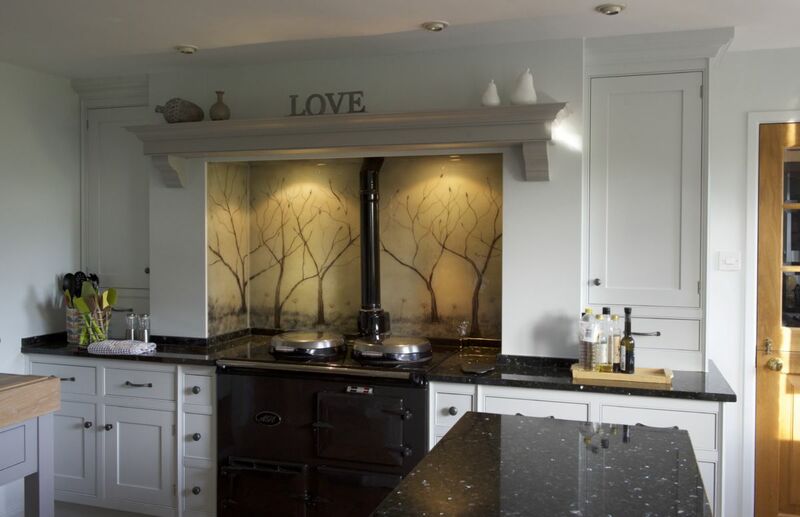 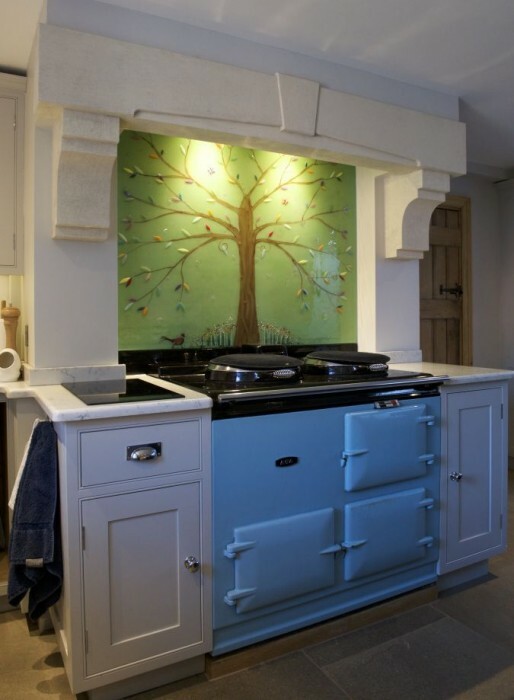 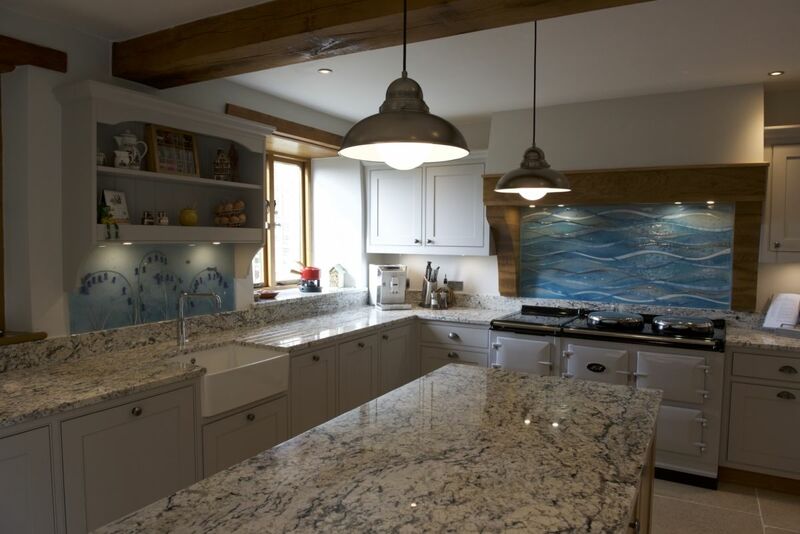 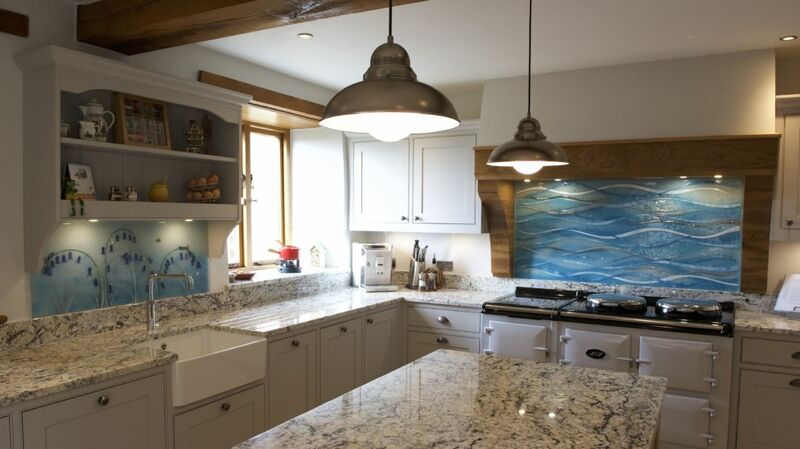 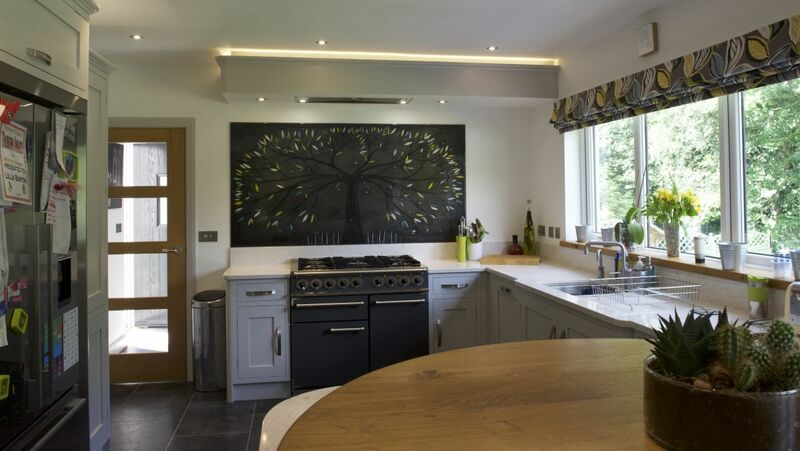 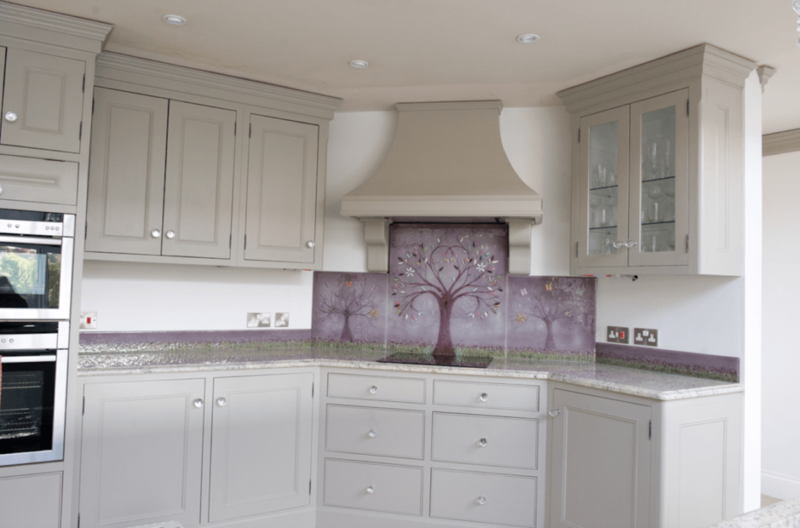 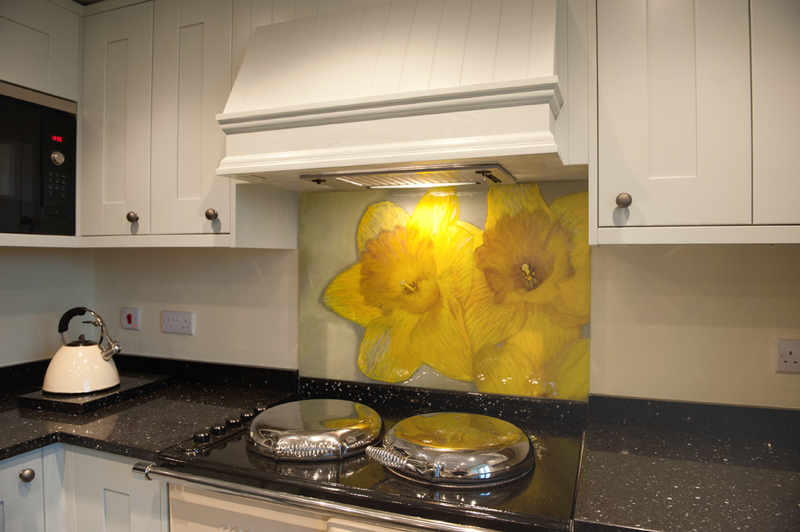 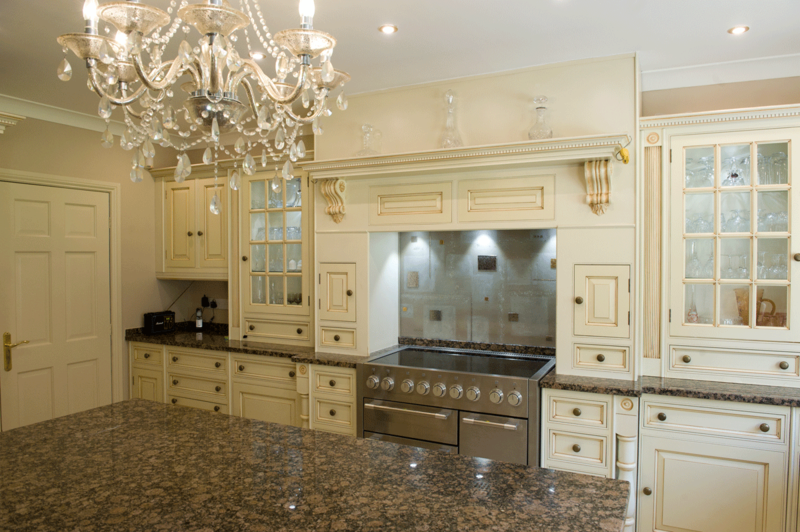 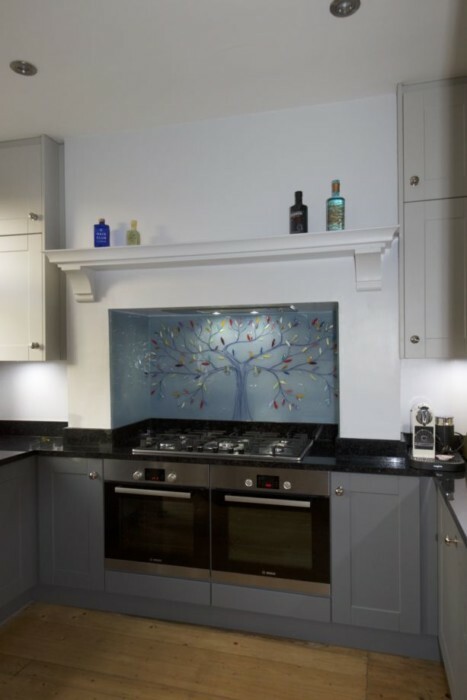 Splashbacks are very impactful things, and they’re a fantastic way to add a huge amount of flair to any kitchen or bathroom in a single deft stroke. 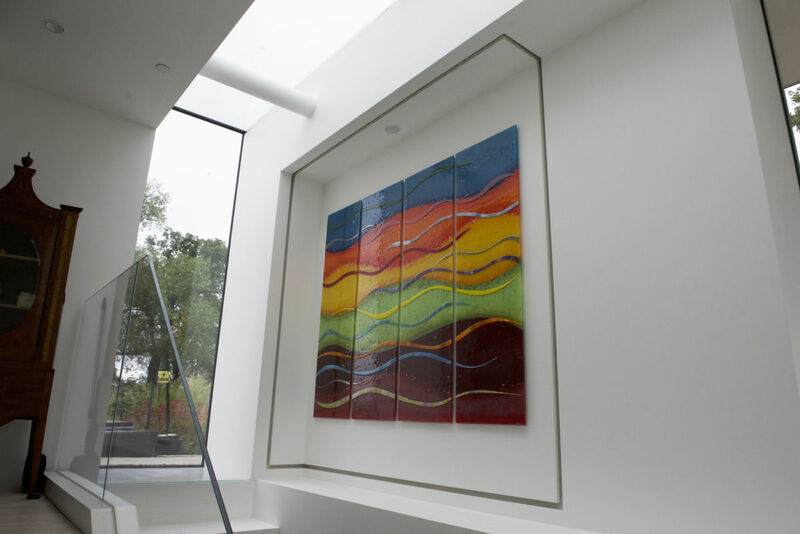 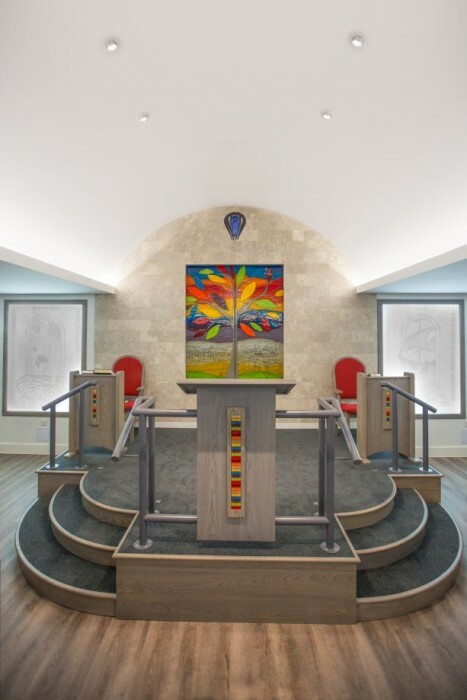 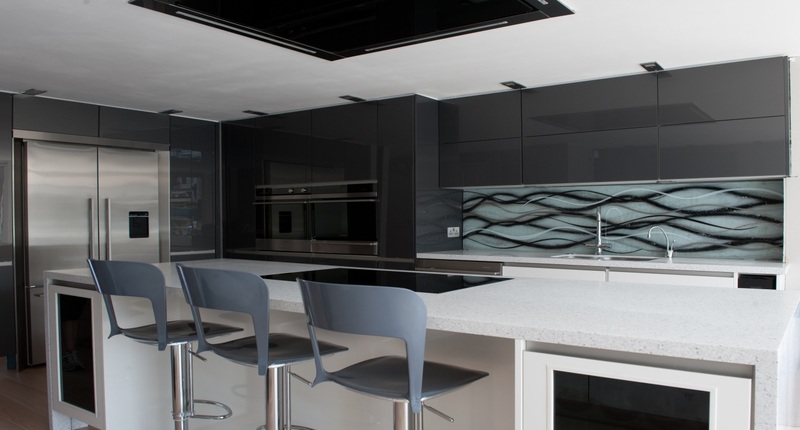 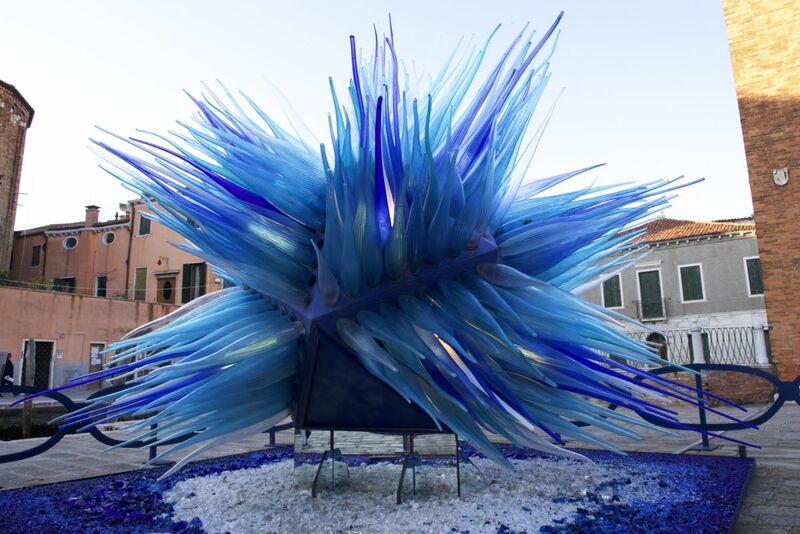 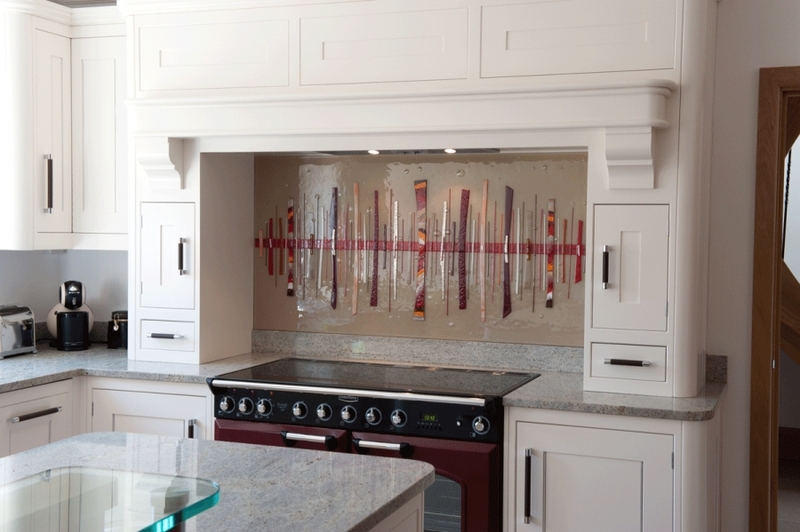 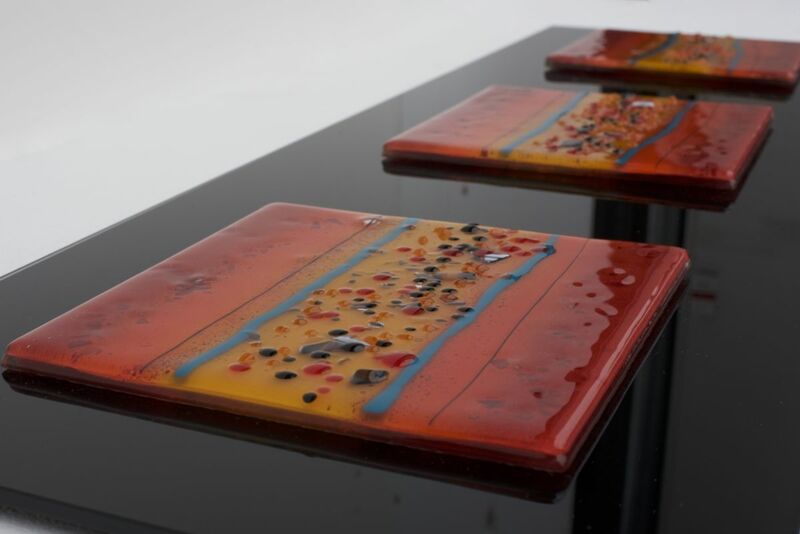 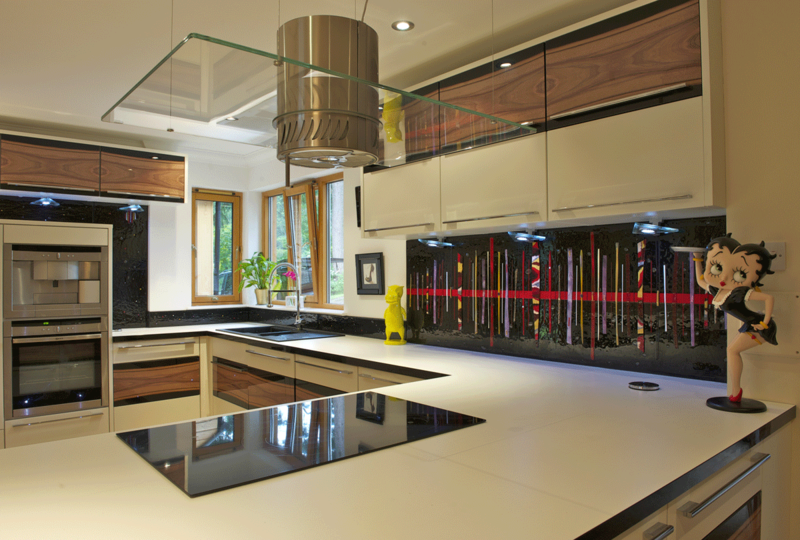 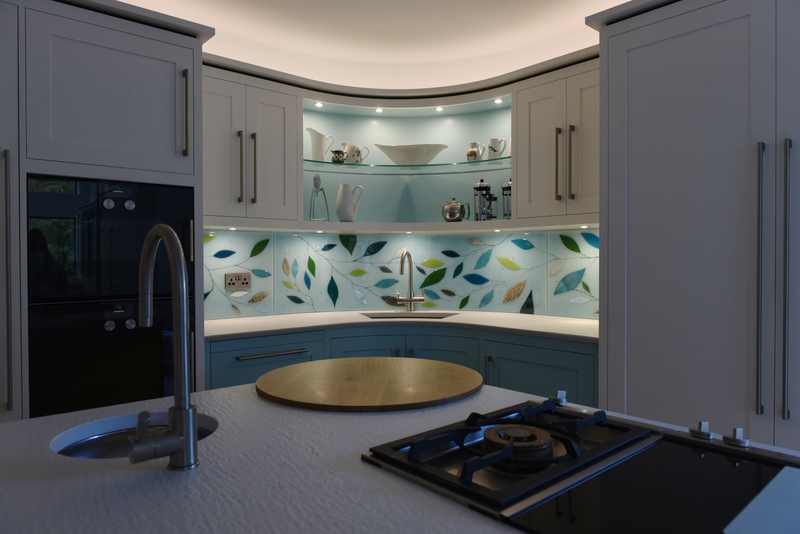 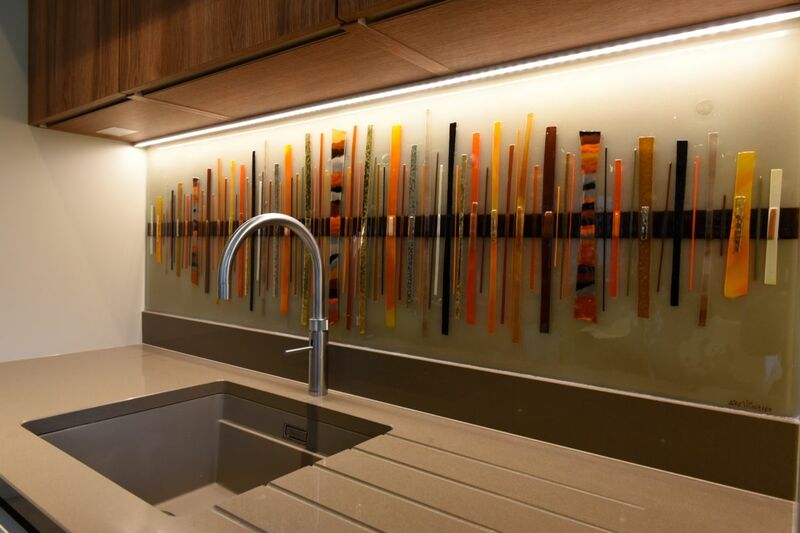 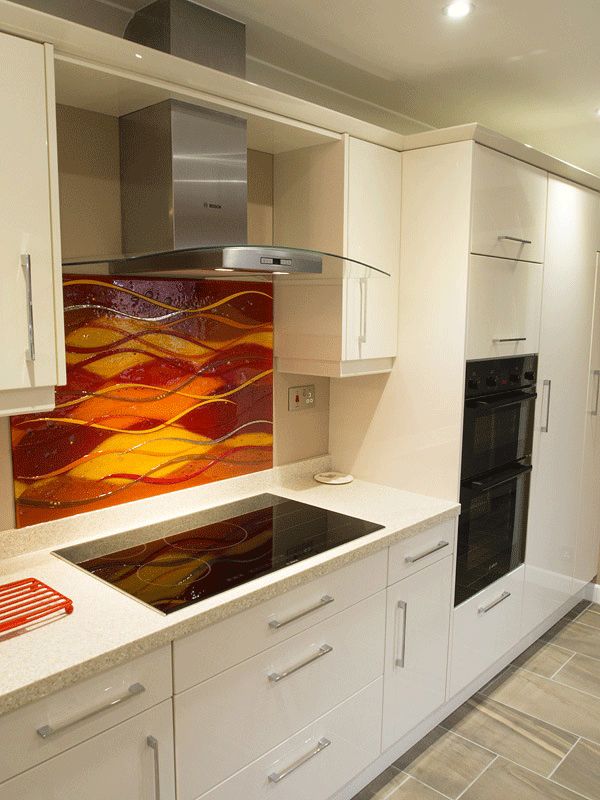 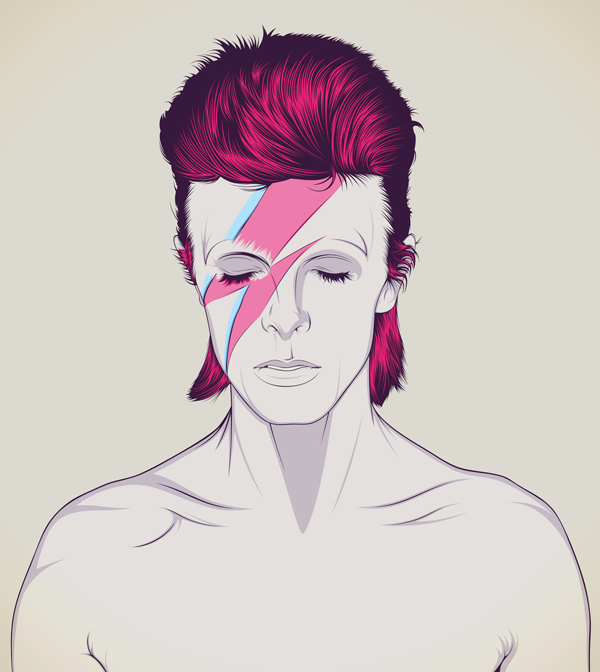 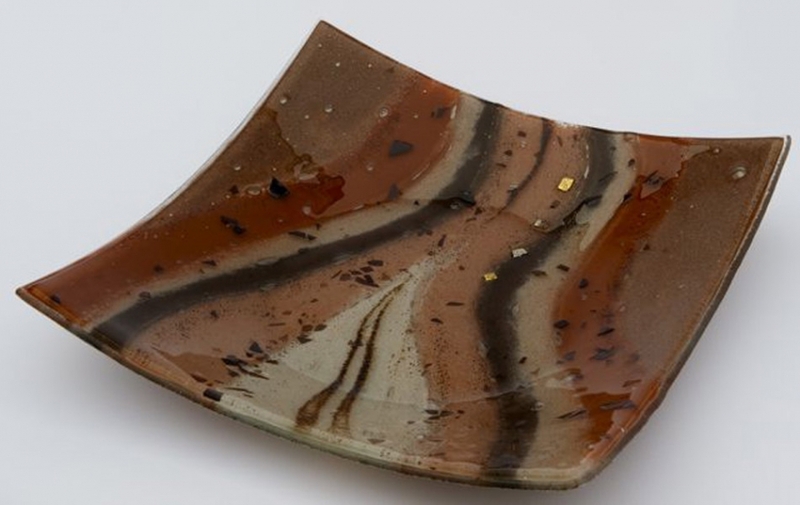 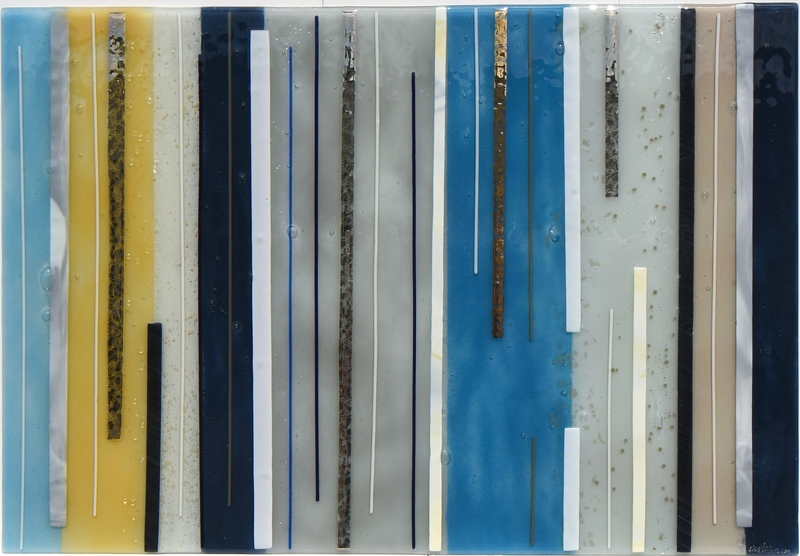 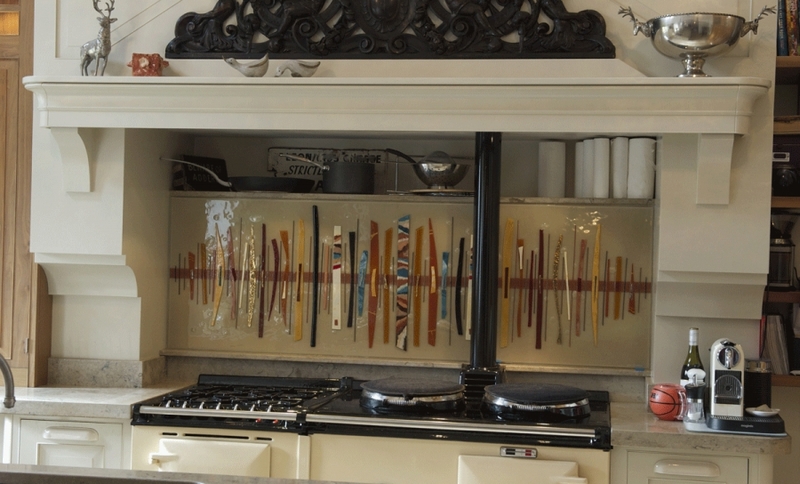 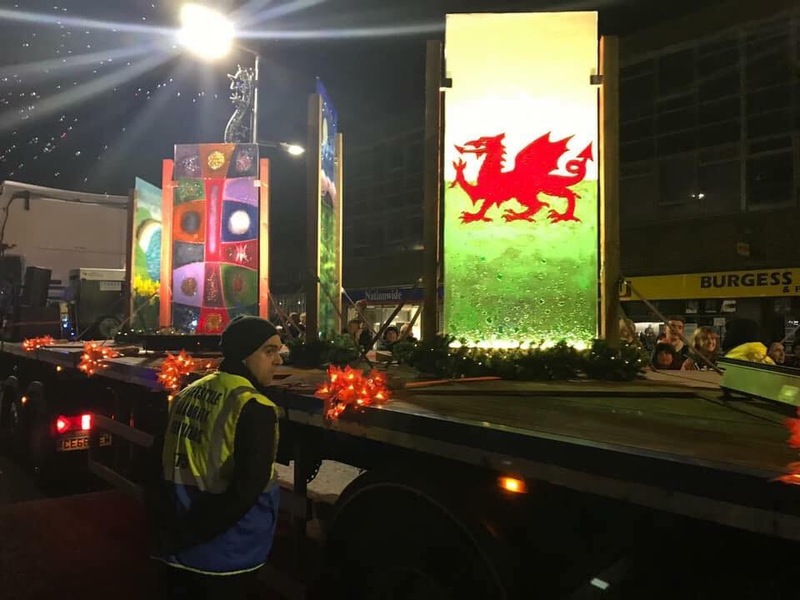 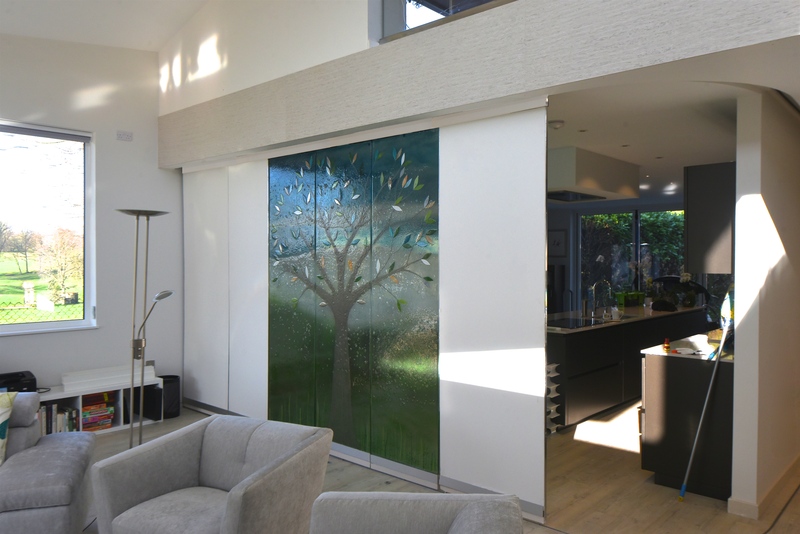 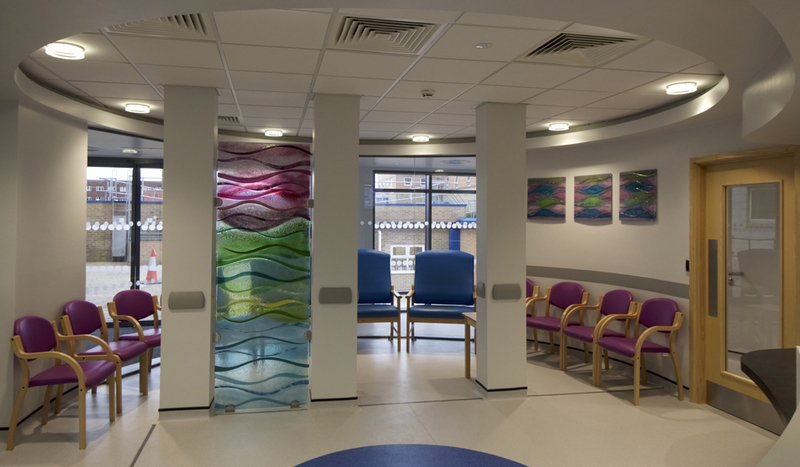 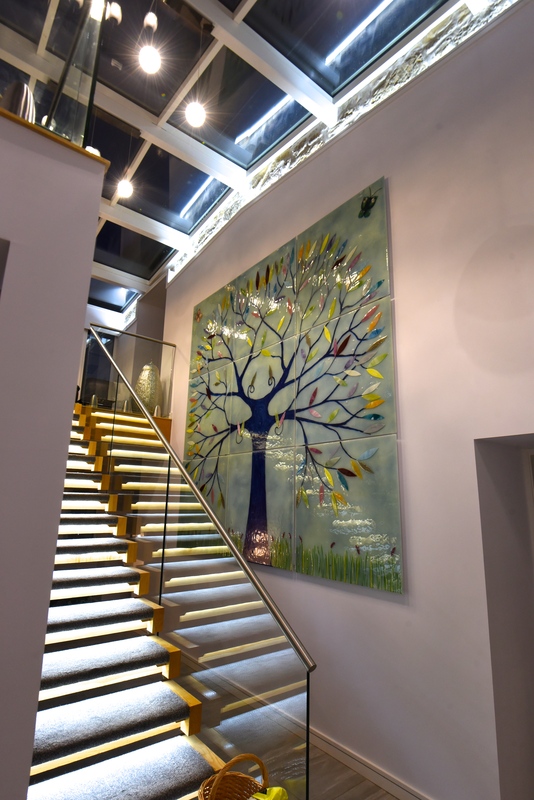 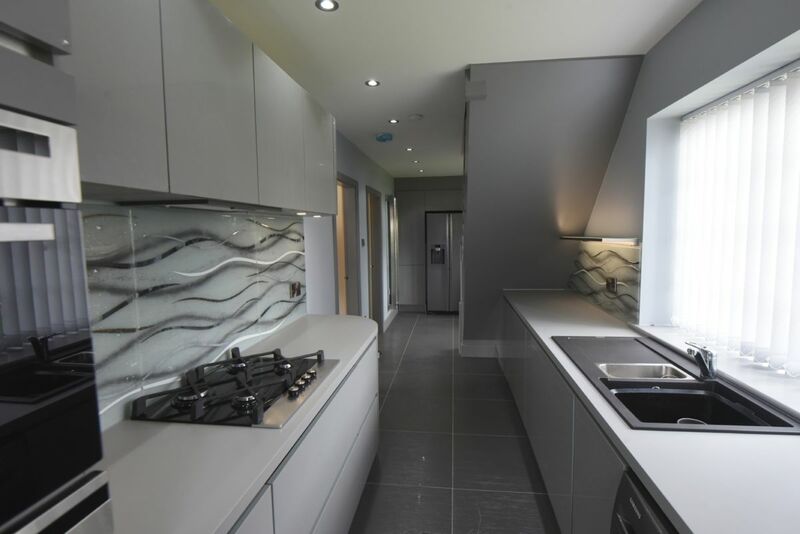 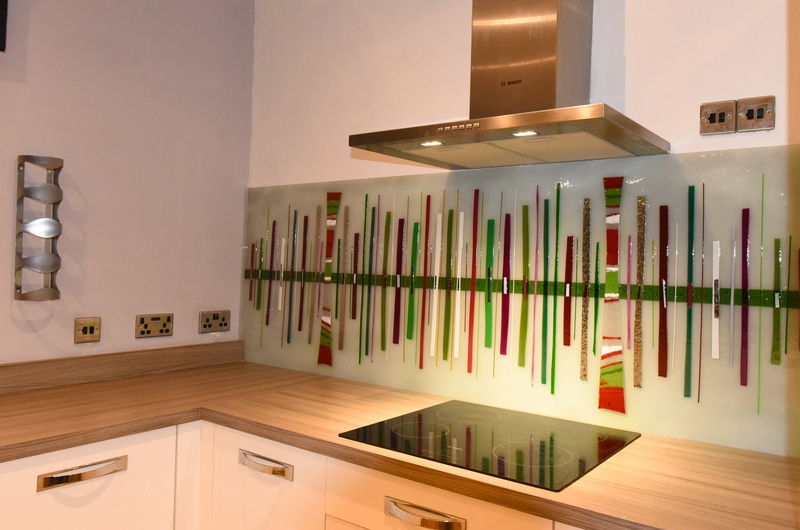 They take a number of forms, the most popular being coloured glass splashbacks, but that’s a trend that fused glass is definitely looking to change. 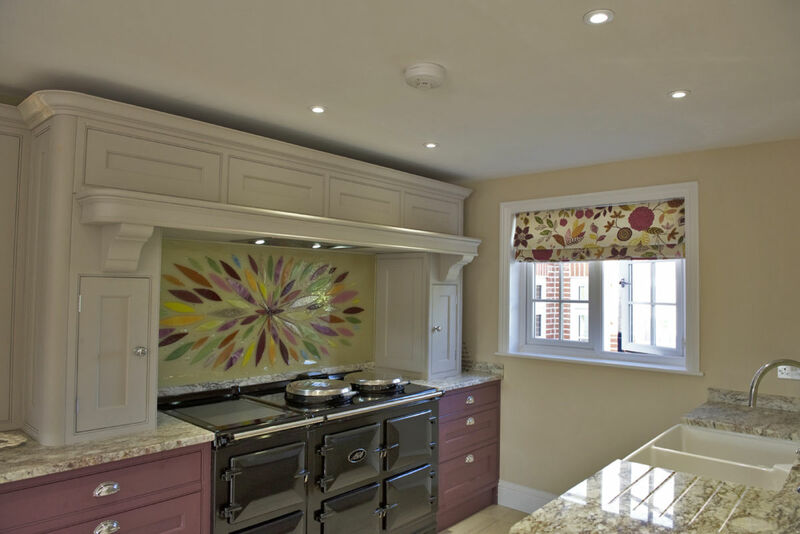 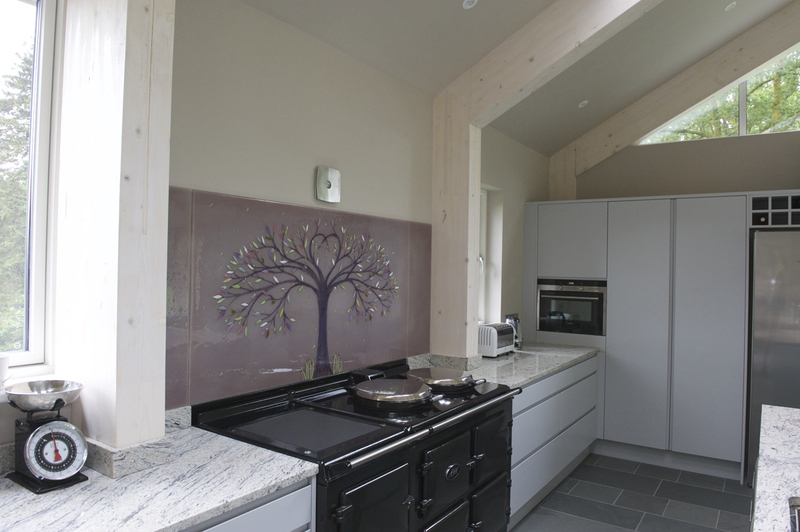 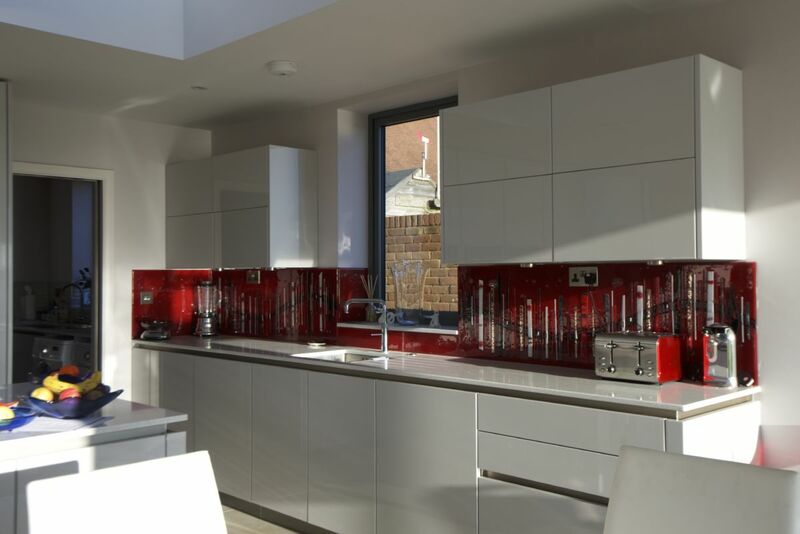 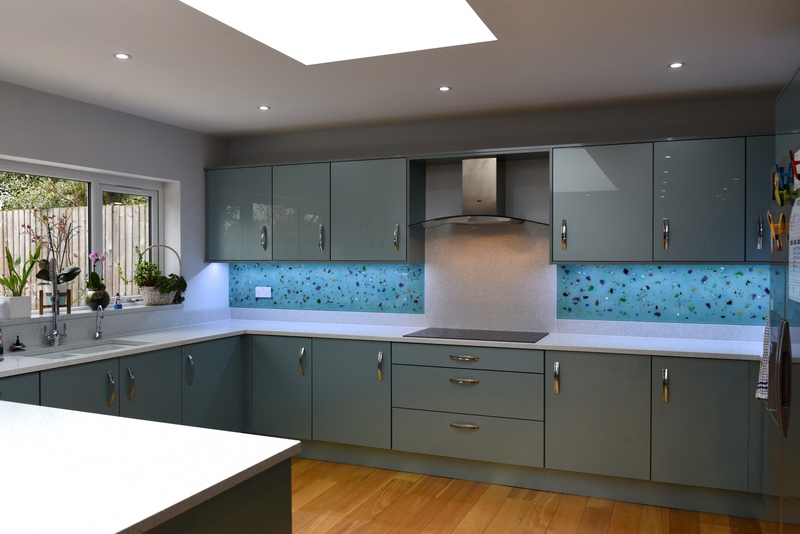 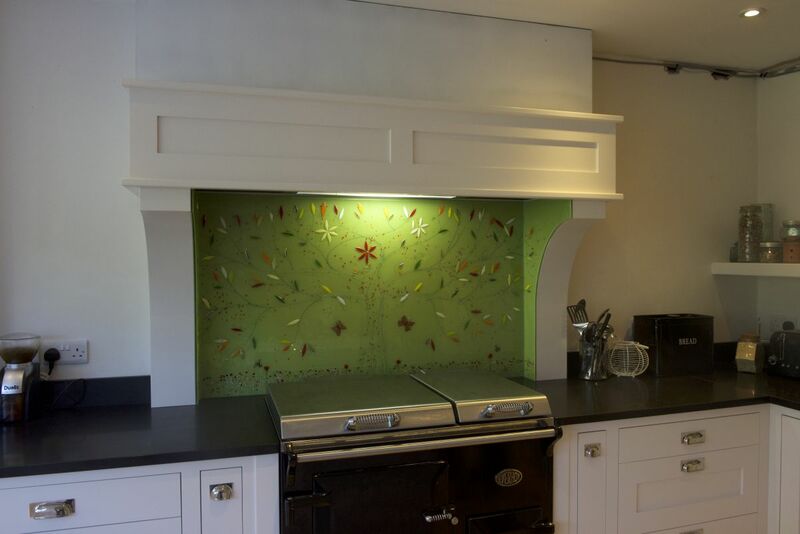 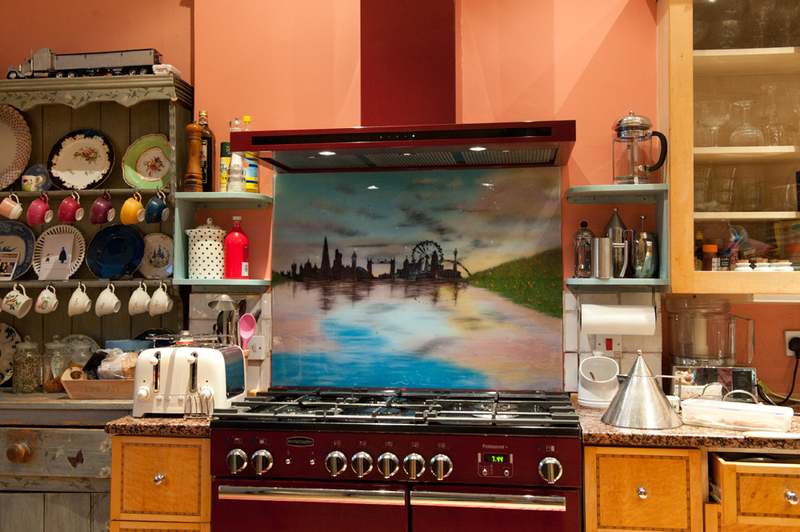 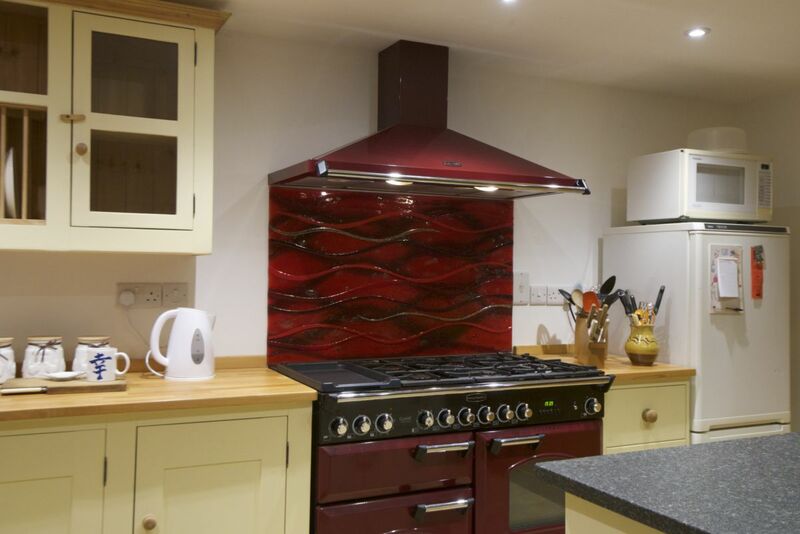 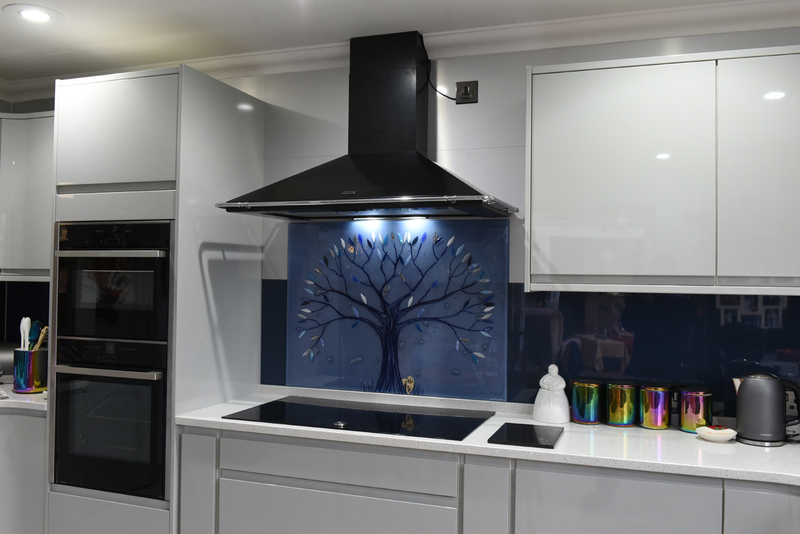 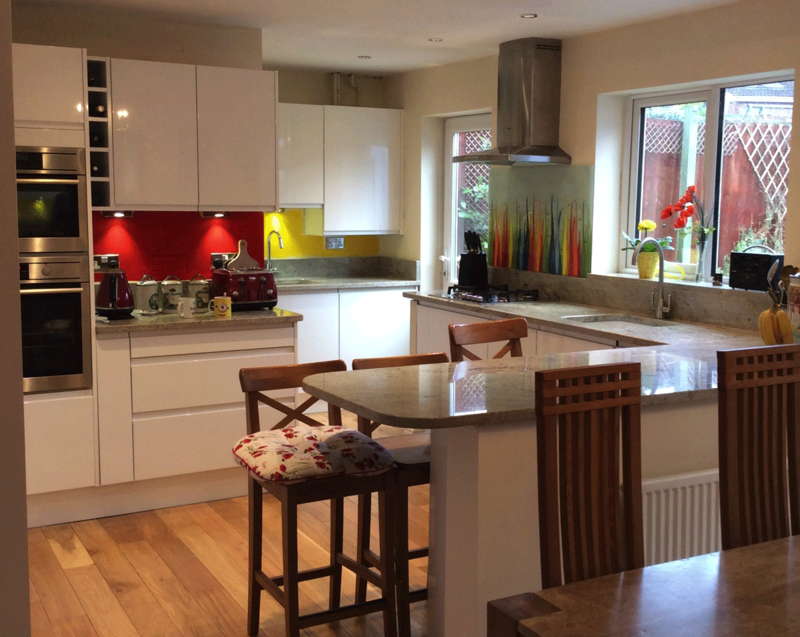 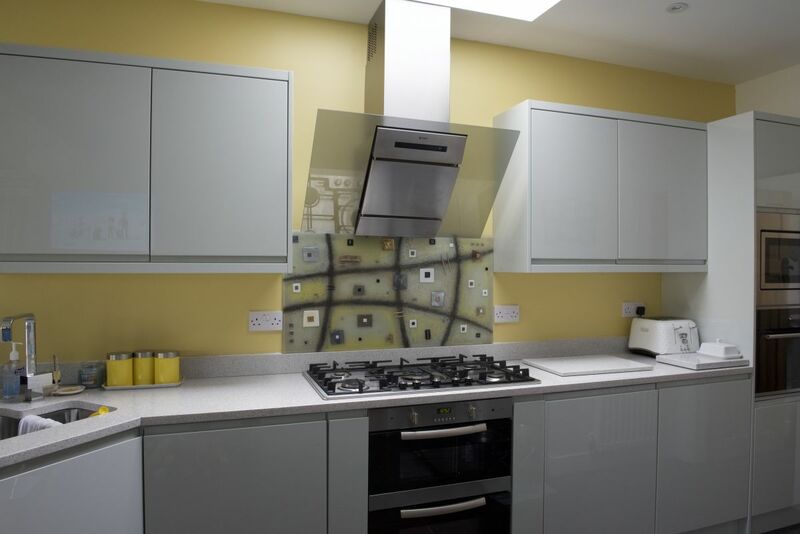 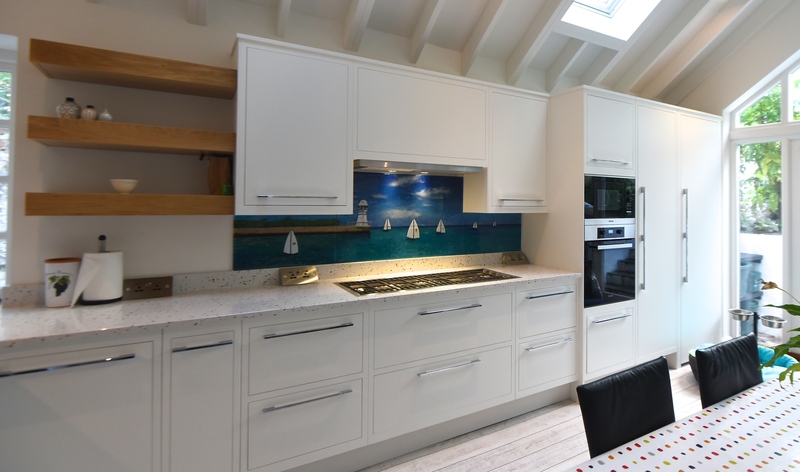 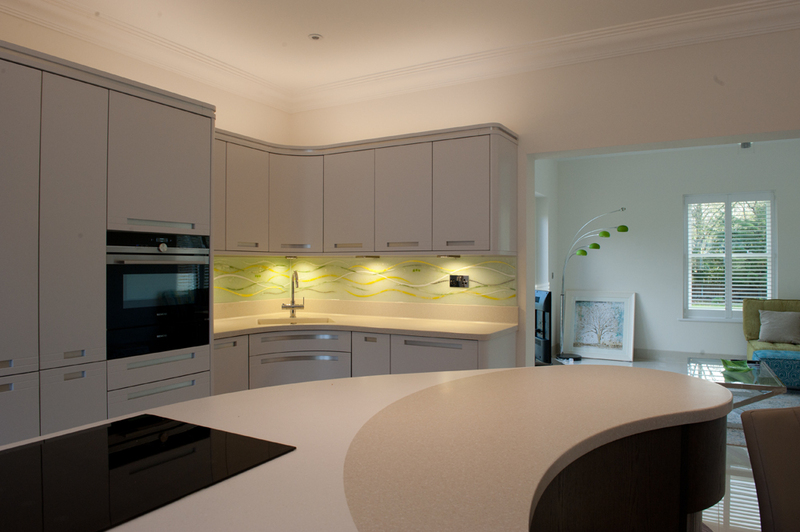 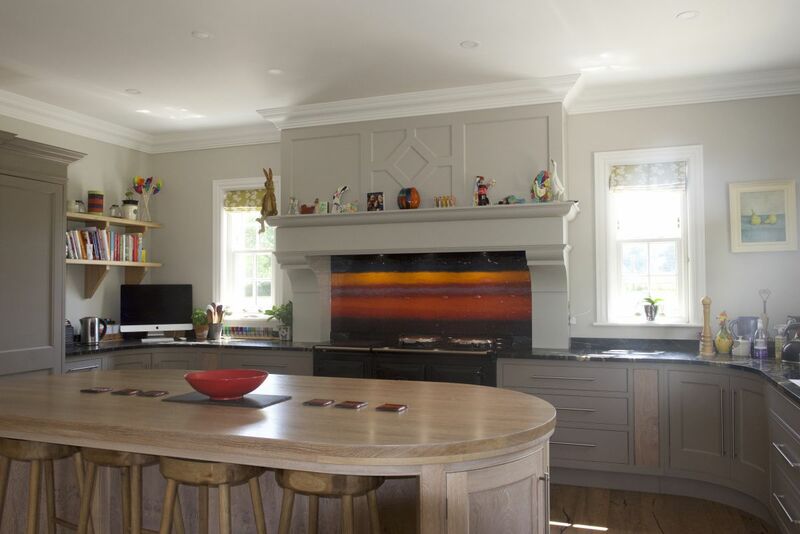 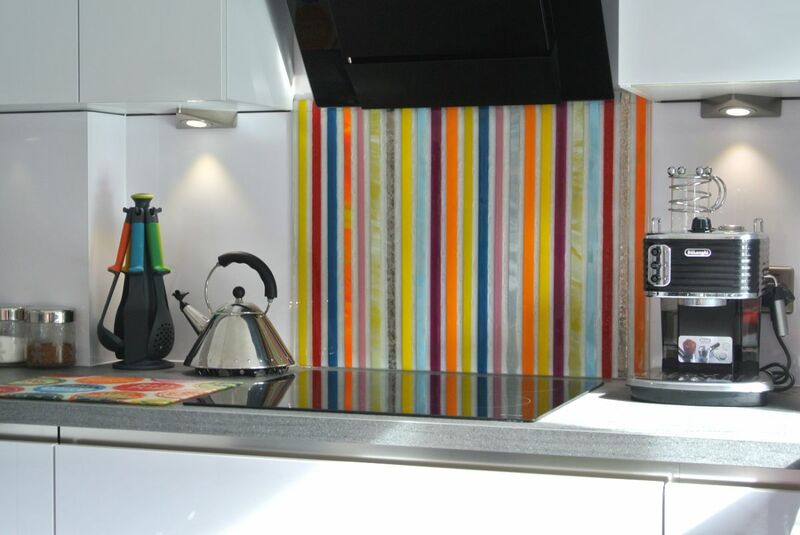 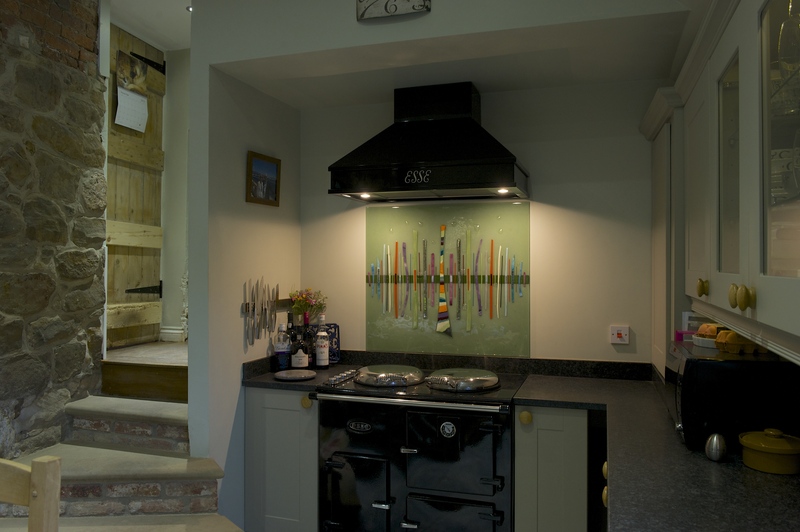 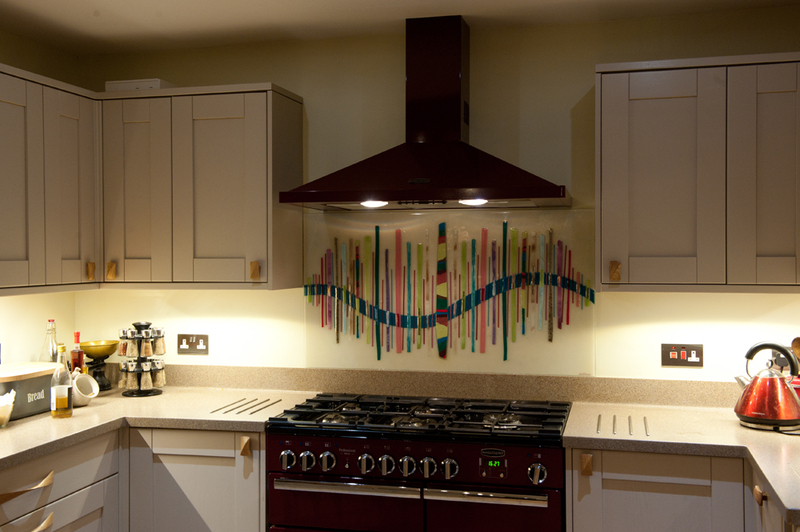 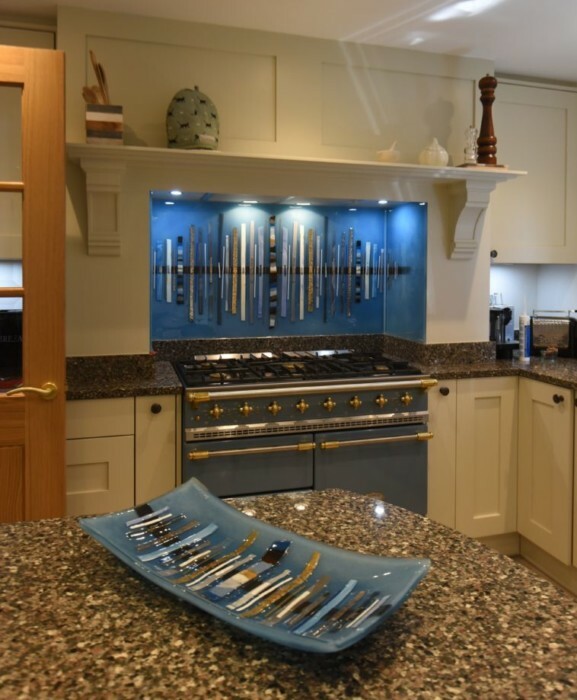 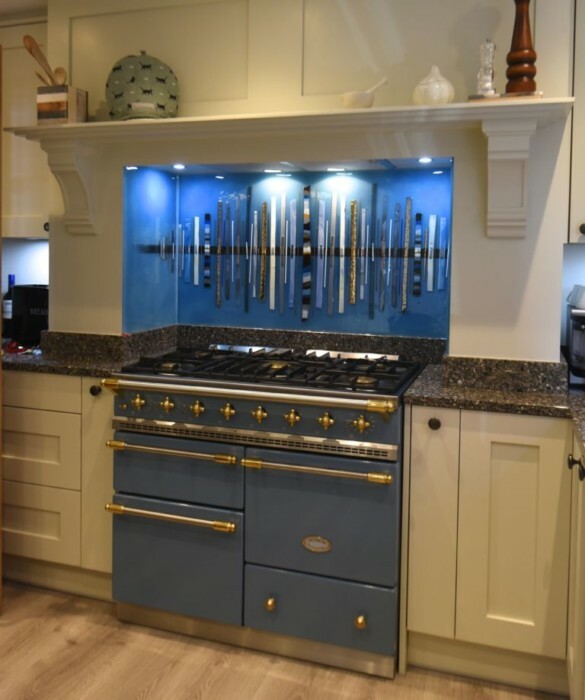 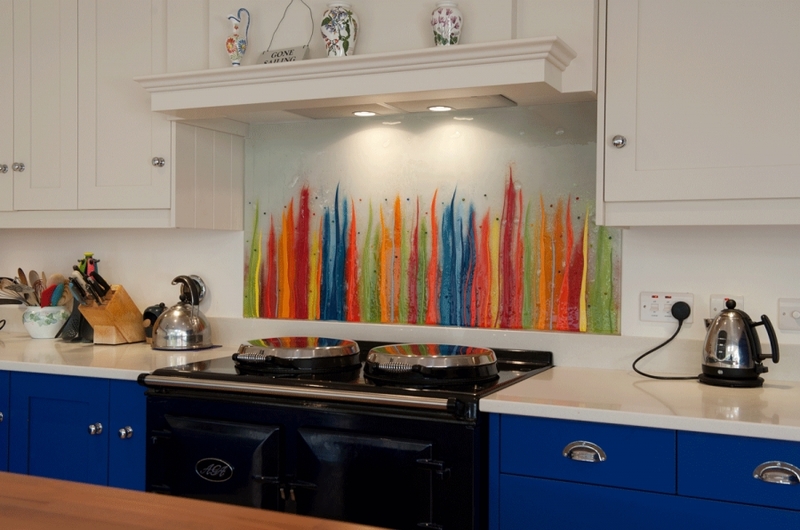 We do love the look of coloured glass splashbacks, of course, and they can look a real treat in a kitchen – especially when they’re cleverly utilised. 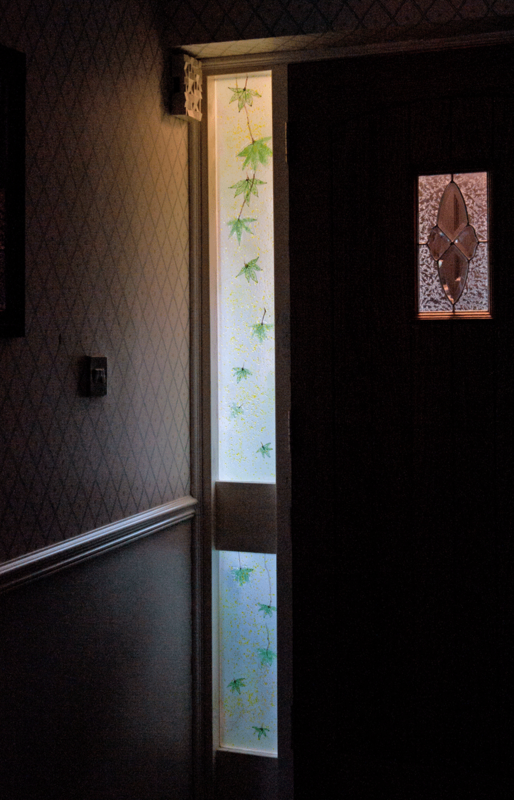 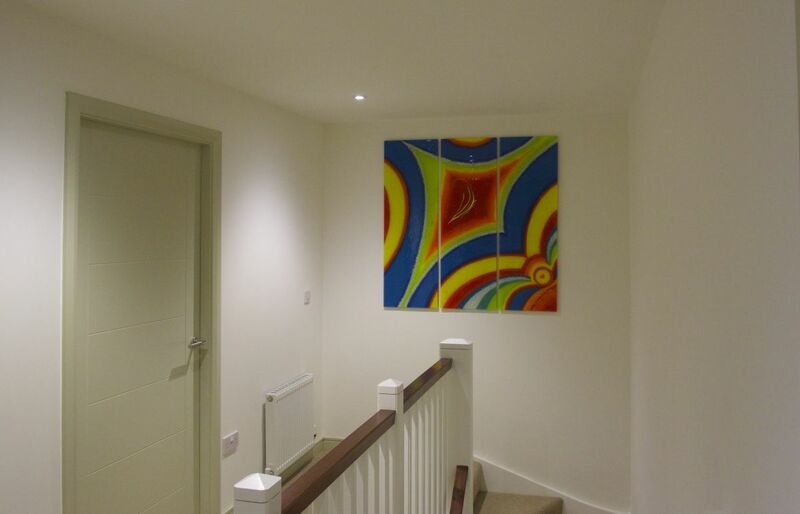 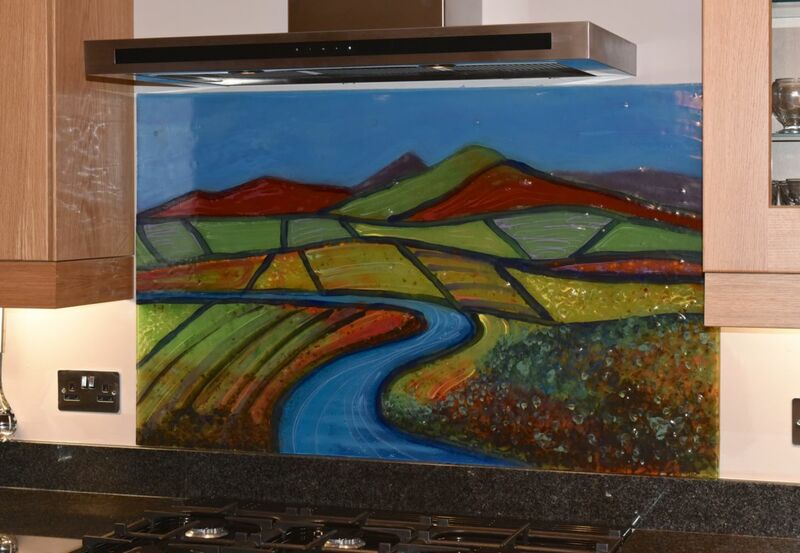 There’s definitely a lack of detail, however, as most of them feature just a single colour applied to the panel in a very smooth and even way. 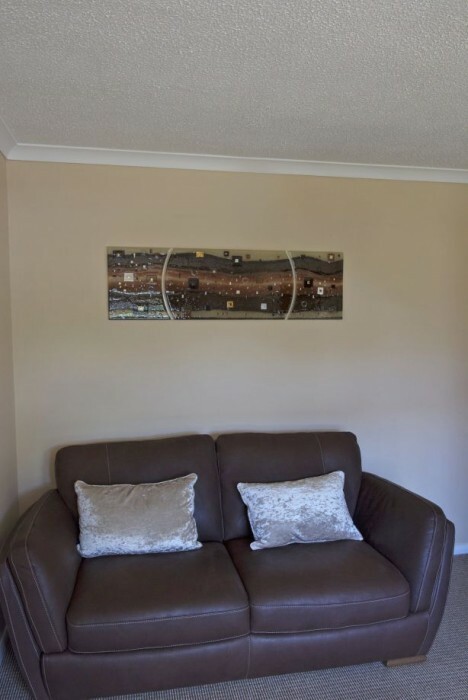 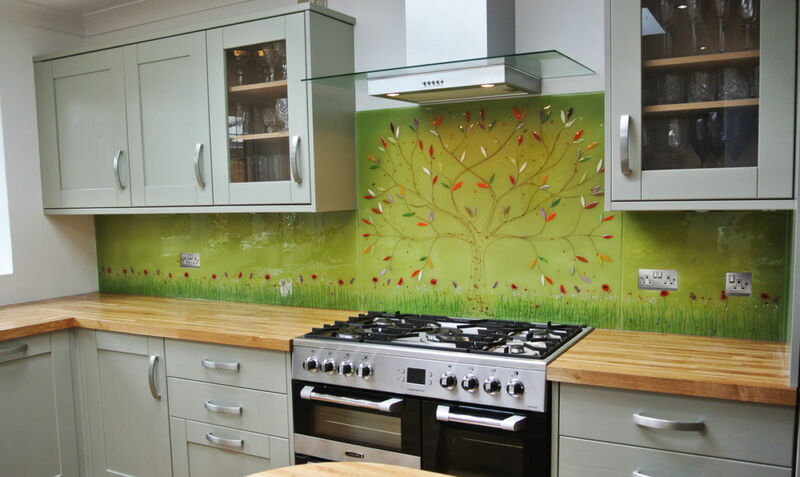 The result can look not unlike a tile, which makes it a good choice for a lot of decorating situations, but what do you do when you’d like something that’s a bit more visually exciting and textured? 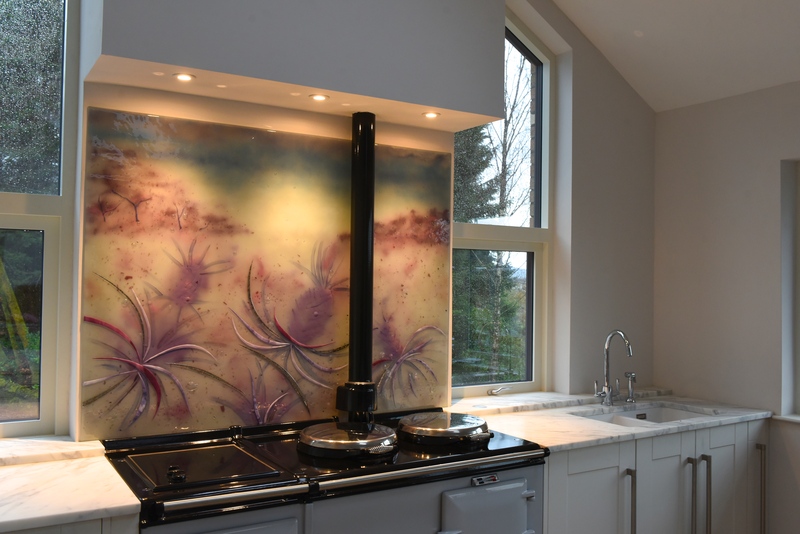 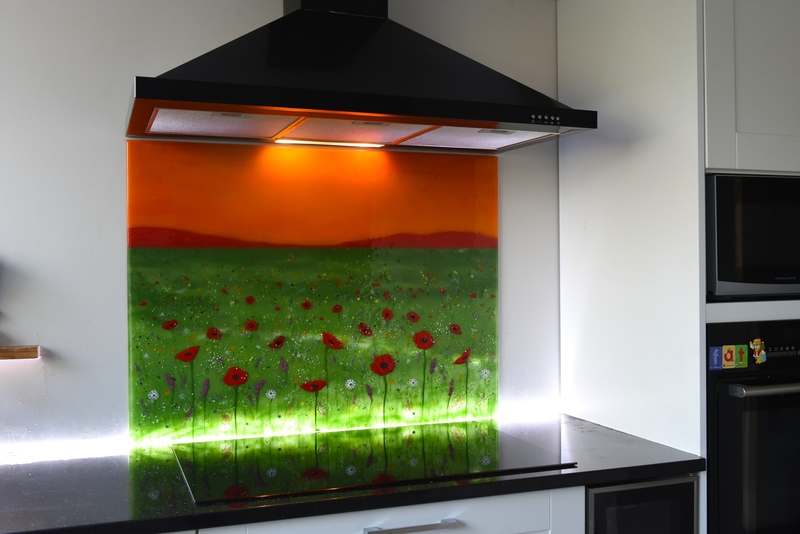 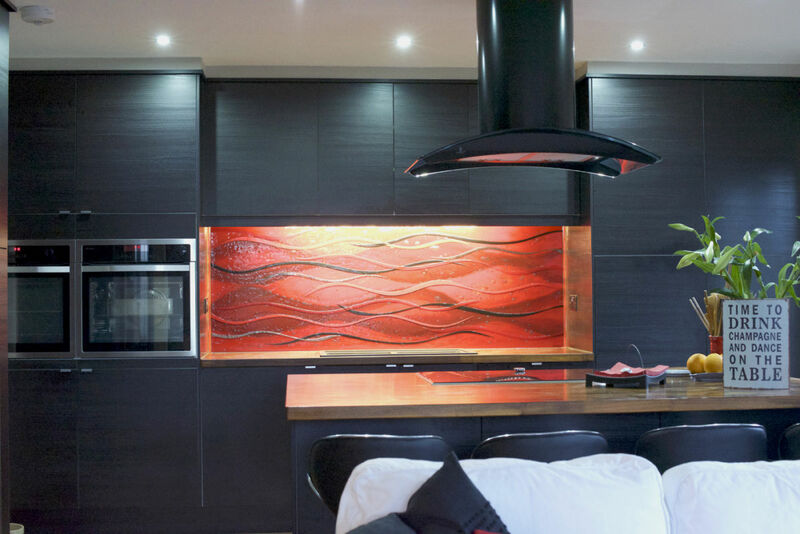 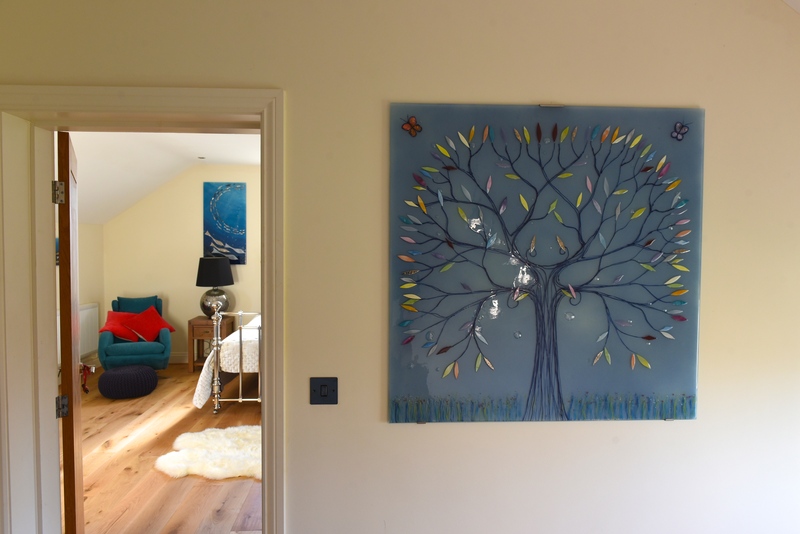 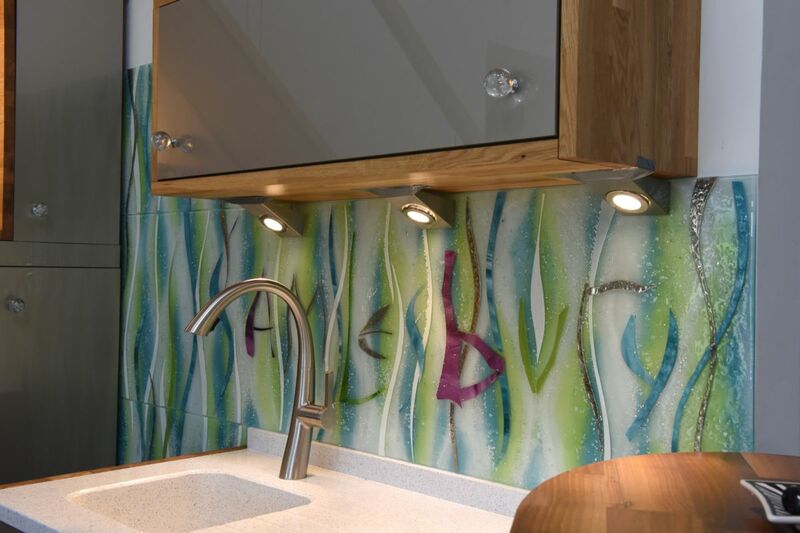 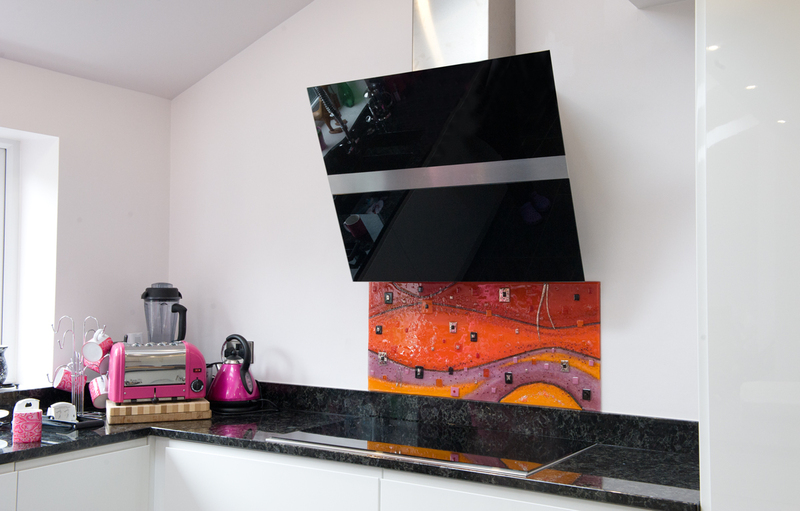 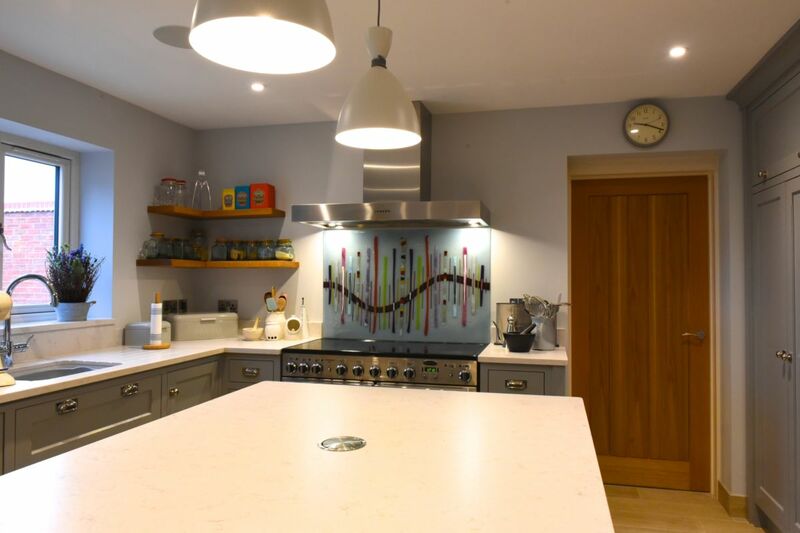 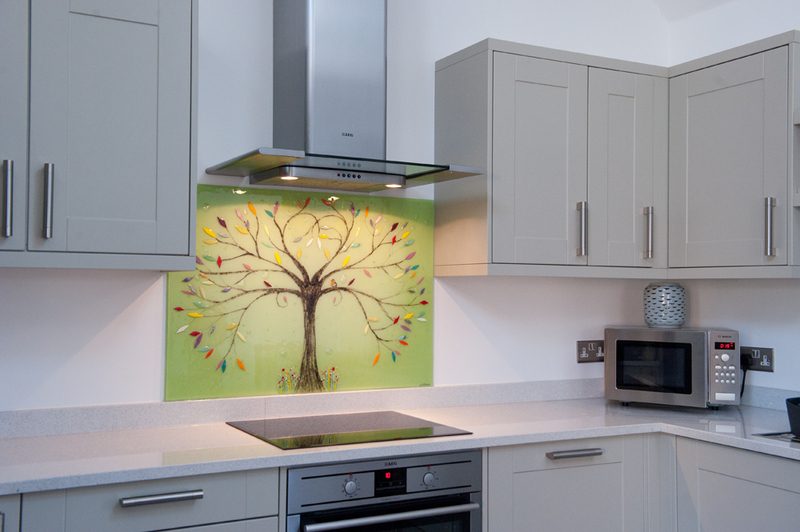 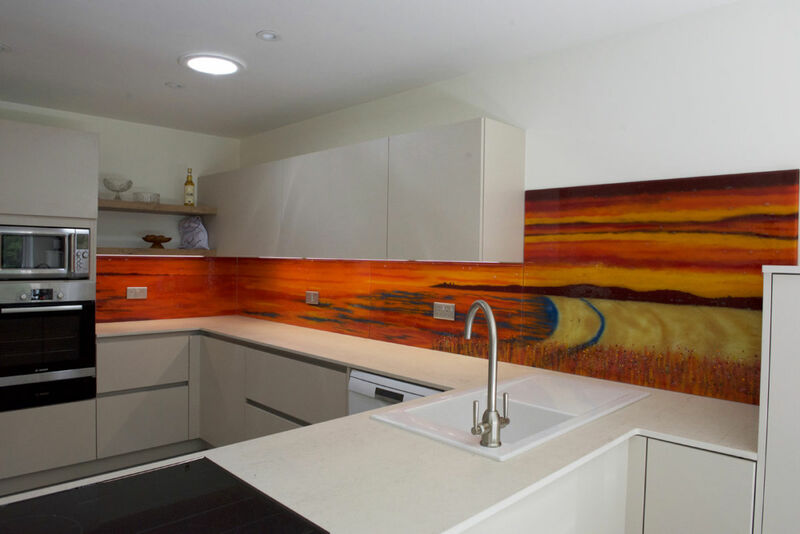 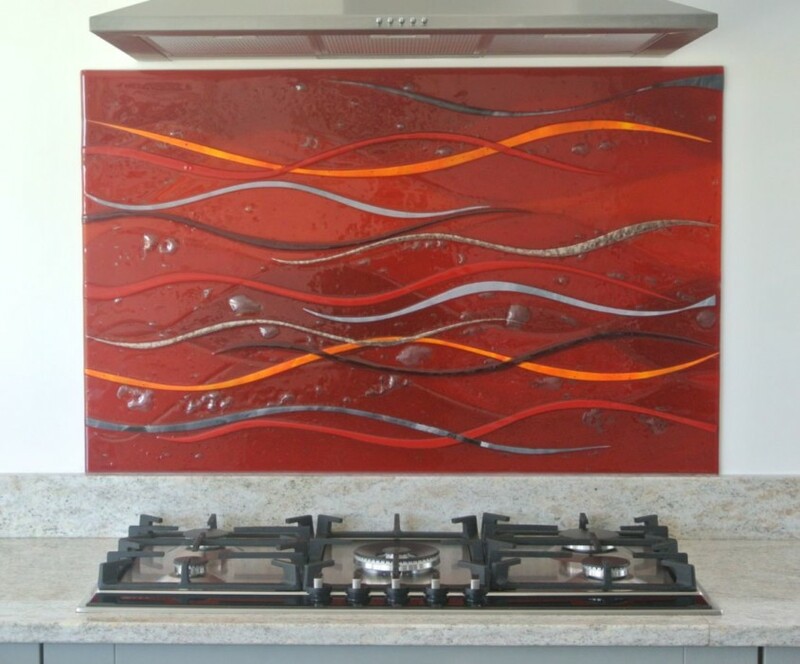 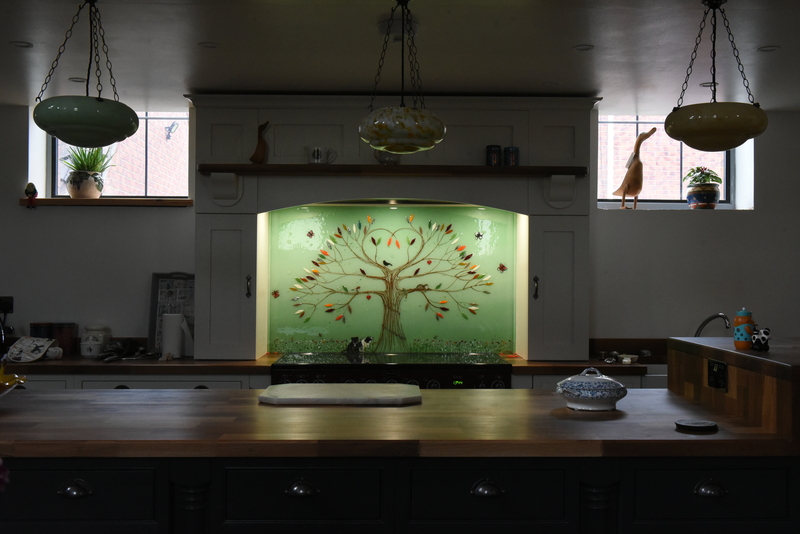 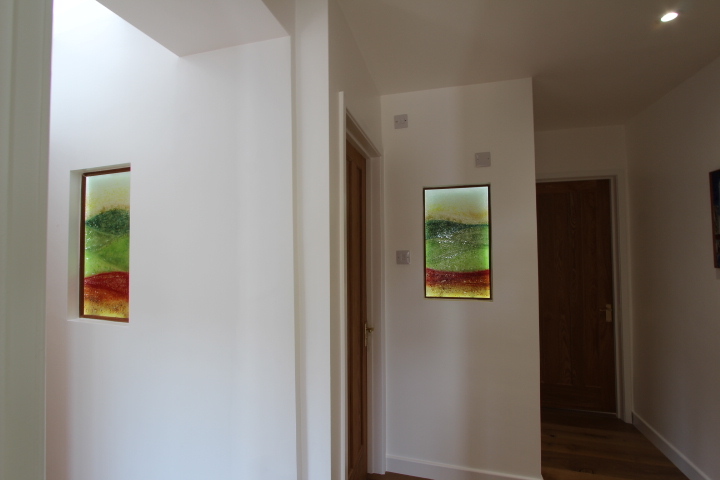 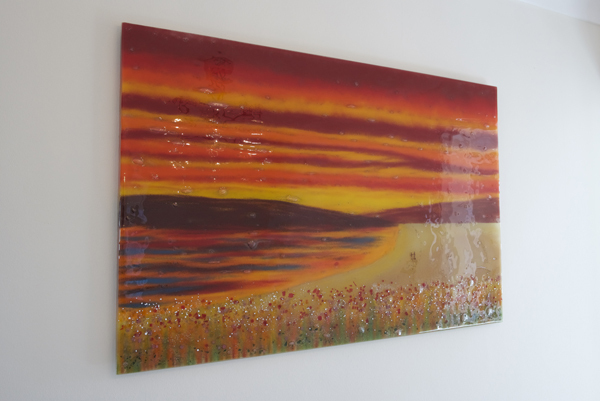 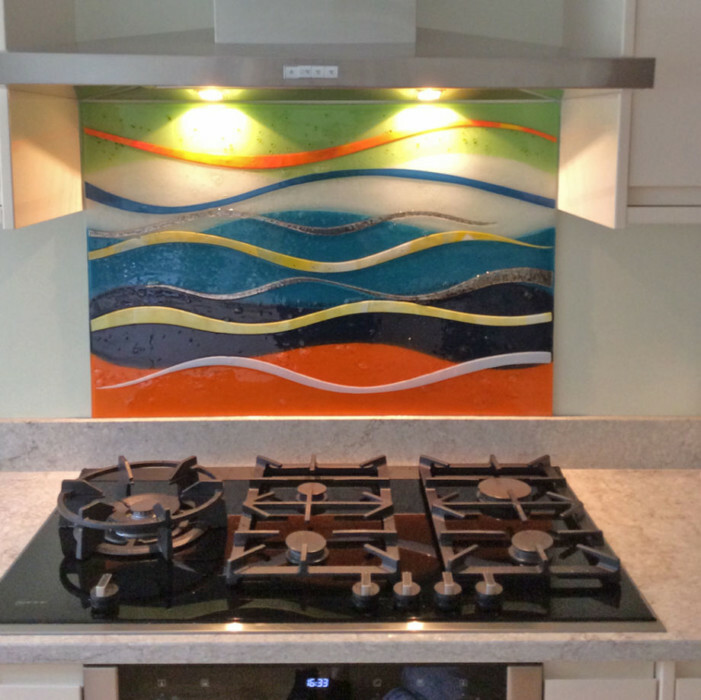 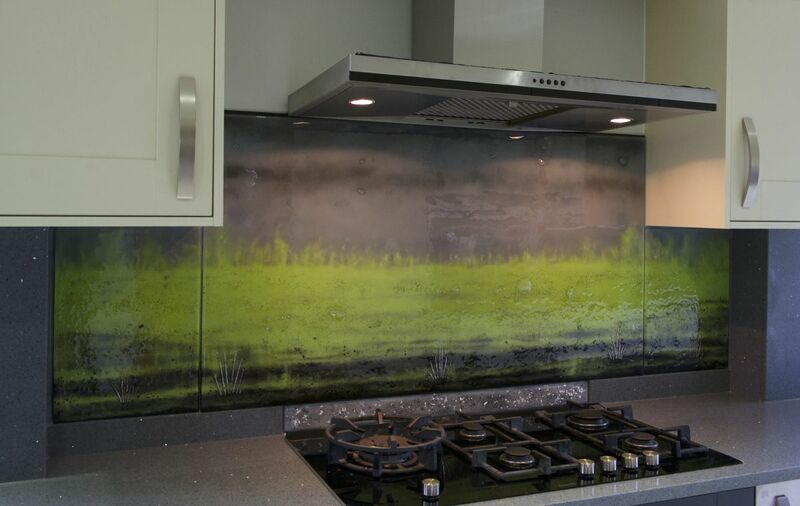 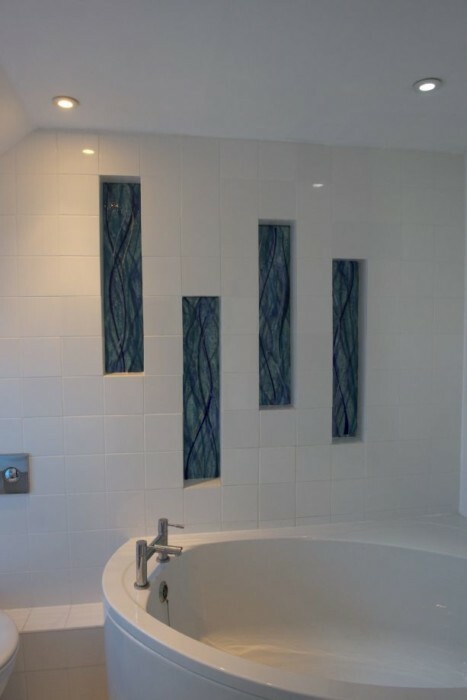 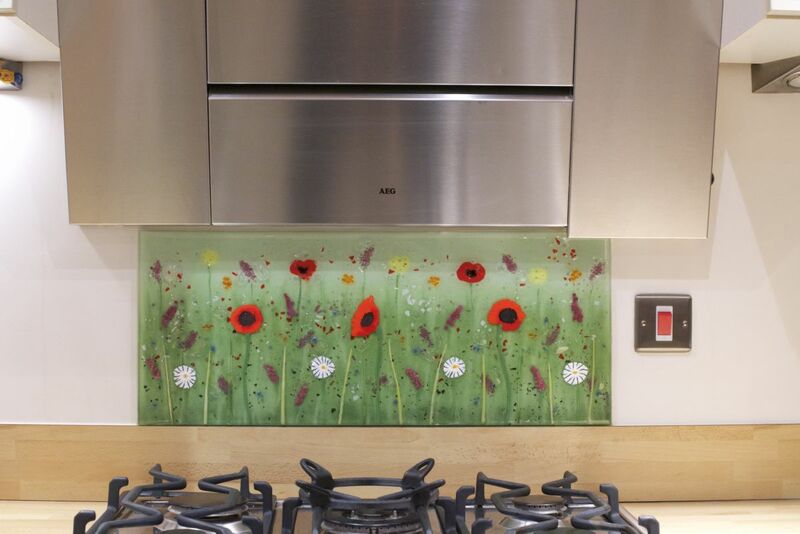 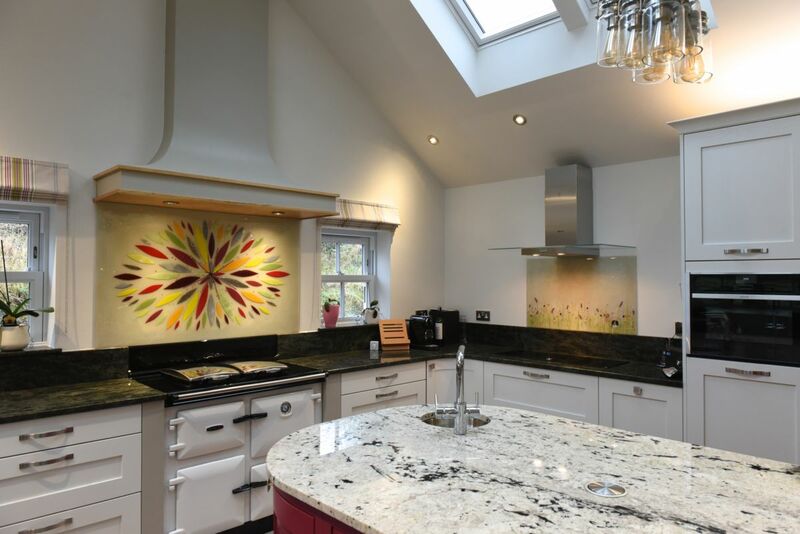 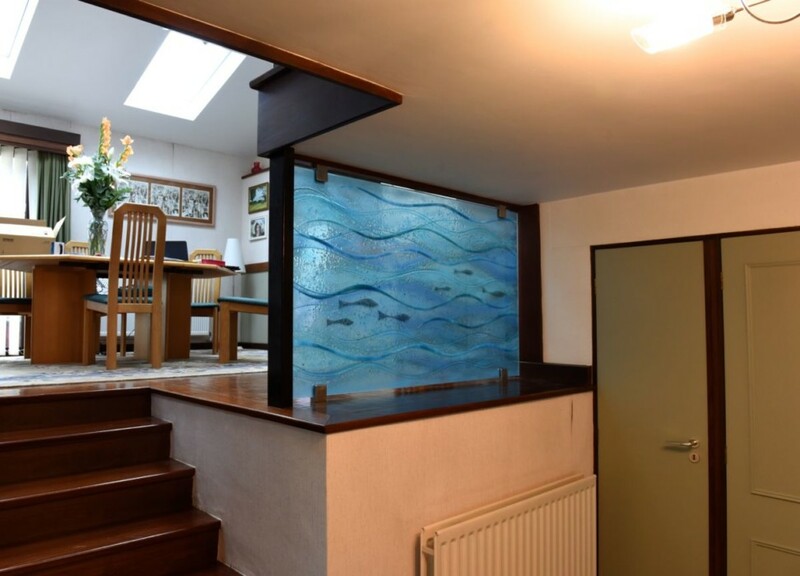 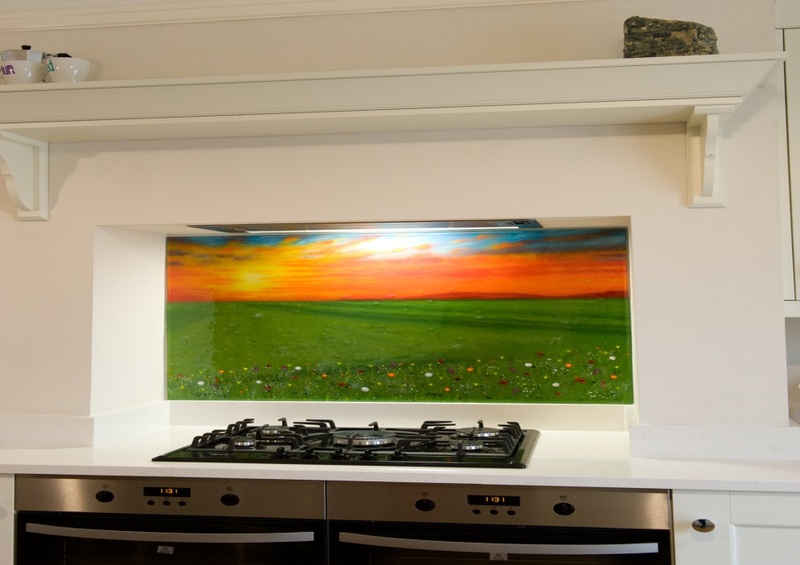 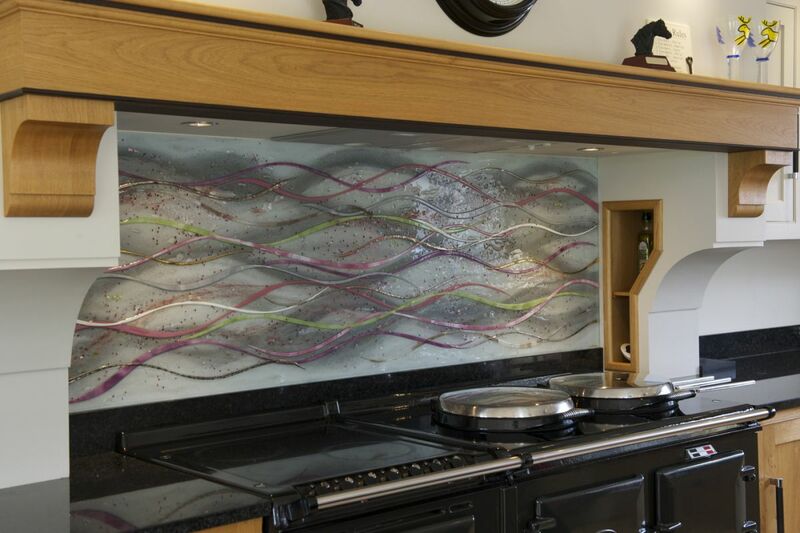 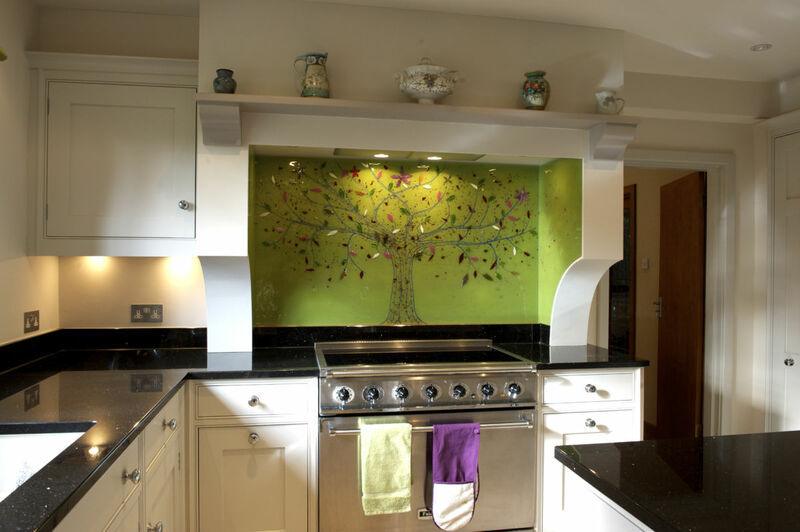 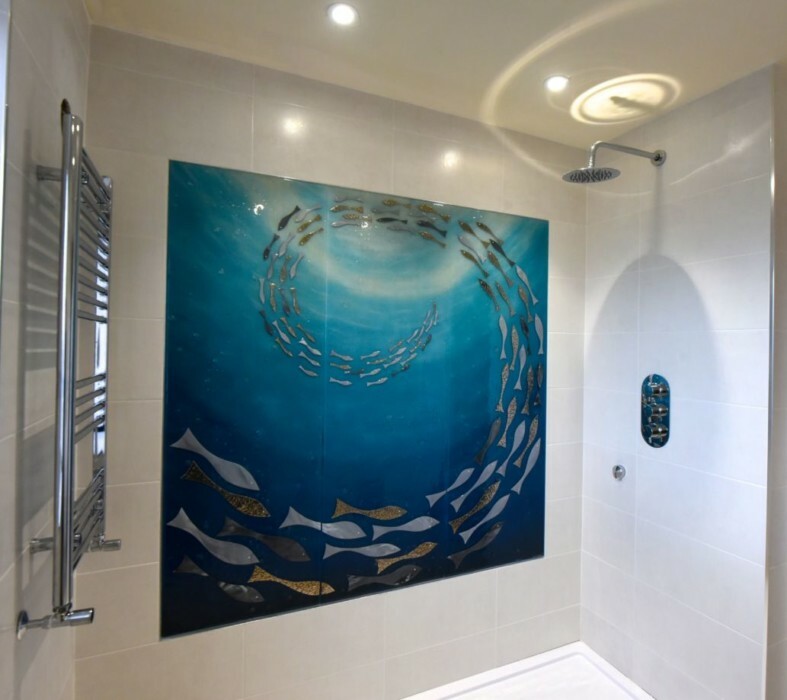 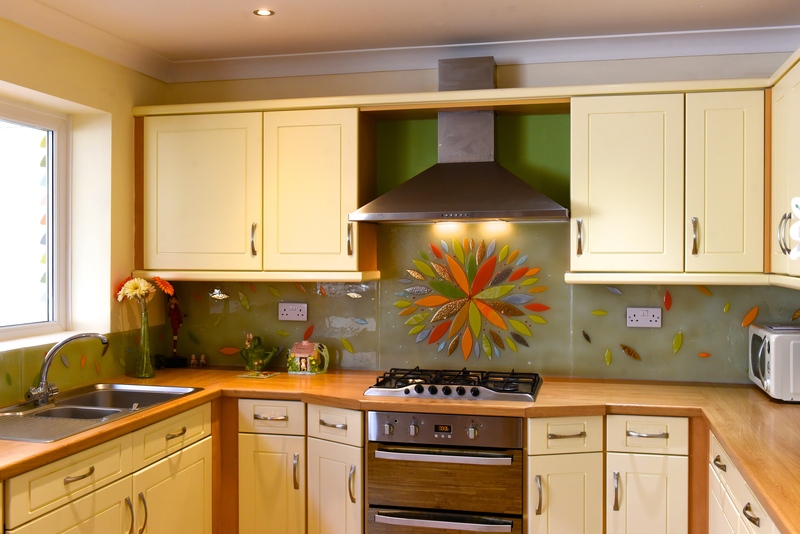 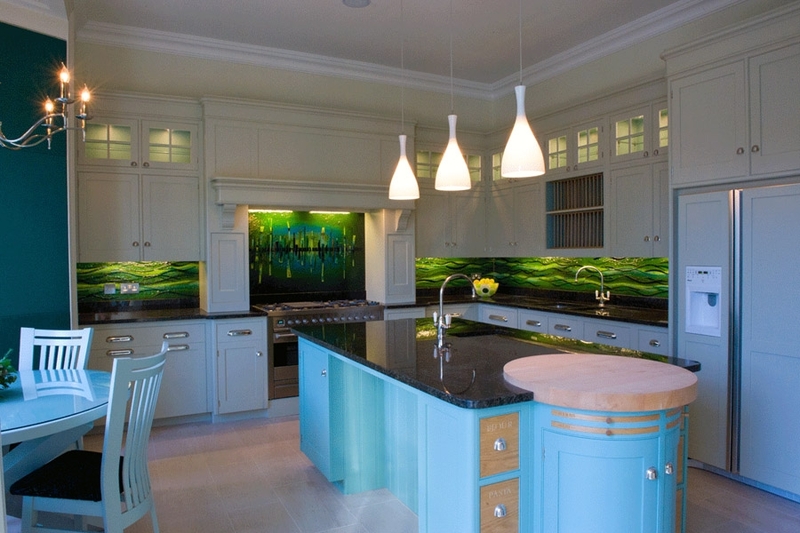 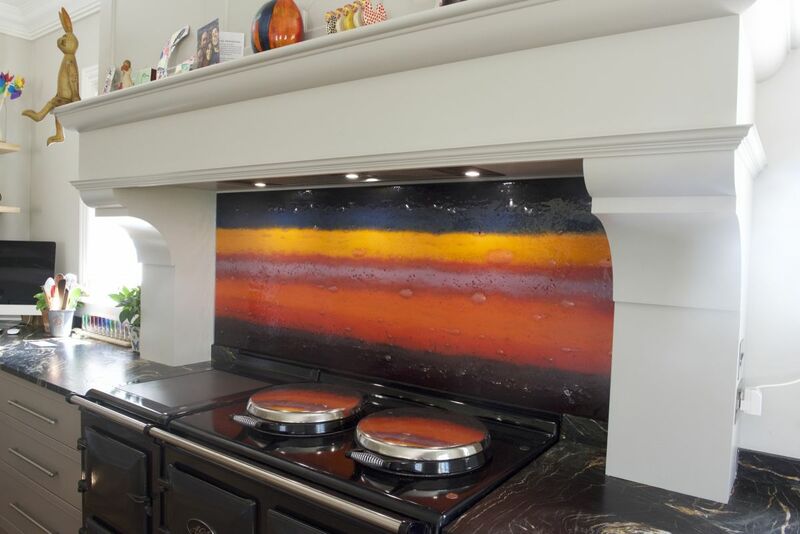 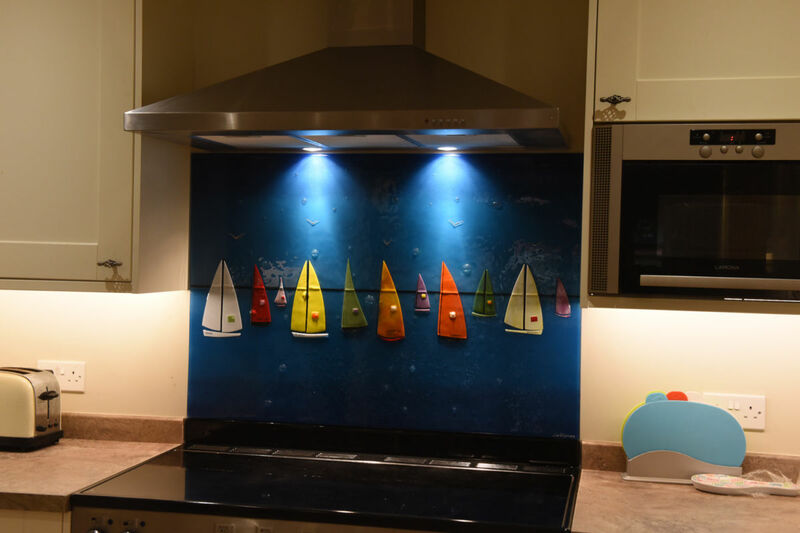 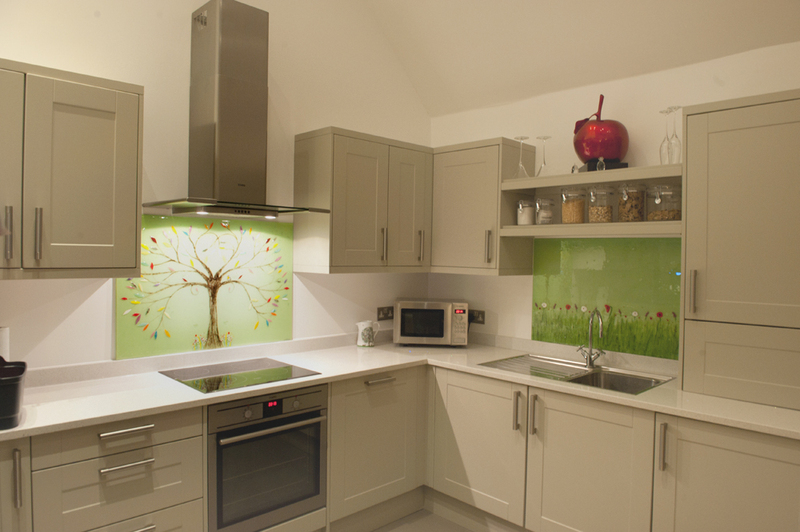 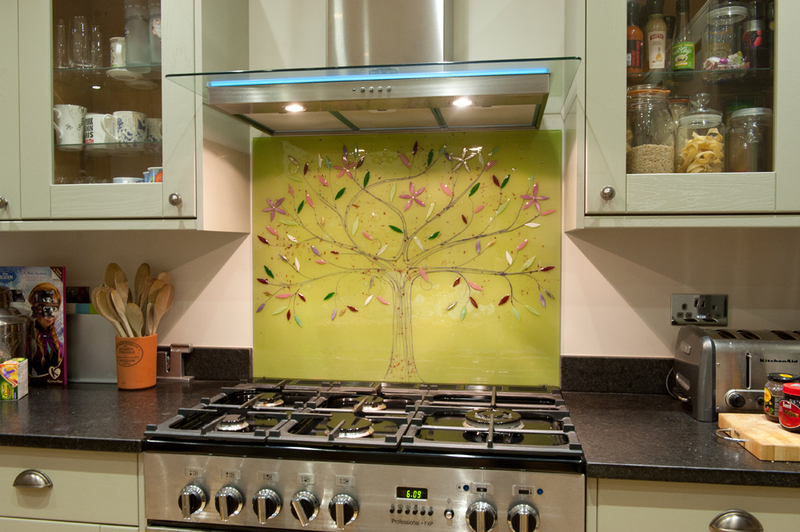 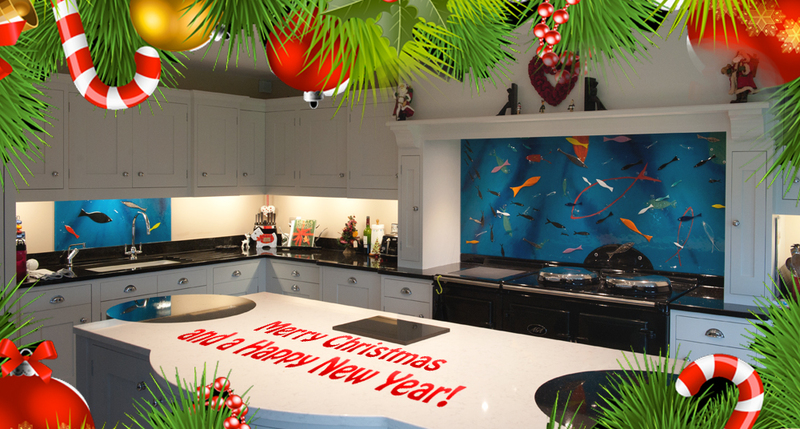 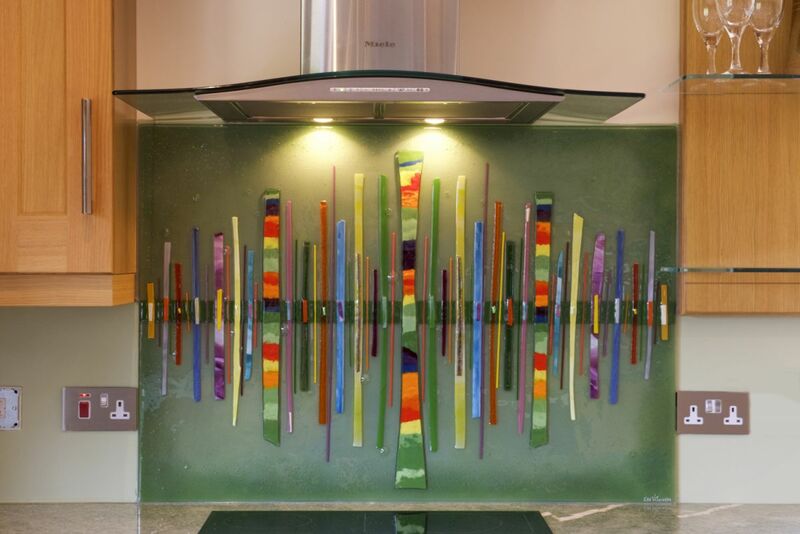 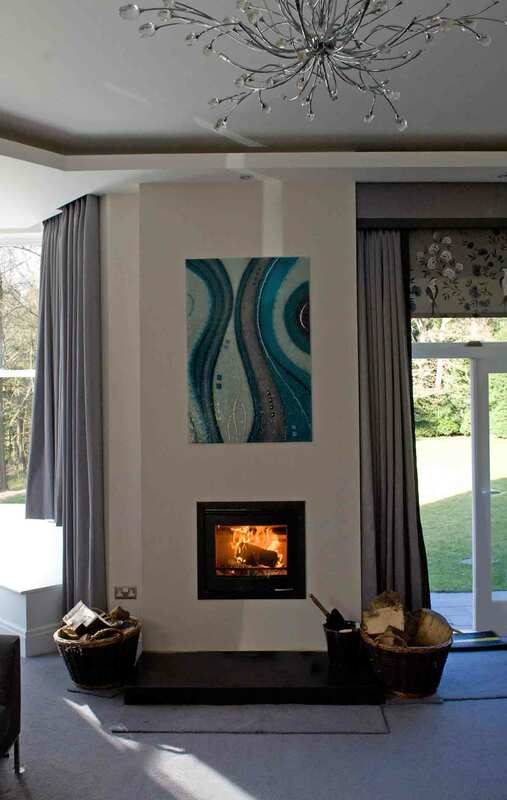 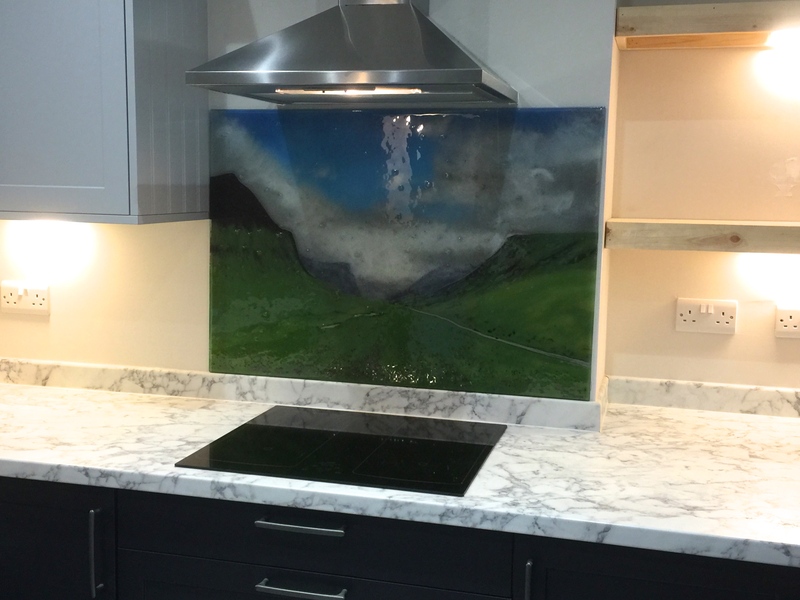 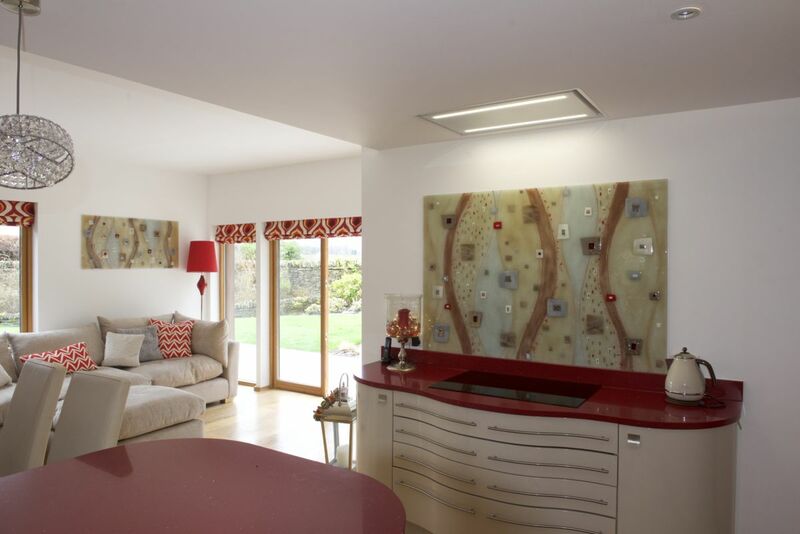 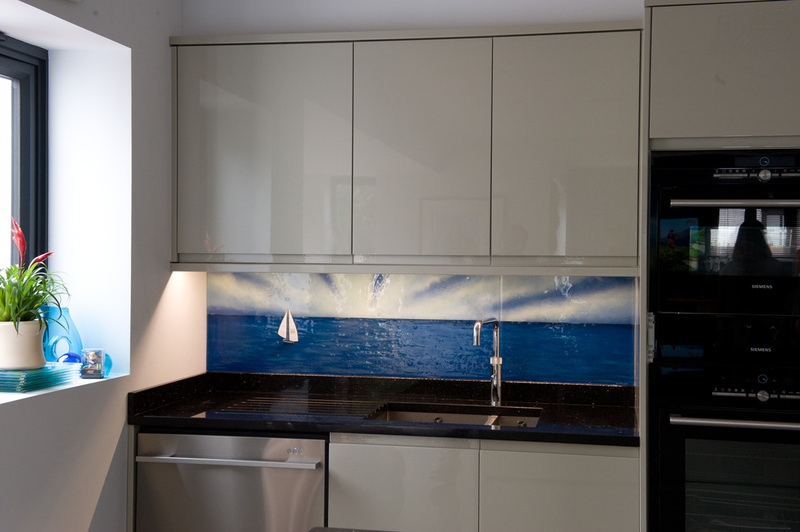 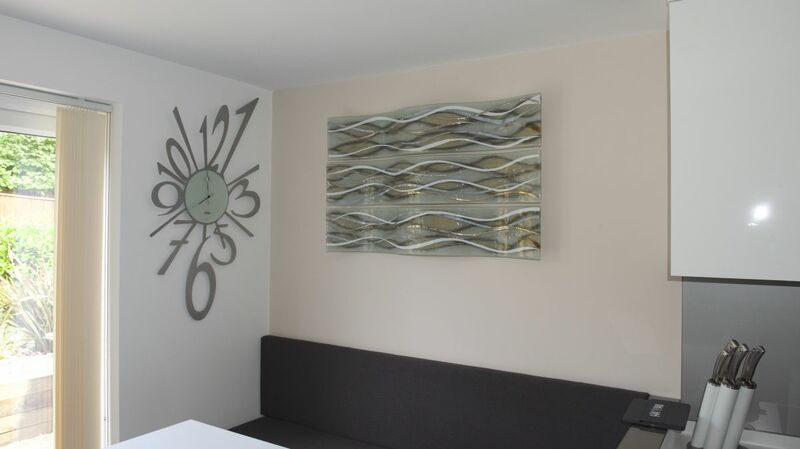 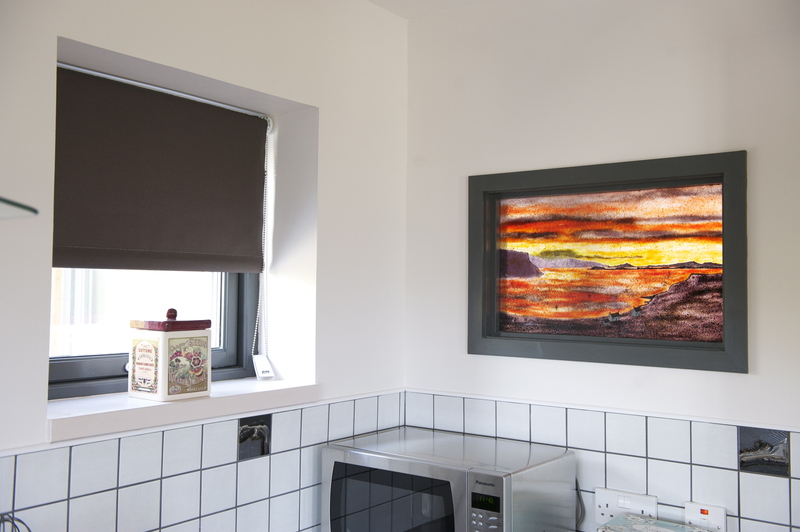 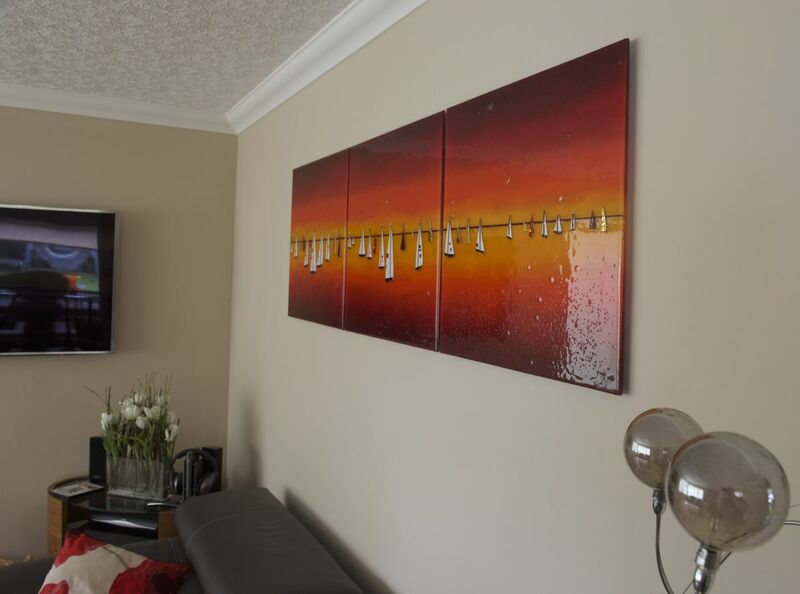 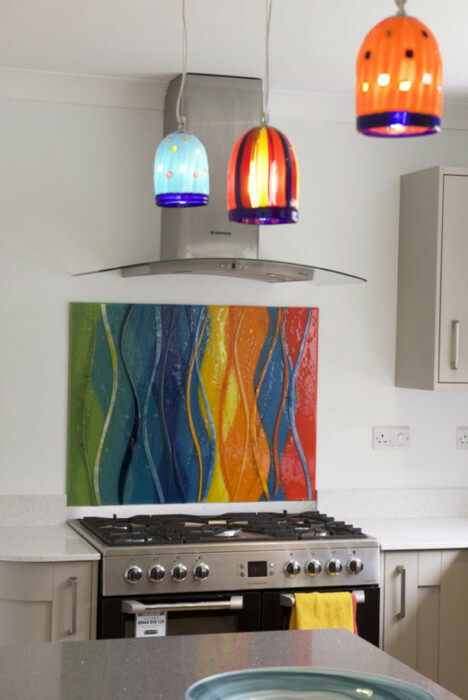 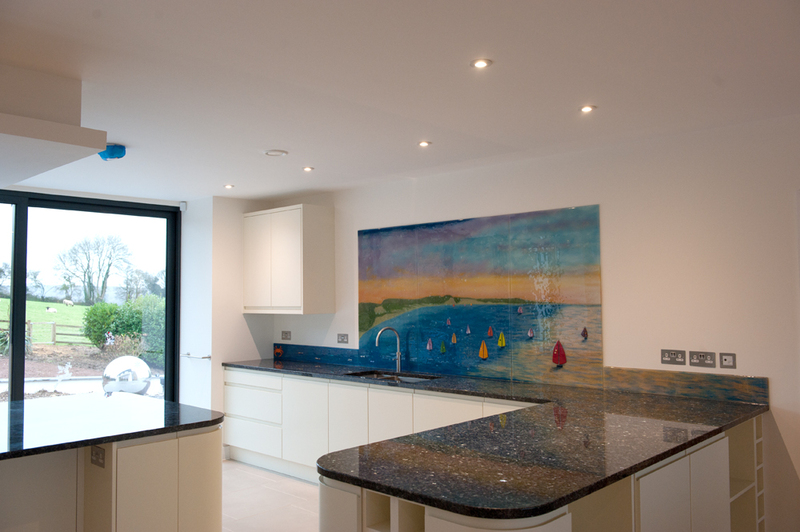 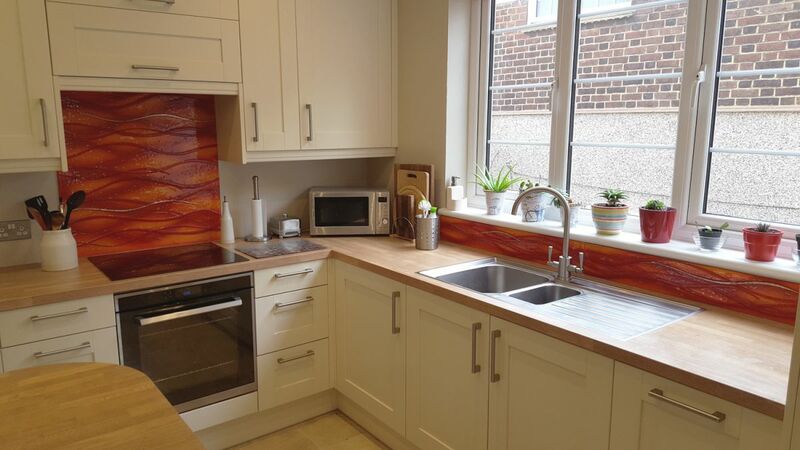 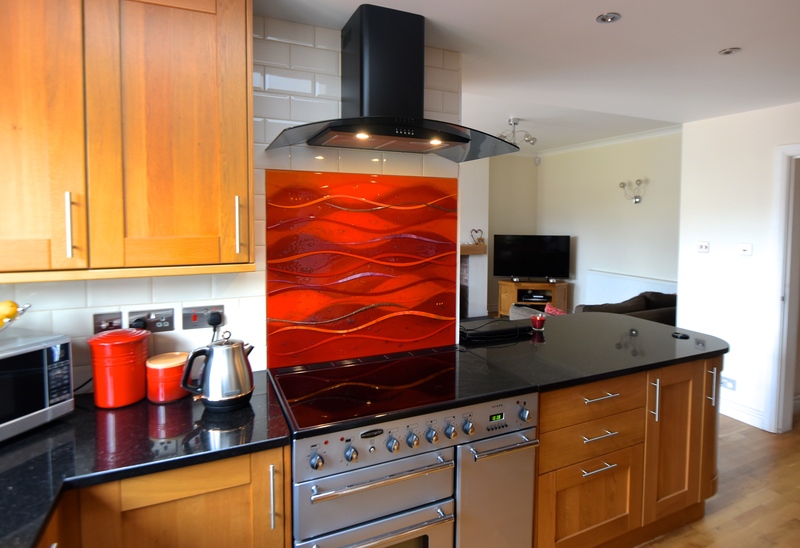 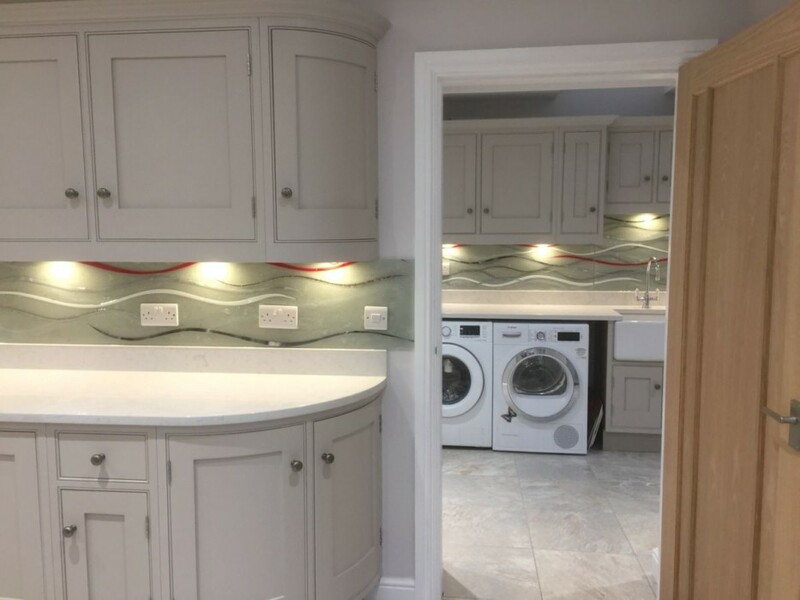 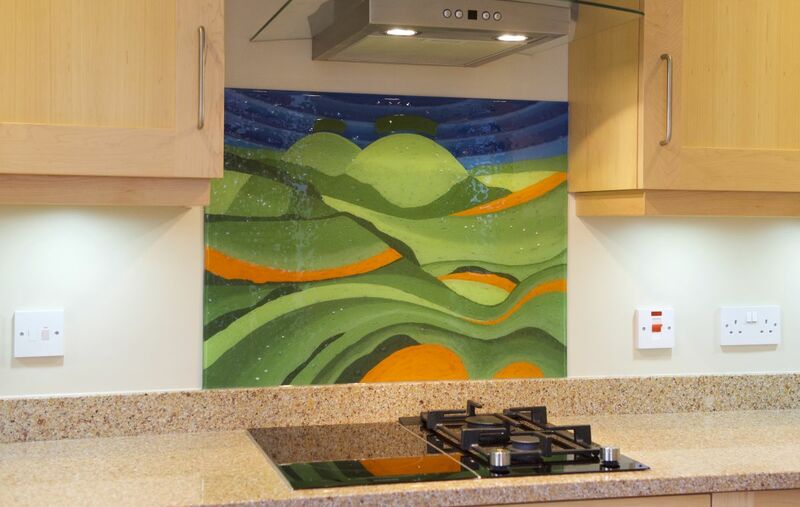 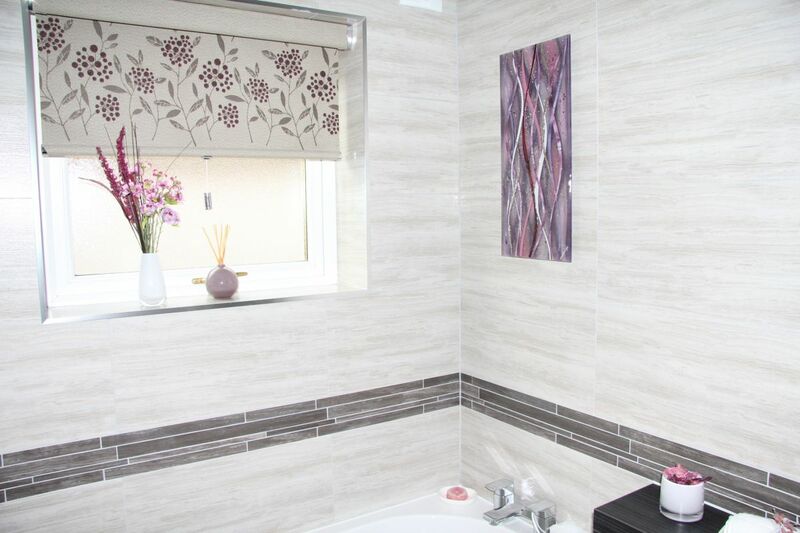 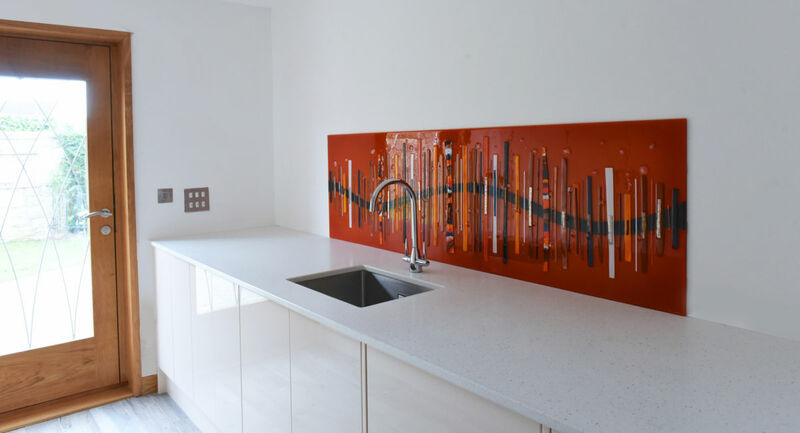 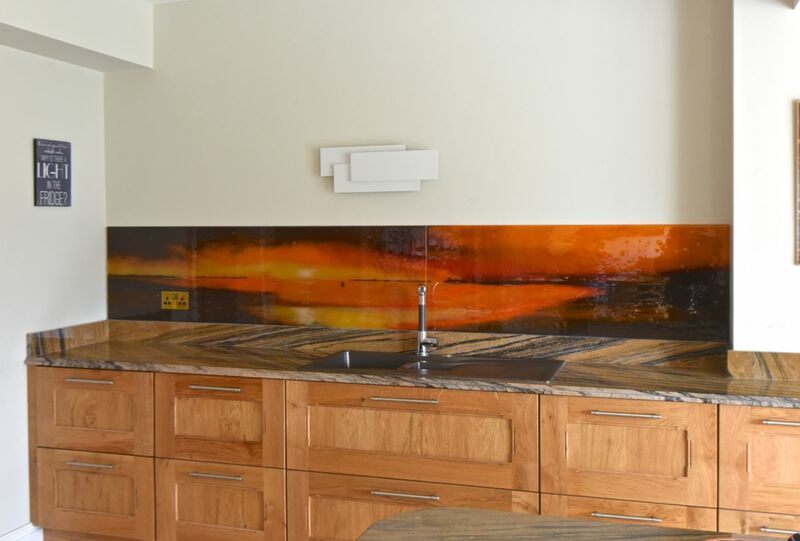 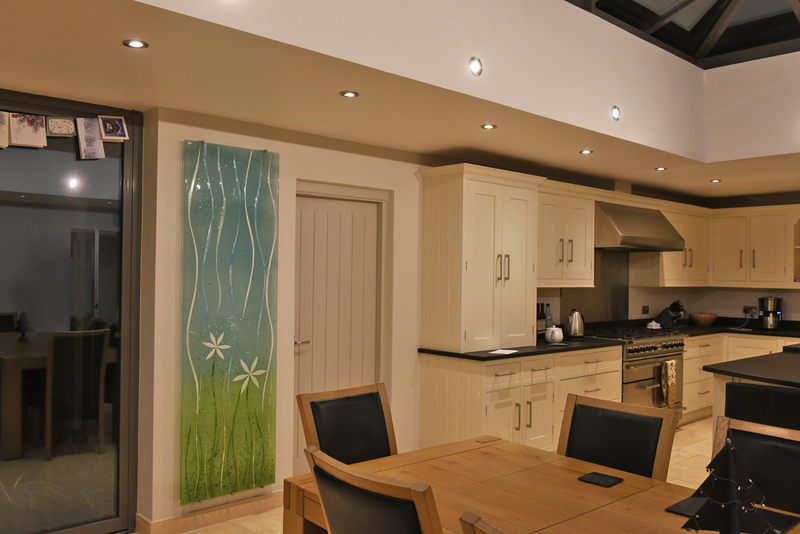 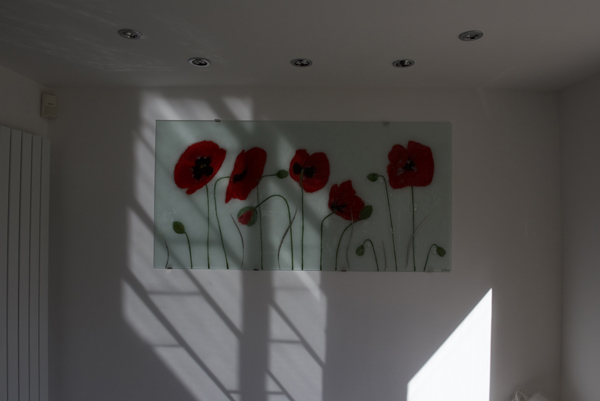 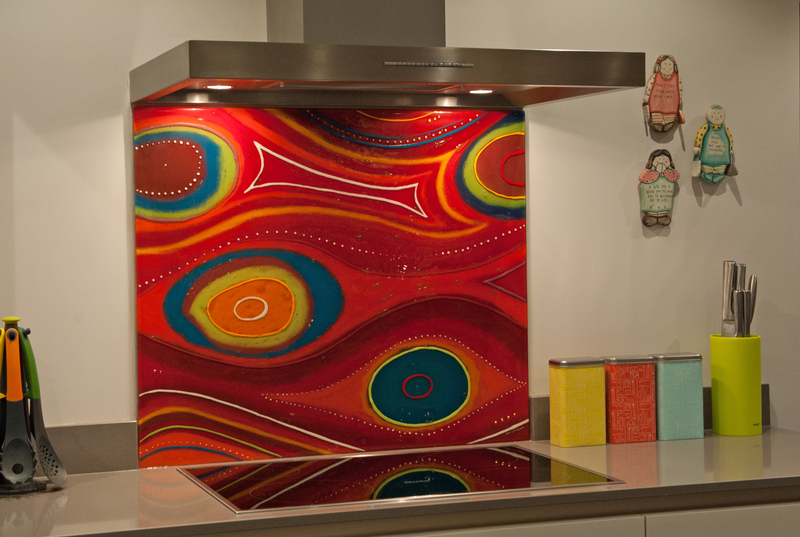 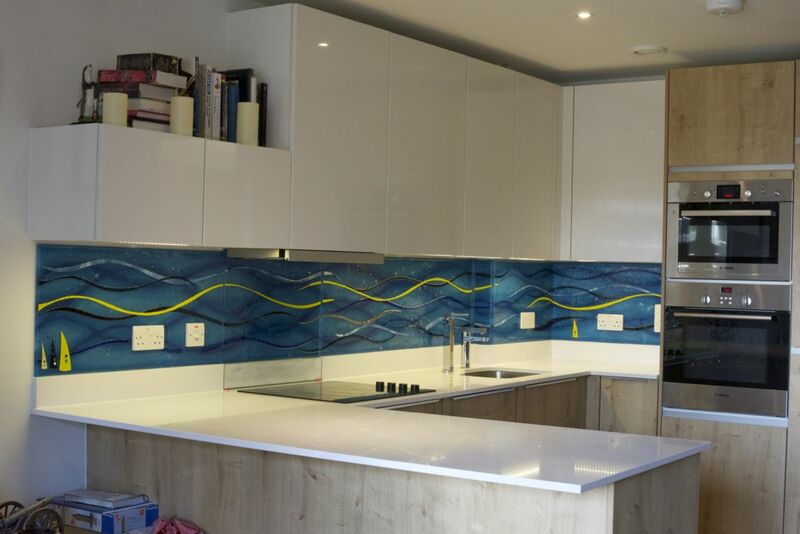 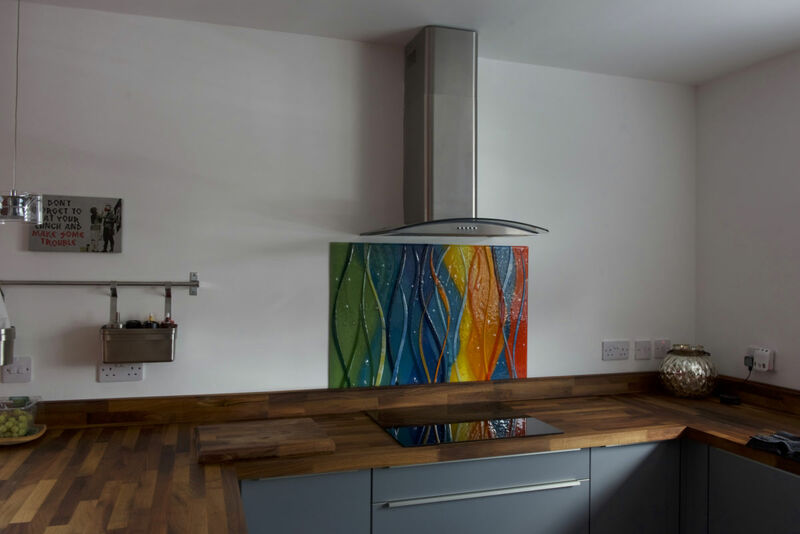 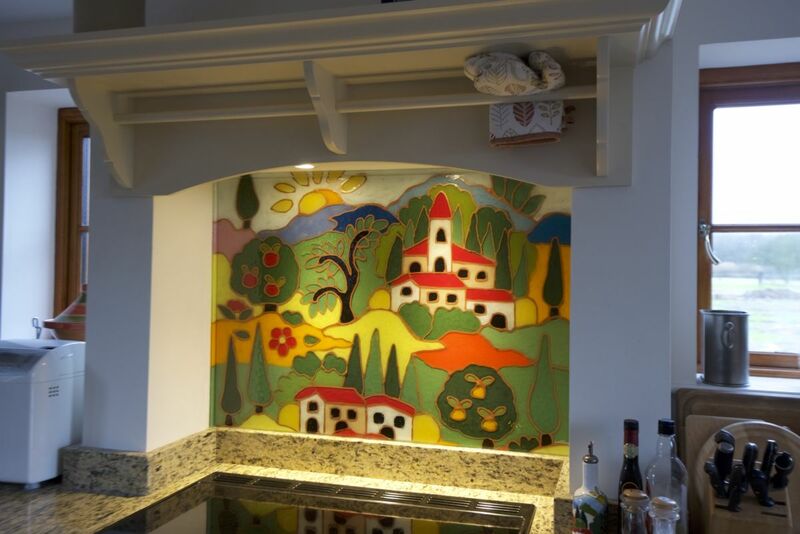 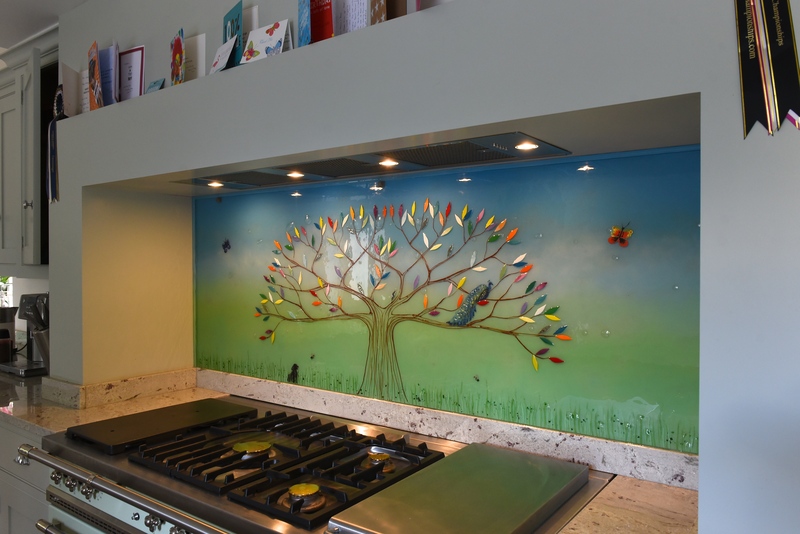 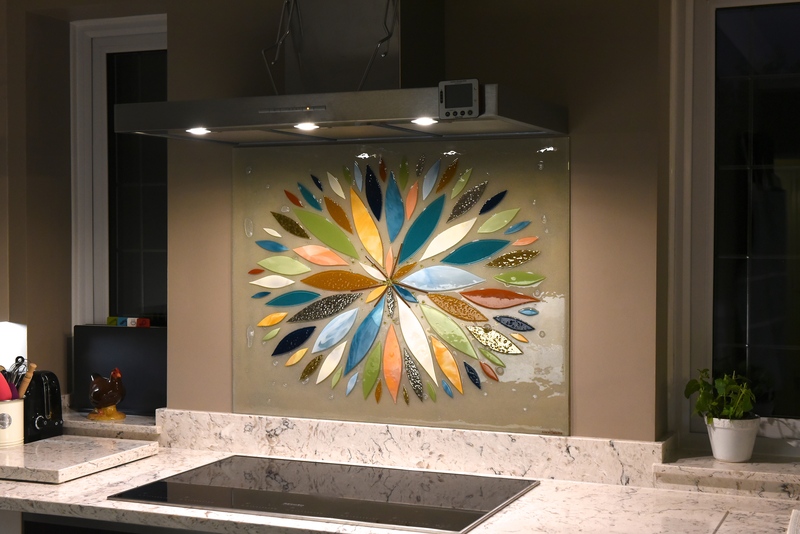 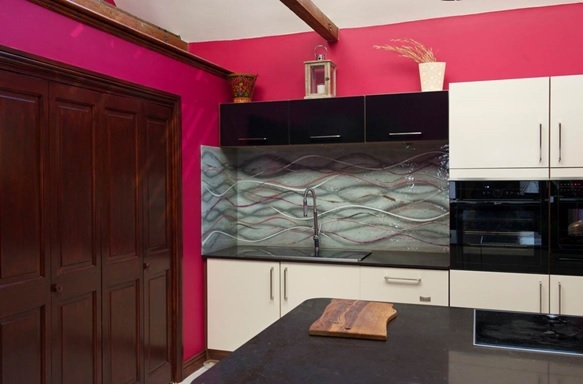 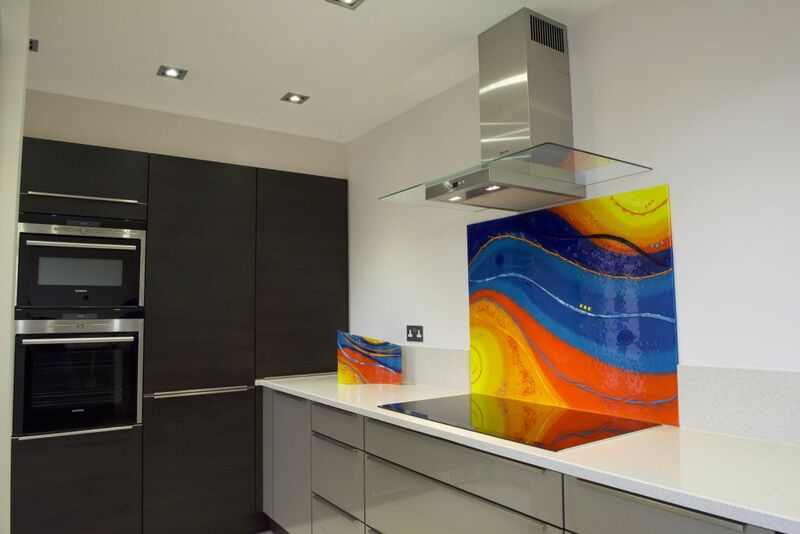 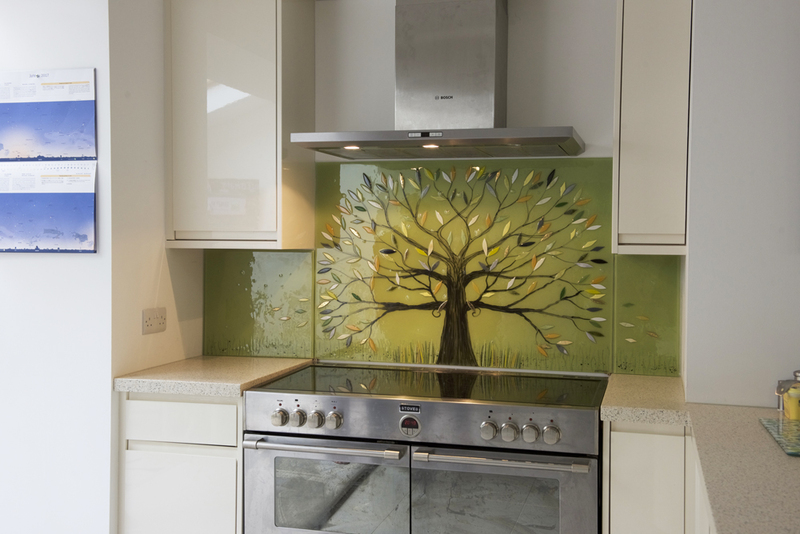 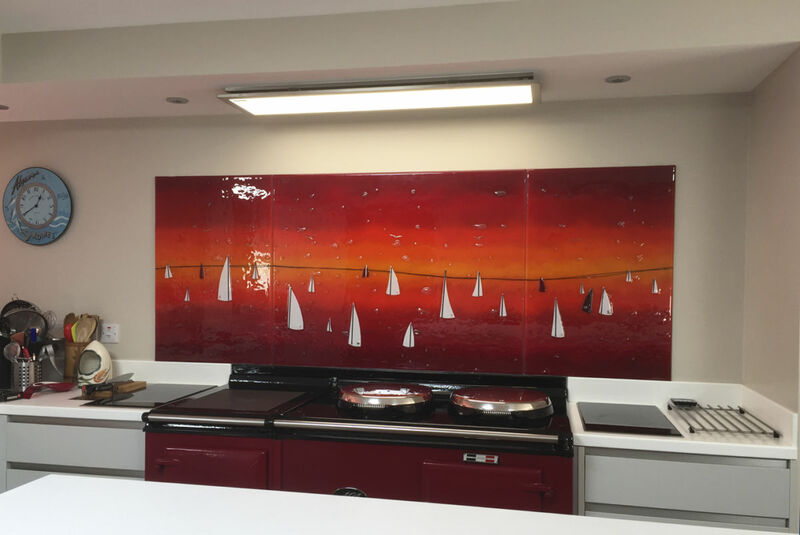 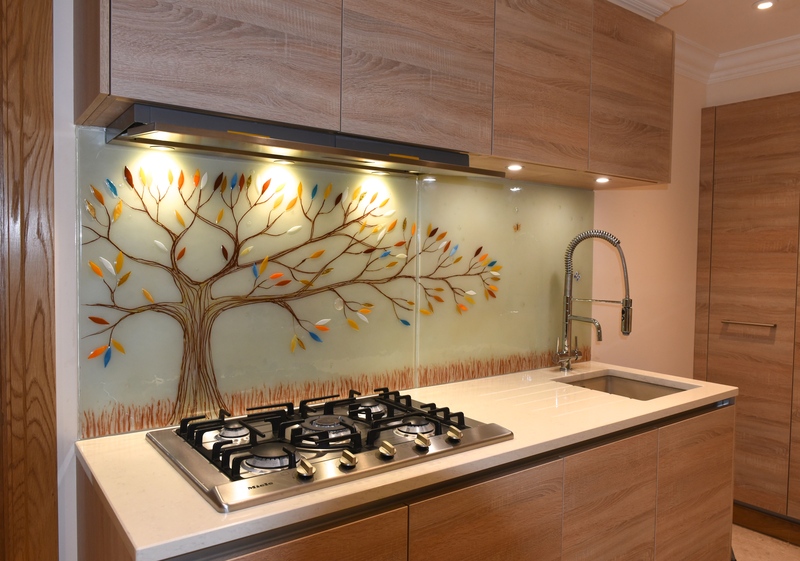 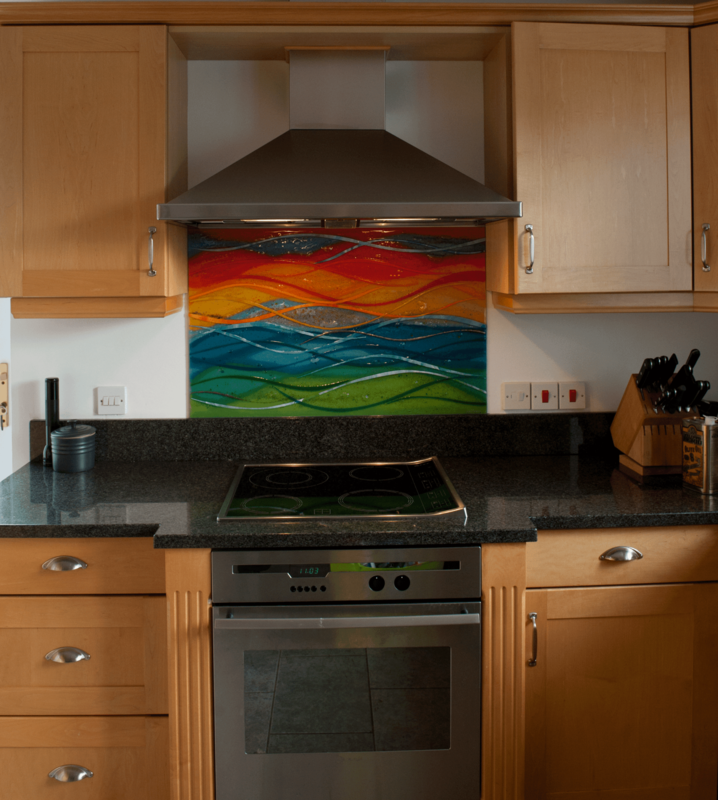 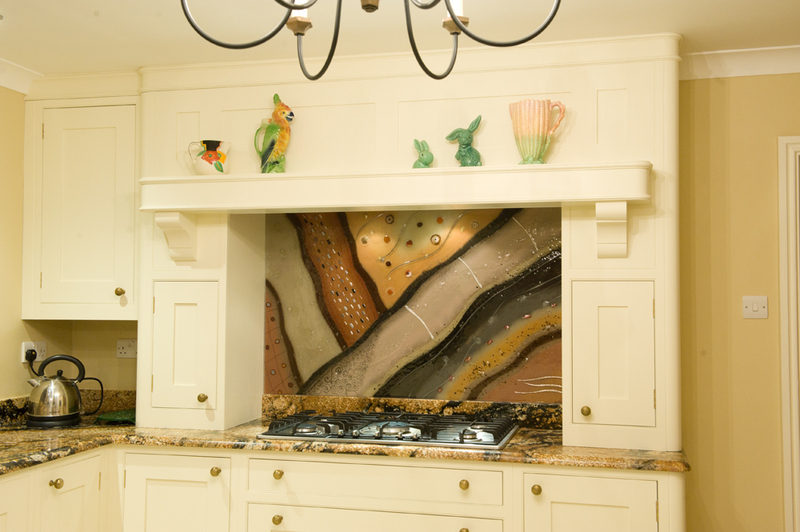 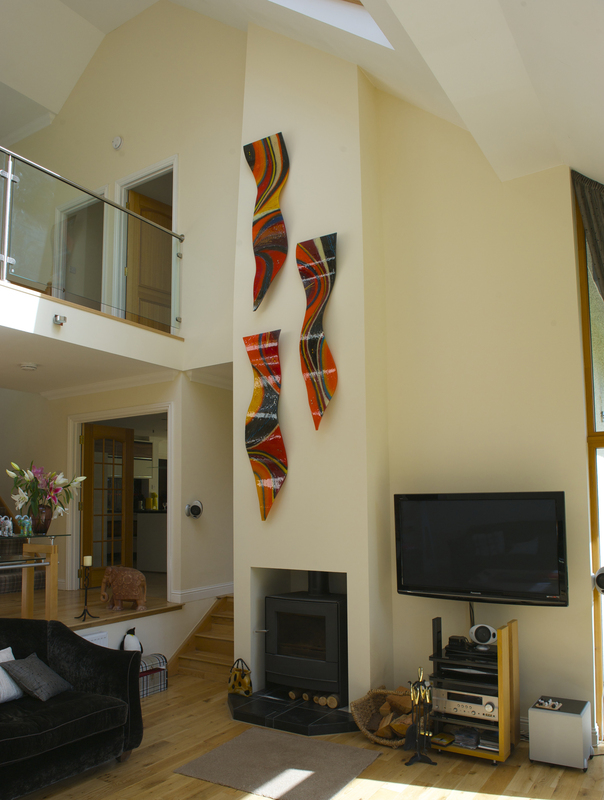 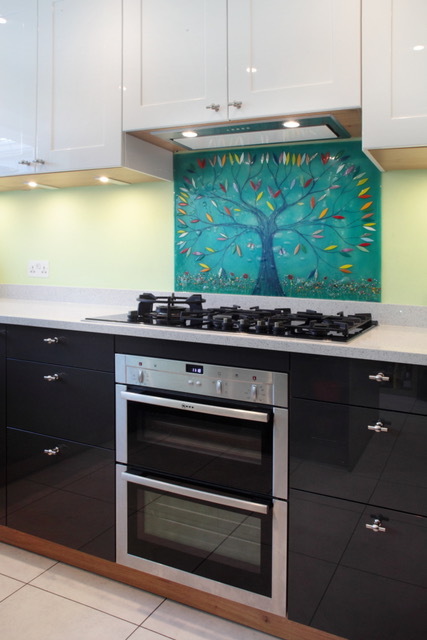 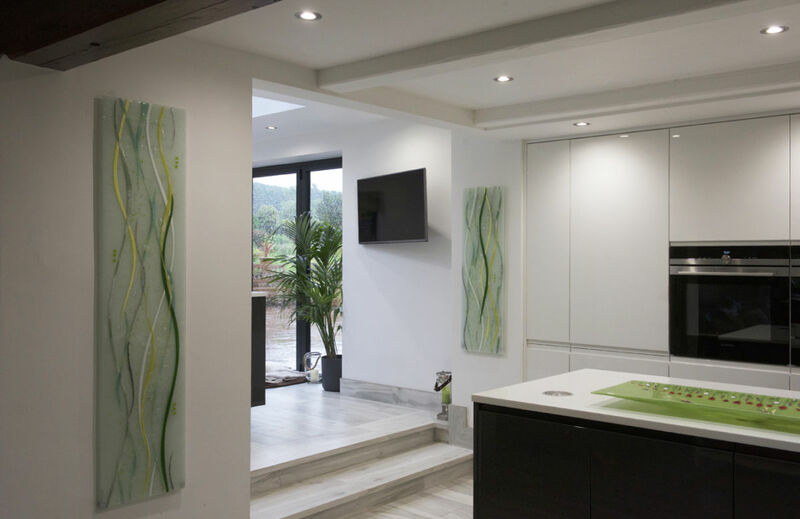 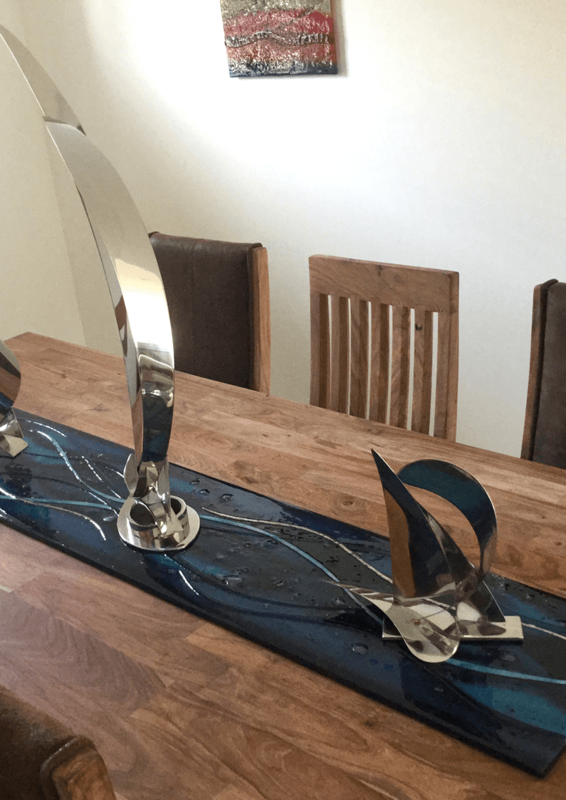 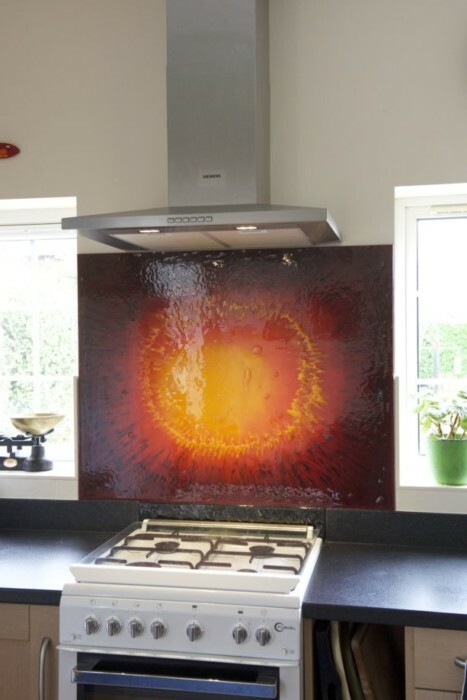 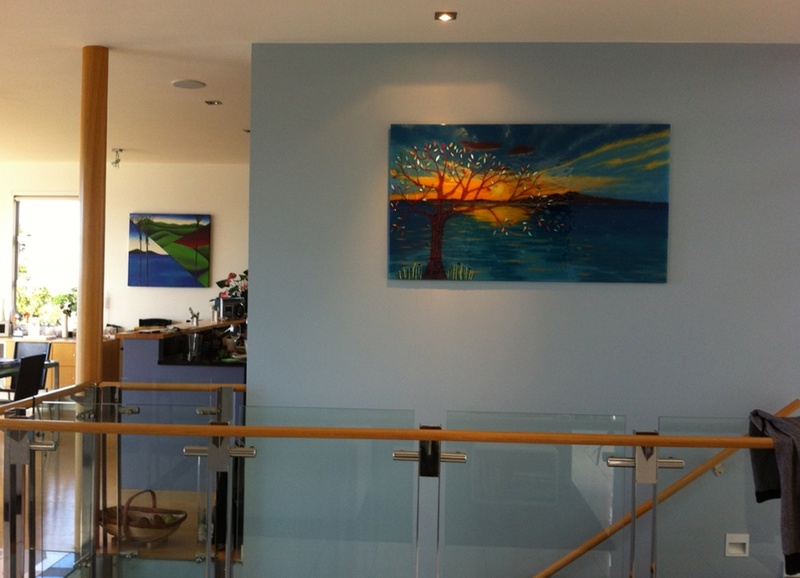 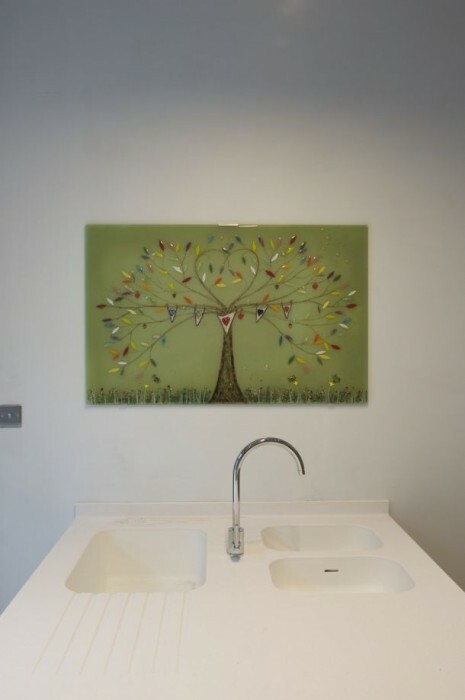 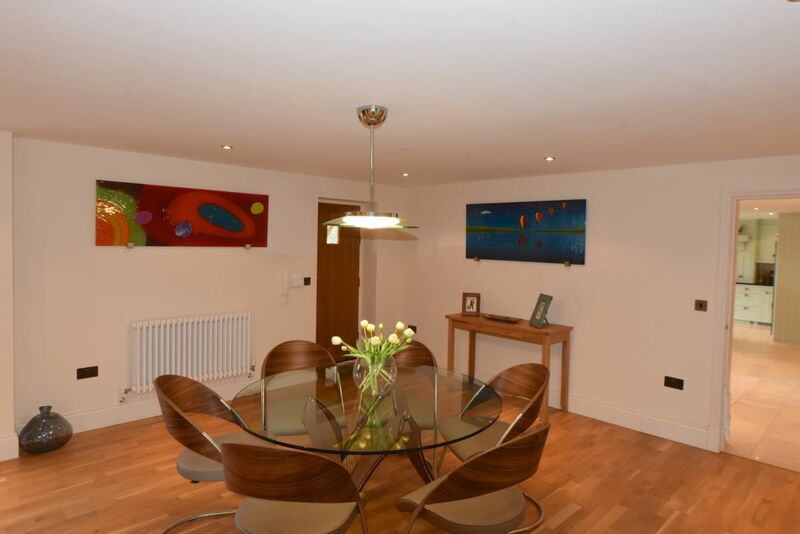 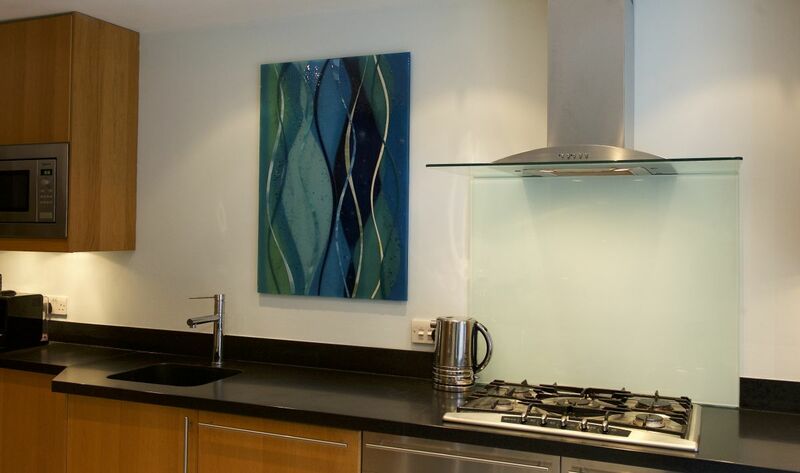 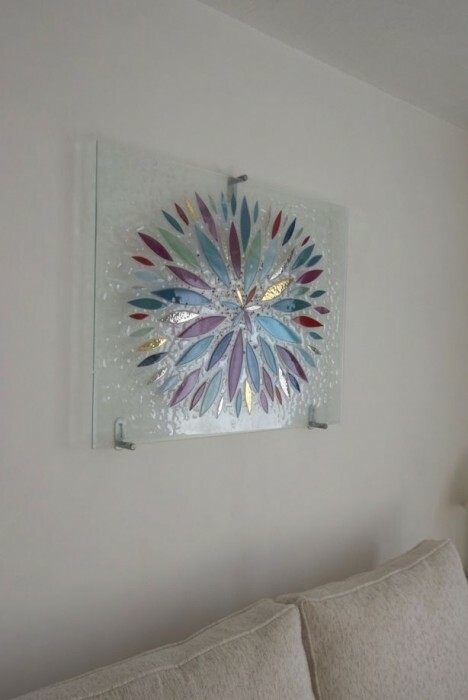 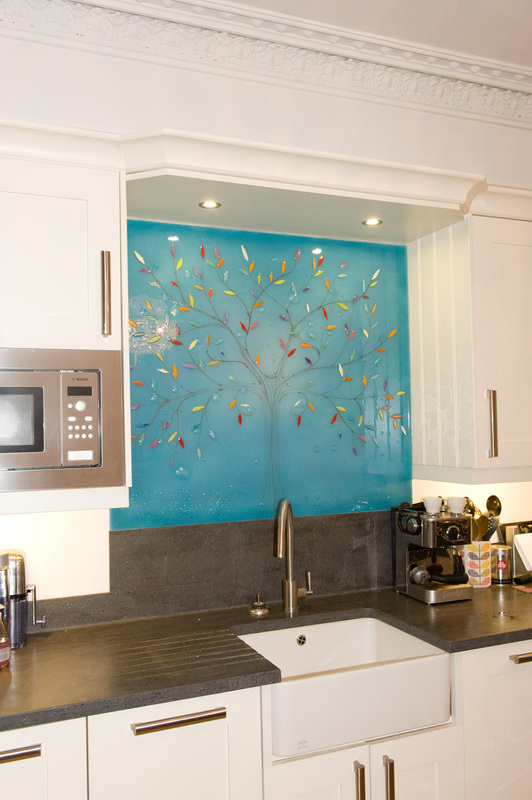 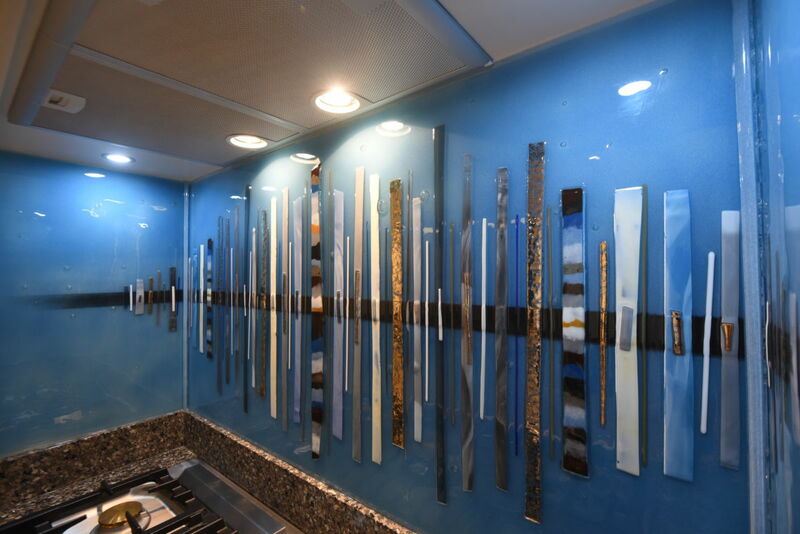 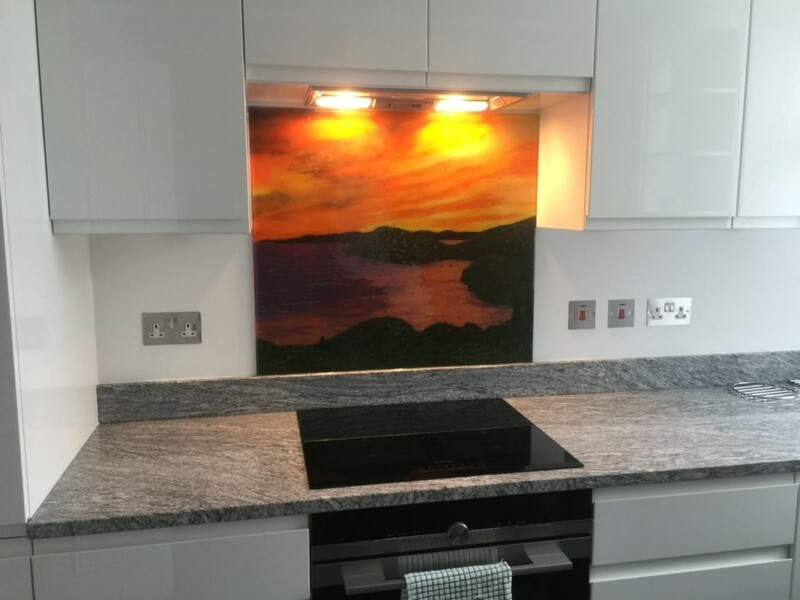 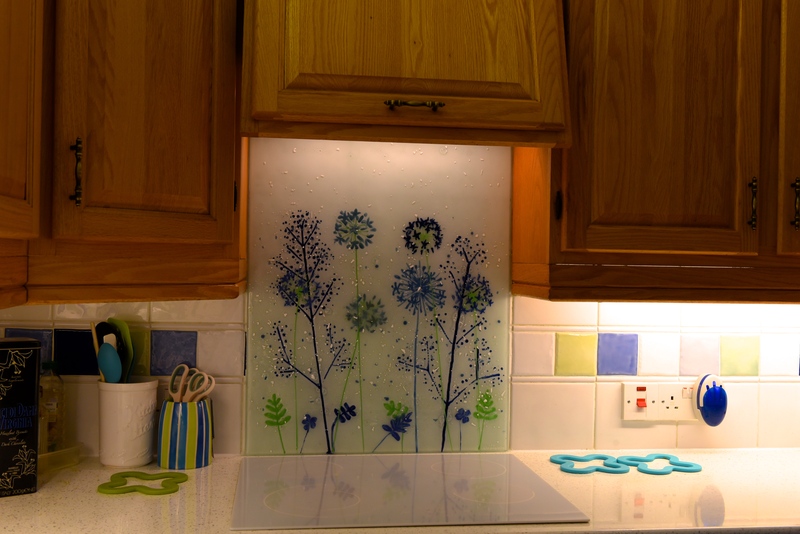 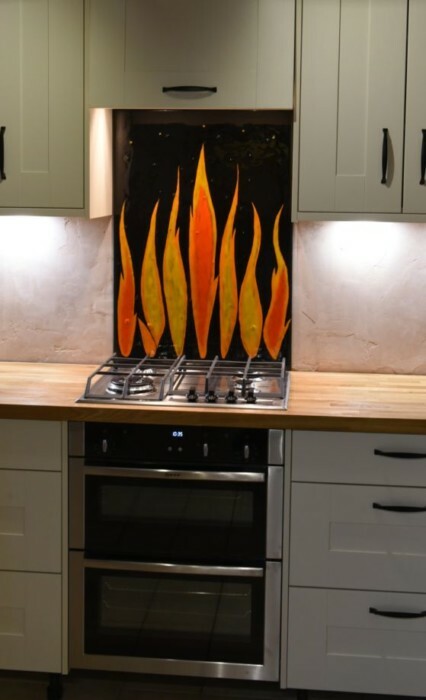 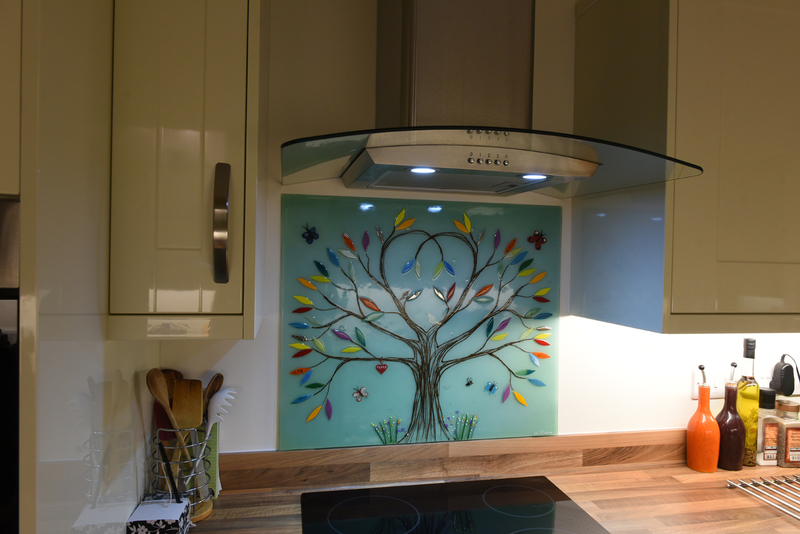 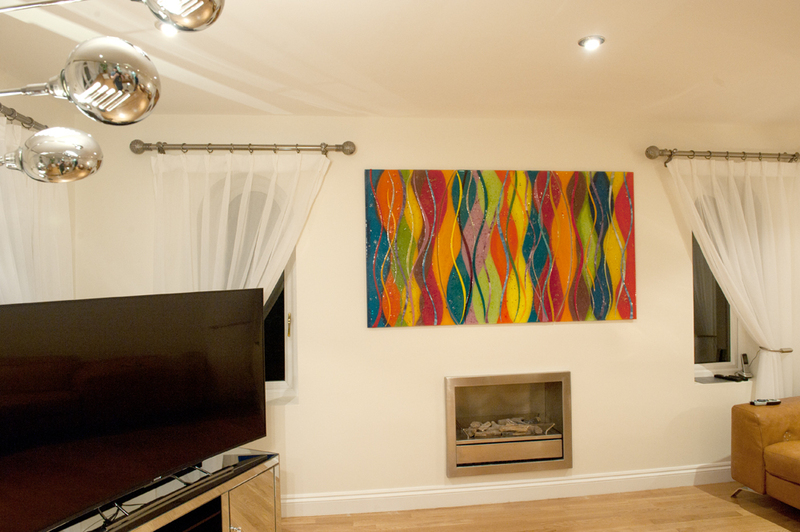 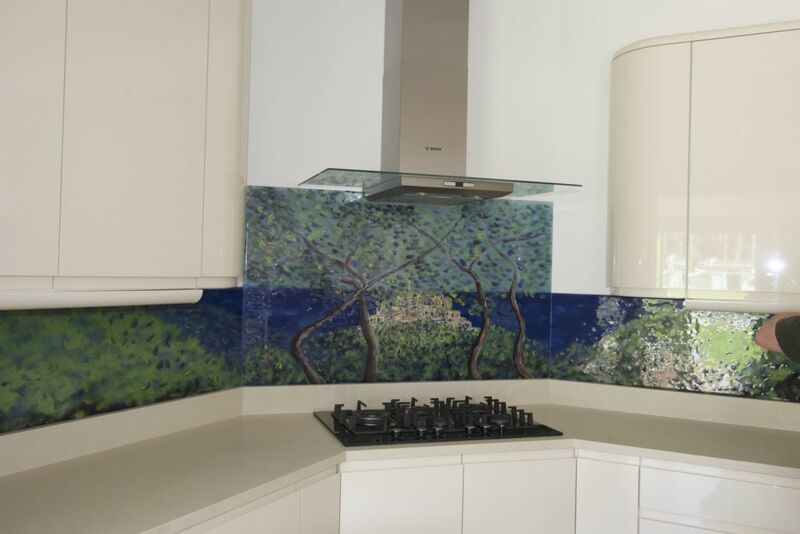 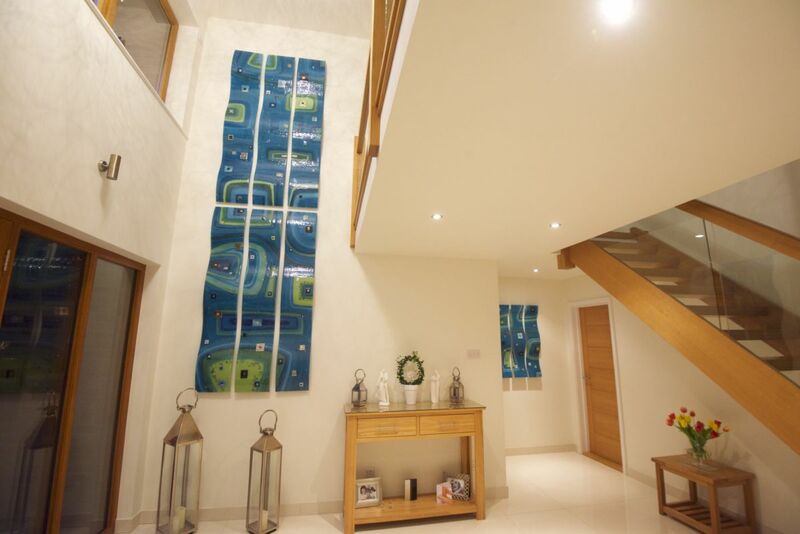 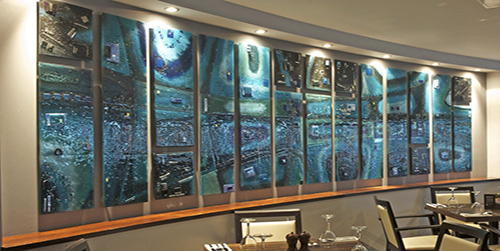 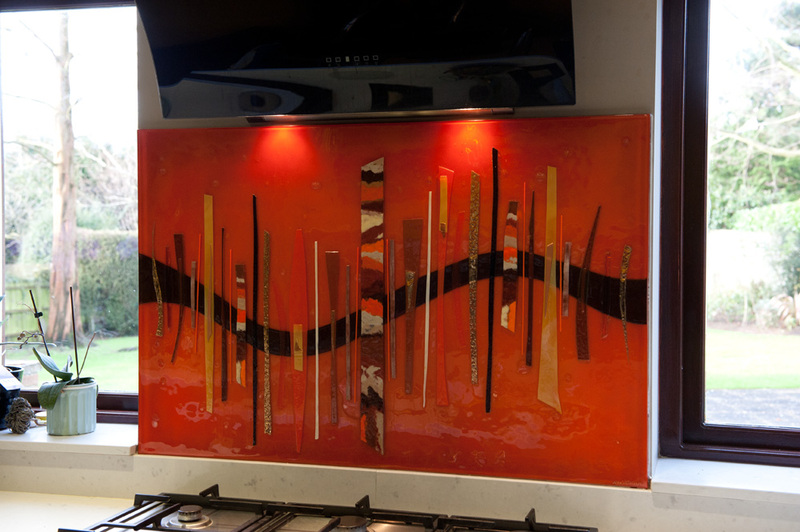 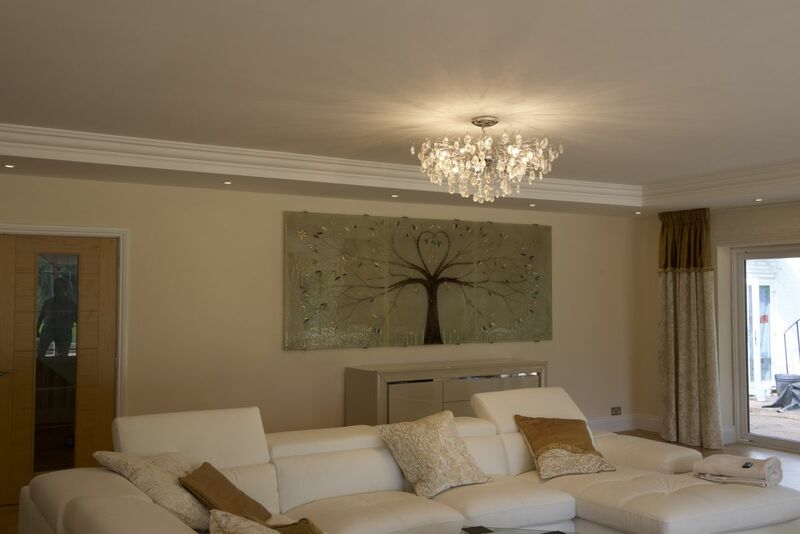 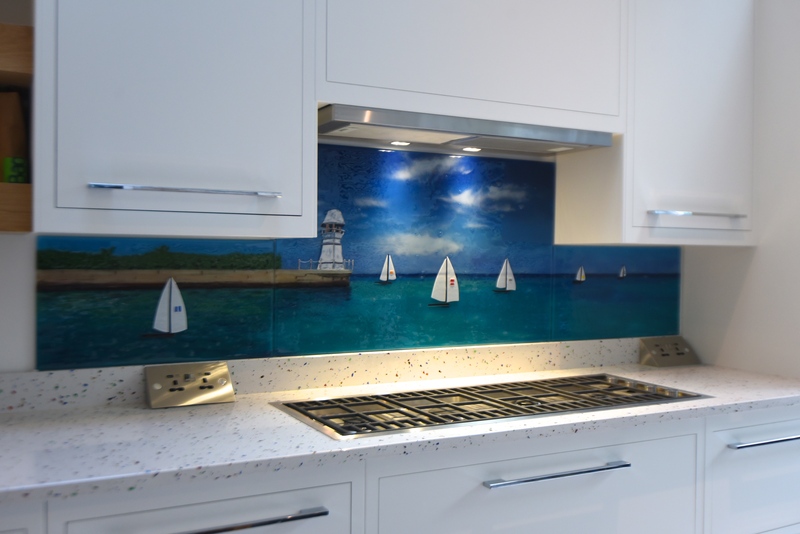 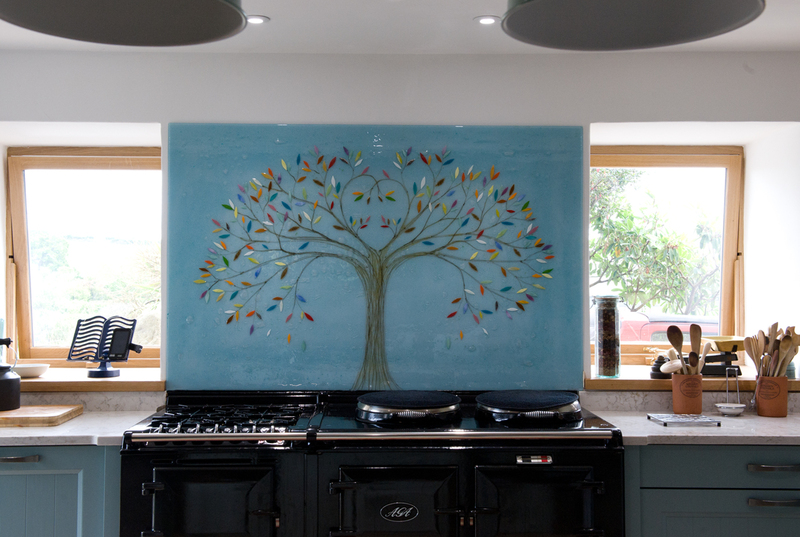 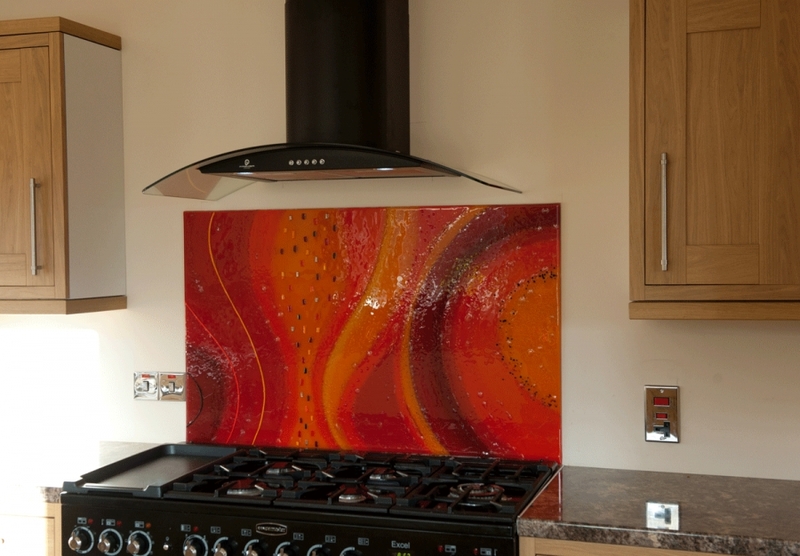 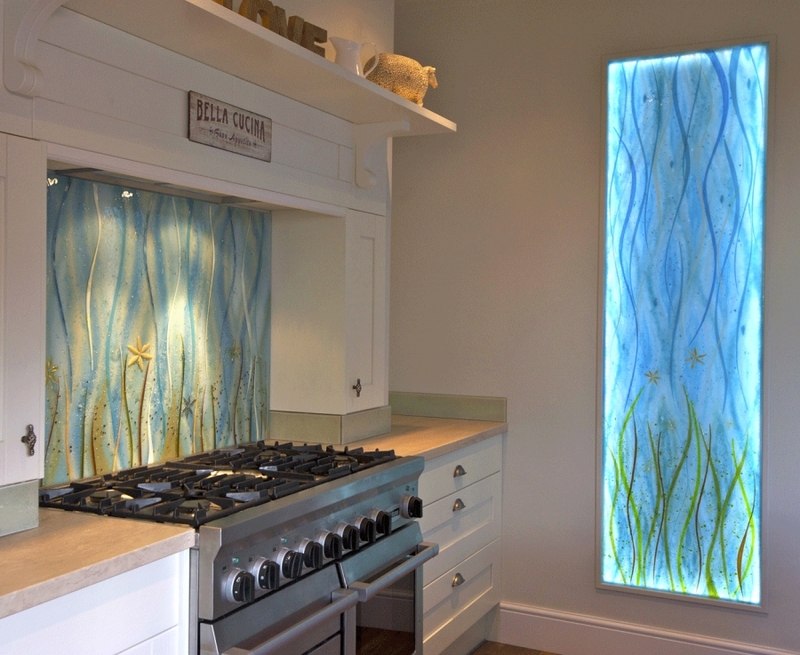 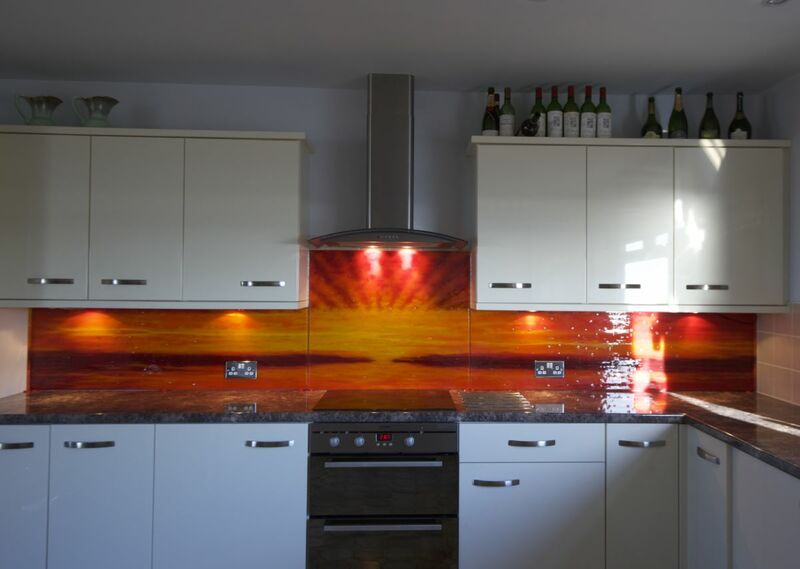 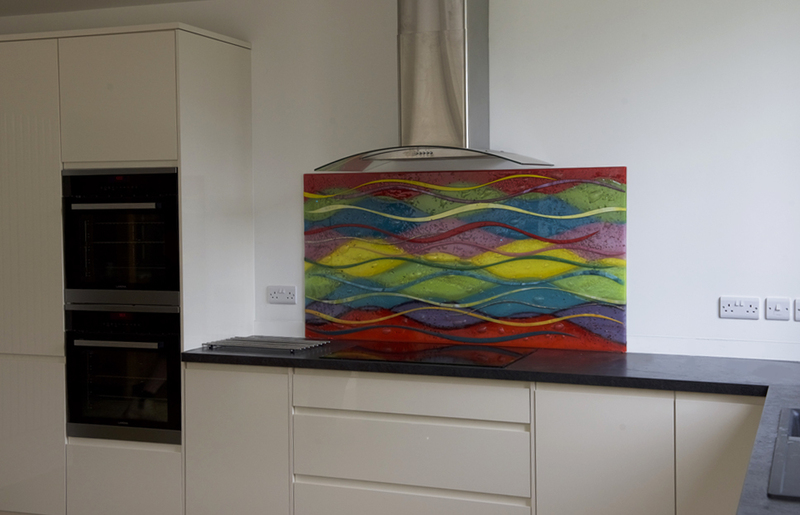 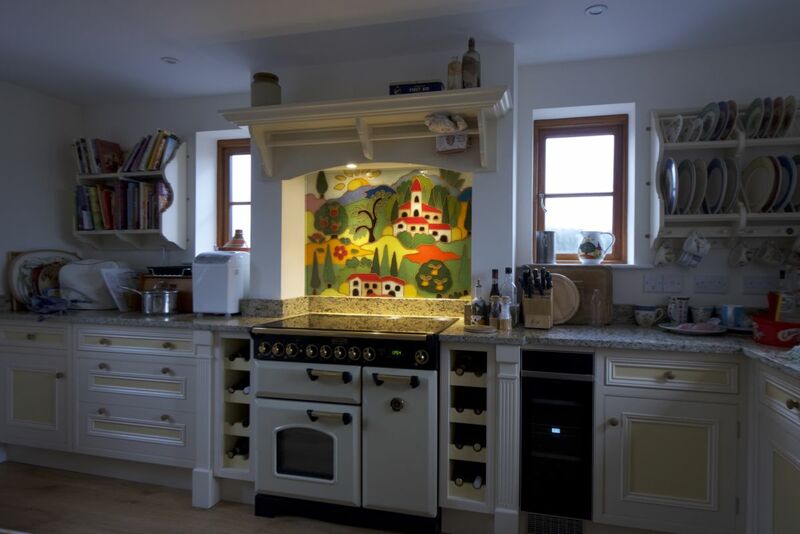 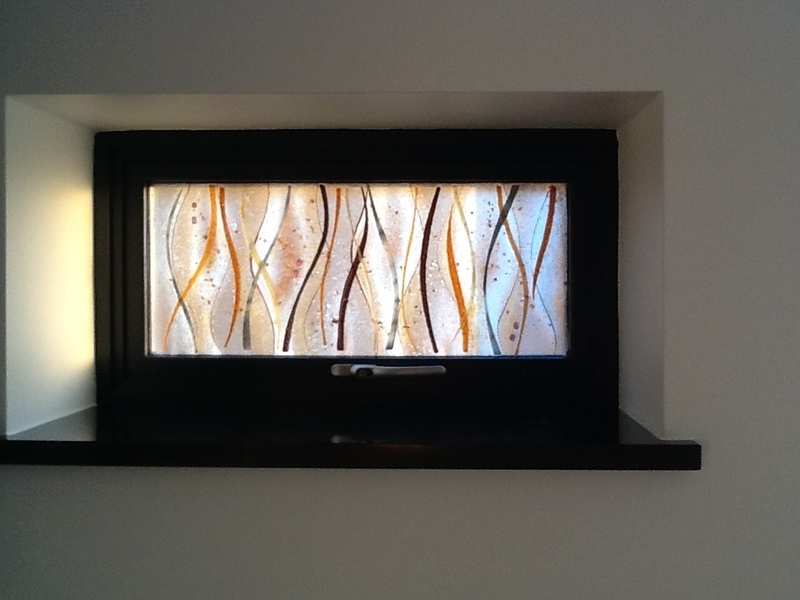 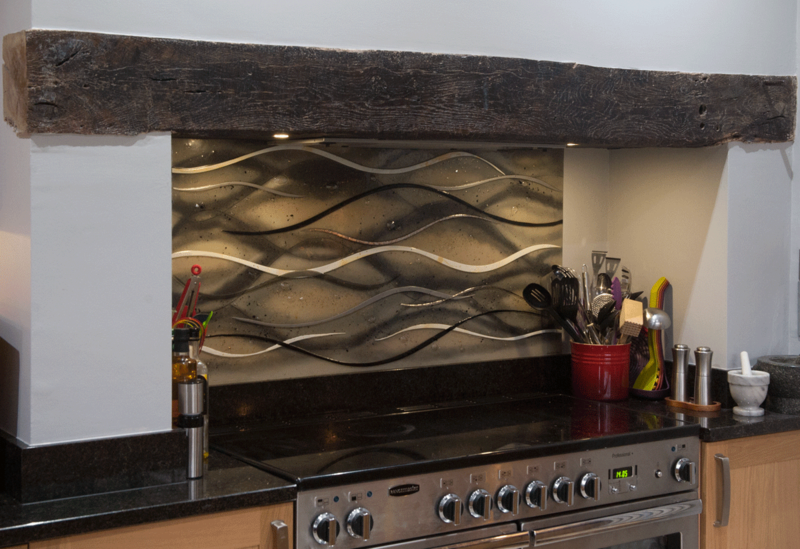 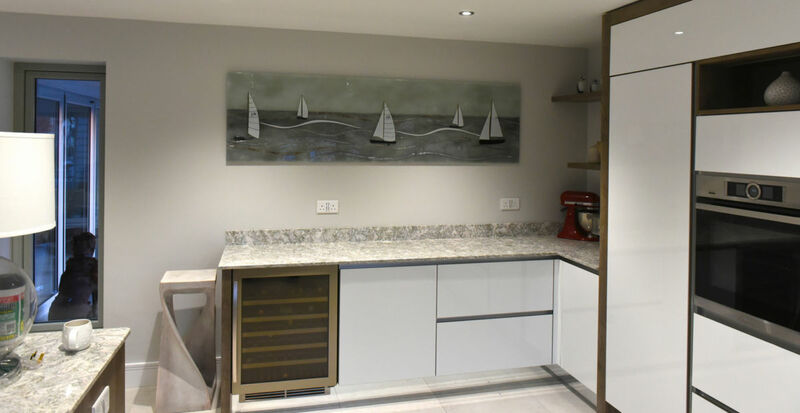 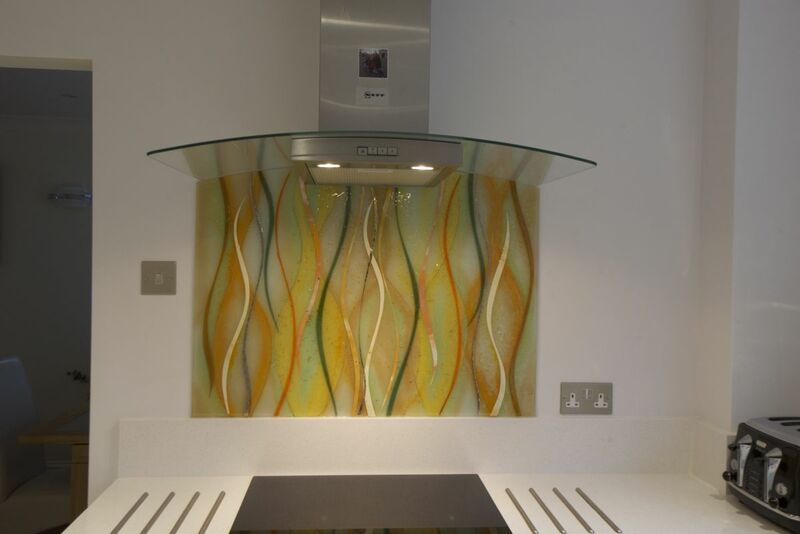 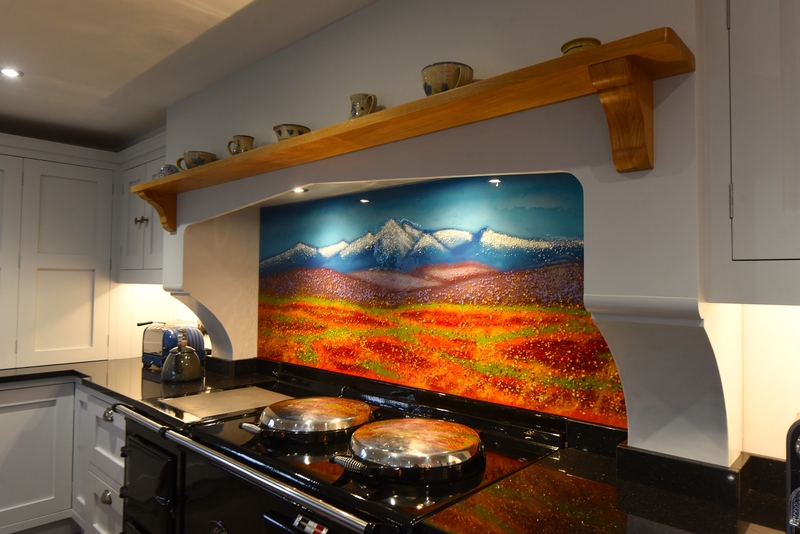 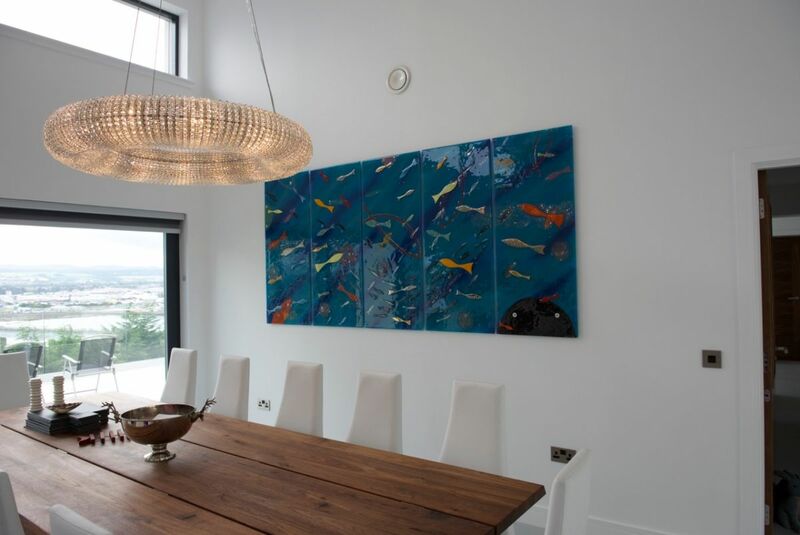 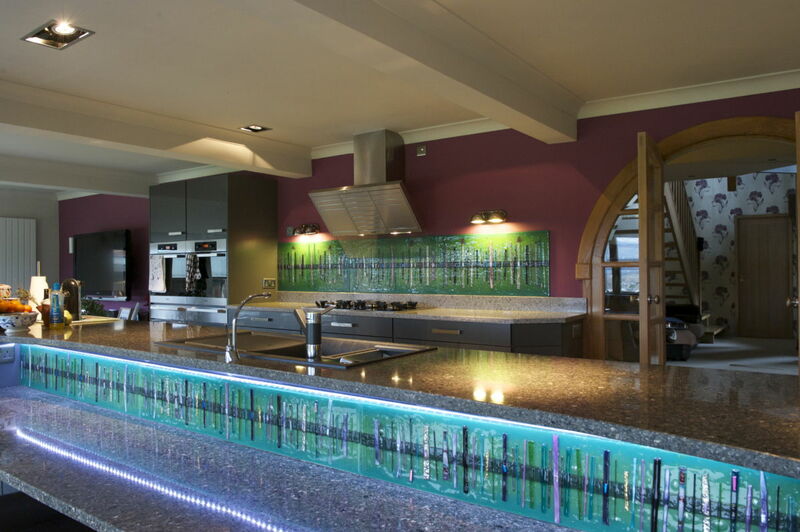 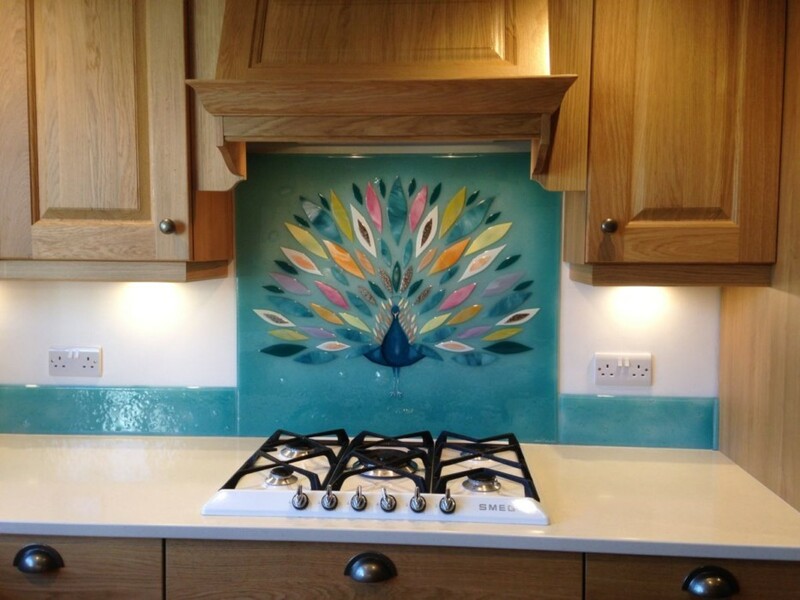 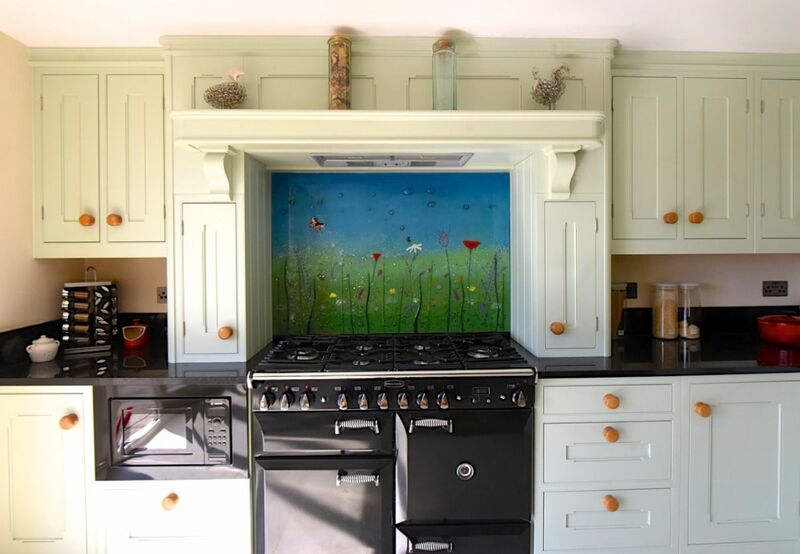 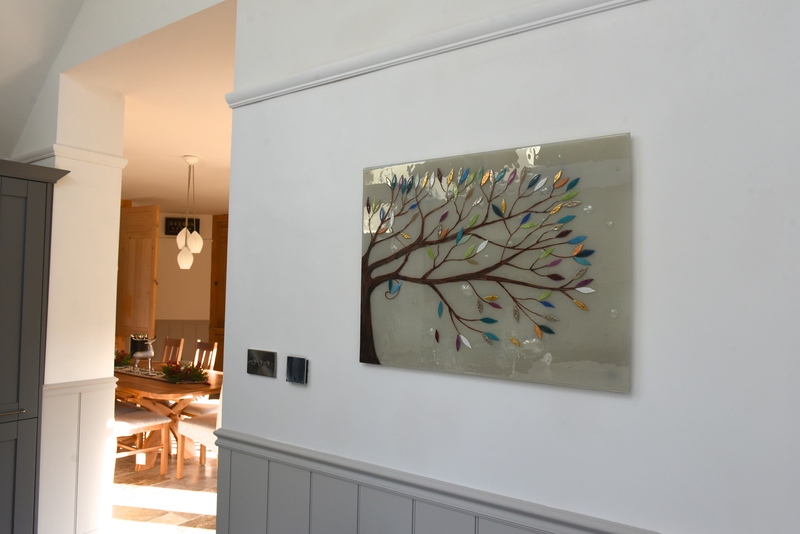 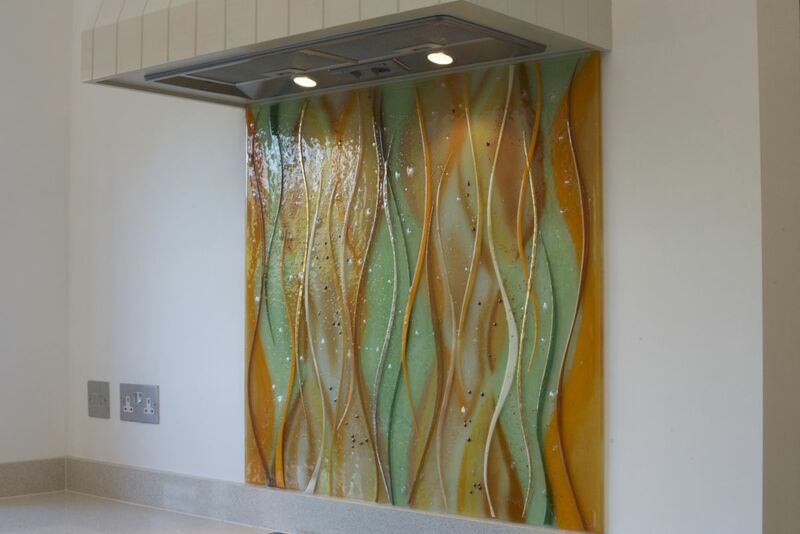 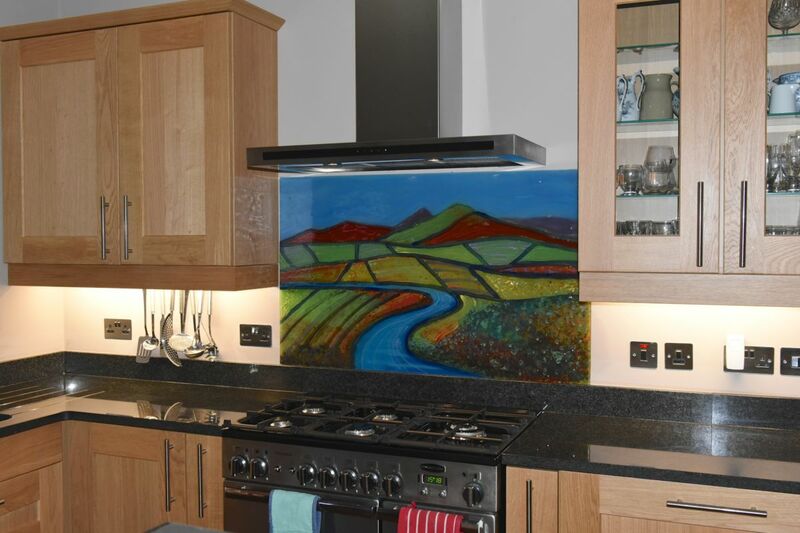 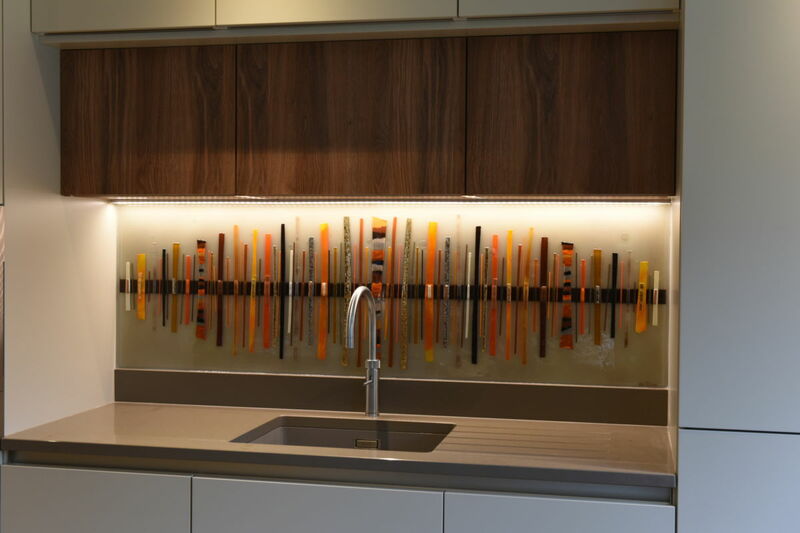 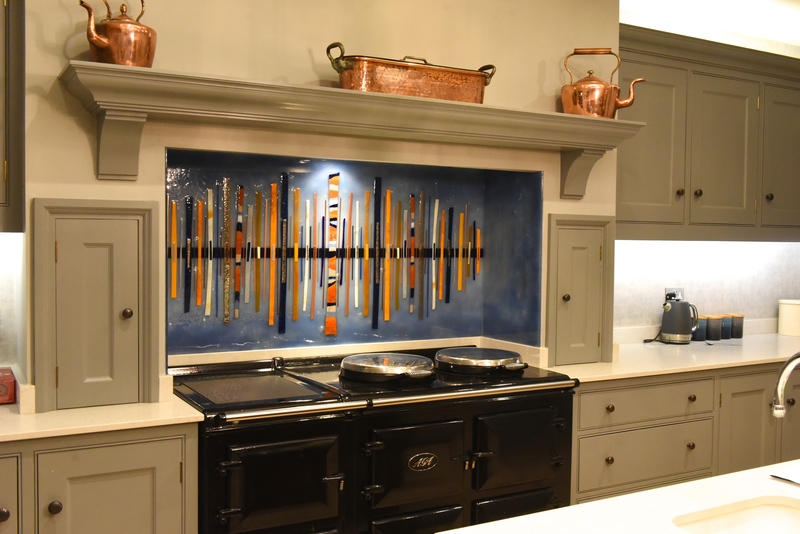 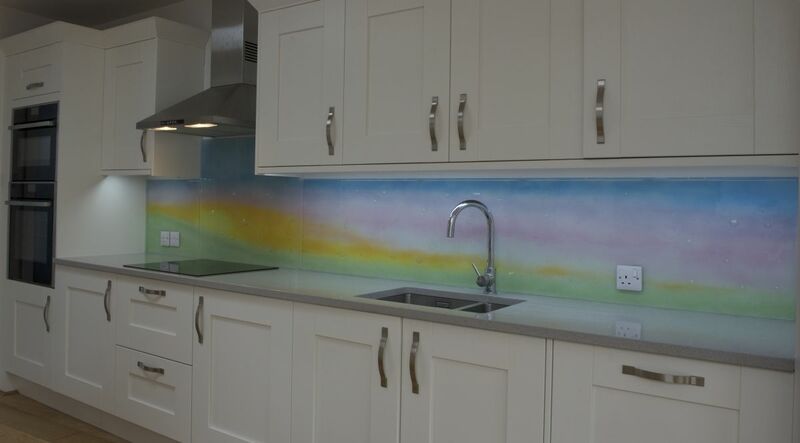 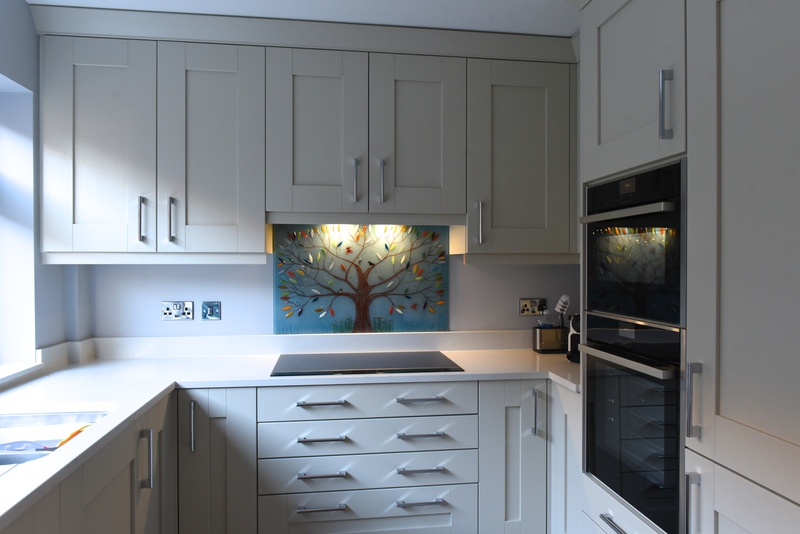 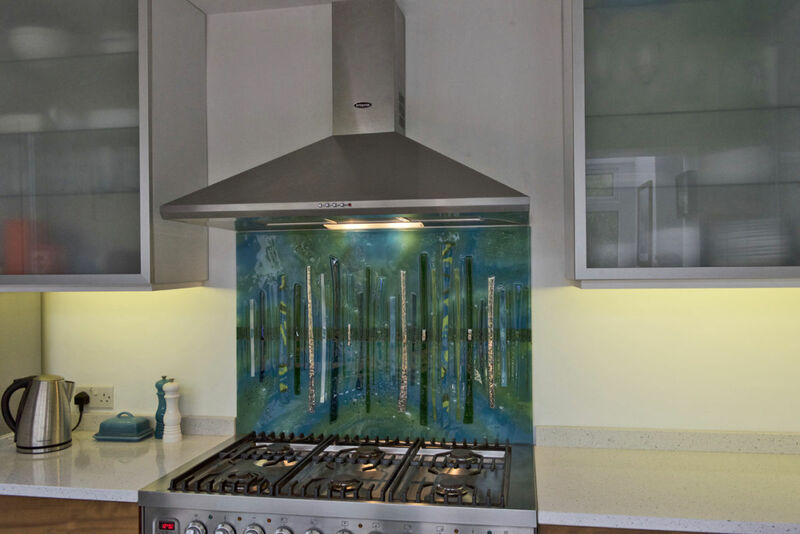 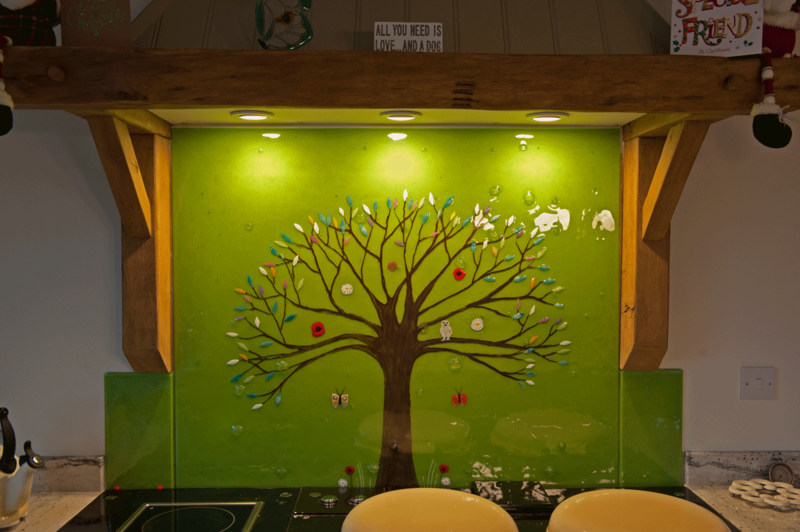 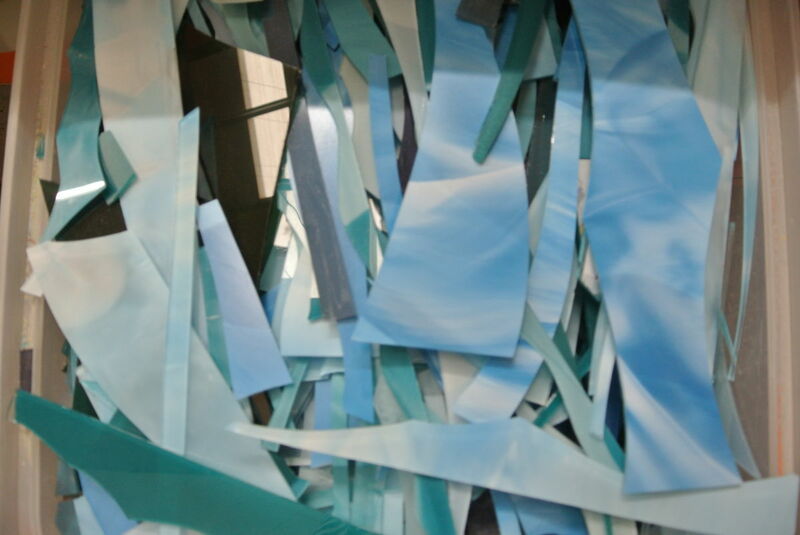 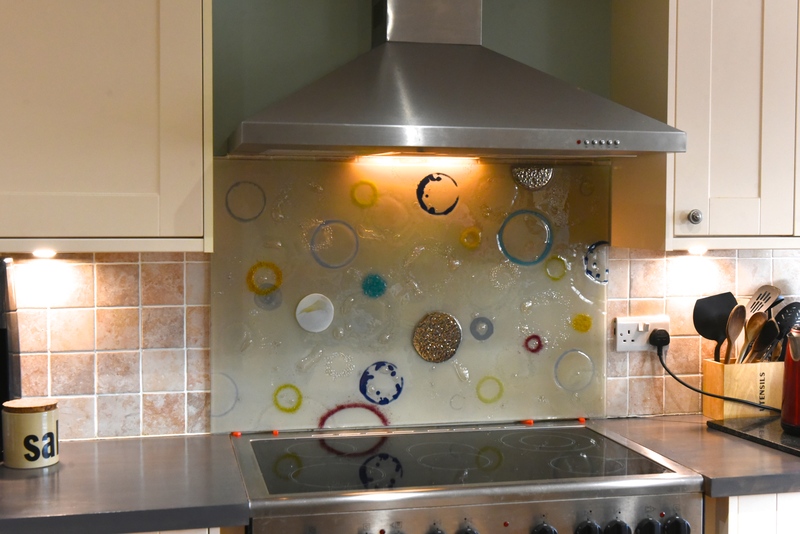 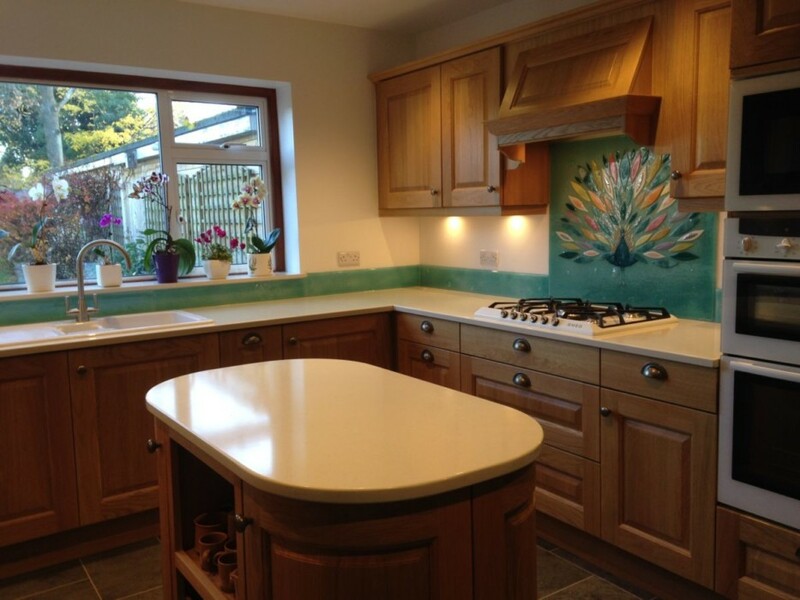 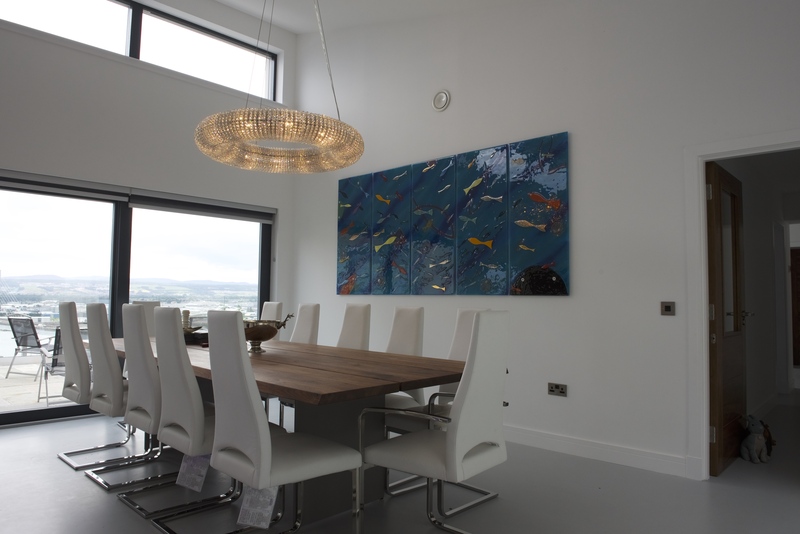 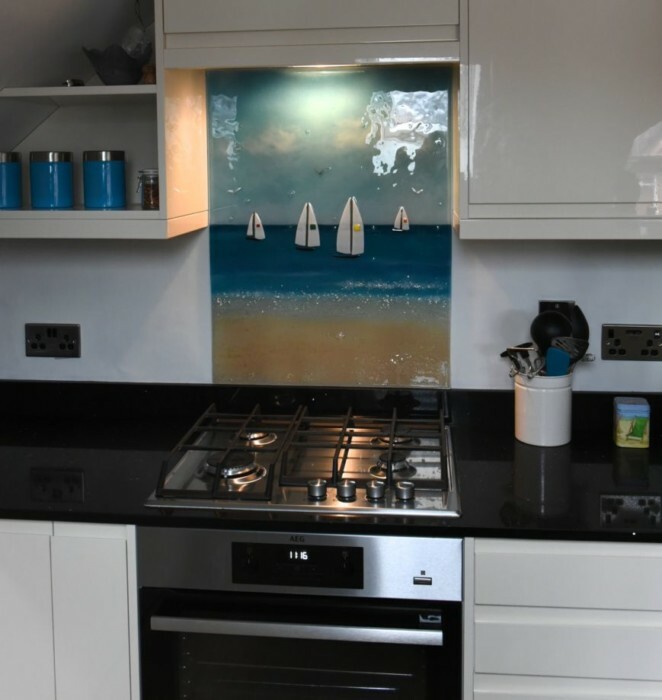 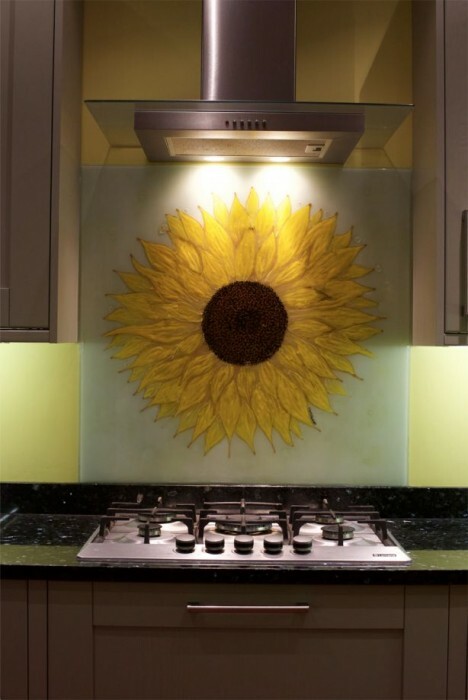 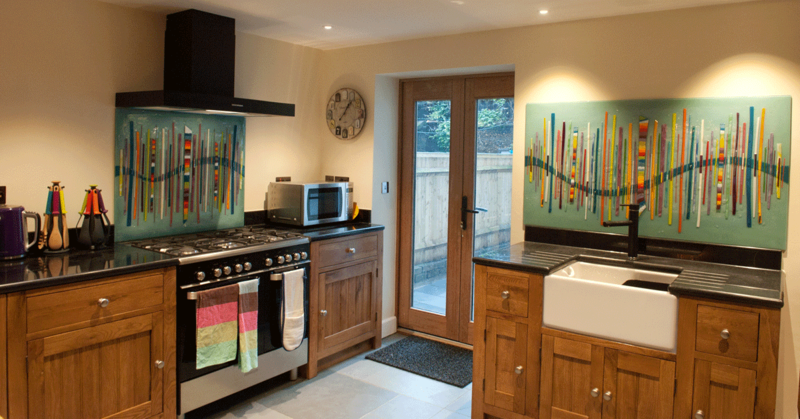 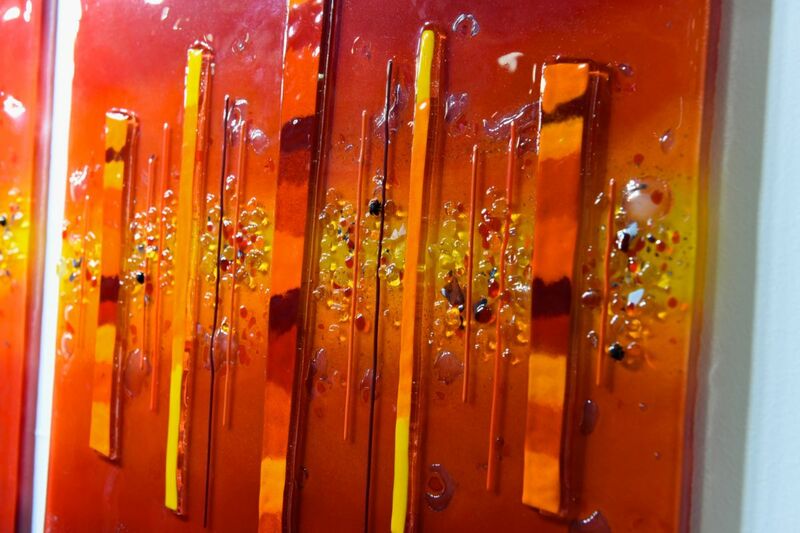 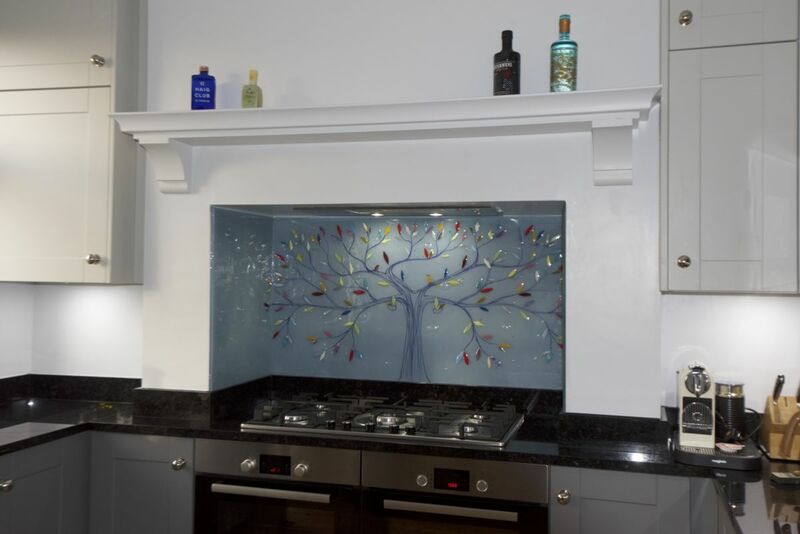 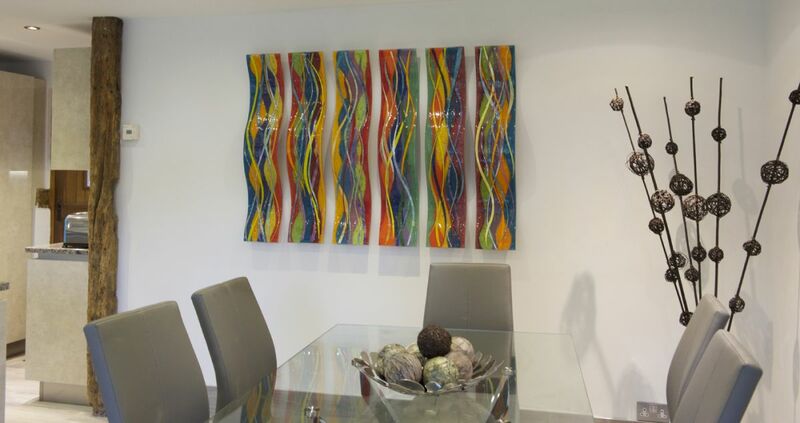 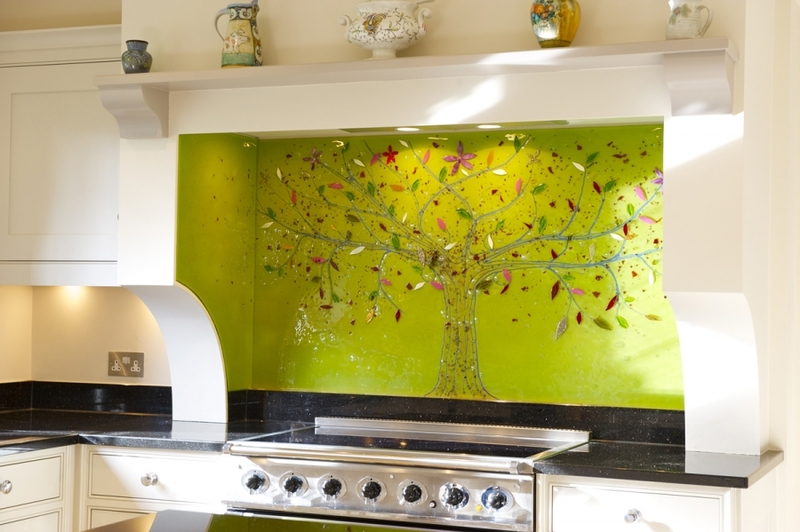 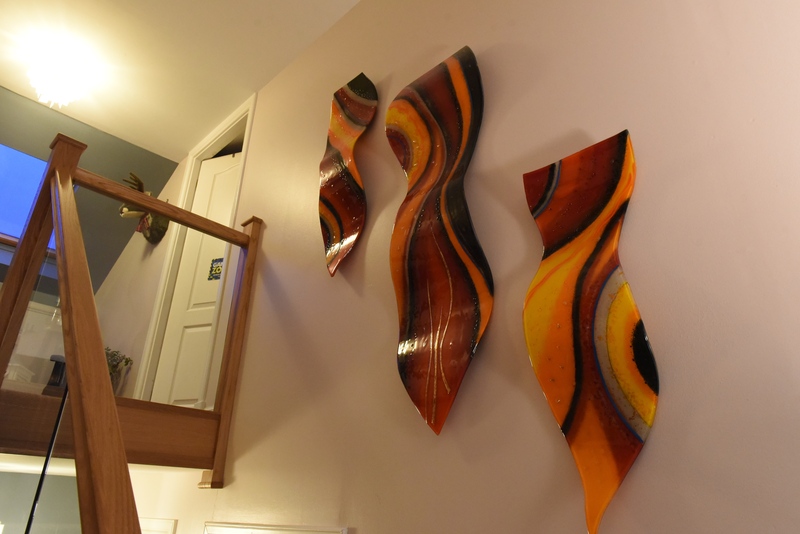 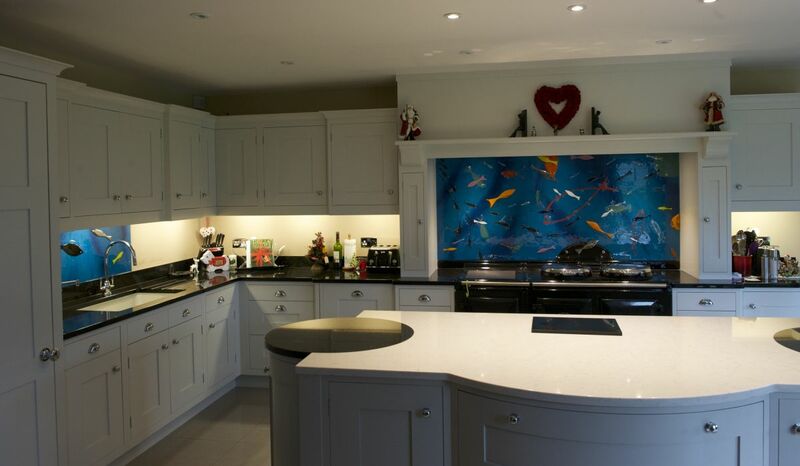 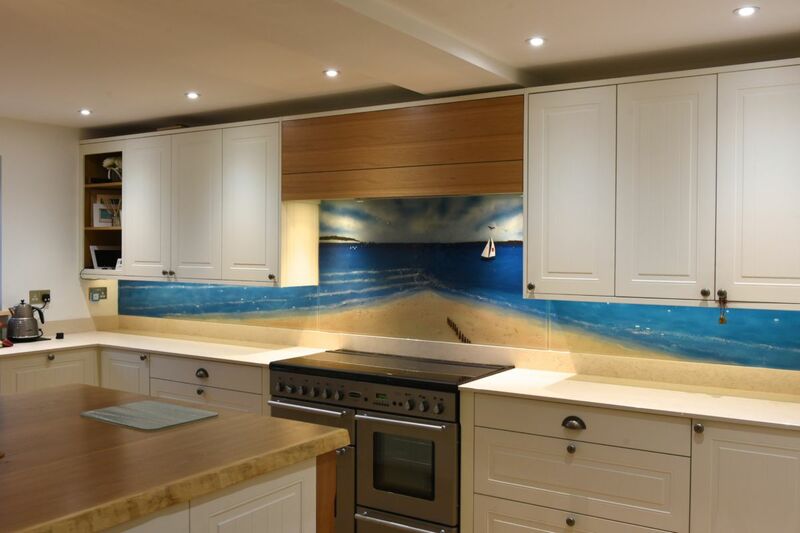 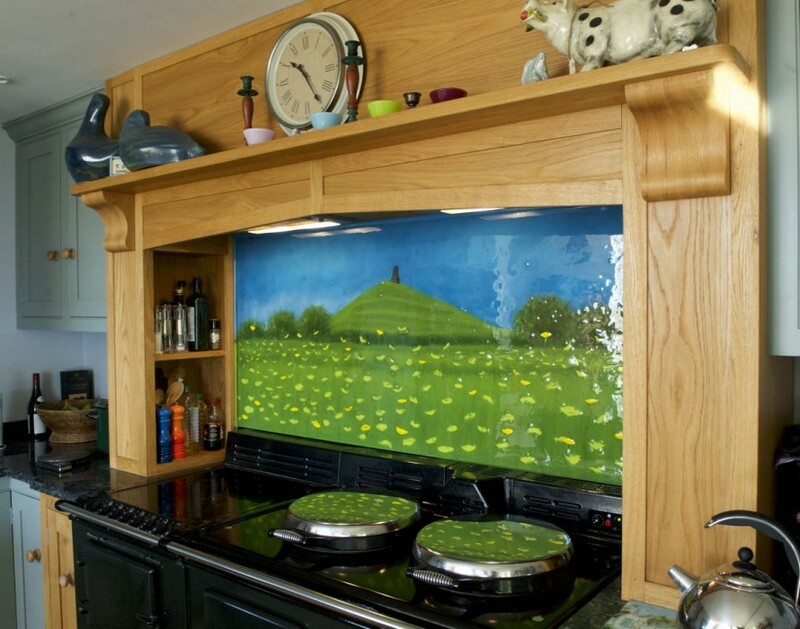 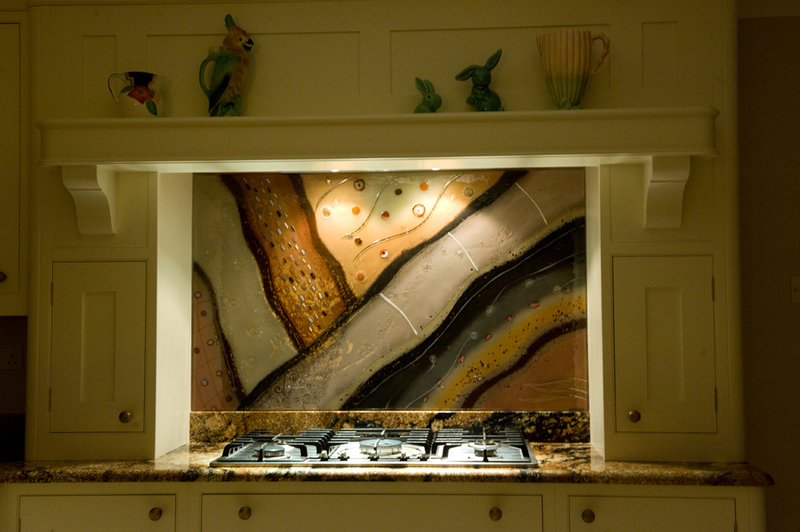 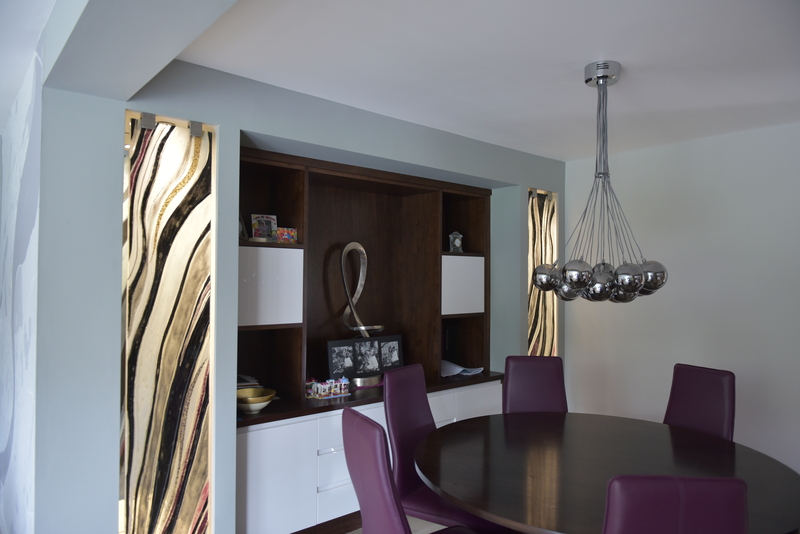 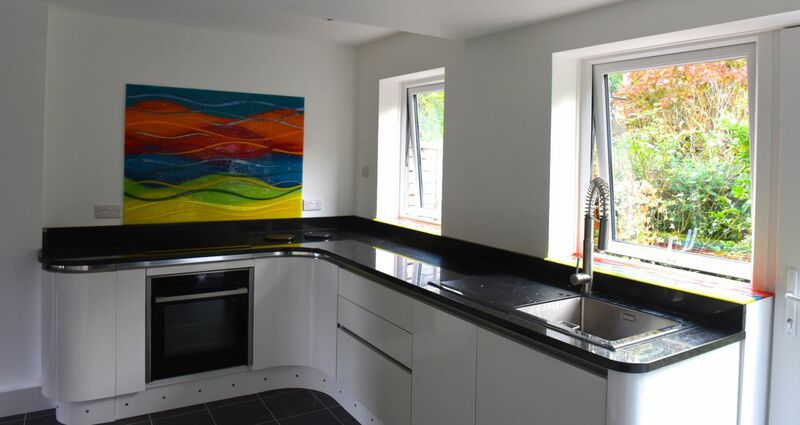 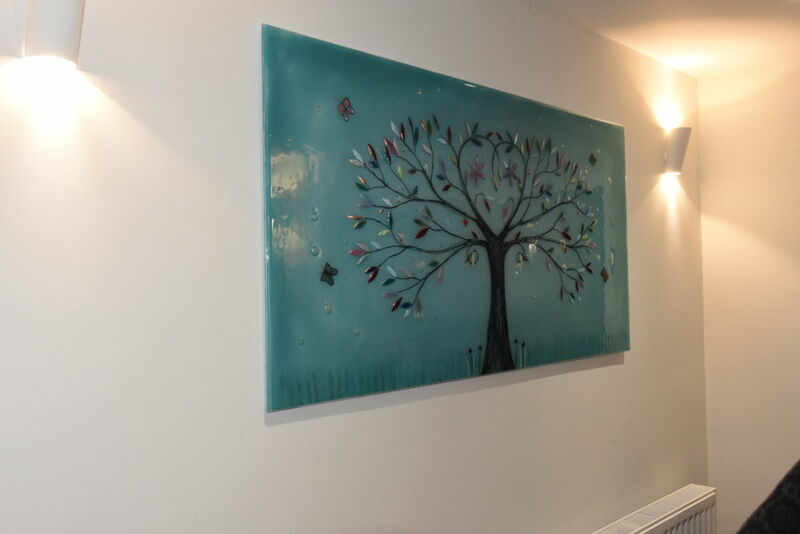 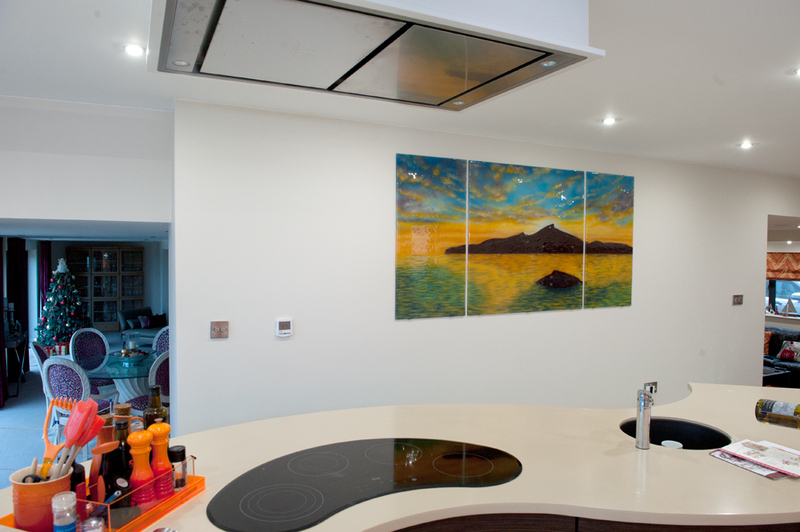 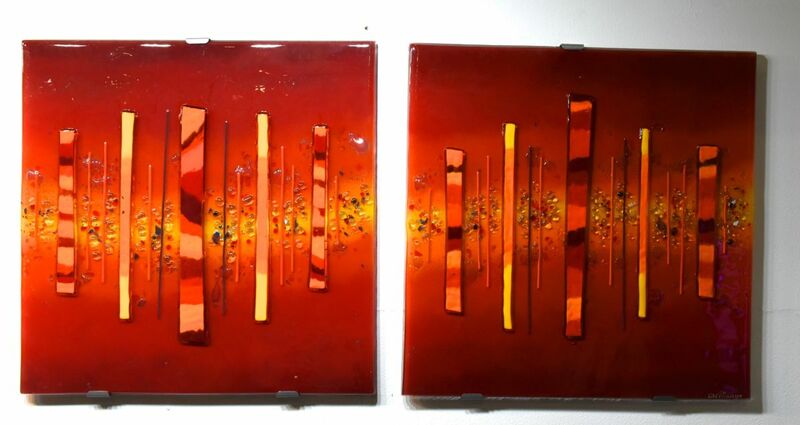 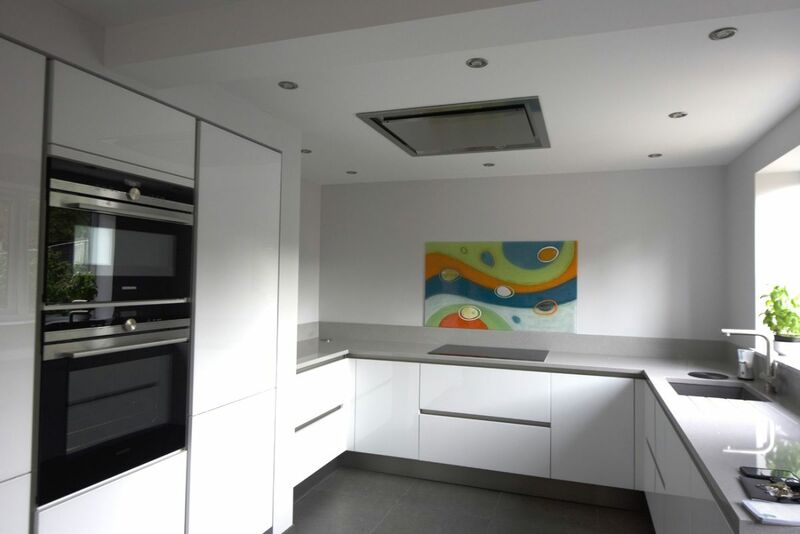 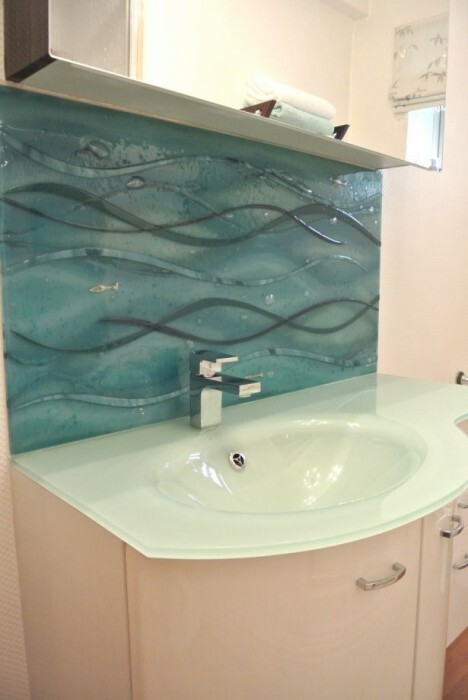 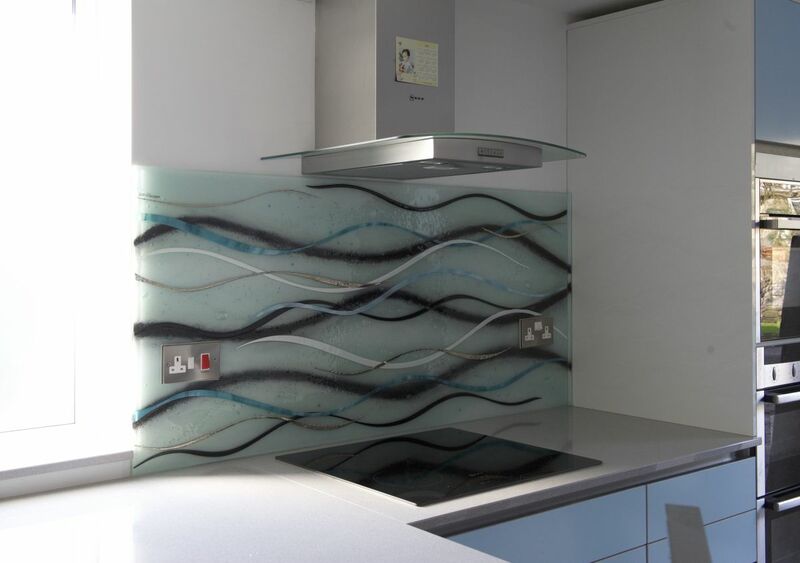 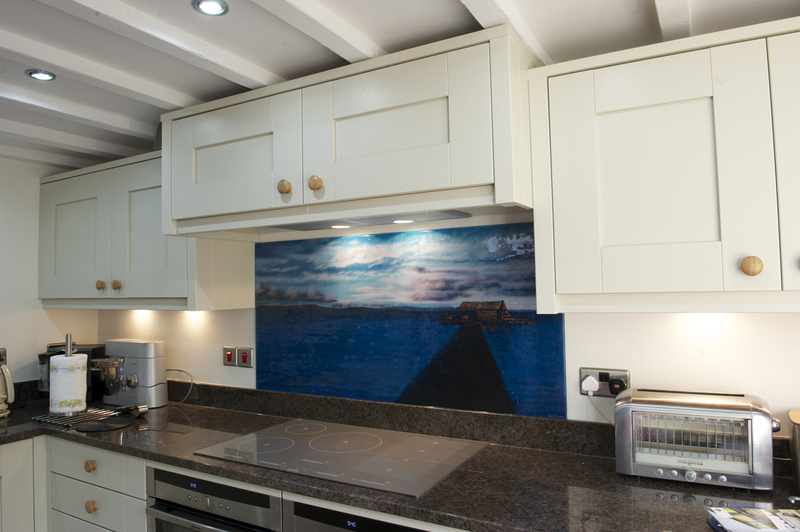 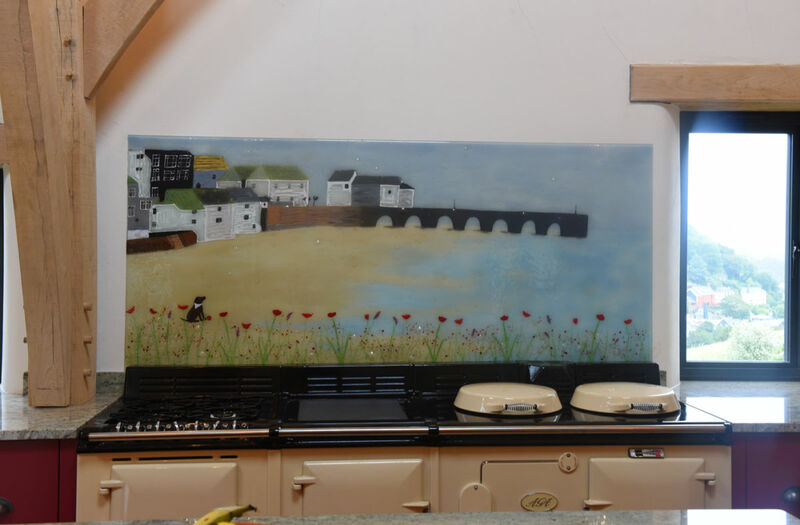 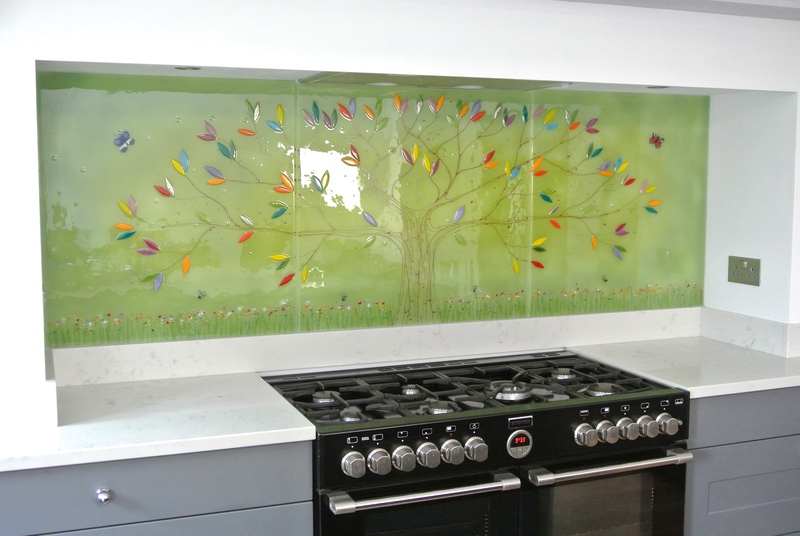 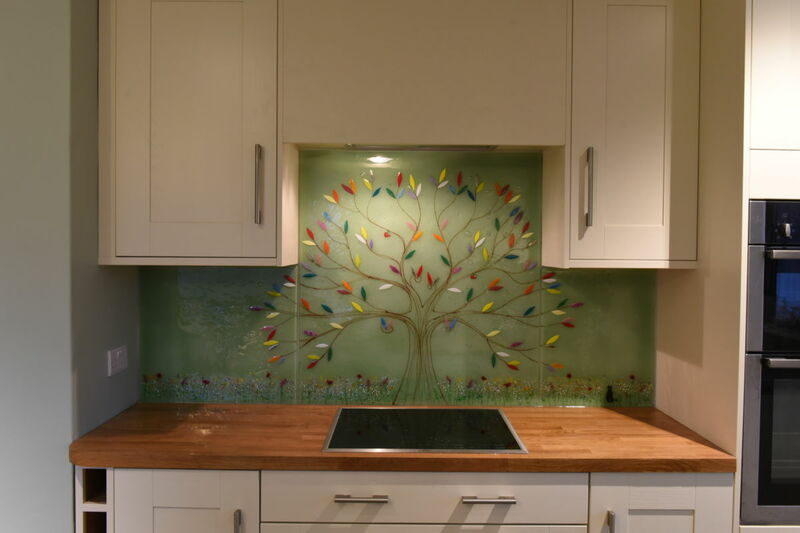 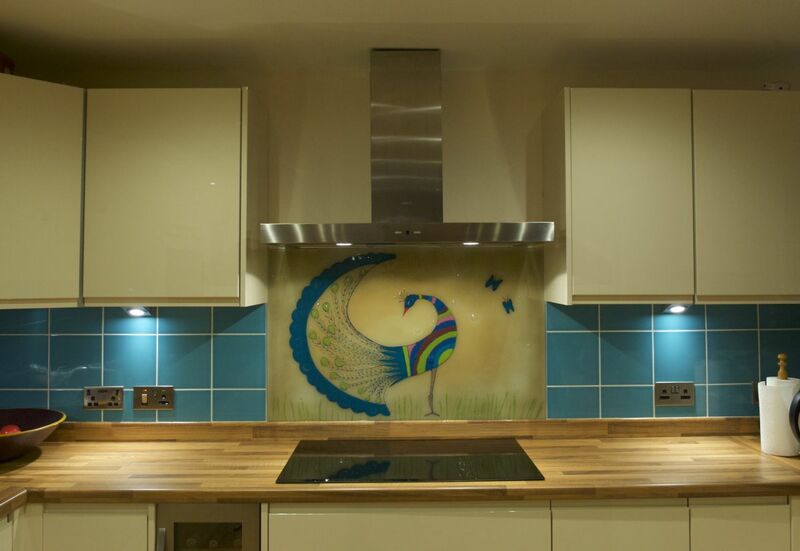 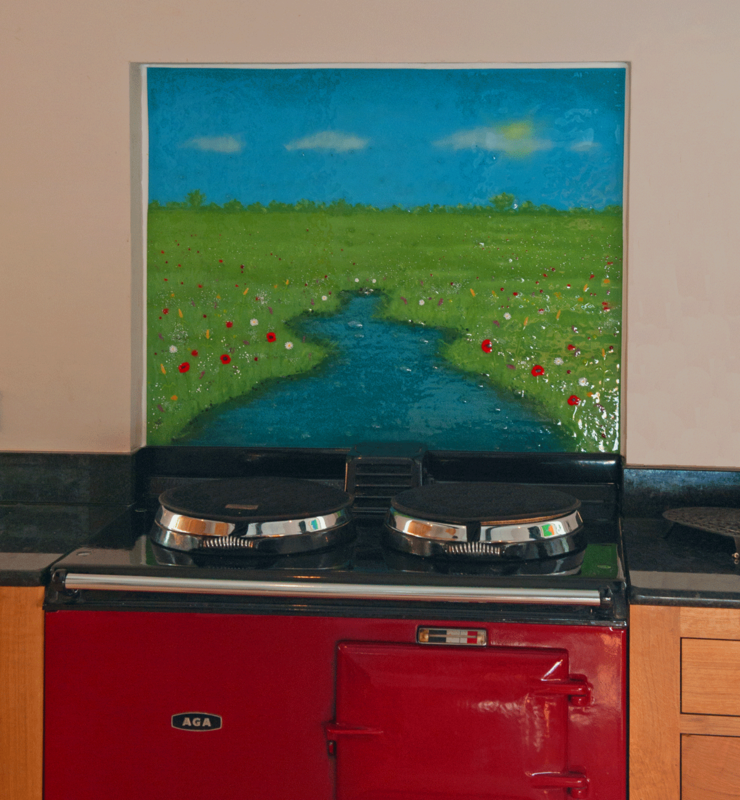 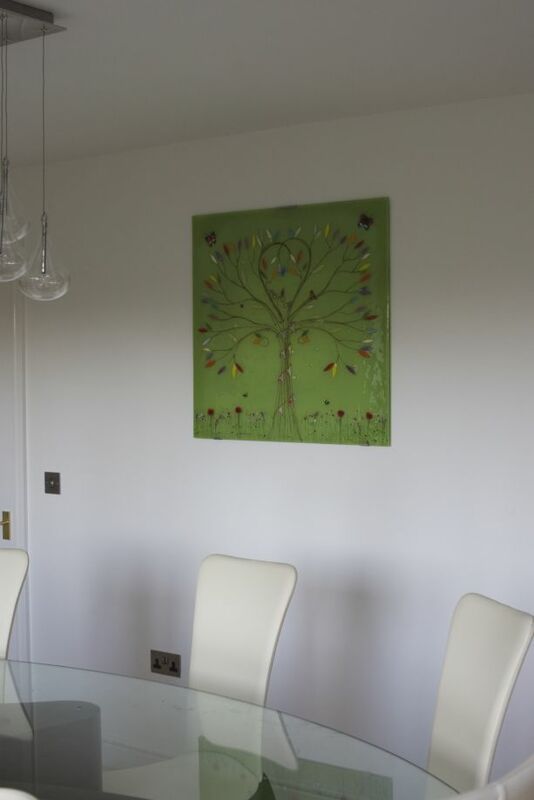 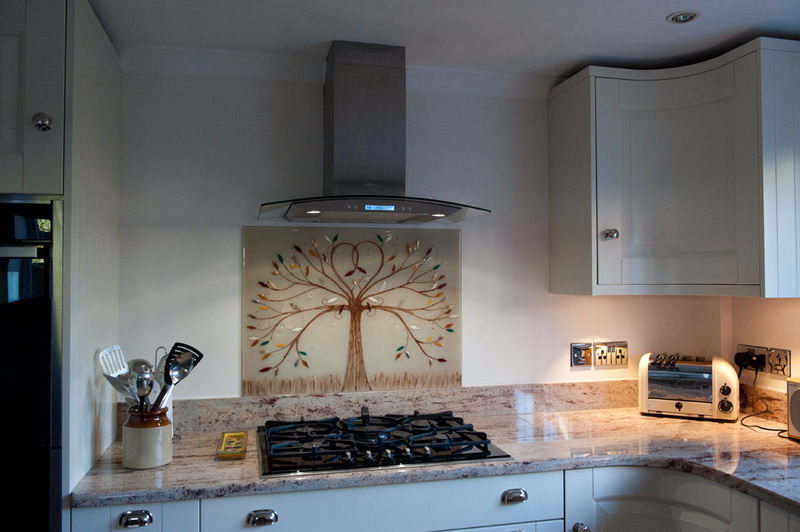 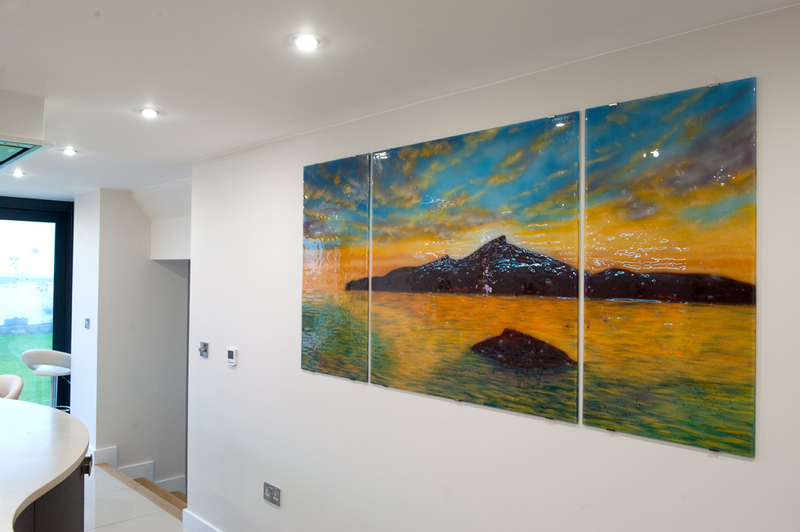 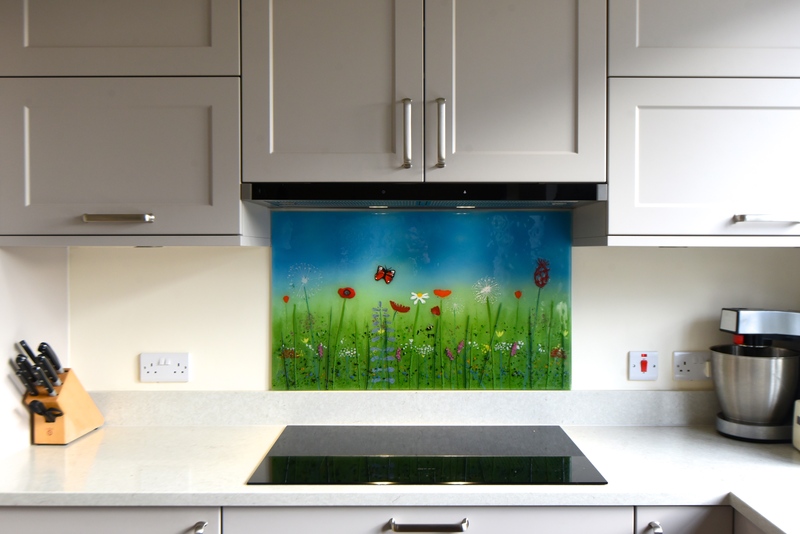 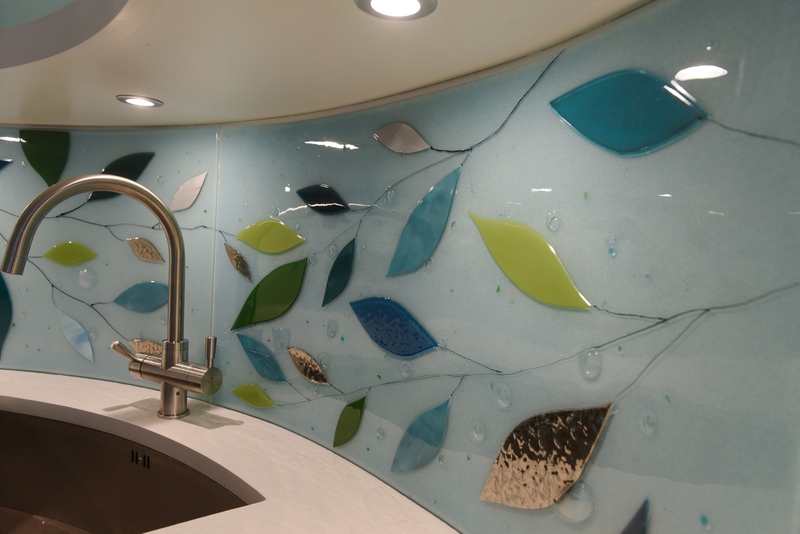 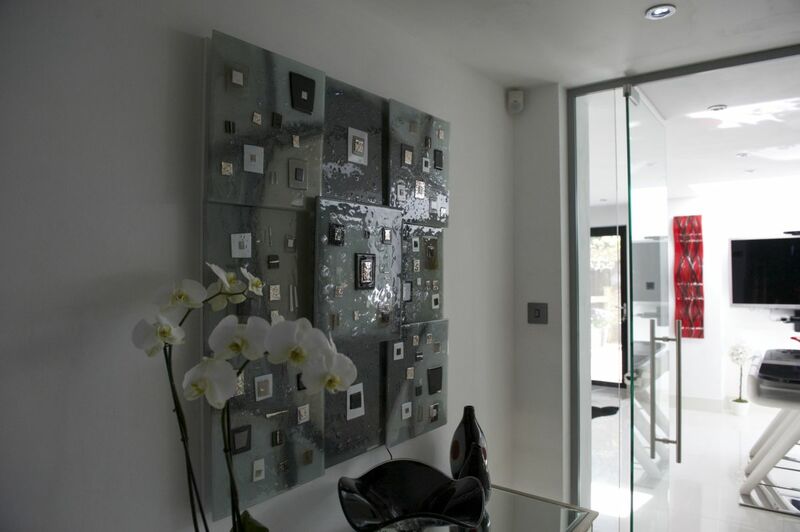 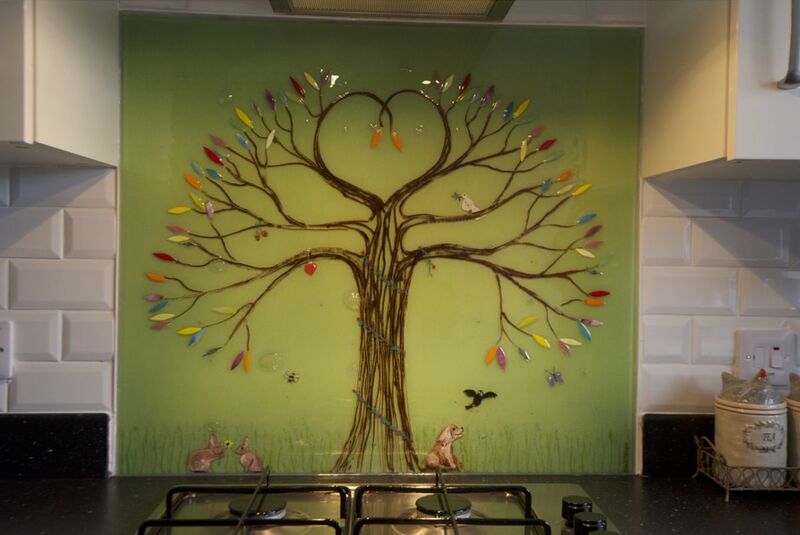 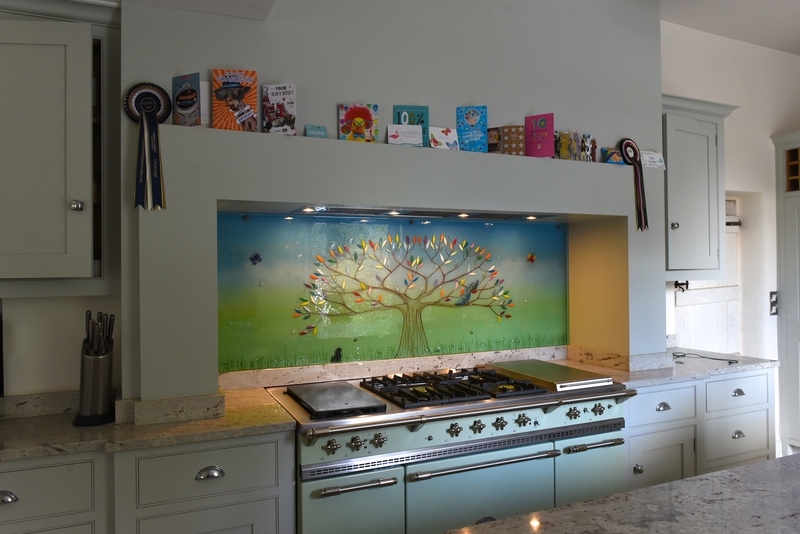 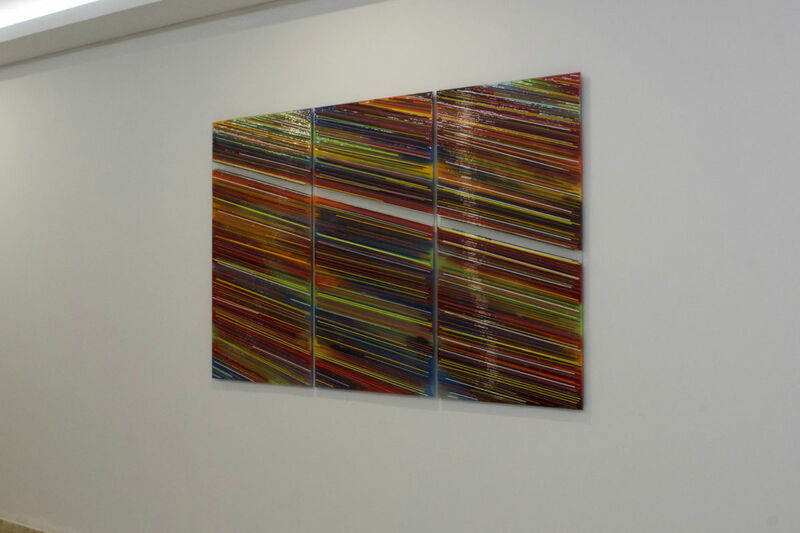 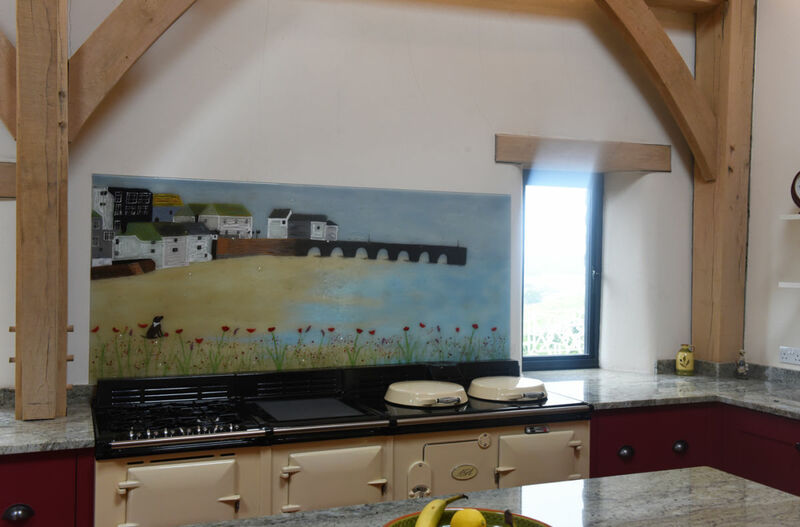 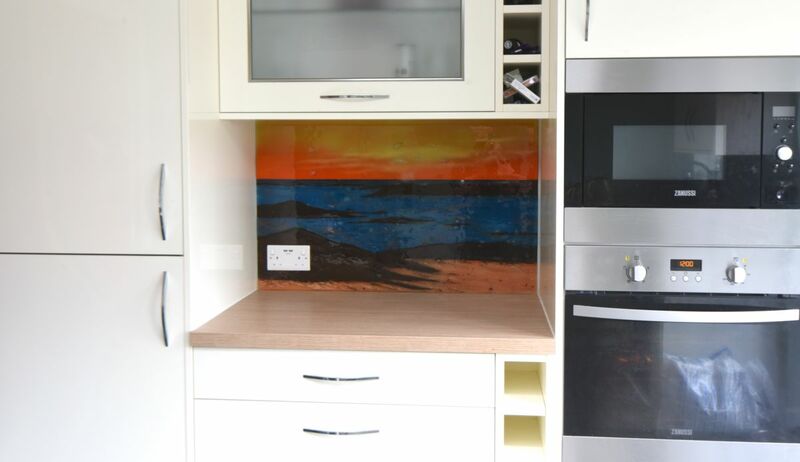 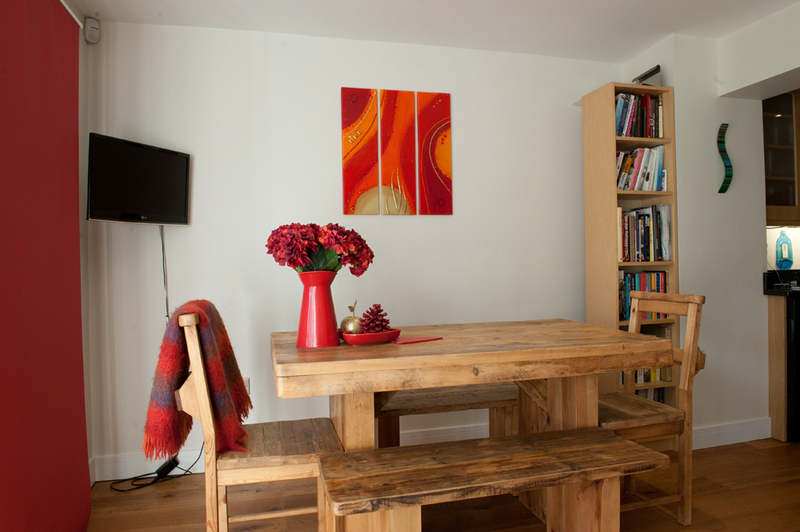 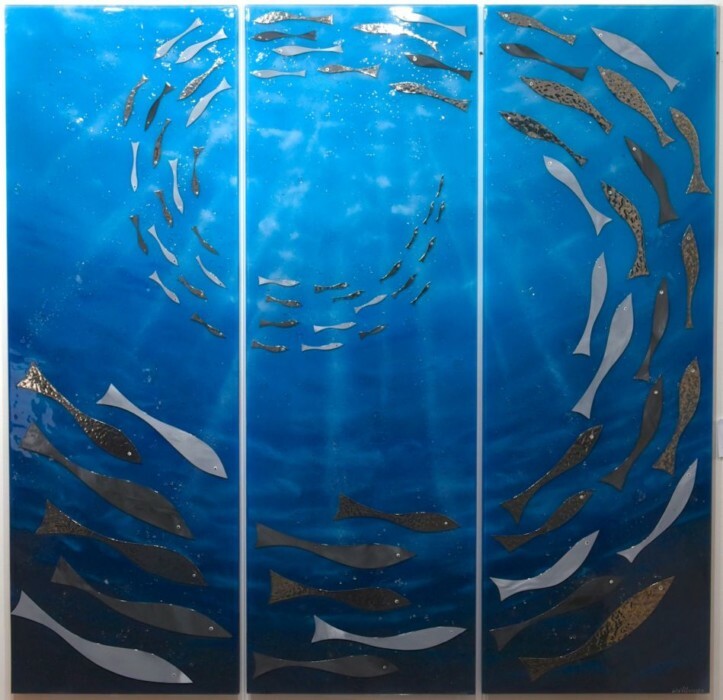 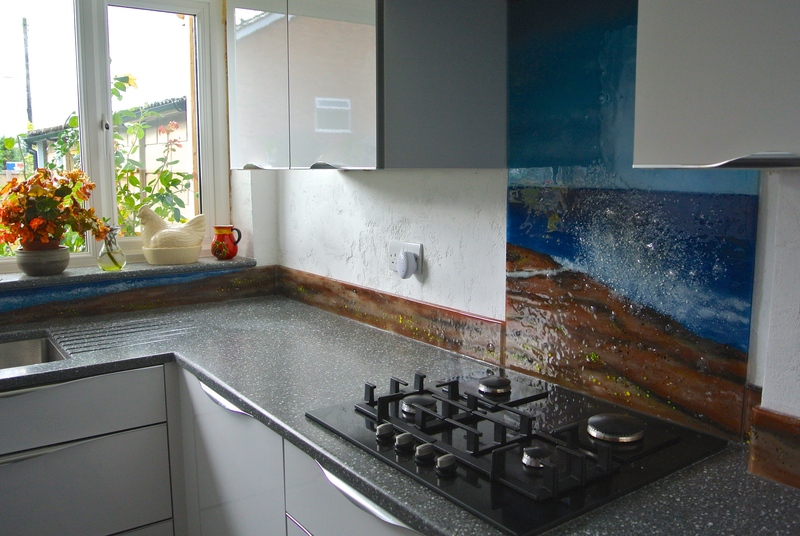 We here at The House of Ugly Fish believe that there’s a lot of untapped potential there for something truly breathtaking, which is why we got started making fused glass art splashbacks in the first place. 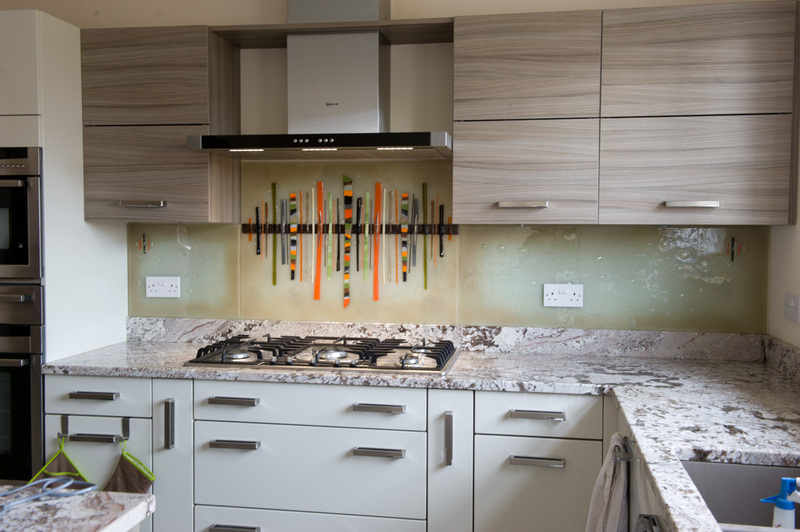 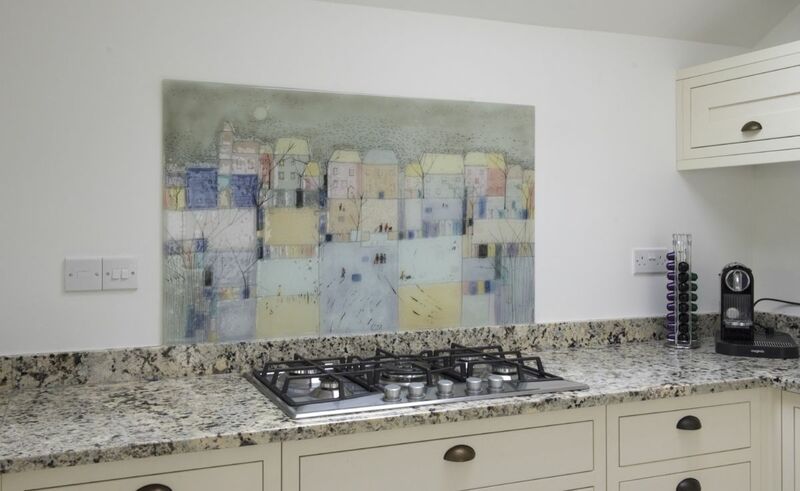 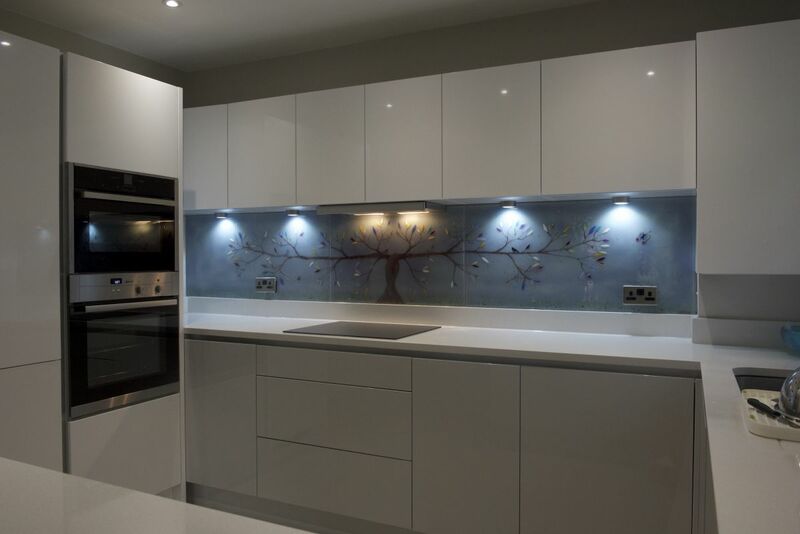 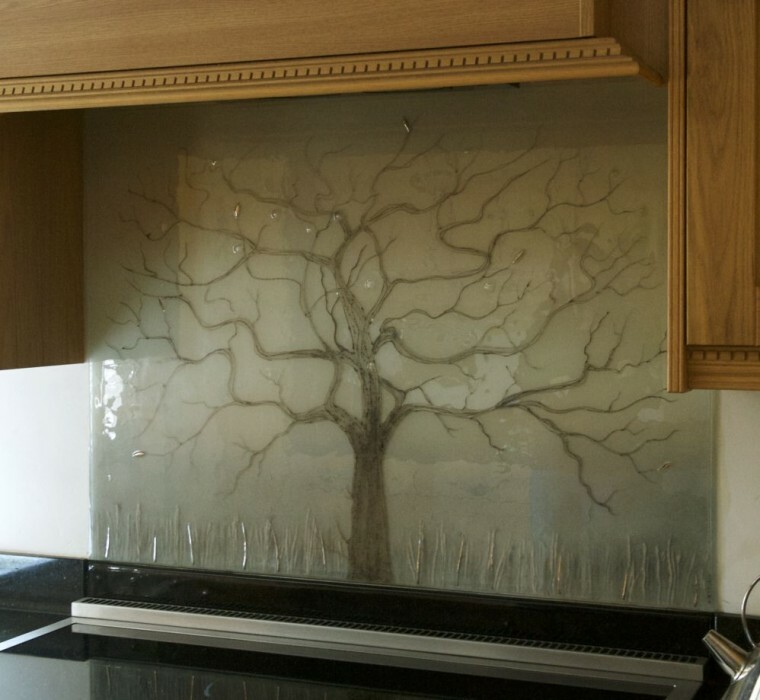 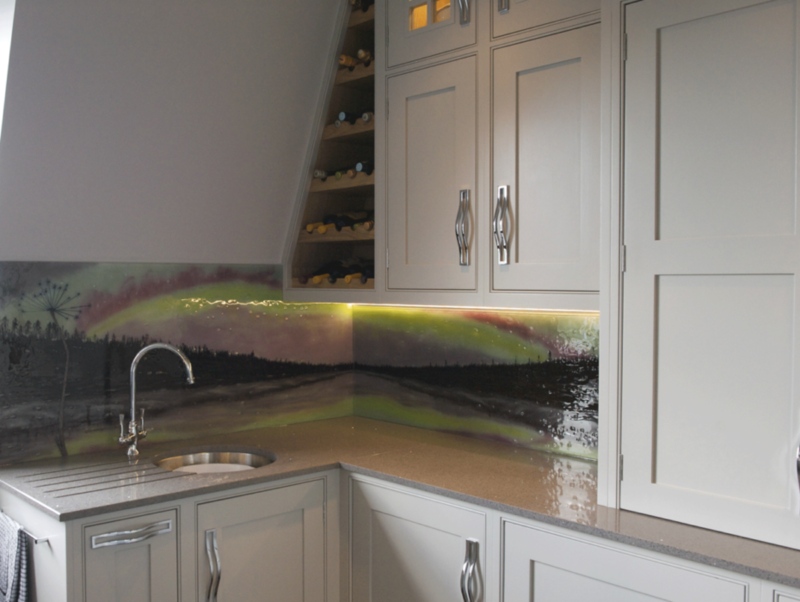 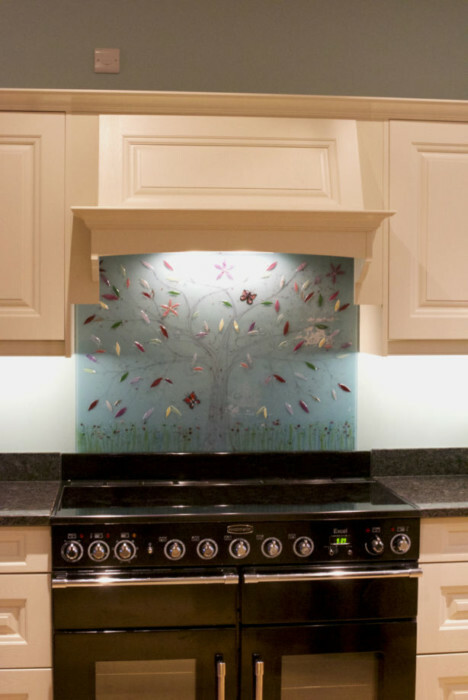 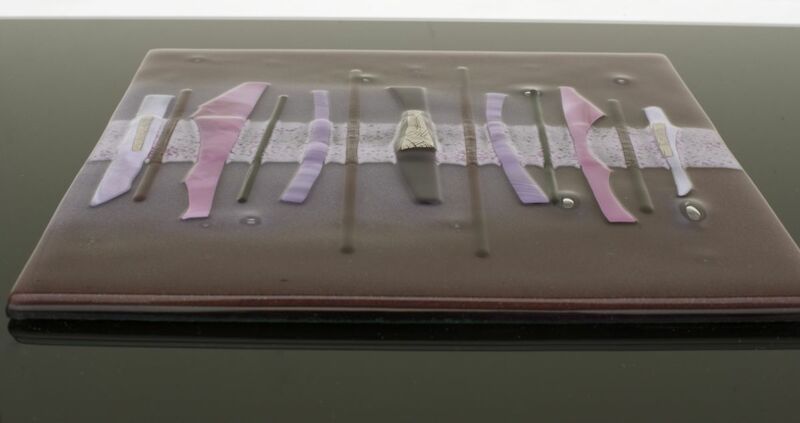 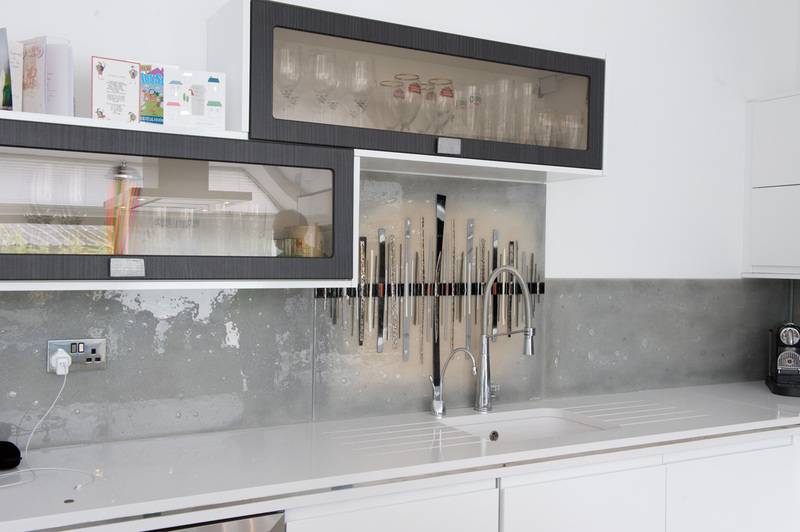 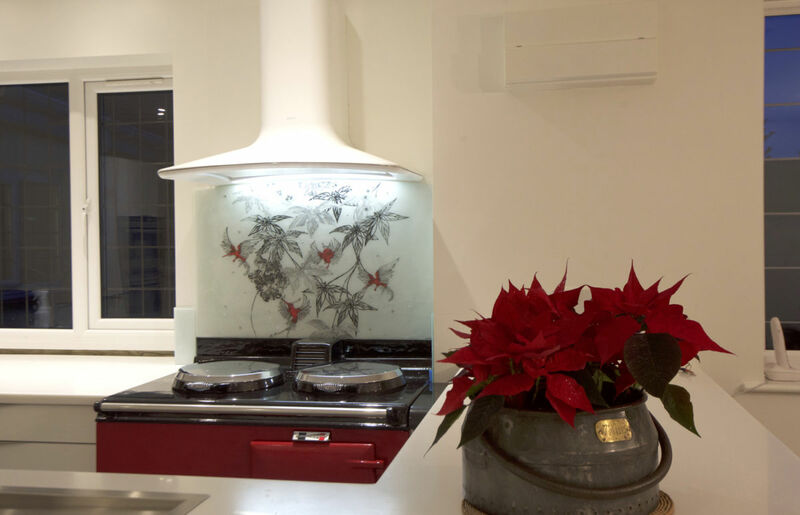 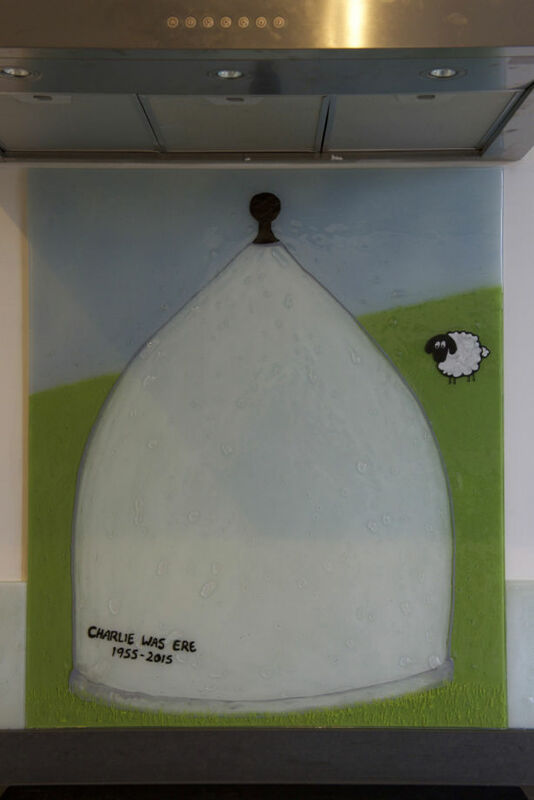 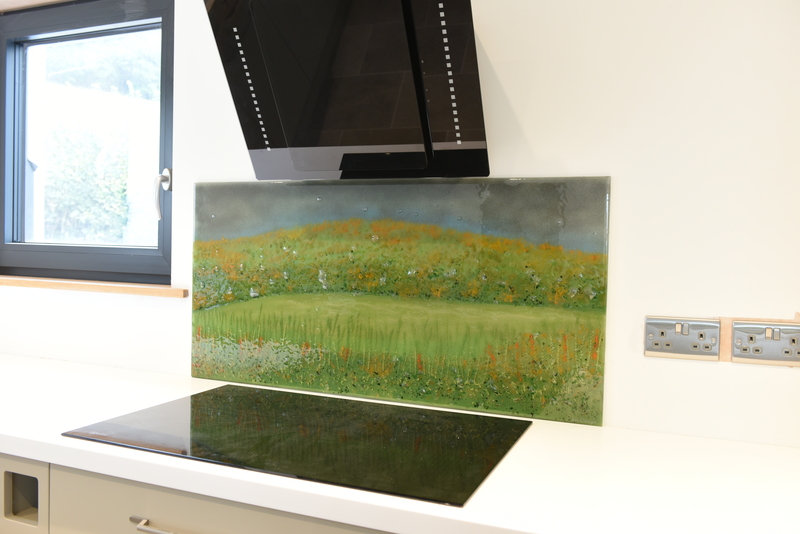 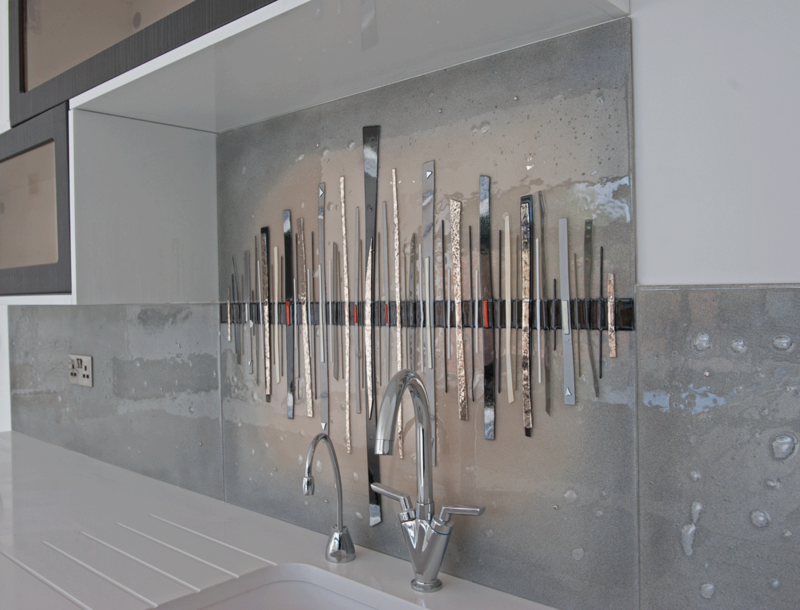 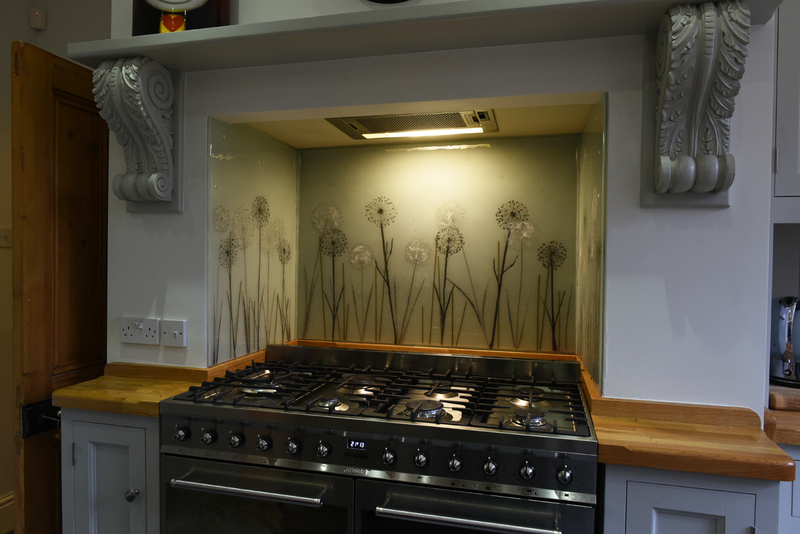 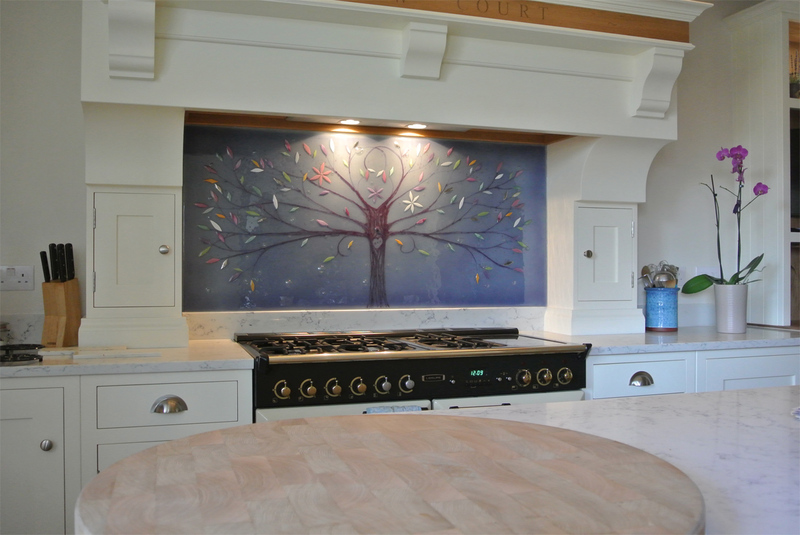 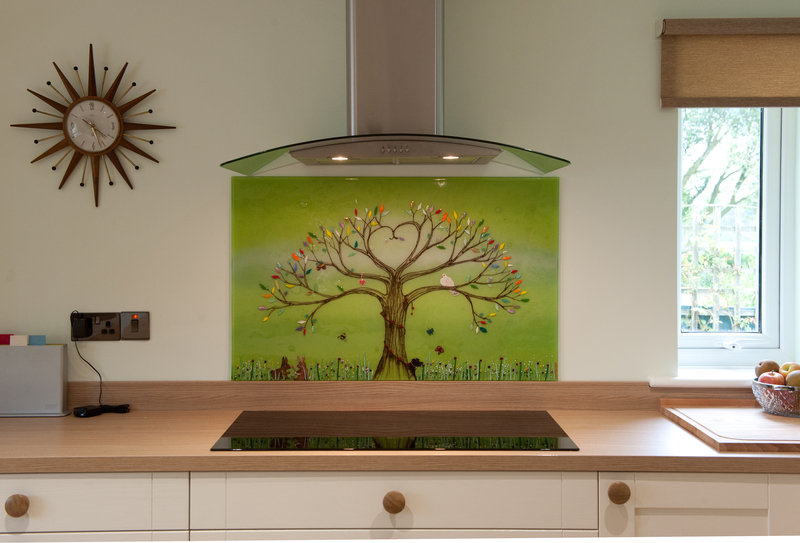 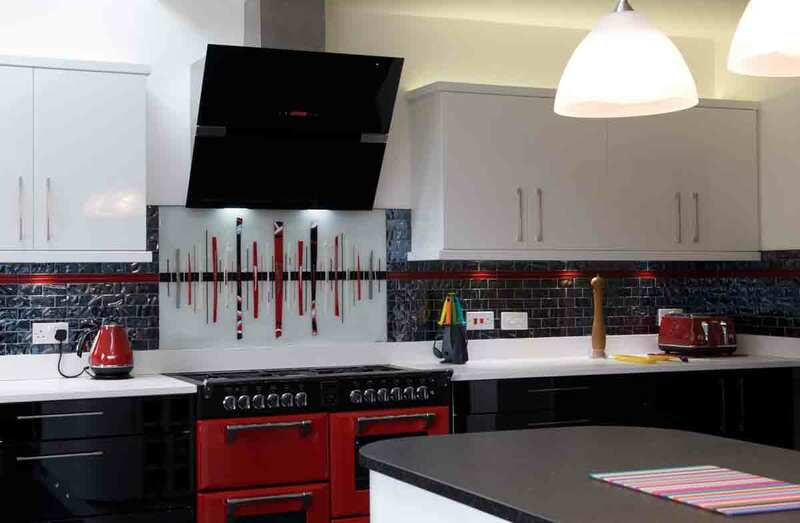 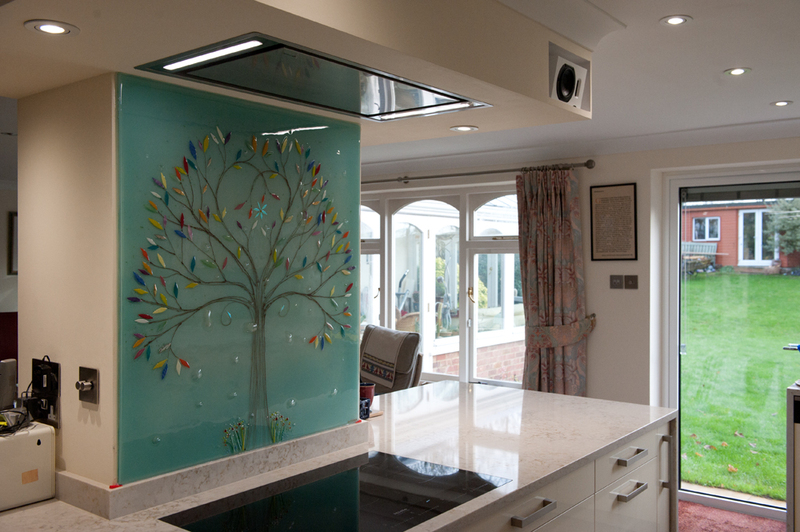 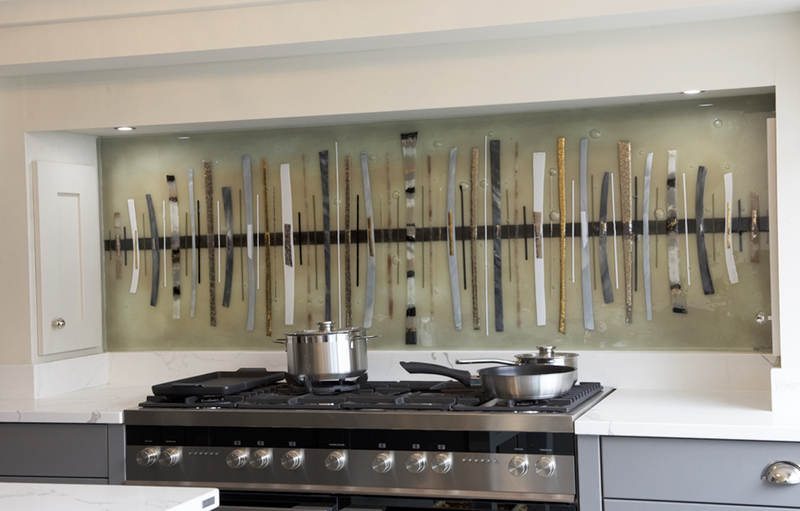 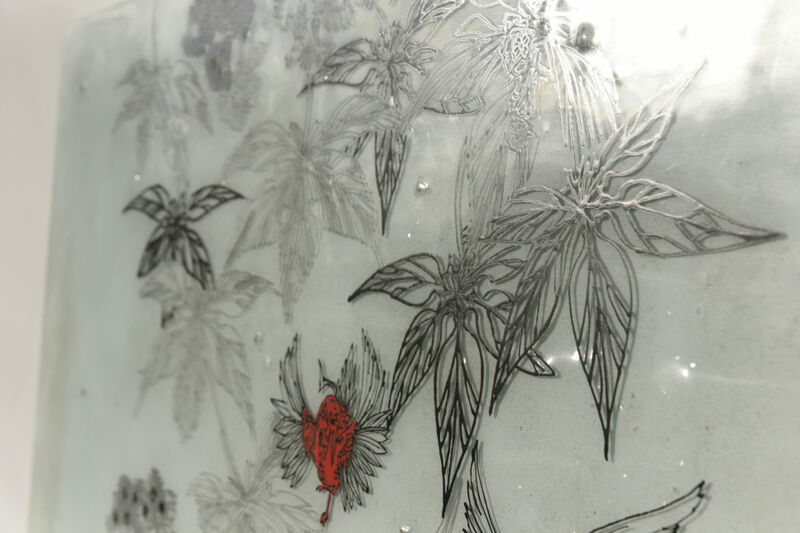 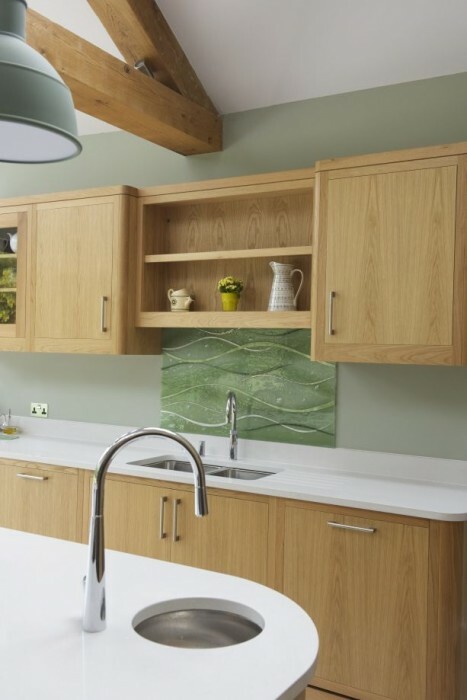 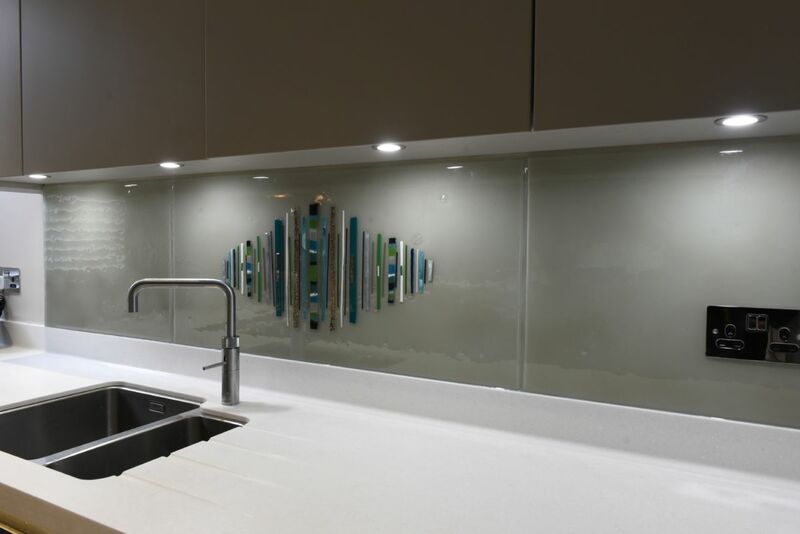 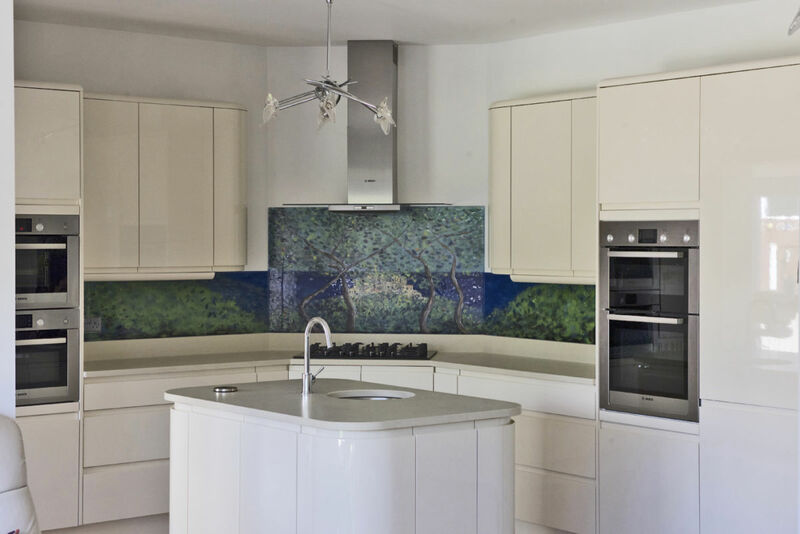 After all, perhaps the most striking feature of our fused glass splashbacks is the sheer amount of detail that goes into each one, even with the most simple of designs applied. 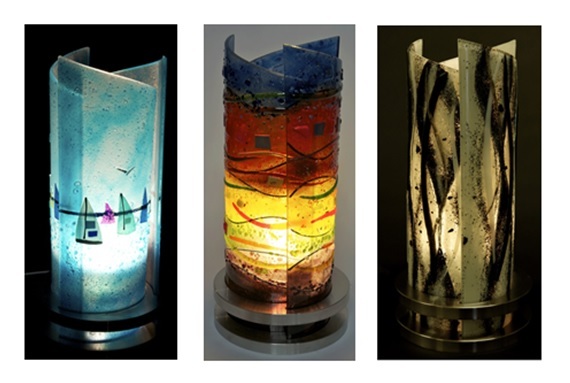 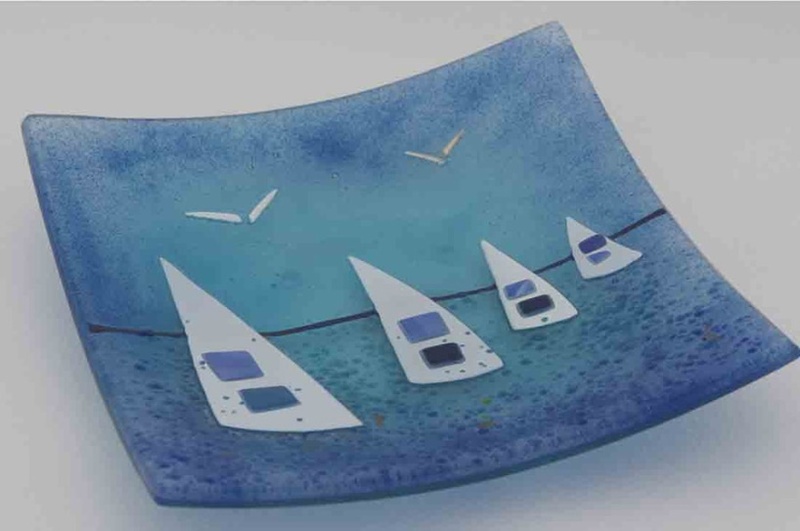 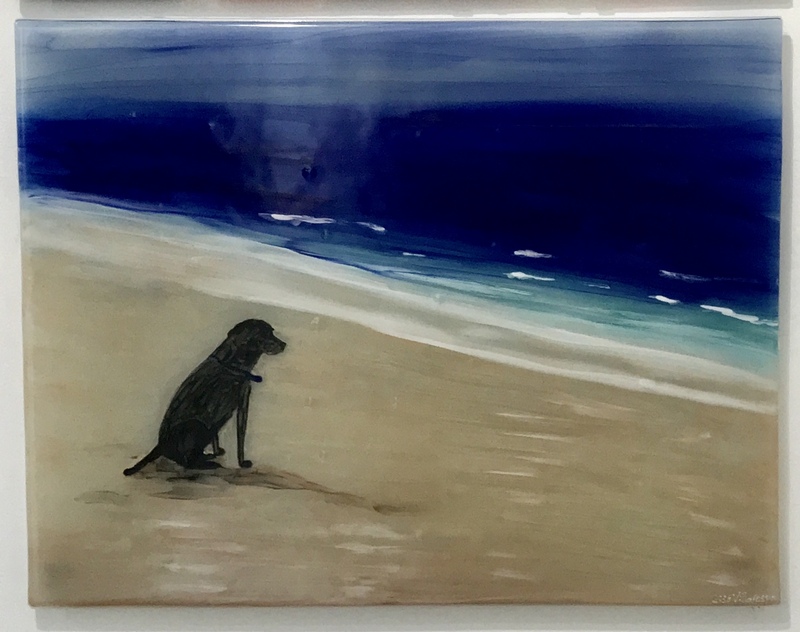 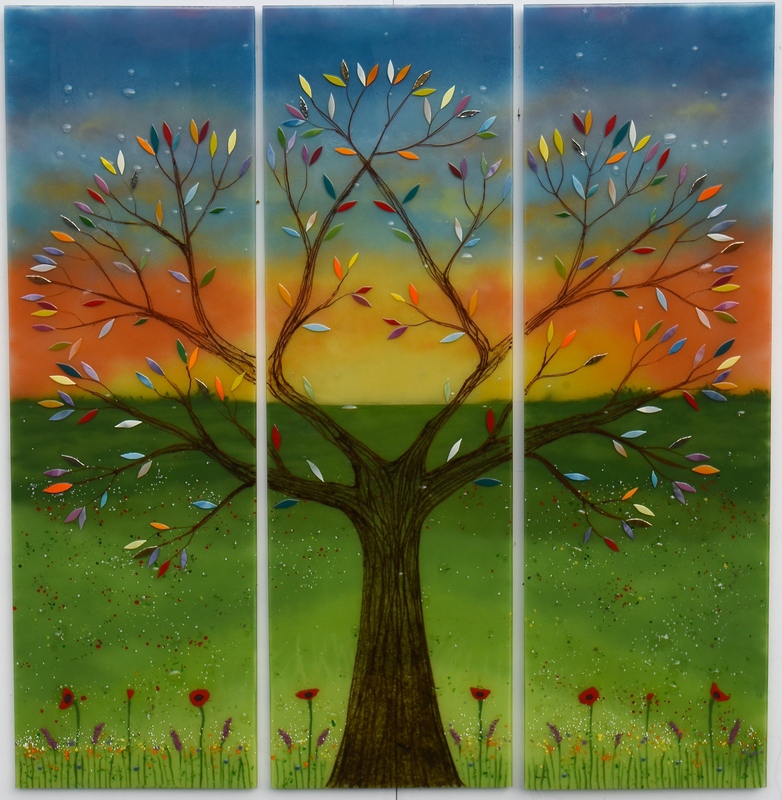 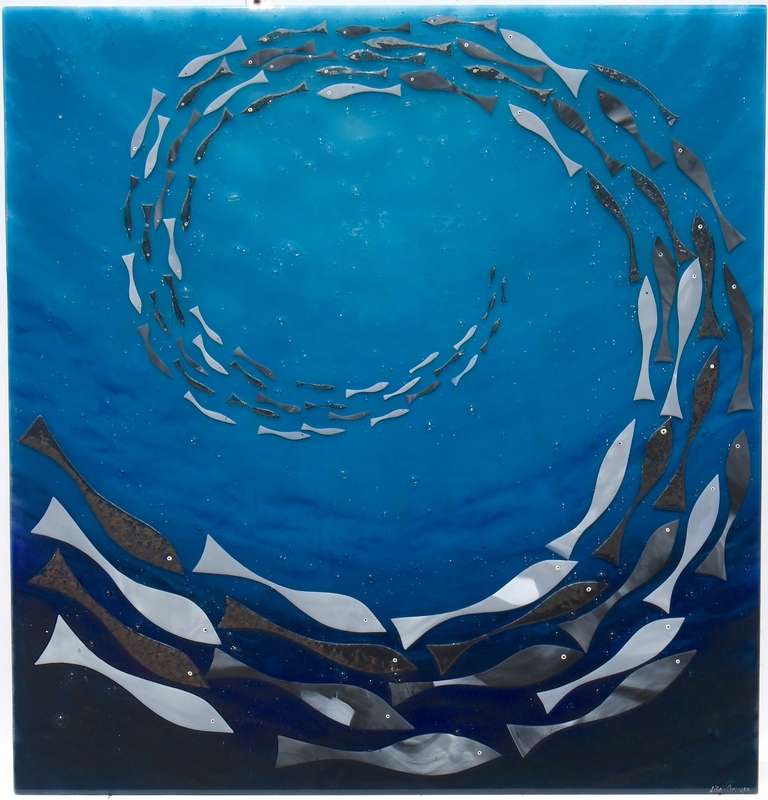 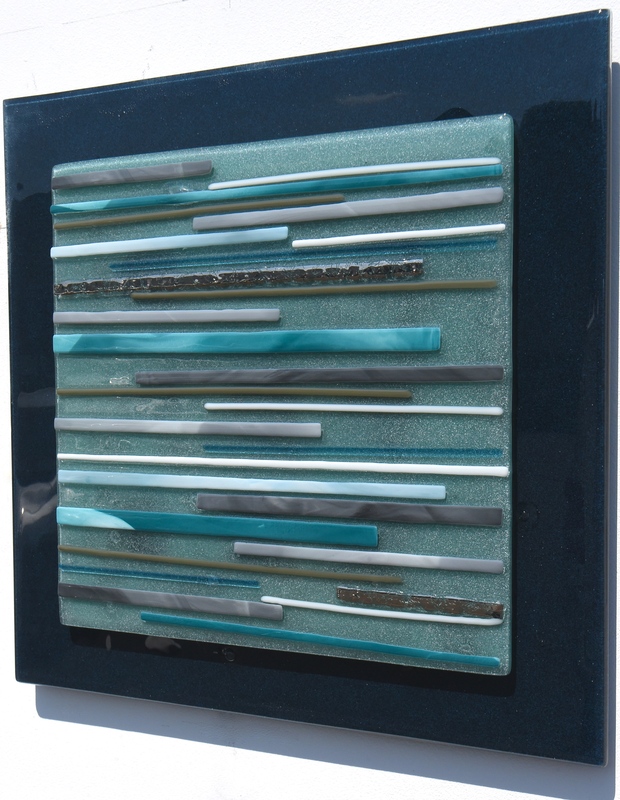 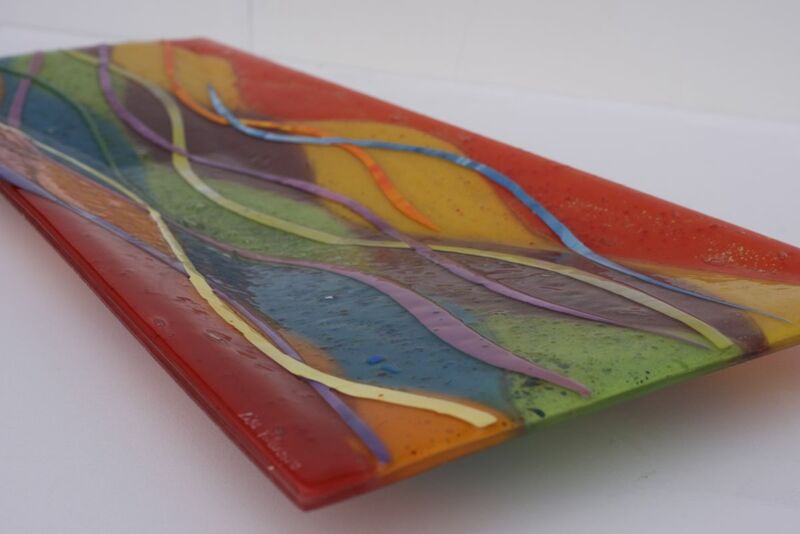 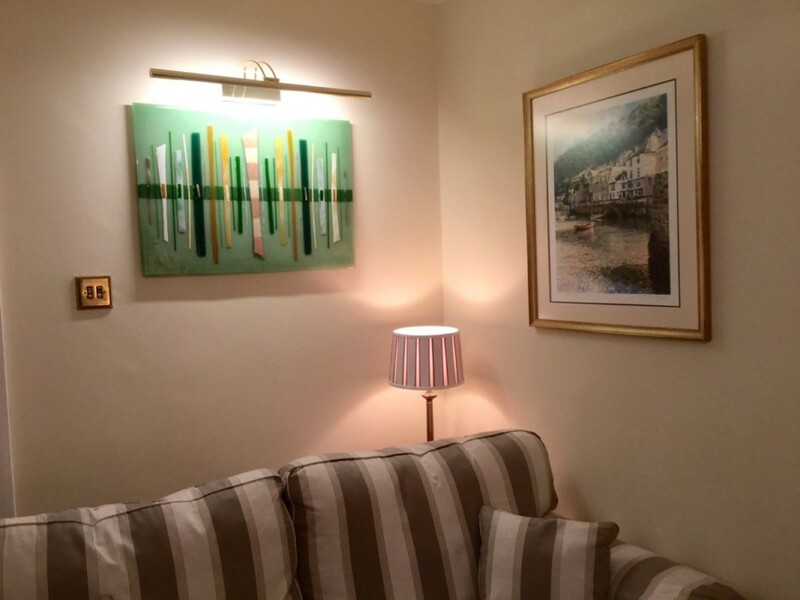 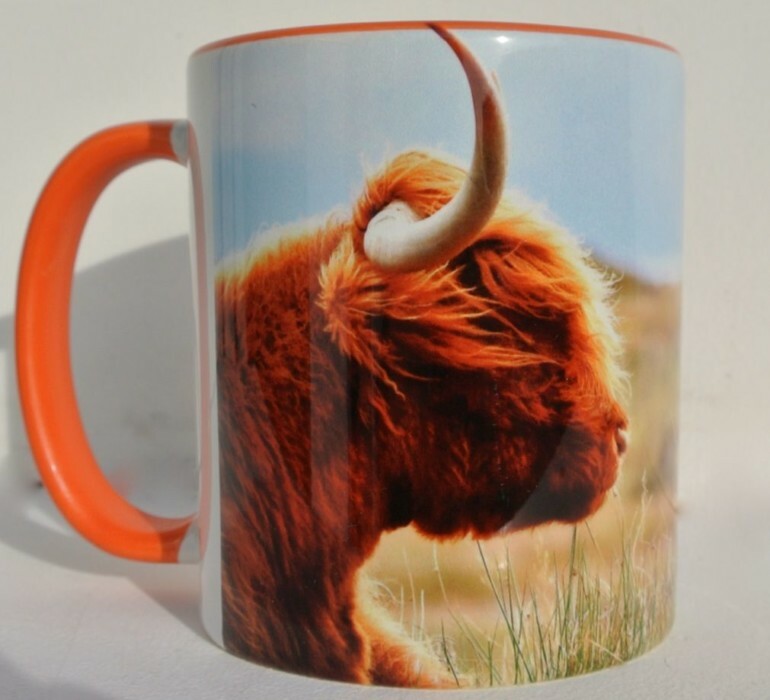 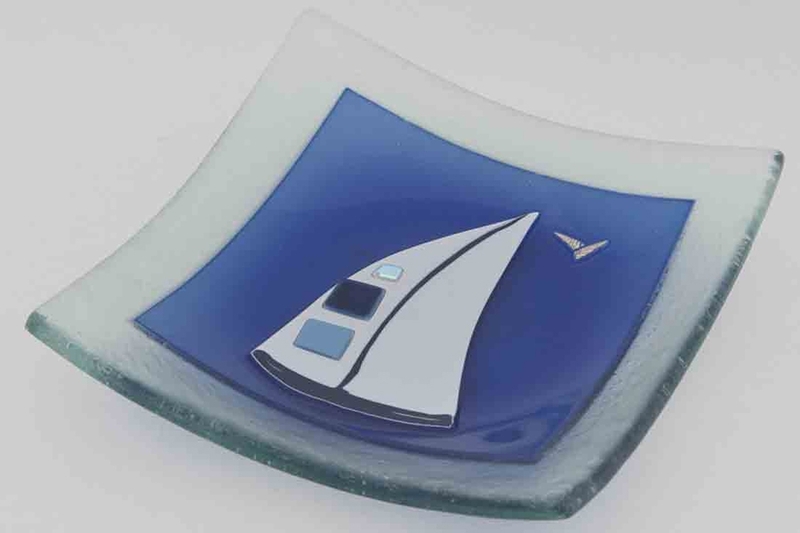 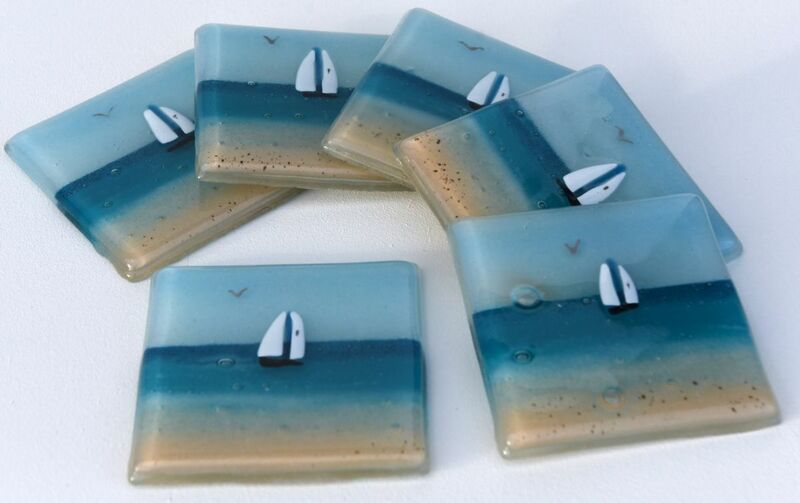 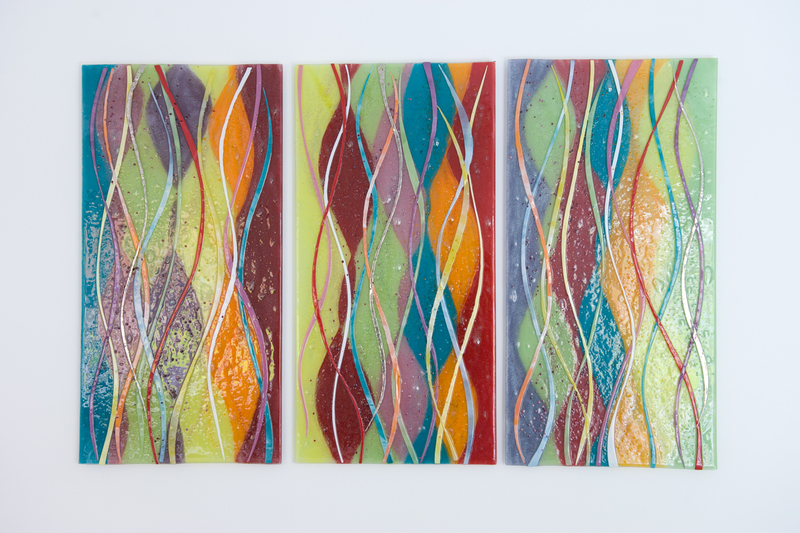 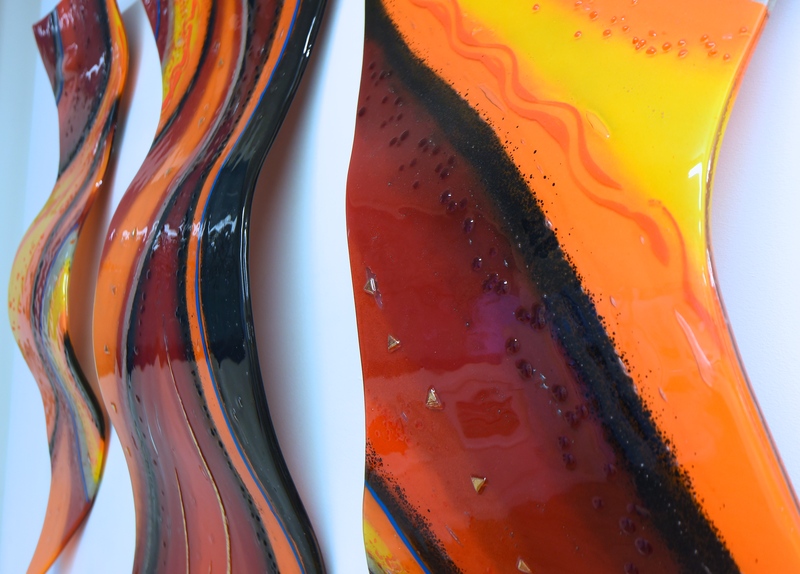 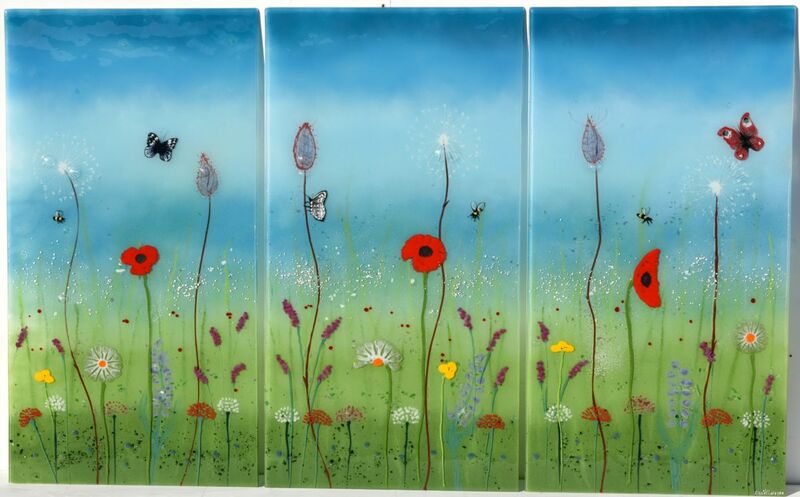 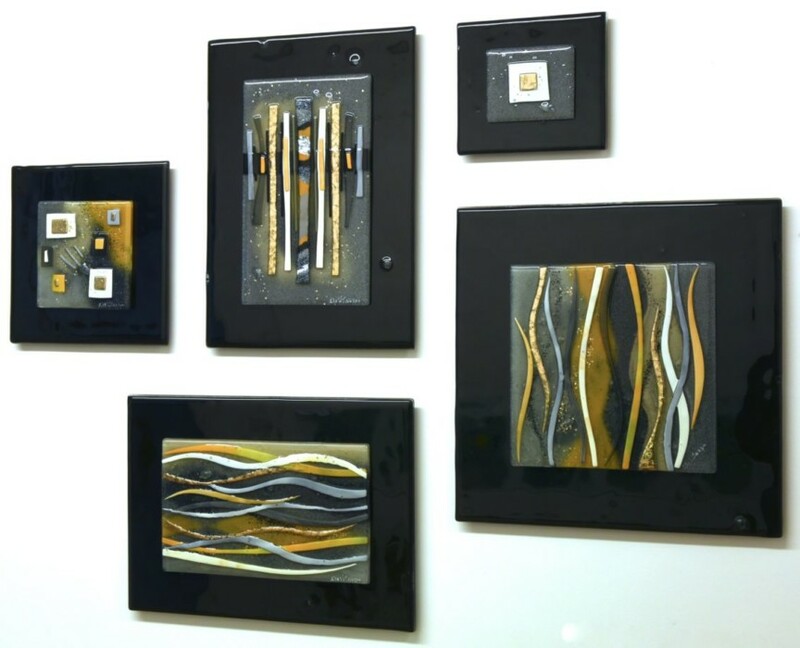 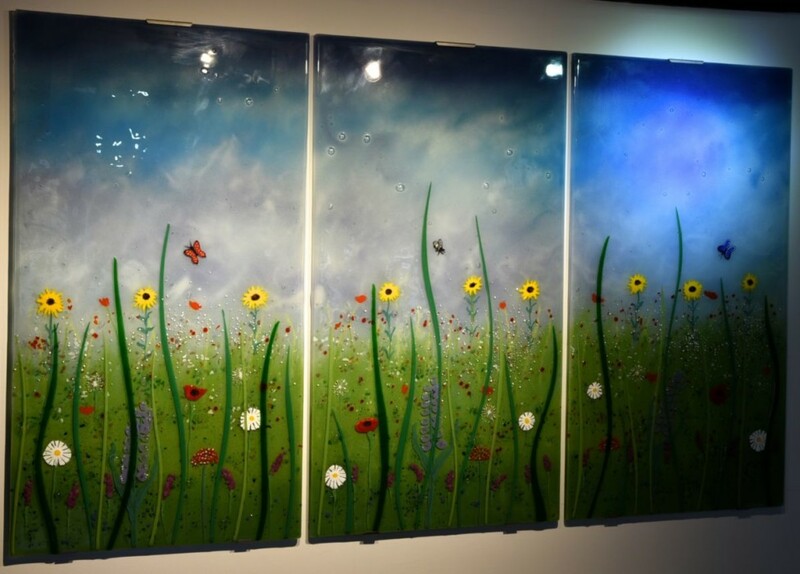 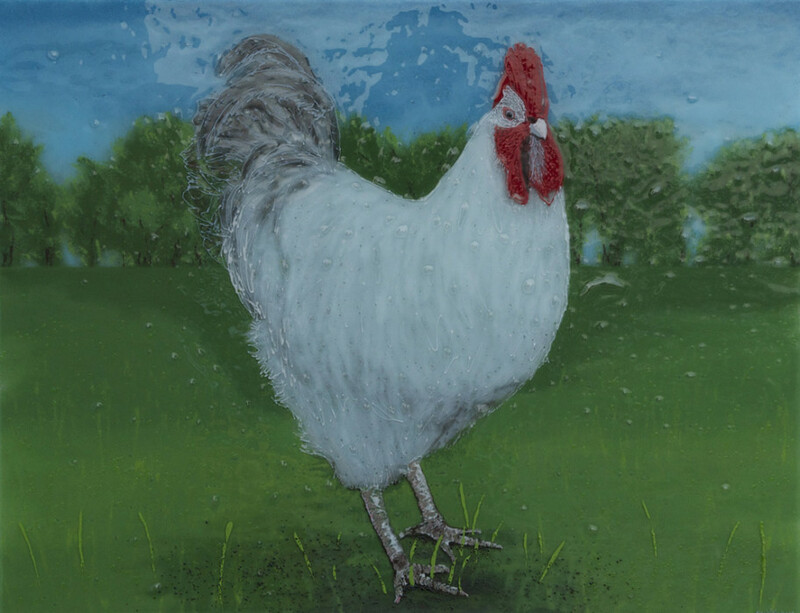 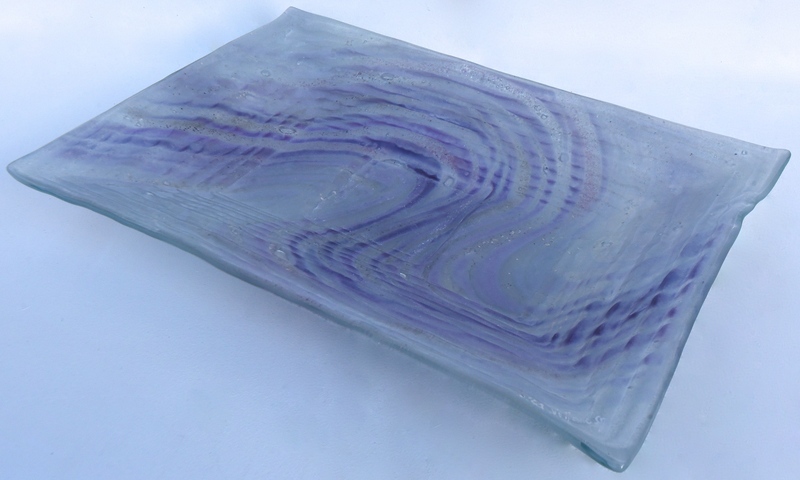 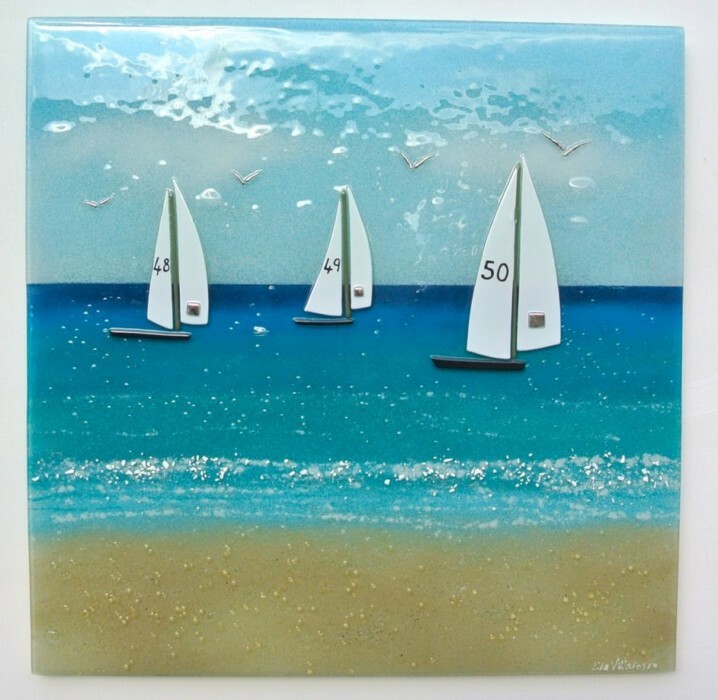 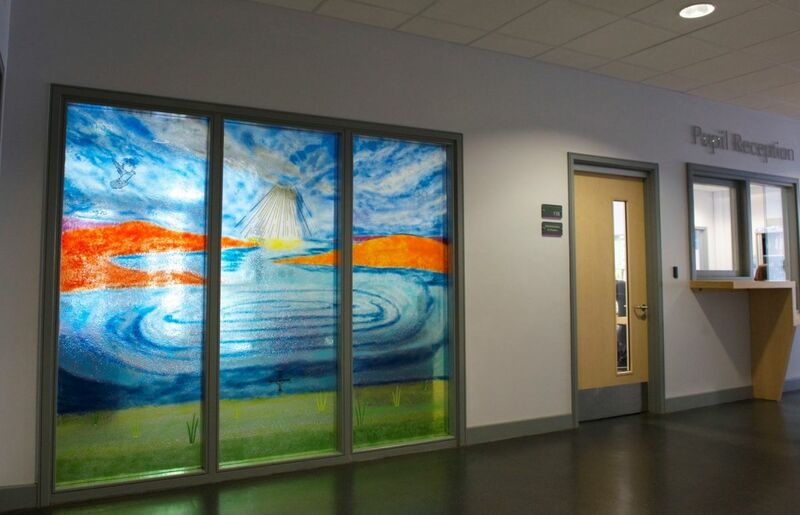 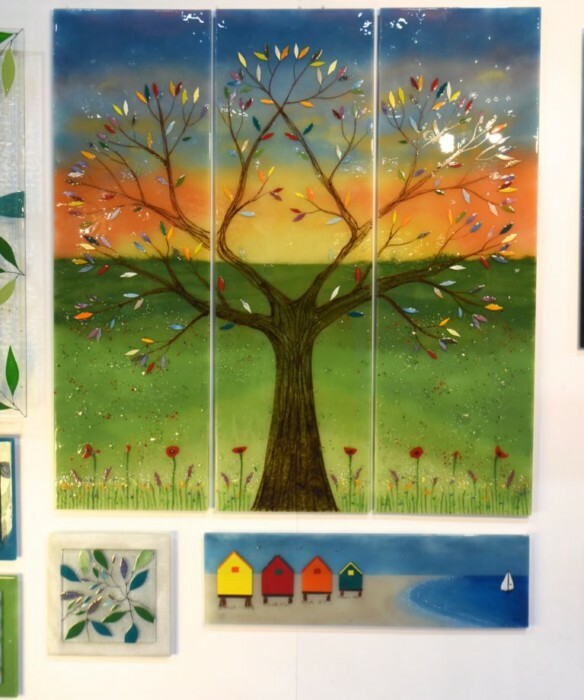 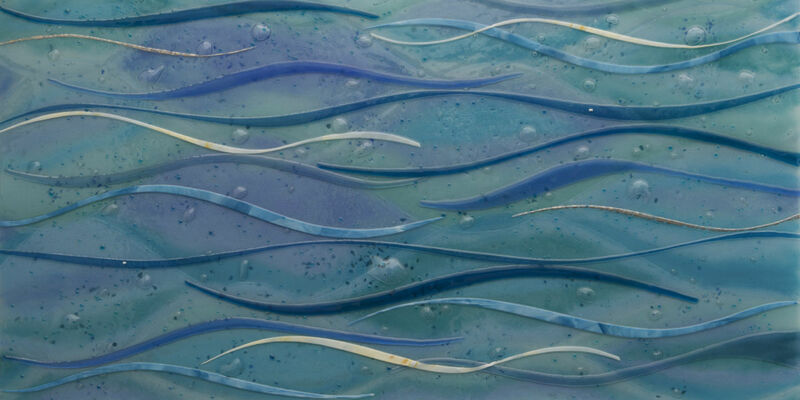 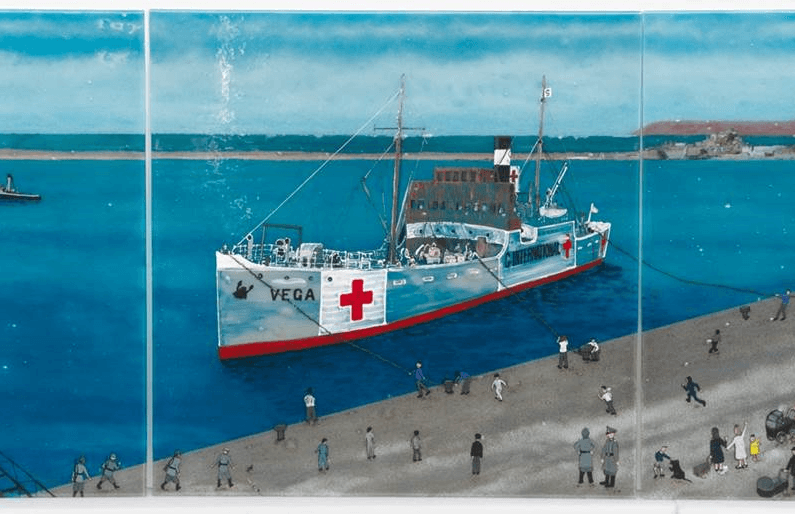 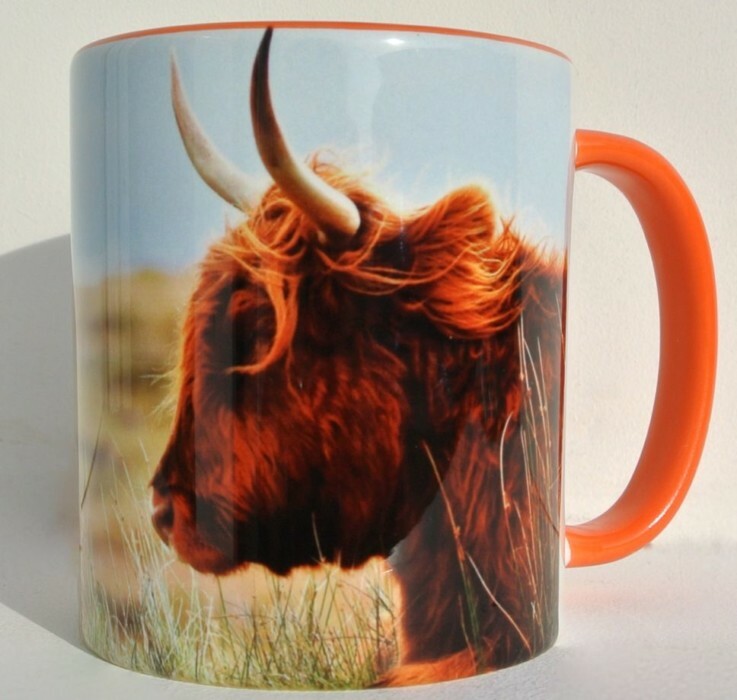 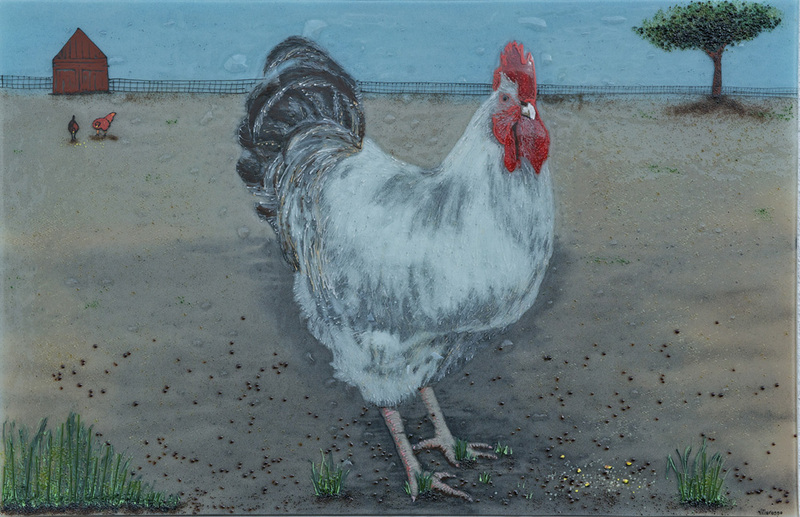 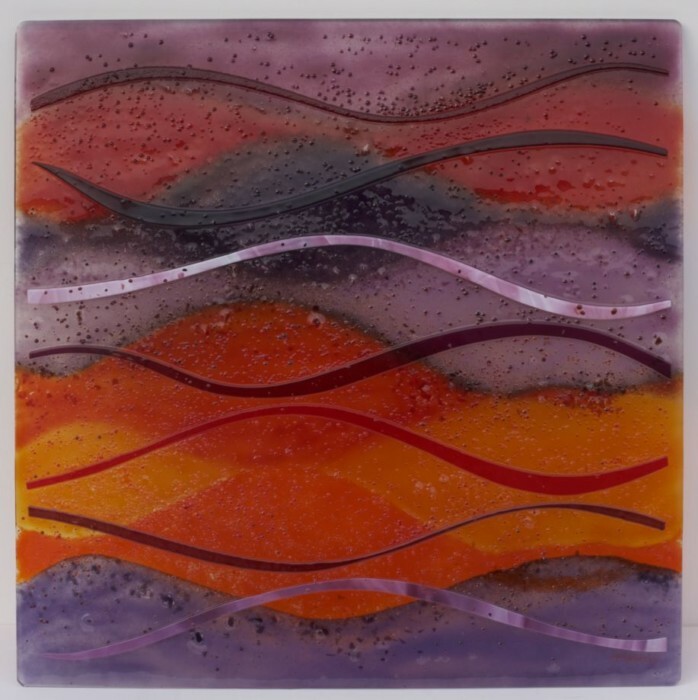 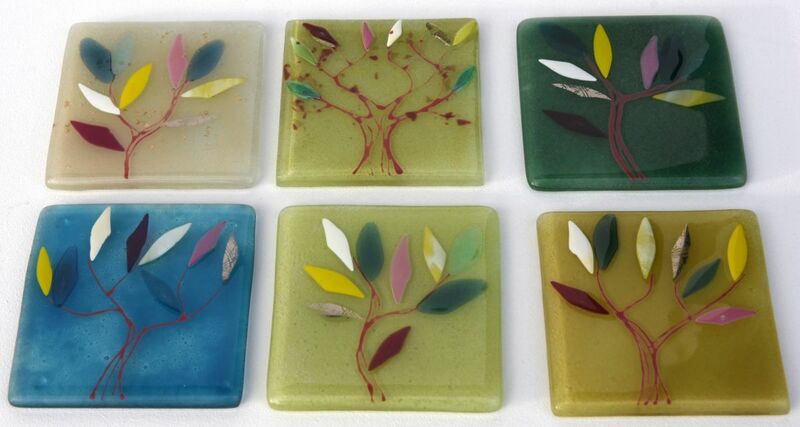 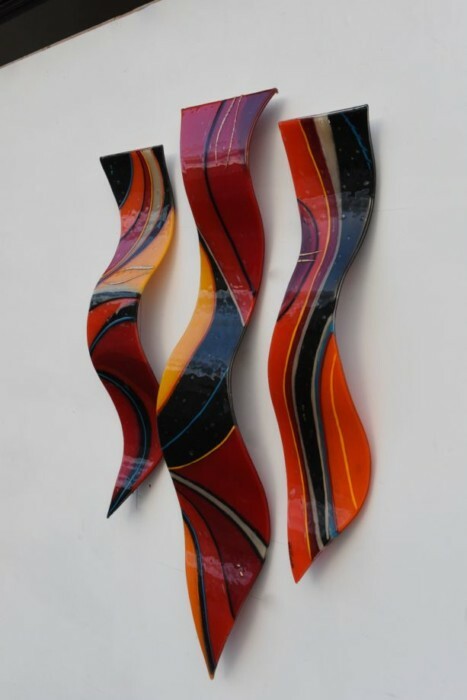 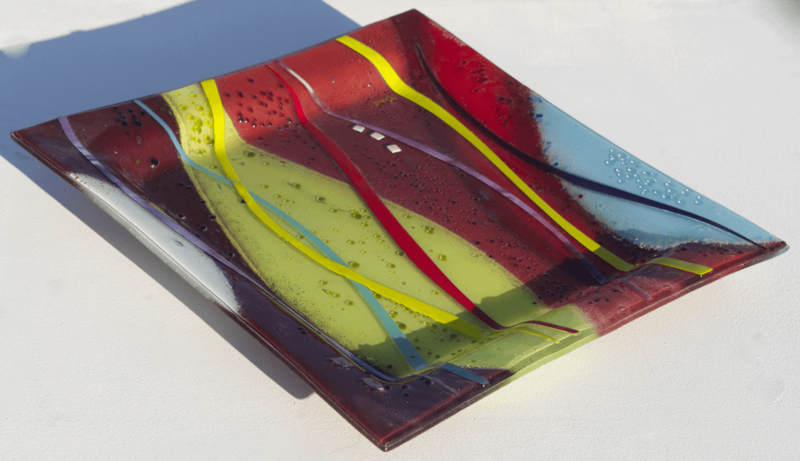 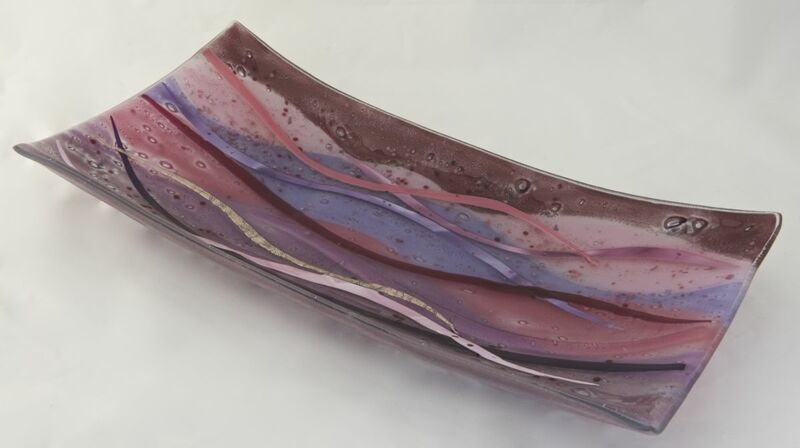 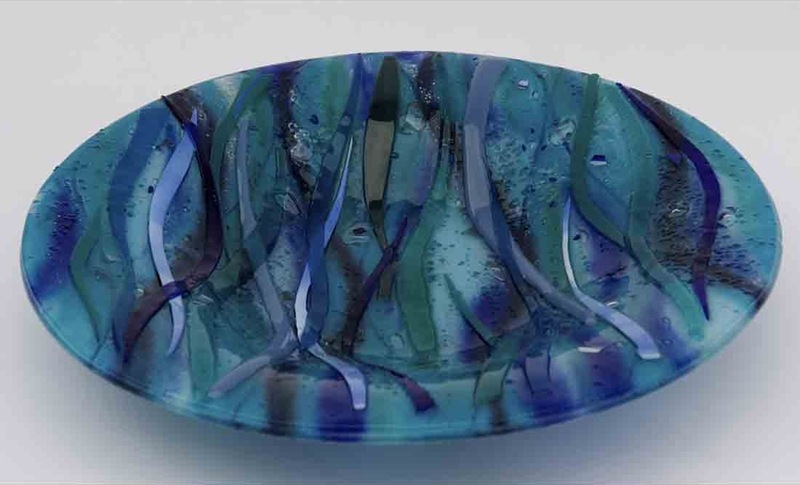 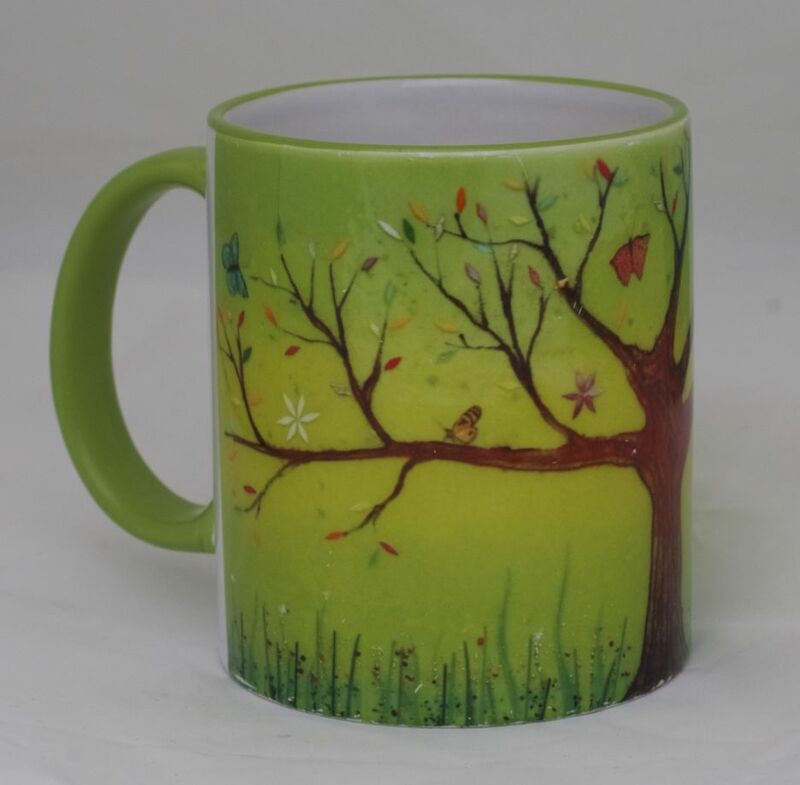 Just one look through our diverse and incredibly varied portfolio should tell you all you need to know about the creative possibilities of fused glass art. 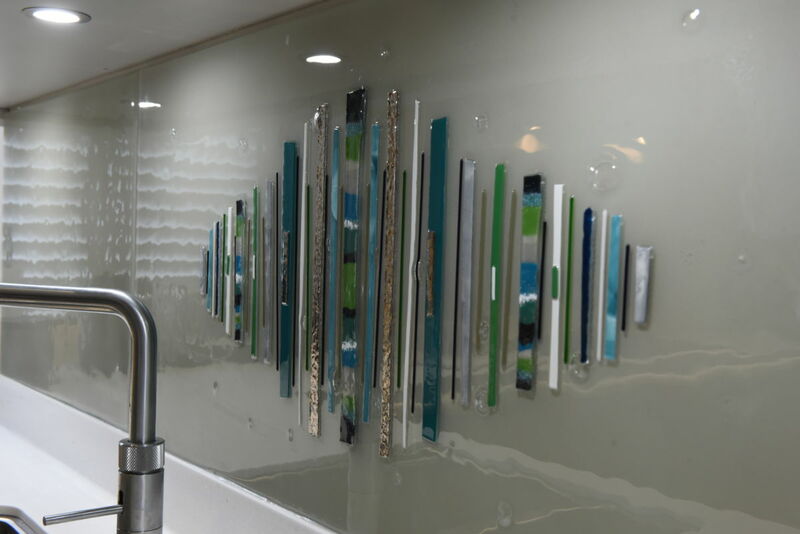 We’re constantly finding inspiration in all sorts of places, so it makes sense that the pieces we make are constantly evolving. 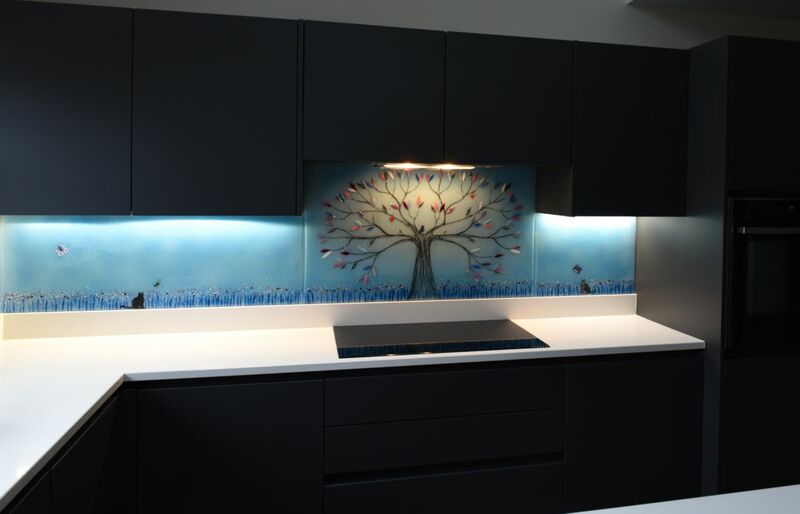 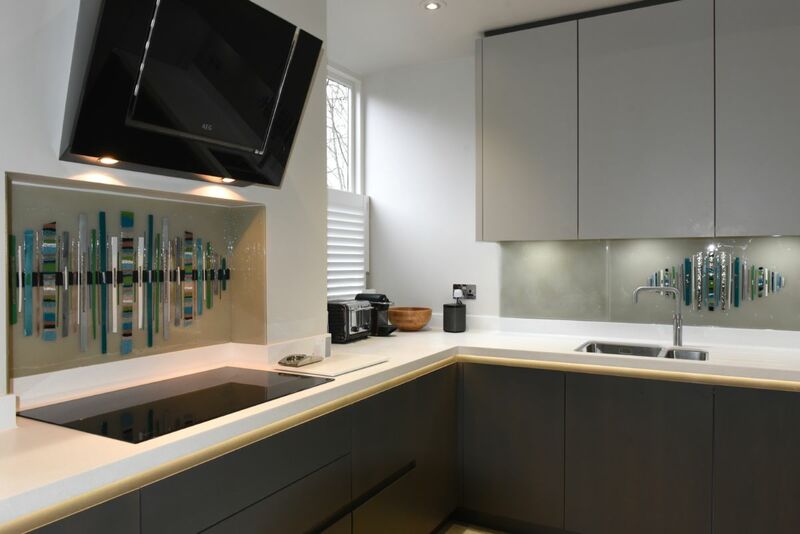 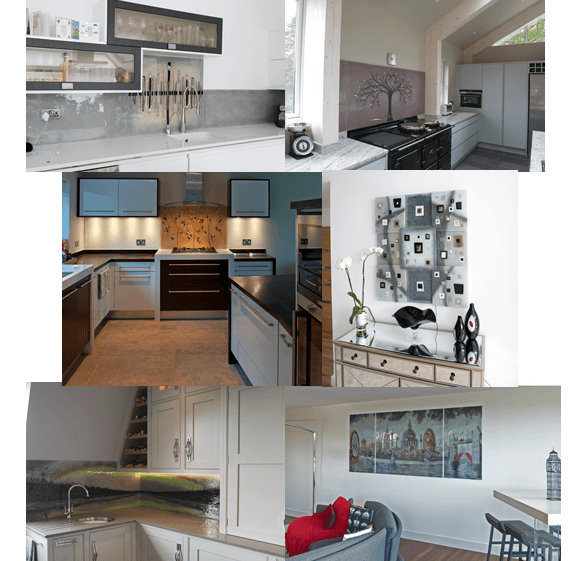 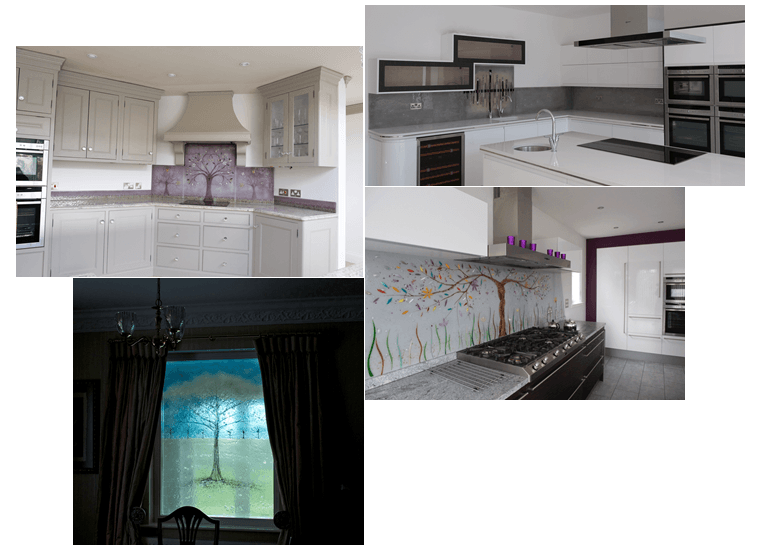 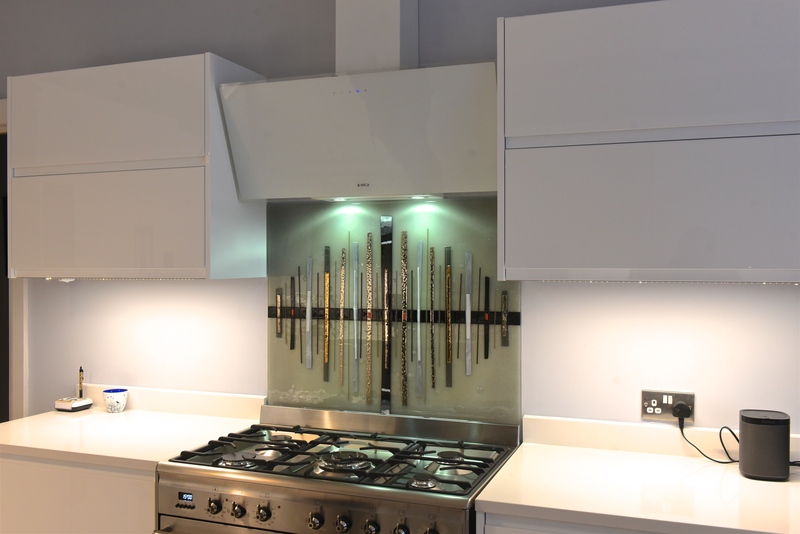 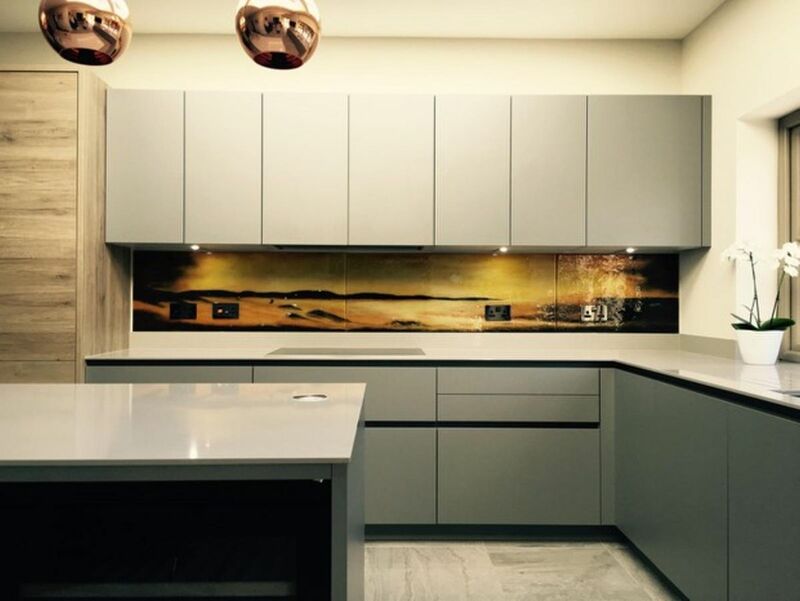 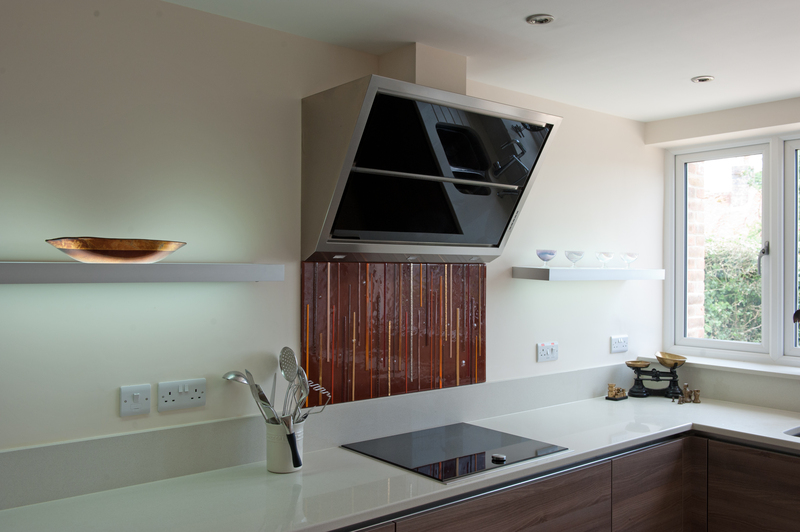 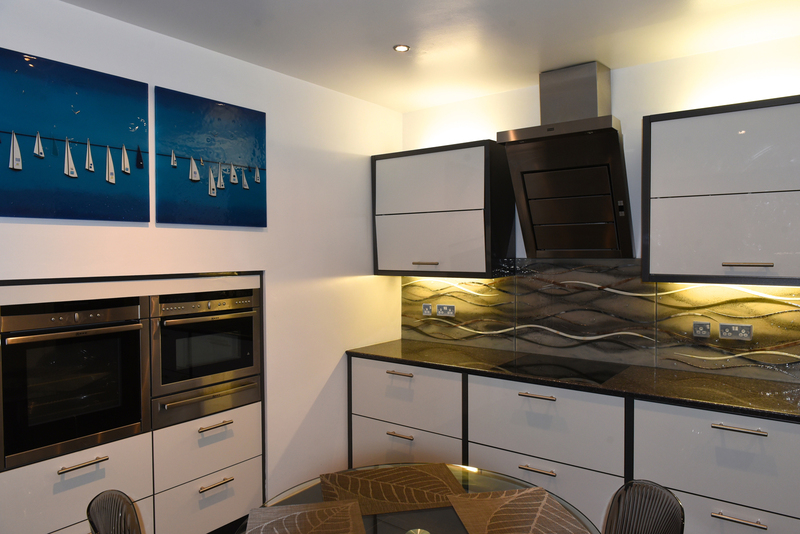 Even our most simple splashbacks, wall panels and accessories seem to be getting the benefit, which makes us all the more eager to show them off and tell you all about them. 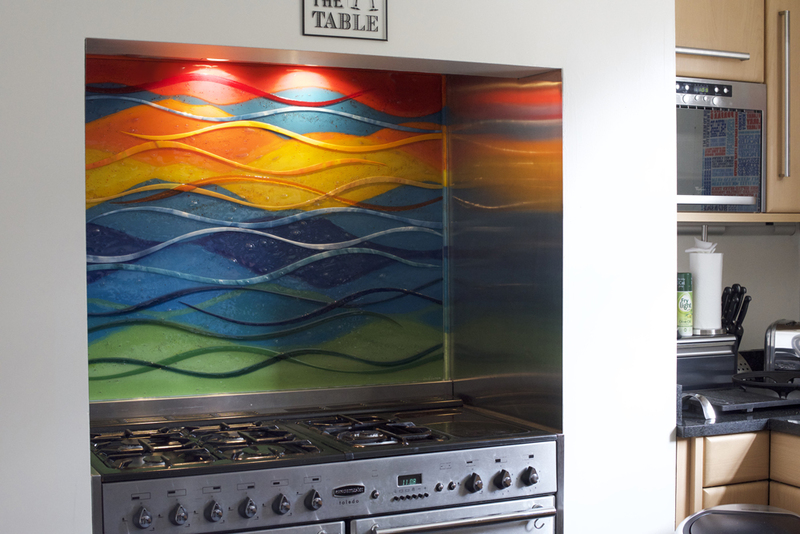 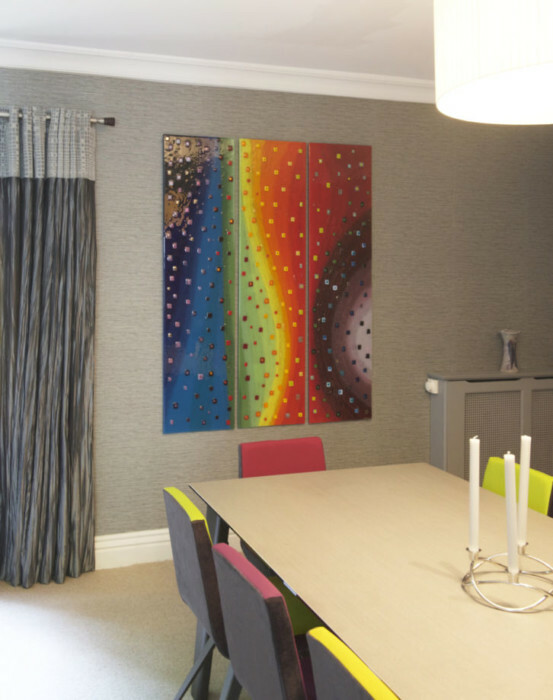 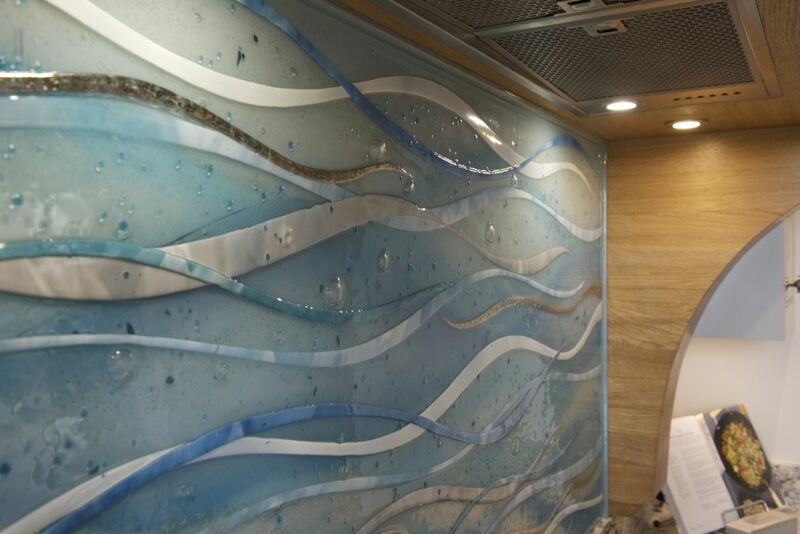 While one piece could be a relatively simple Dalaman design with just a few colours, the next might be a grand wall panel with a vivid and exciting wave pattern – and both would be just as detailed, nuanced and spectacular. 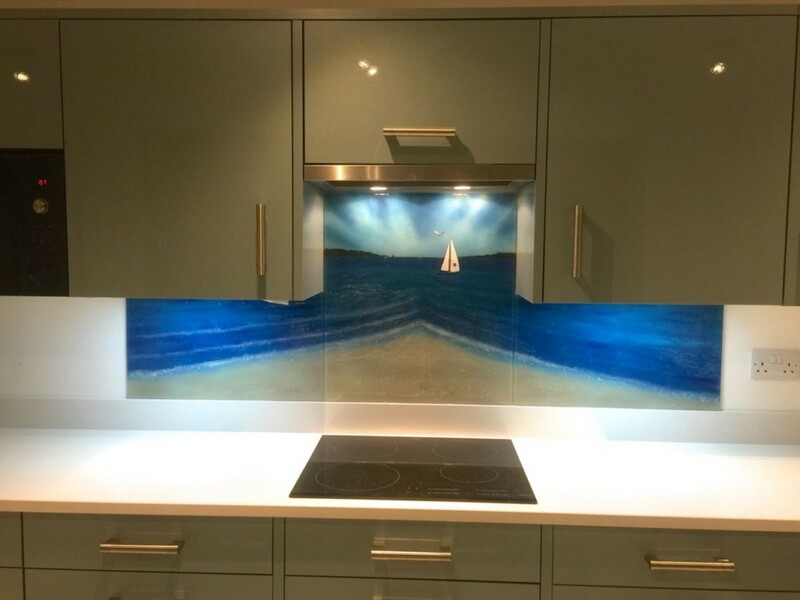 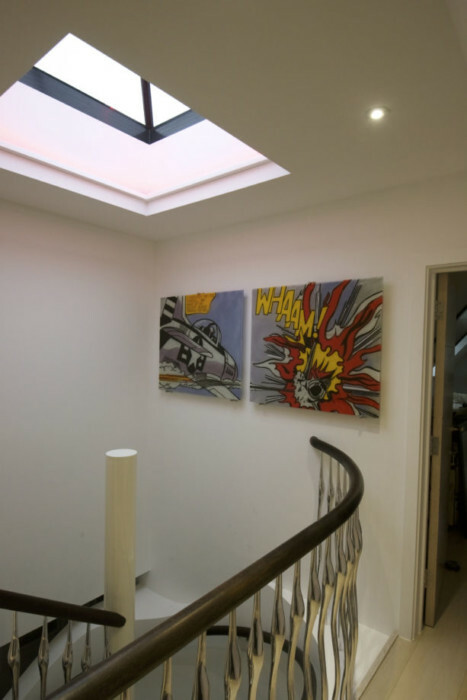 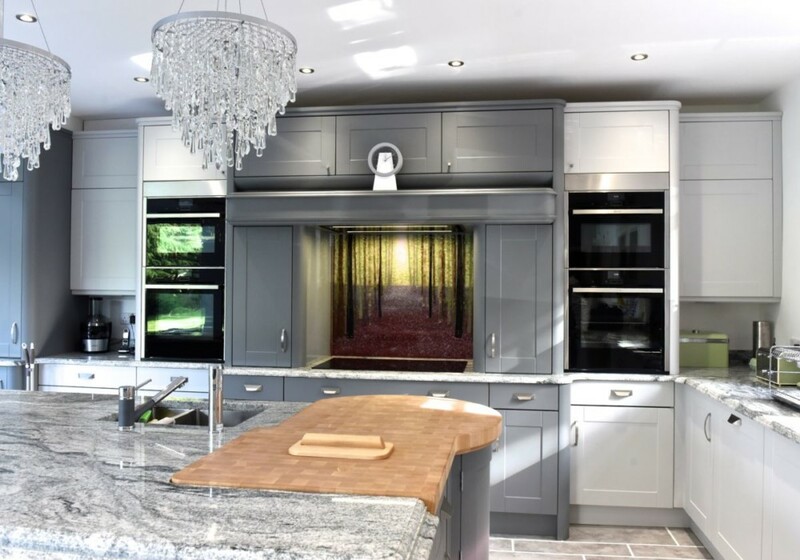 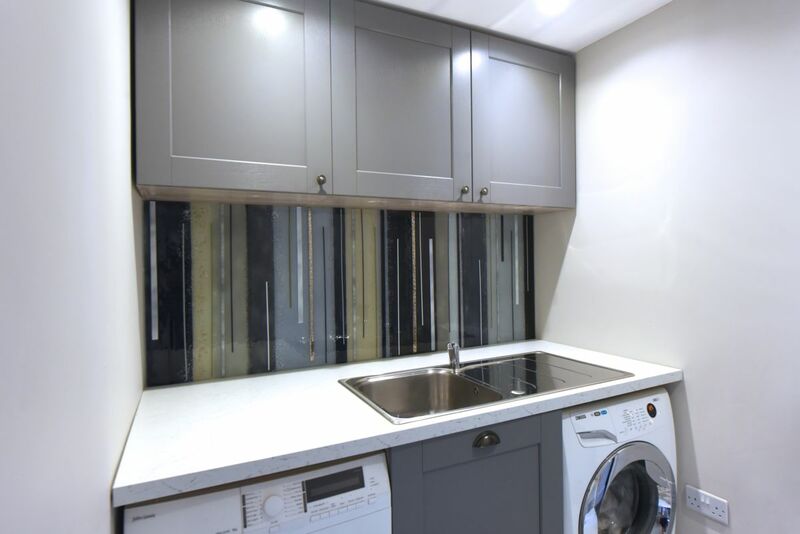 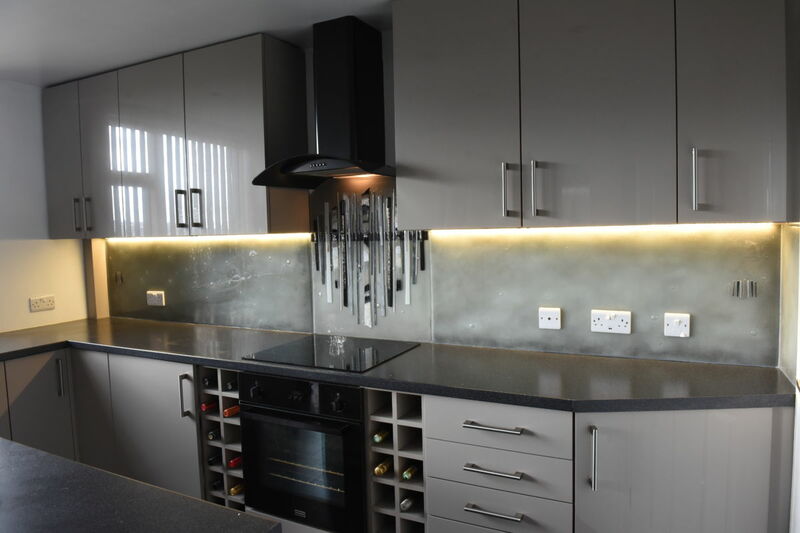 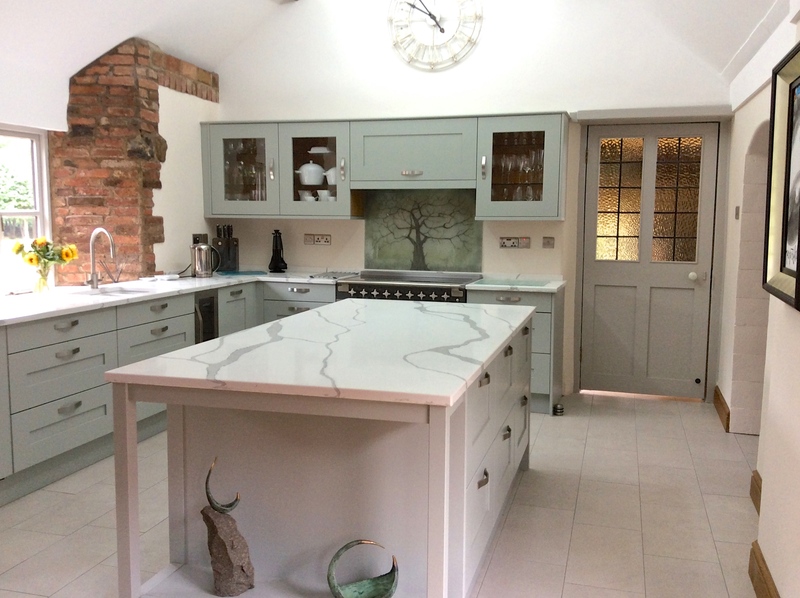 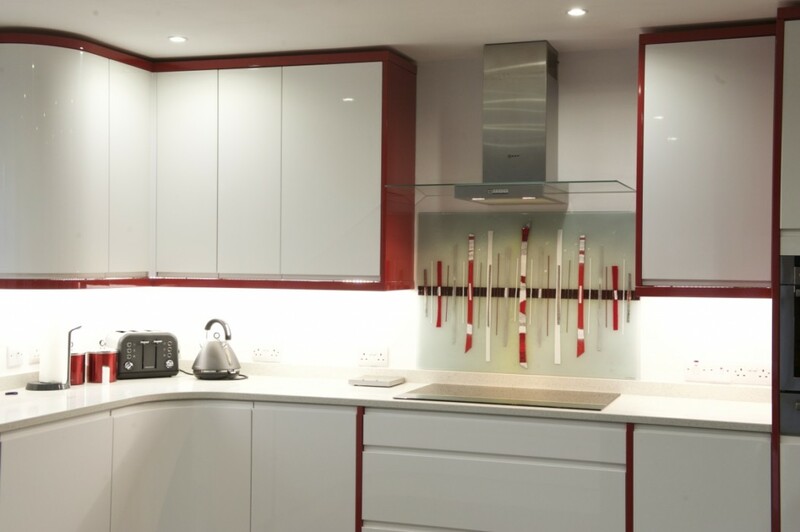 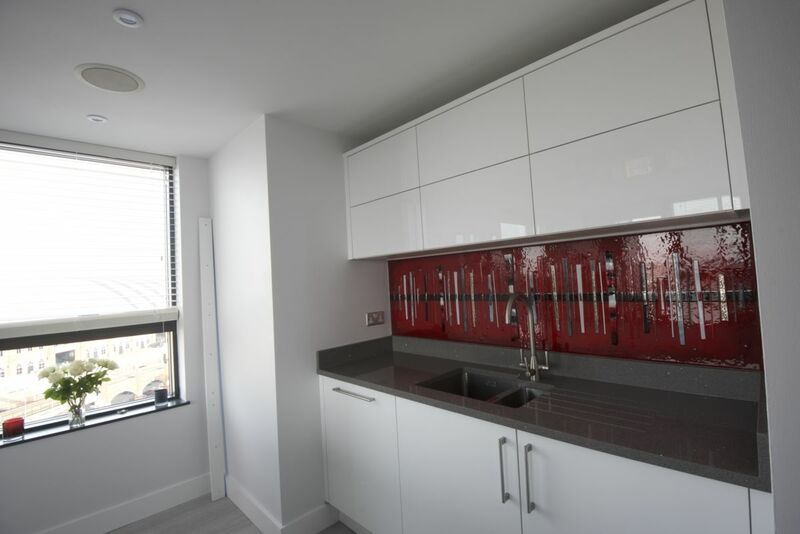 So, if you’re on the lookout for something that’s a little more exciting than the plain coloured glass splashbacks often seen on the market today, then you should definitely think about giving us a call. 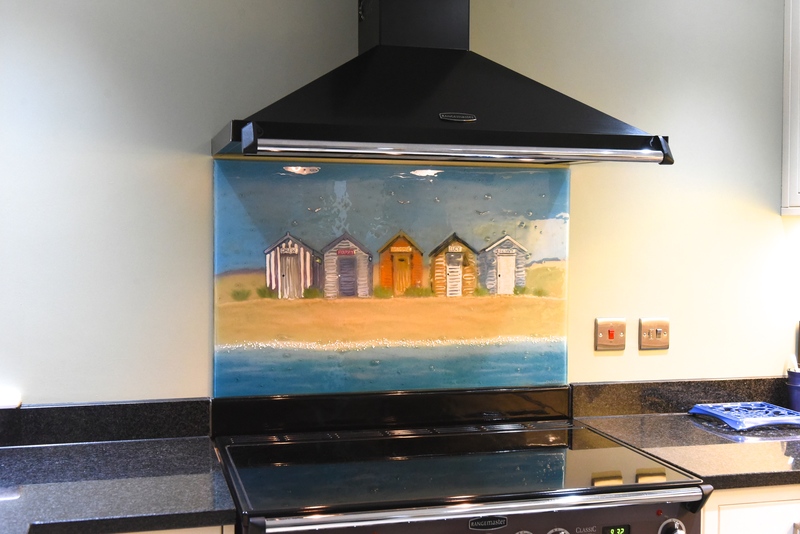 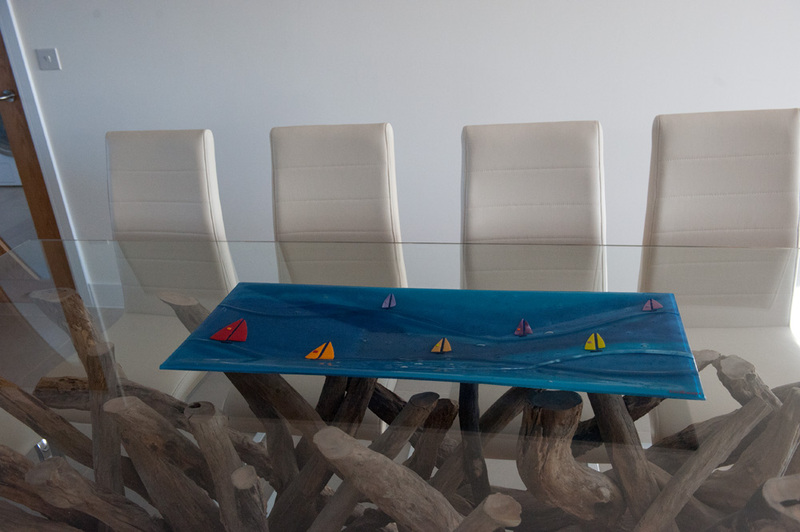 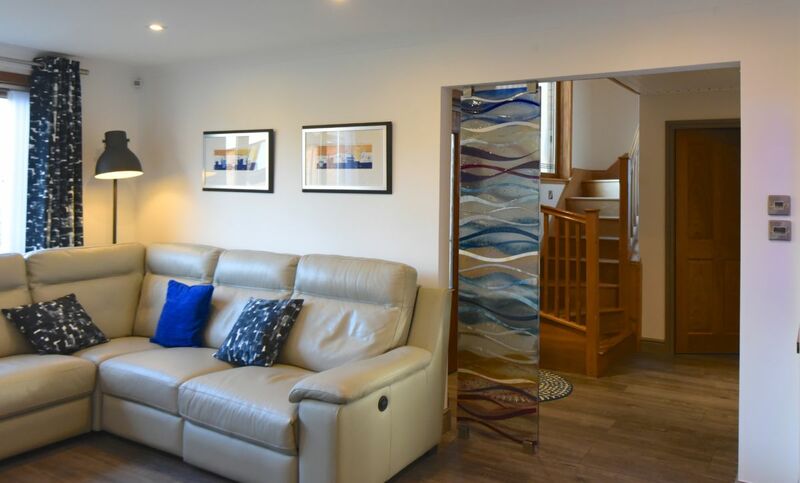 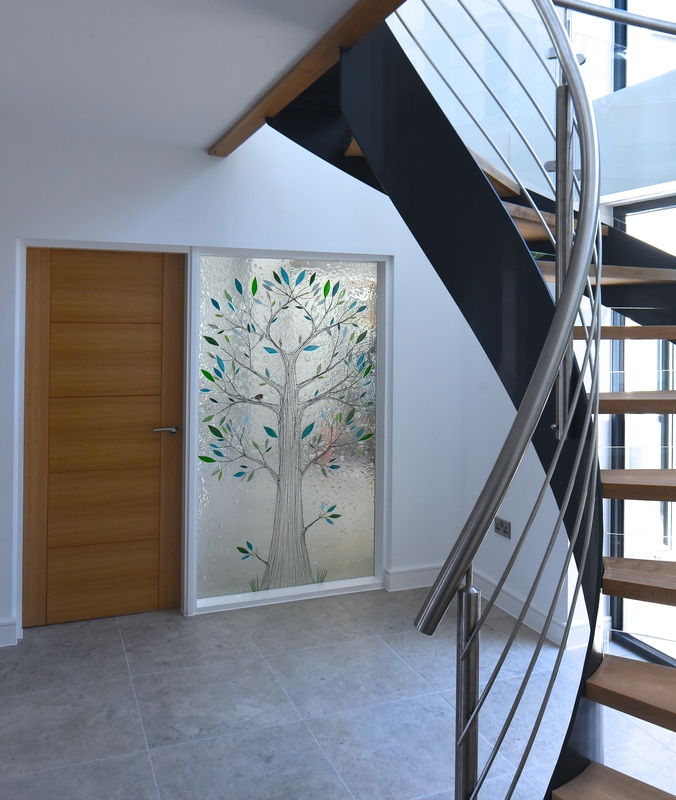 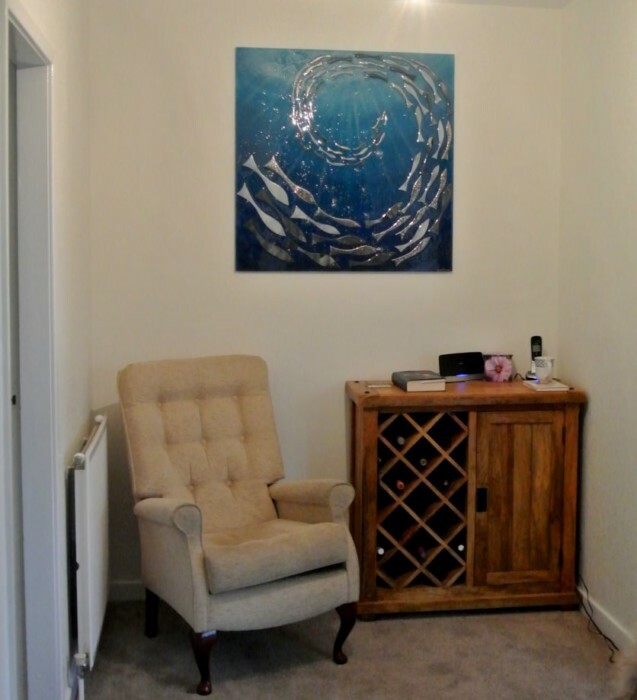 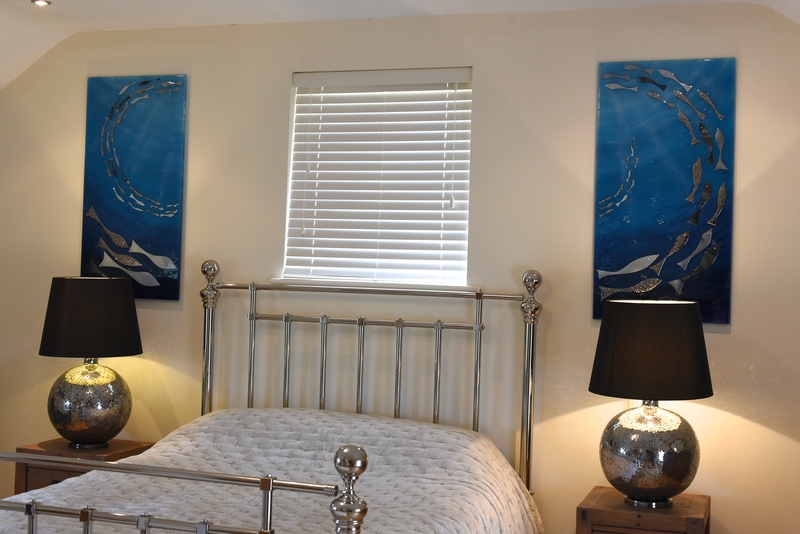 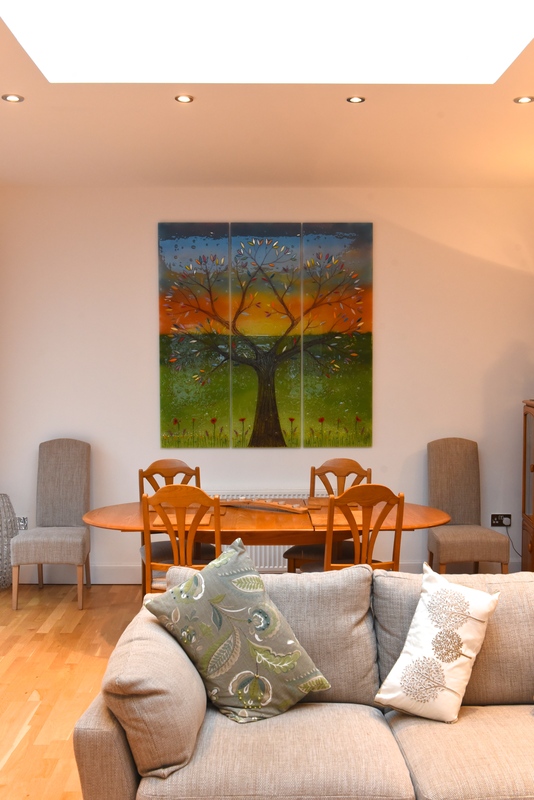 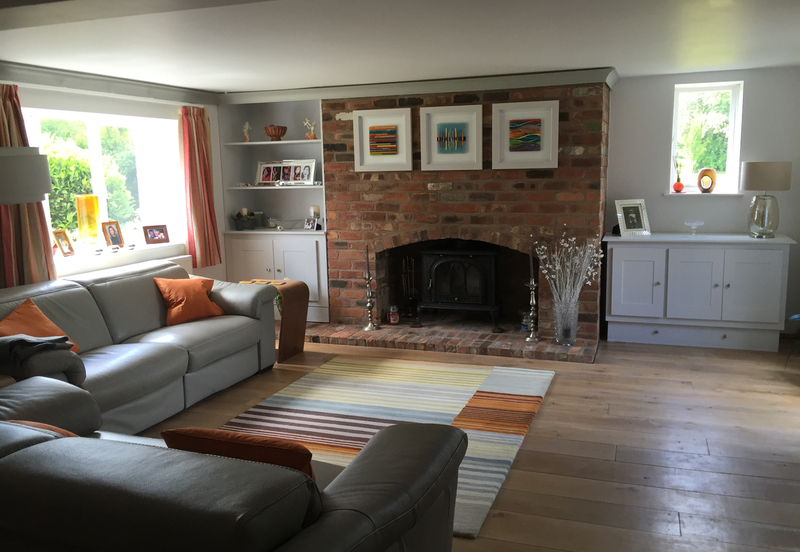 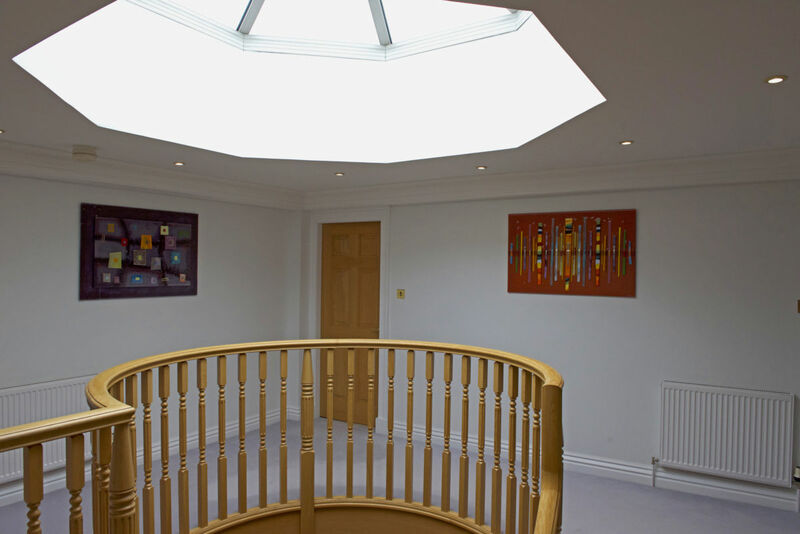 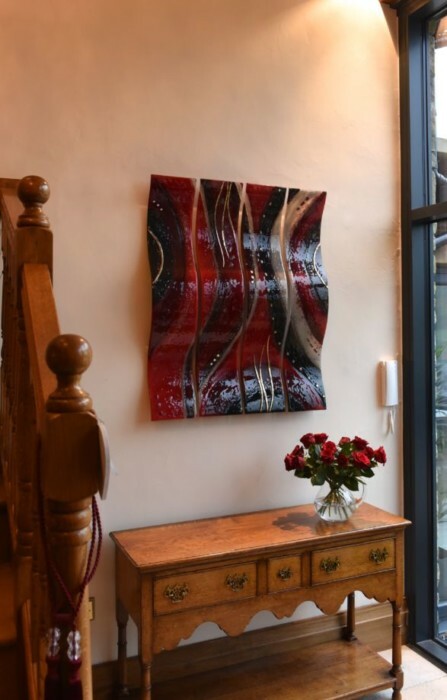 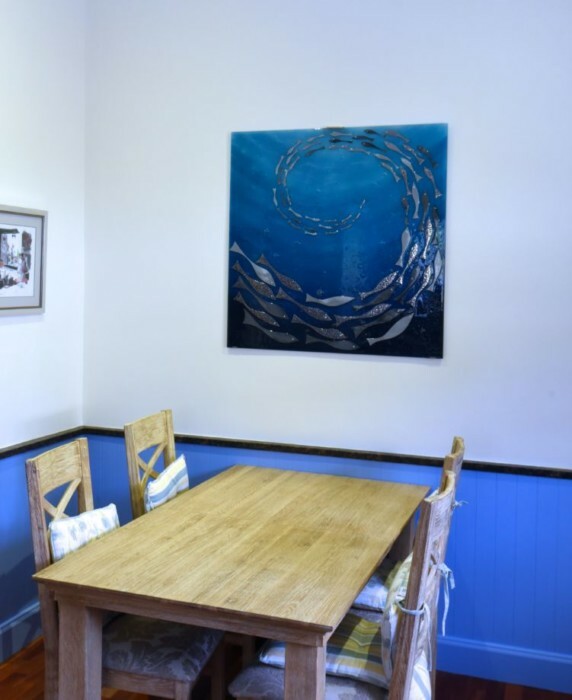 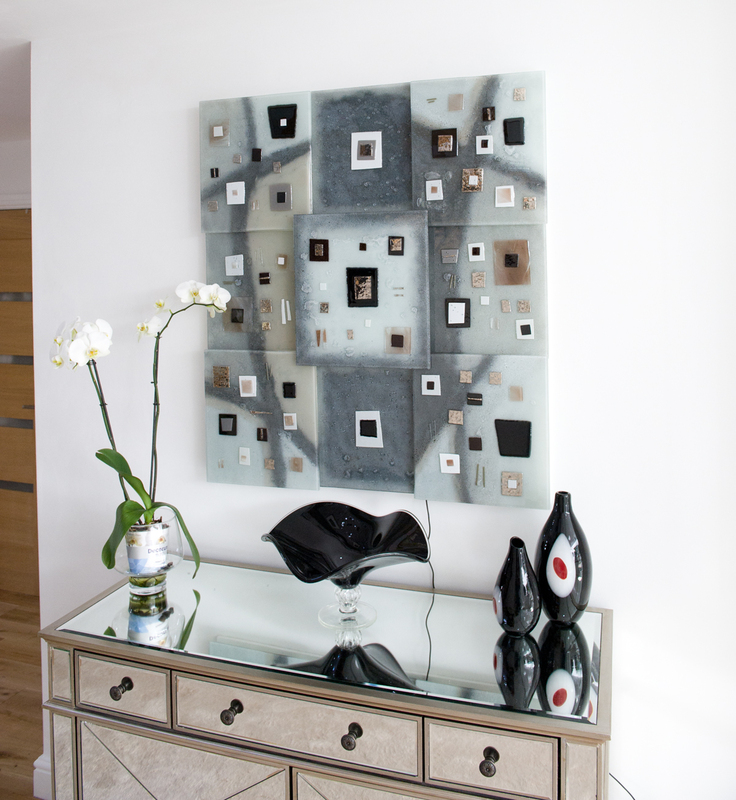 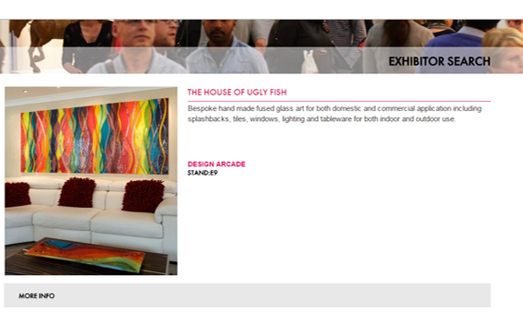 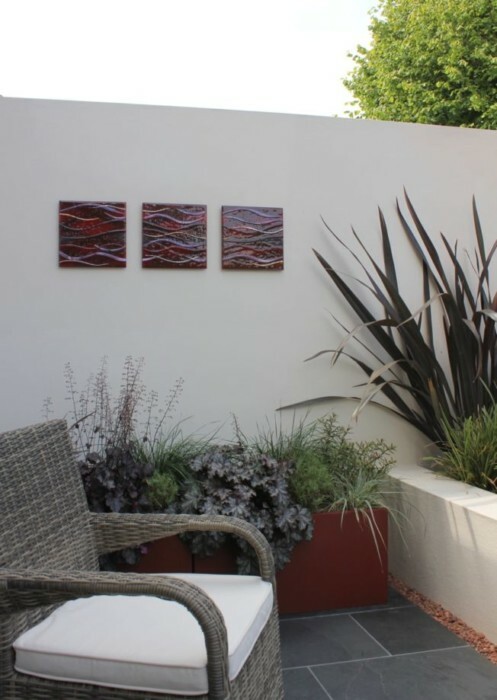 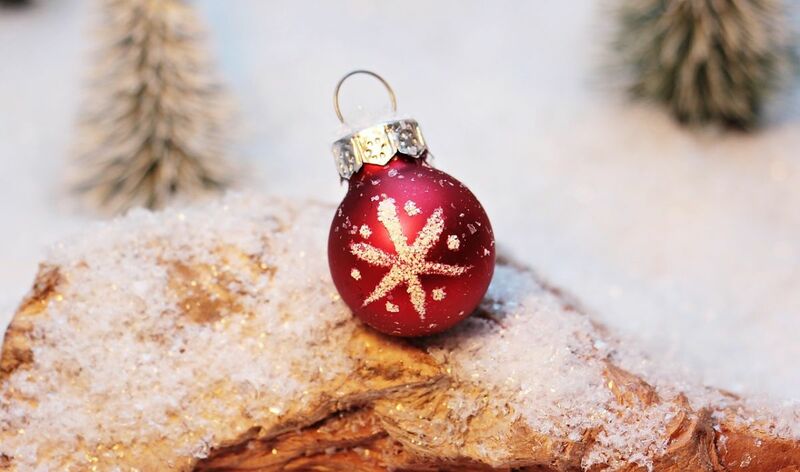 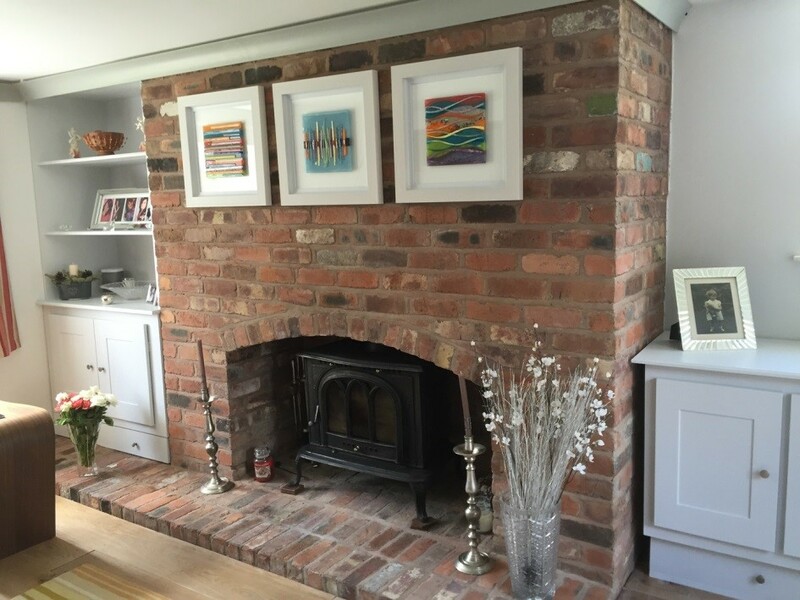 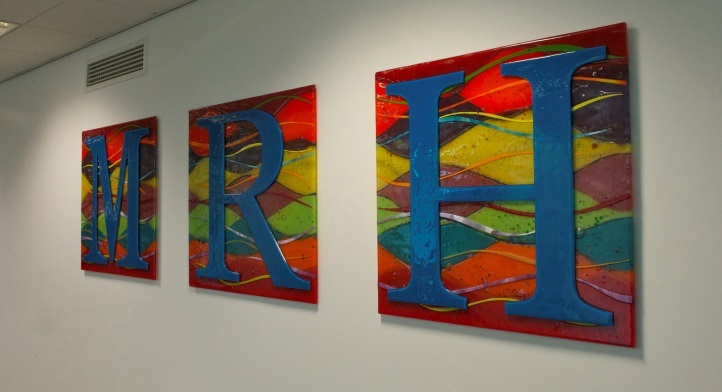 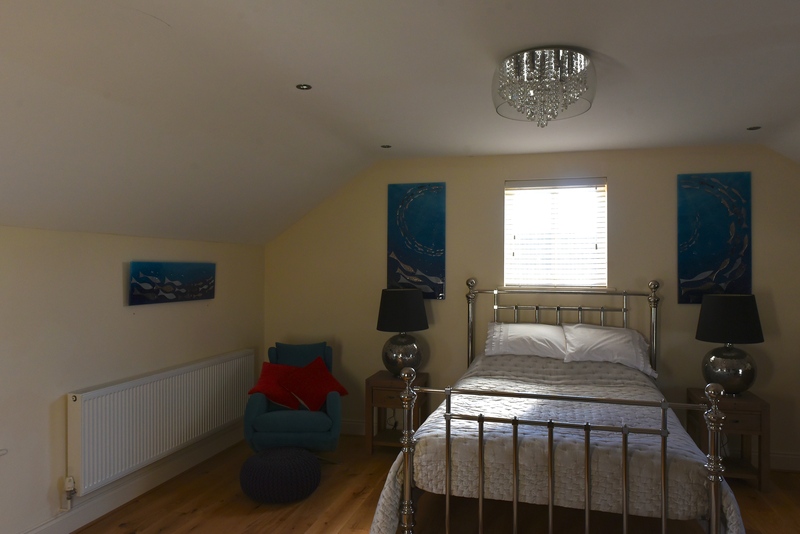 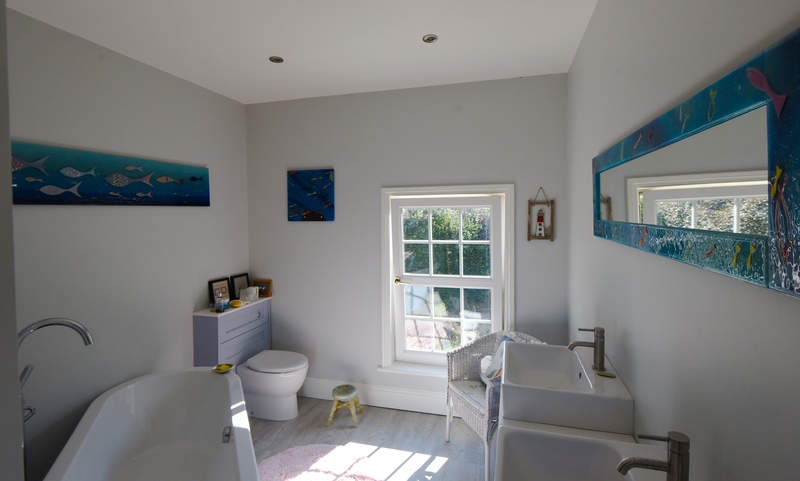 The fused glass art designs found here at The House of Ugly Fish are just the thing to make your home stand out in the crowd, and everything we make is completely bespoke and hand made to look just the way you want. 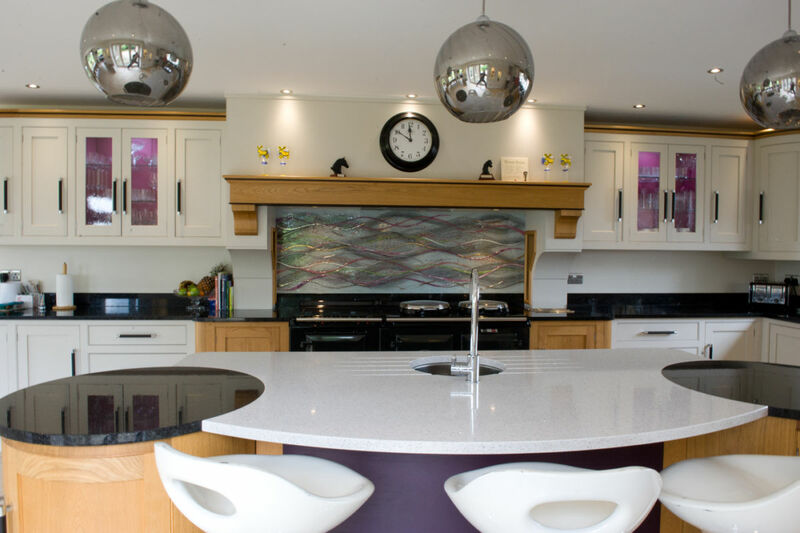 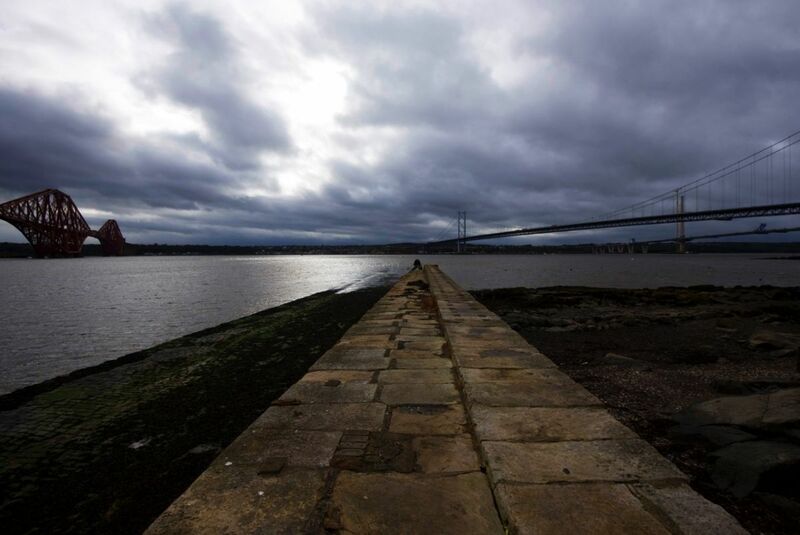 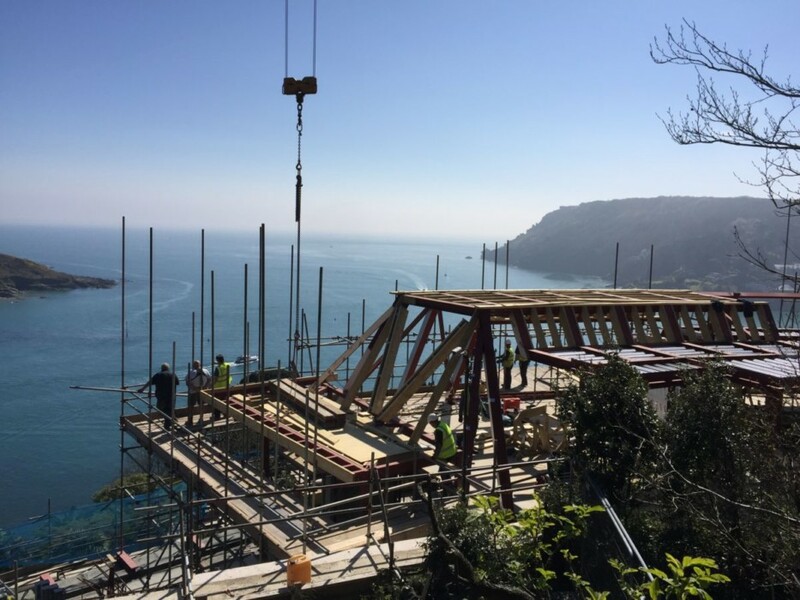 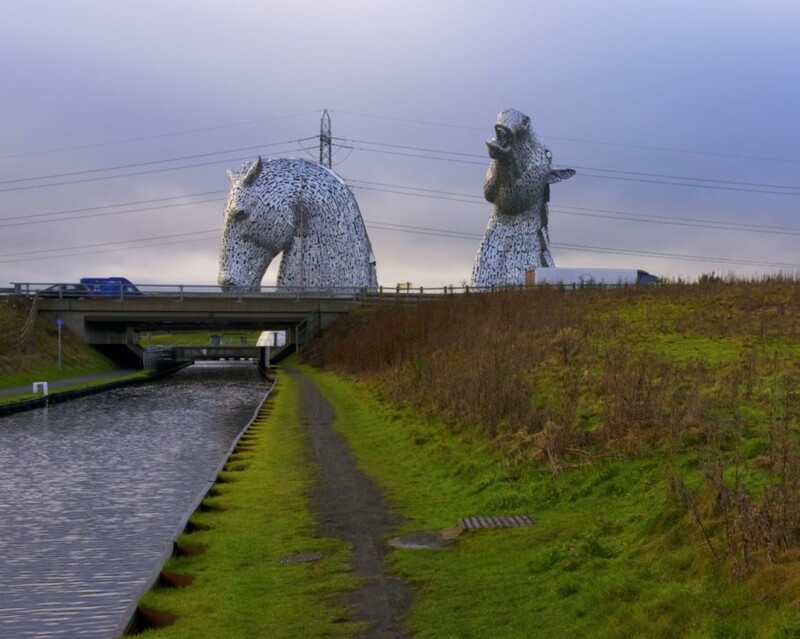 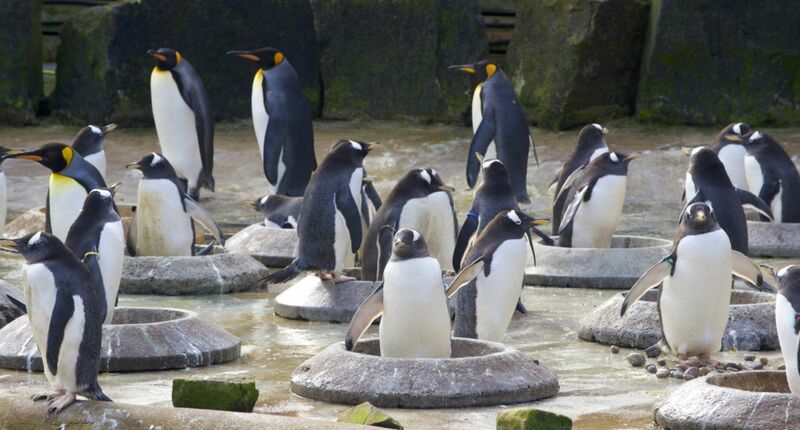 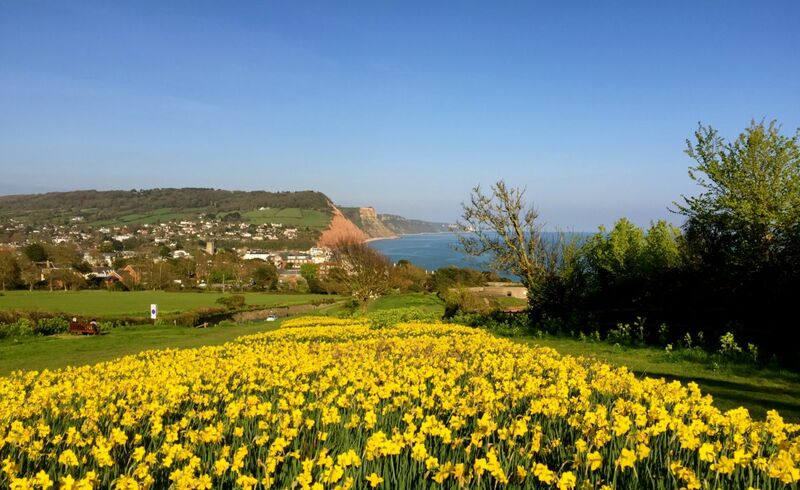 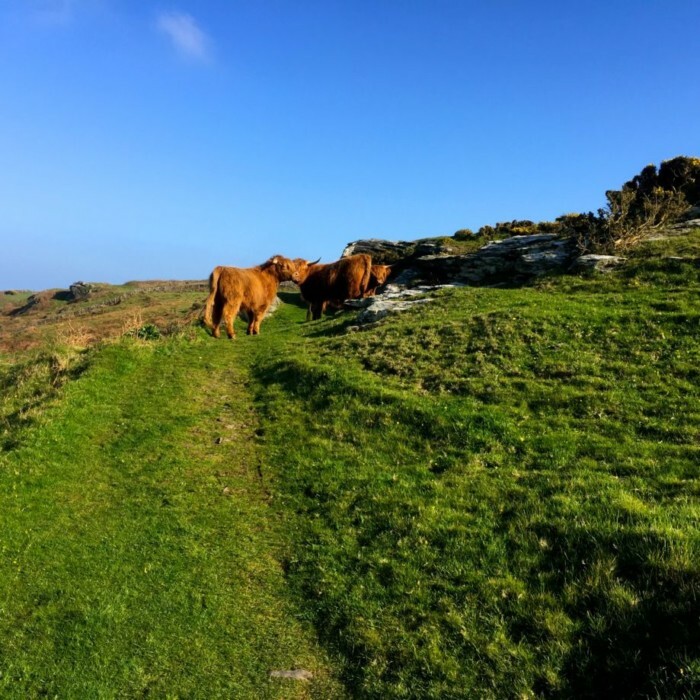 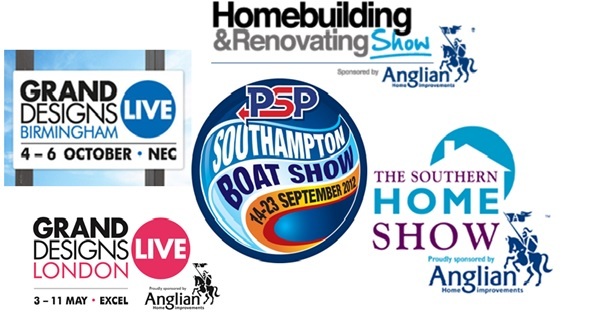 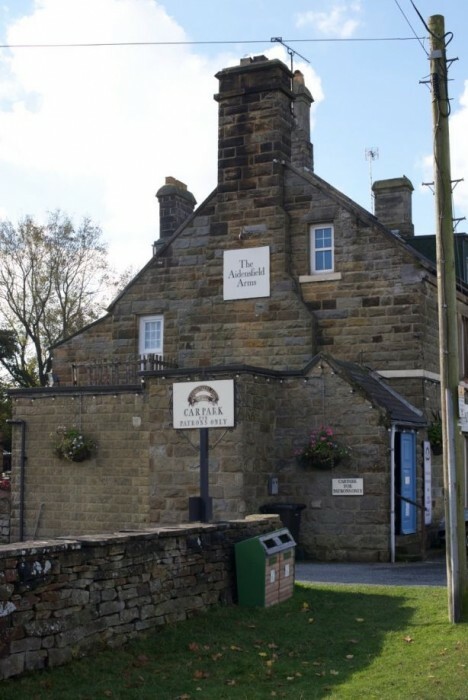 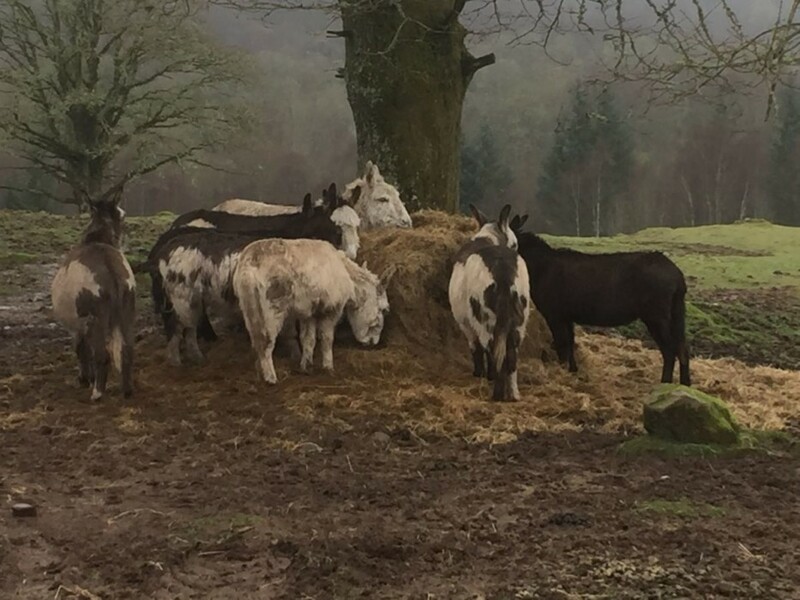 You can find our full contact details right here on our website, and getting in touch really is as simple as picking up the phone. 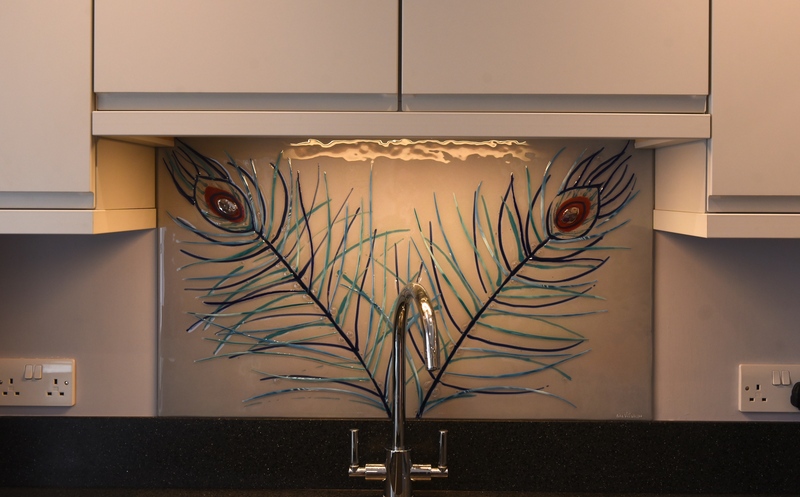 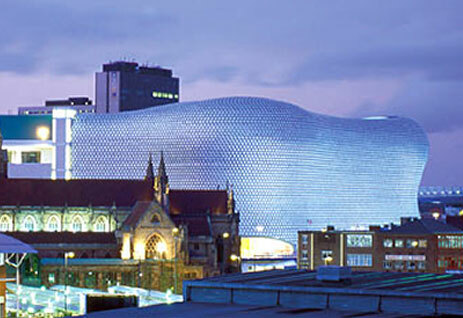 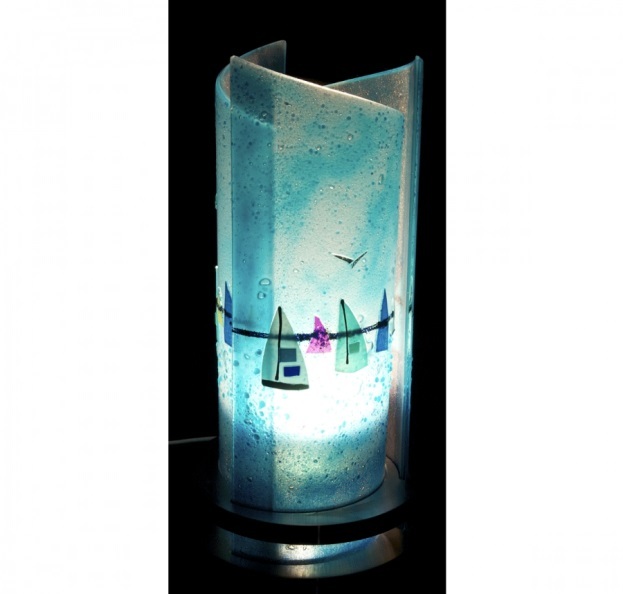 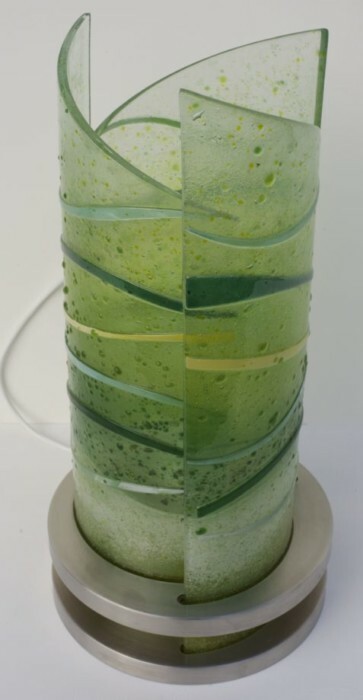 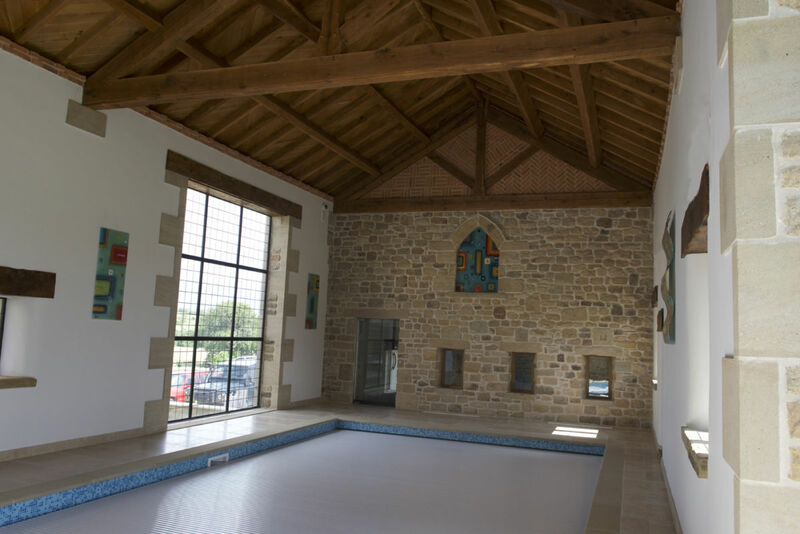 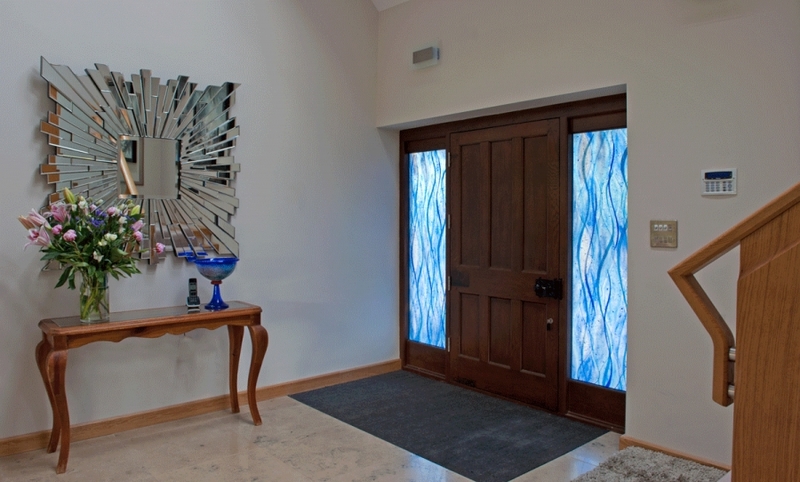 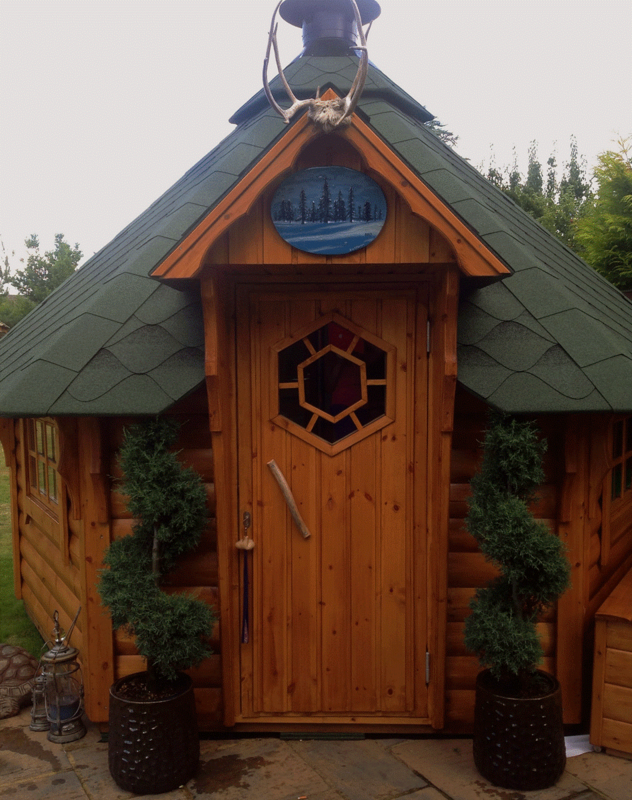 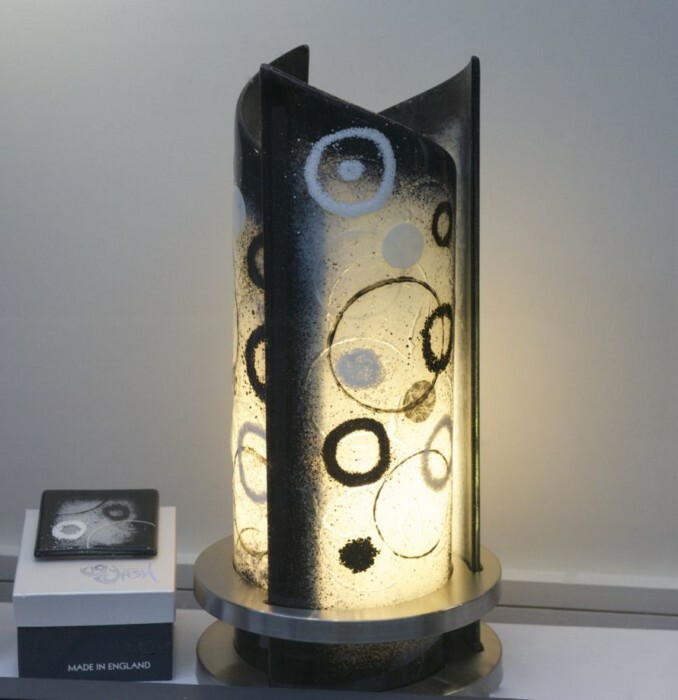 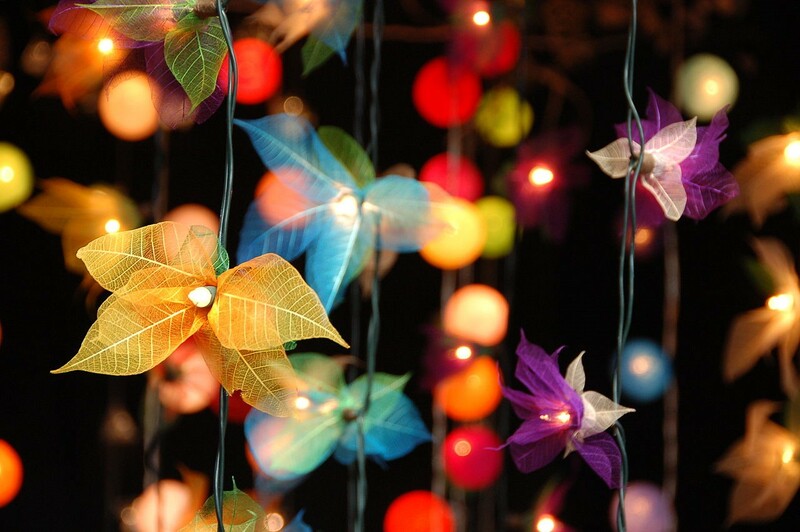 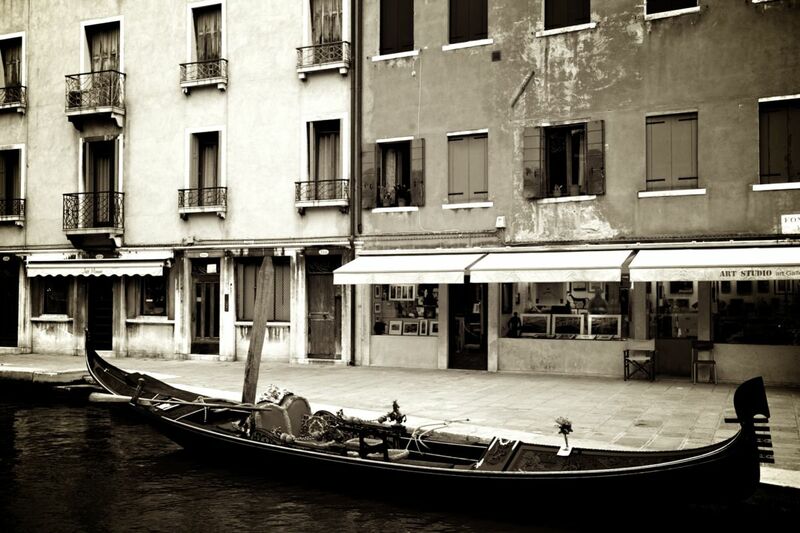 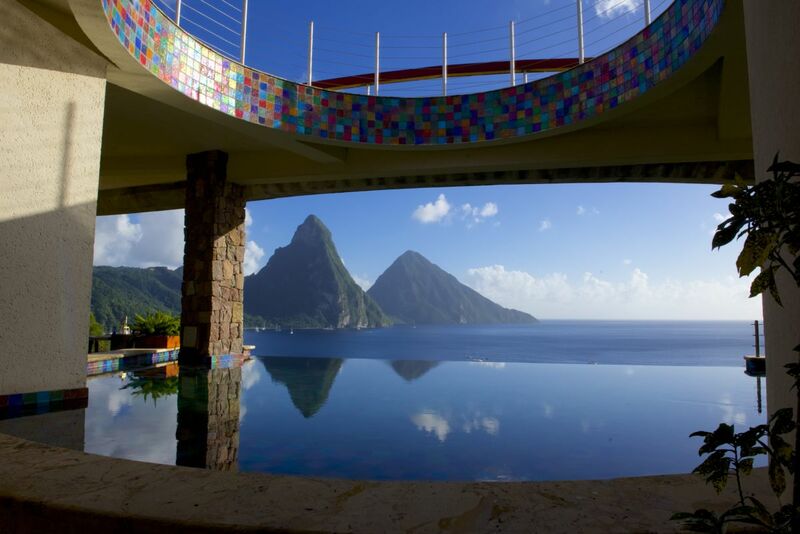 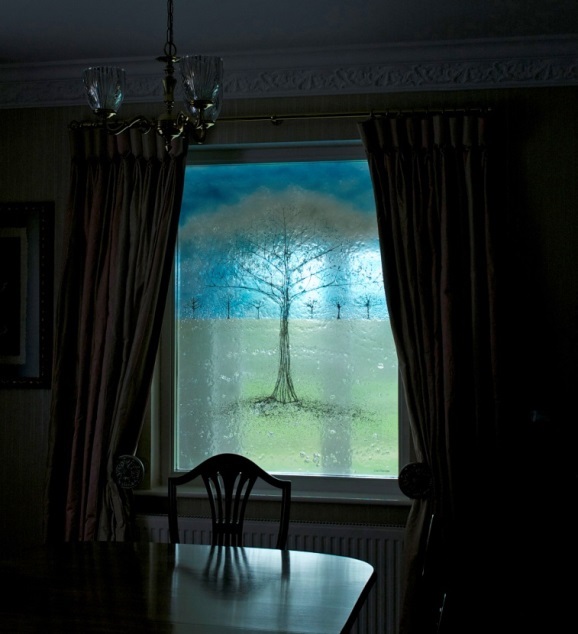 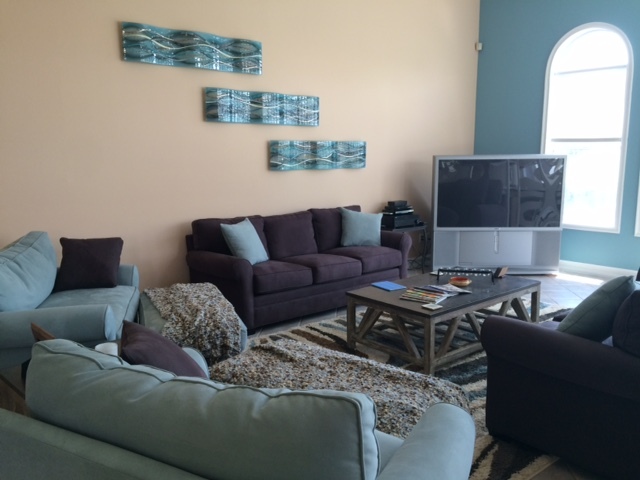 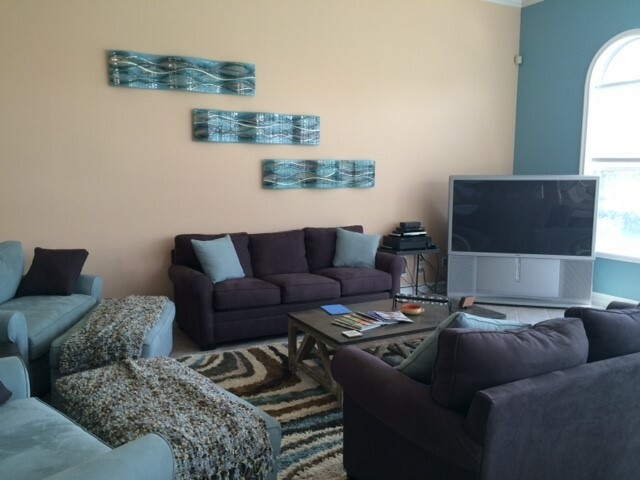 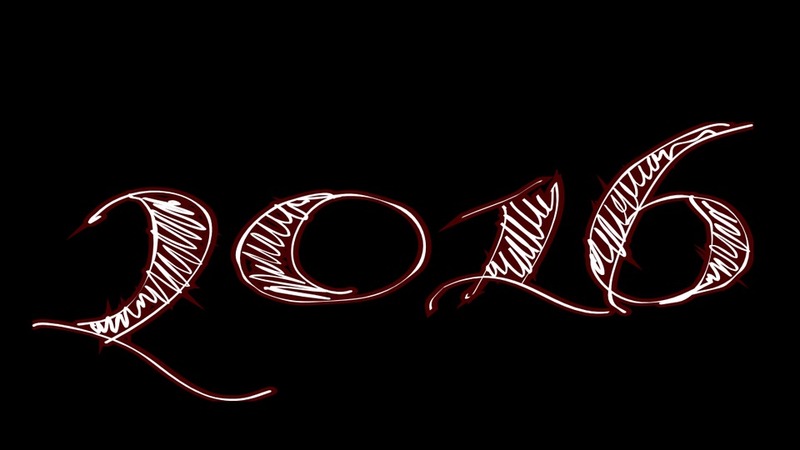 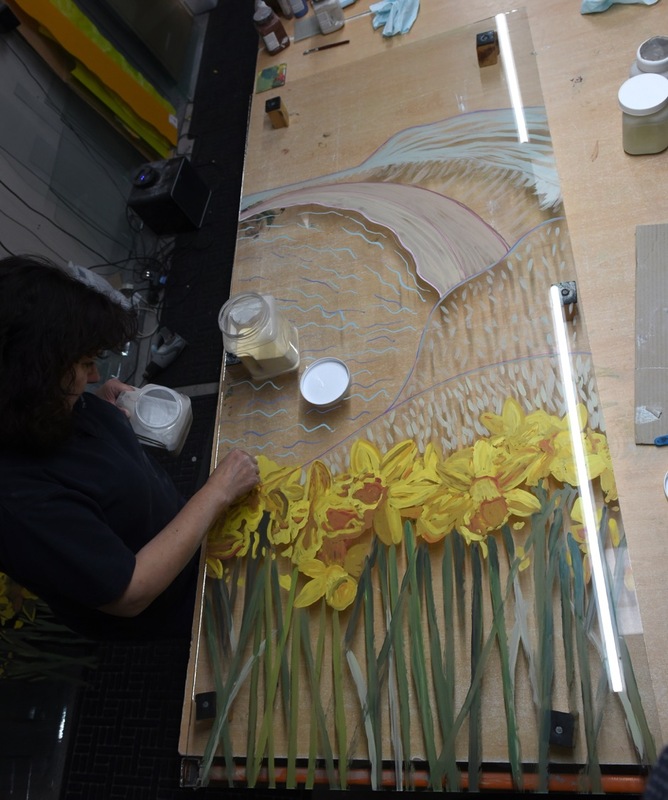 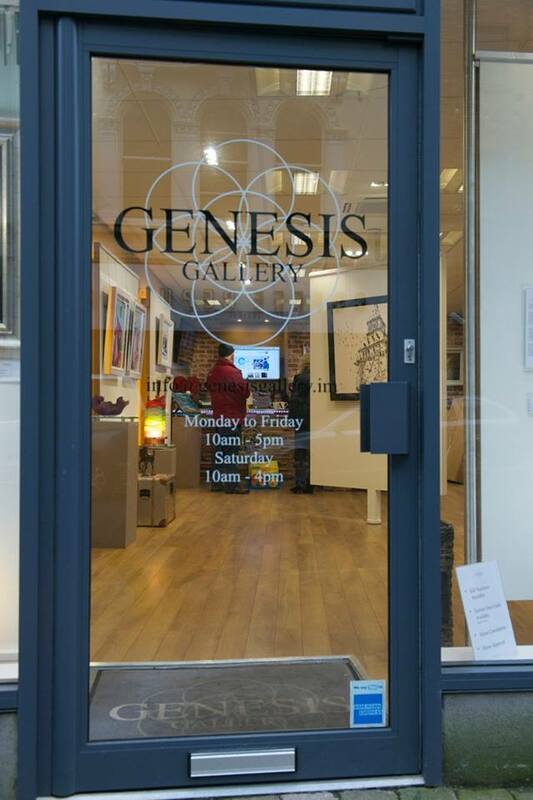 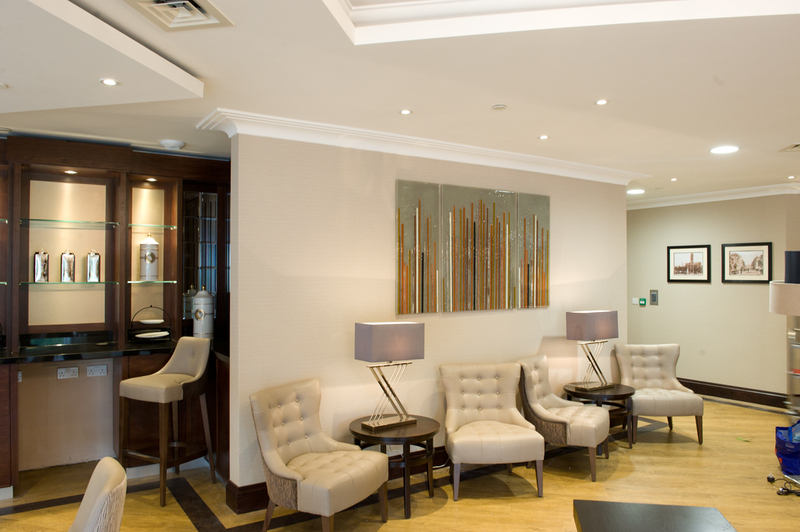 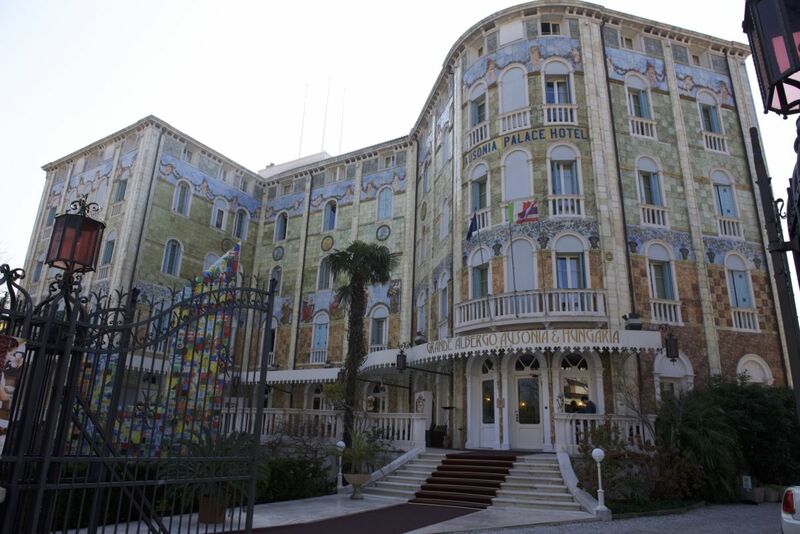 We invite you to come and bring your ideal glass art to life!